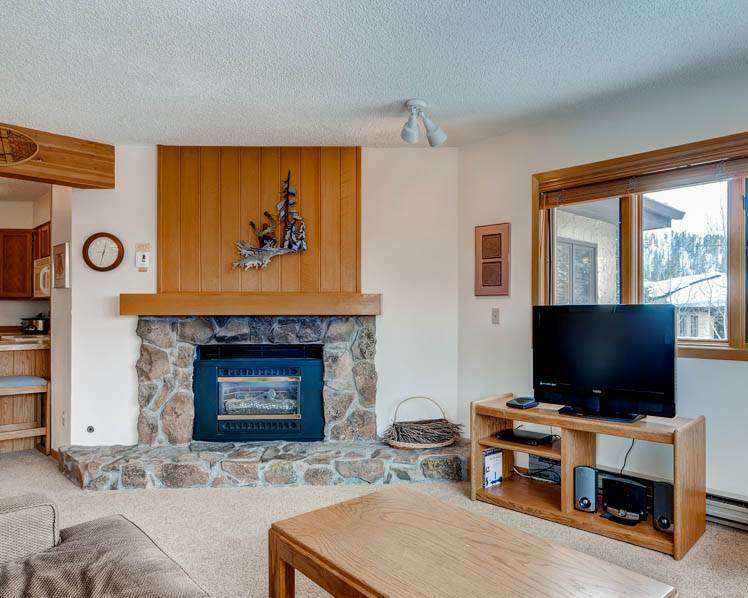 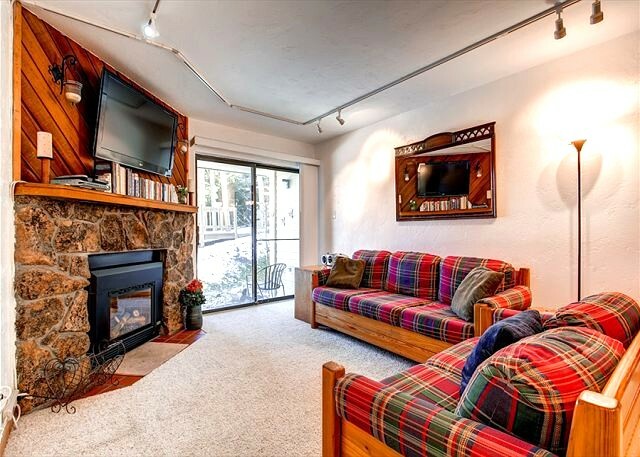 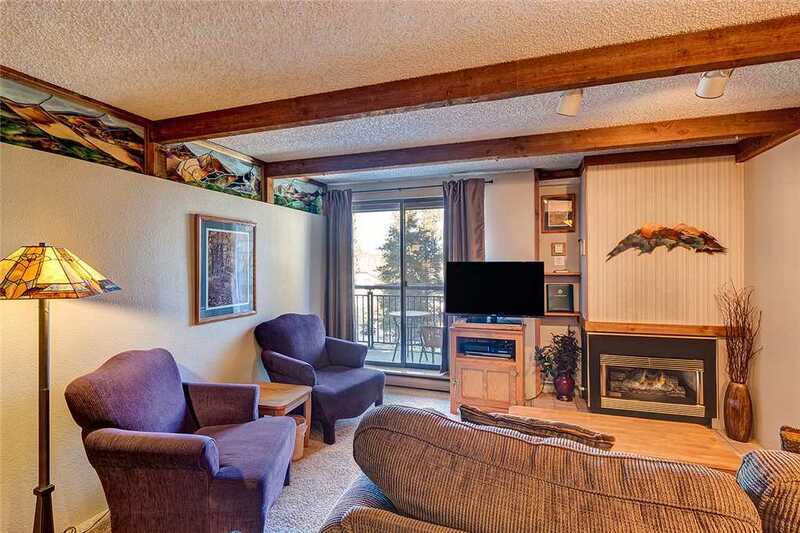 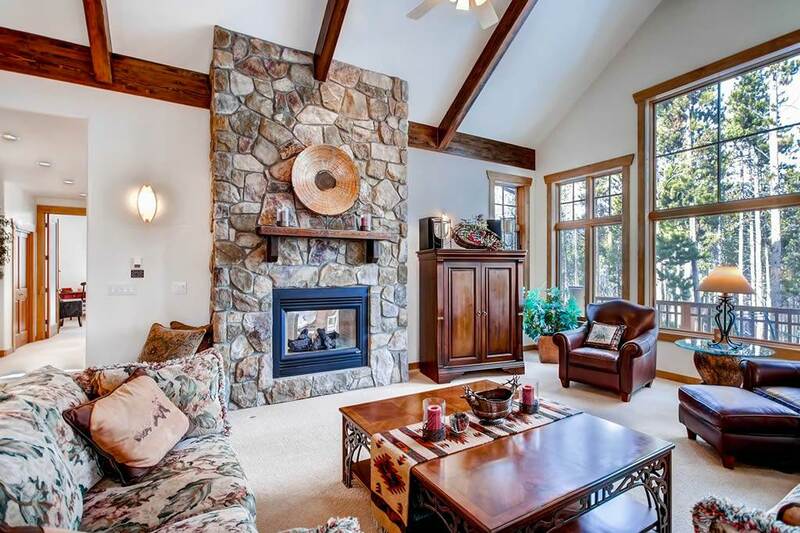 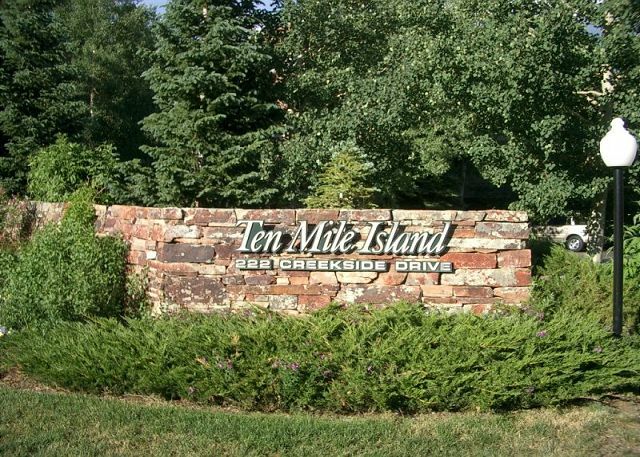 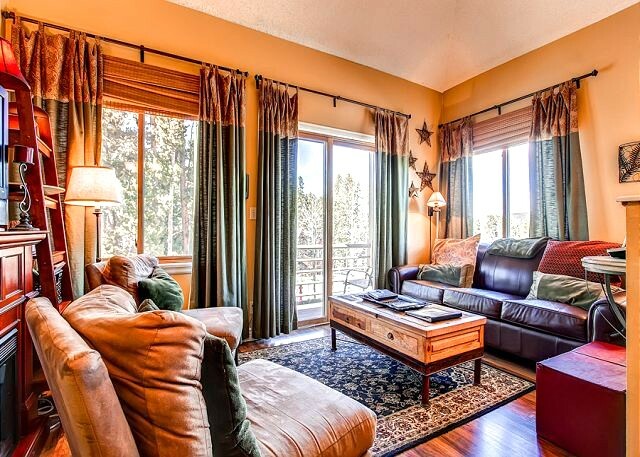 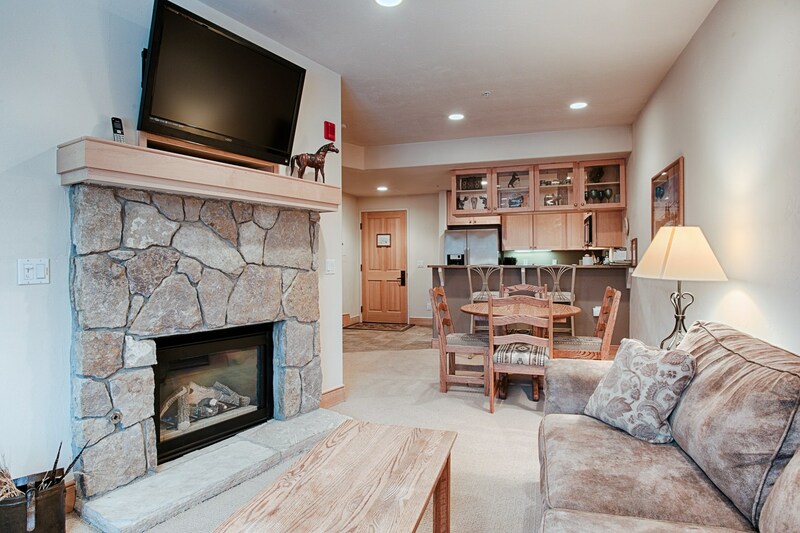 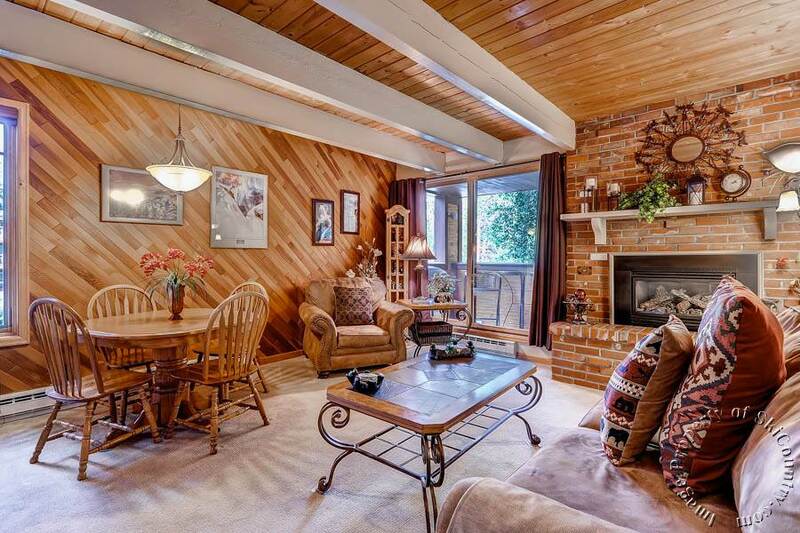 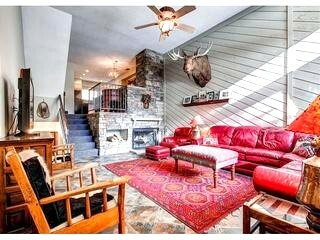 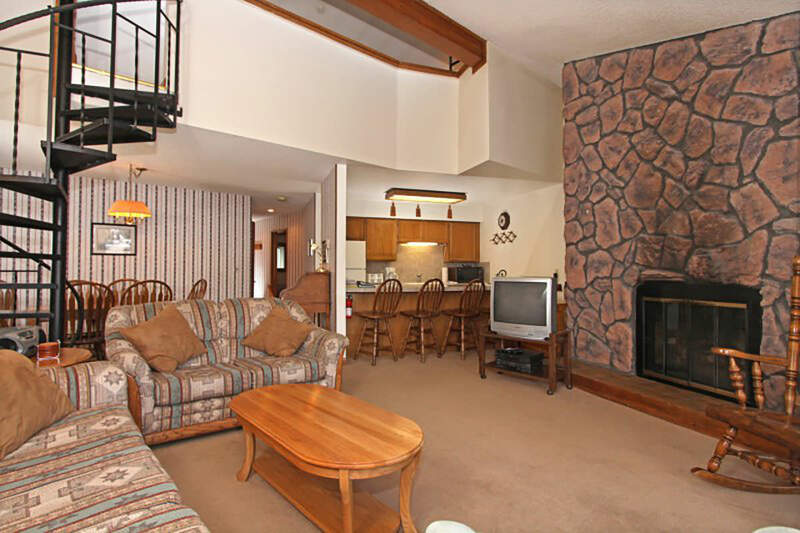 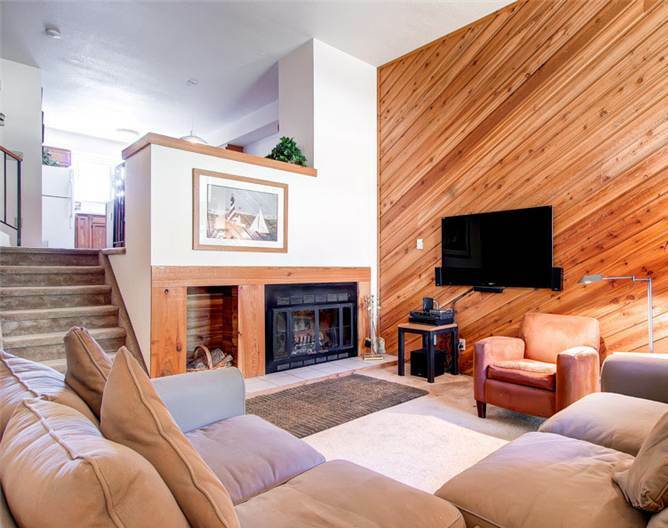 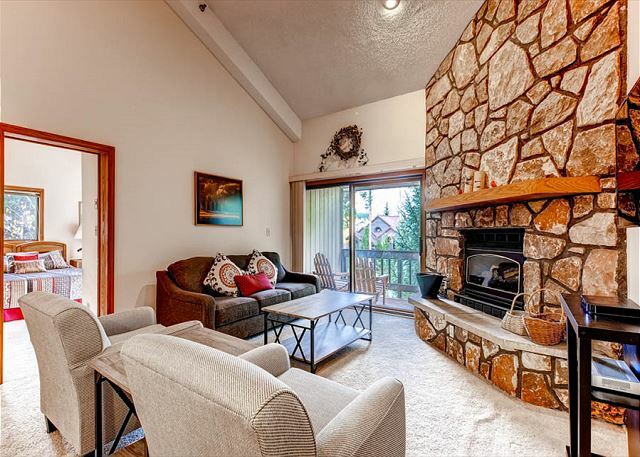 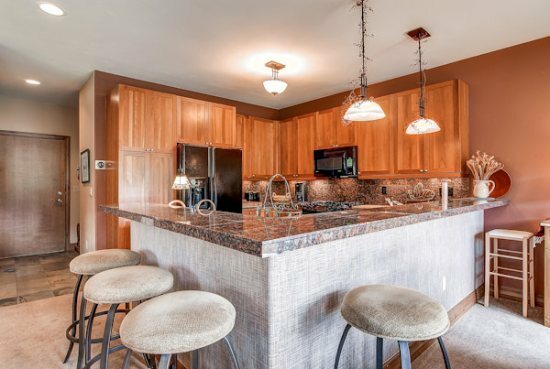 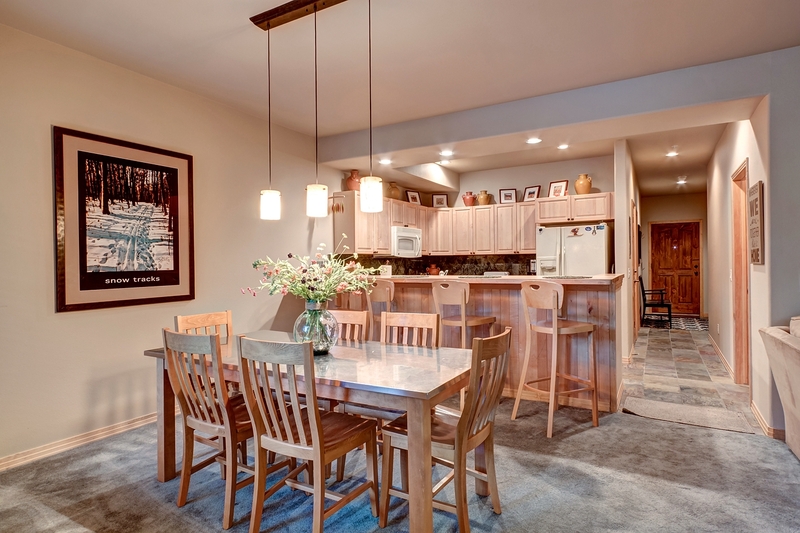 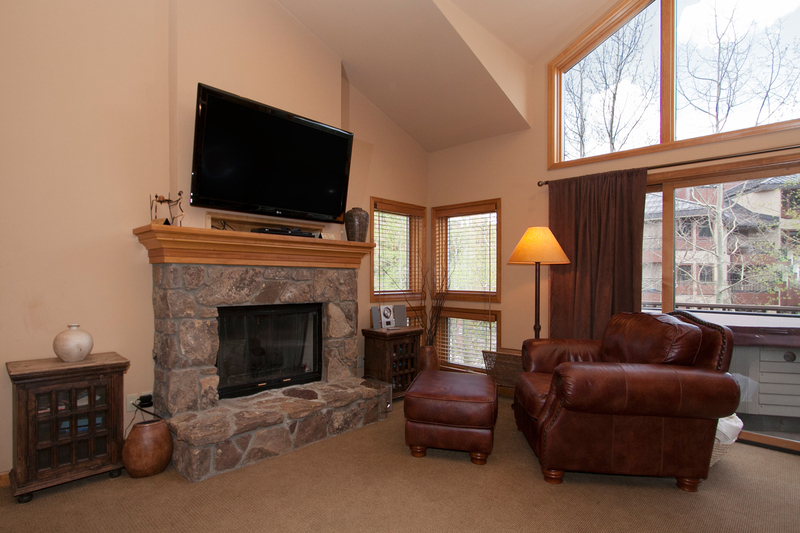 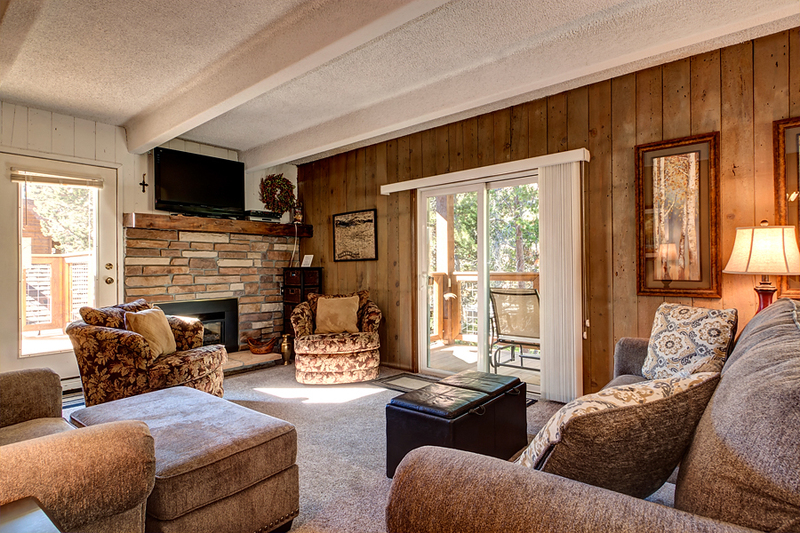 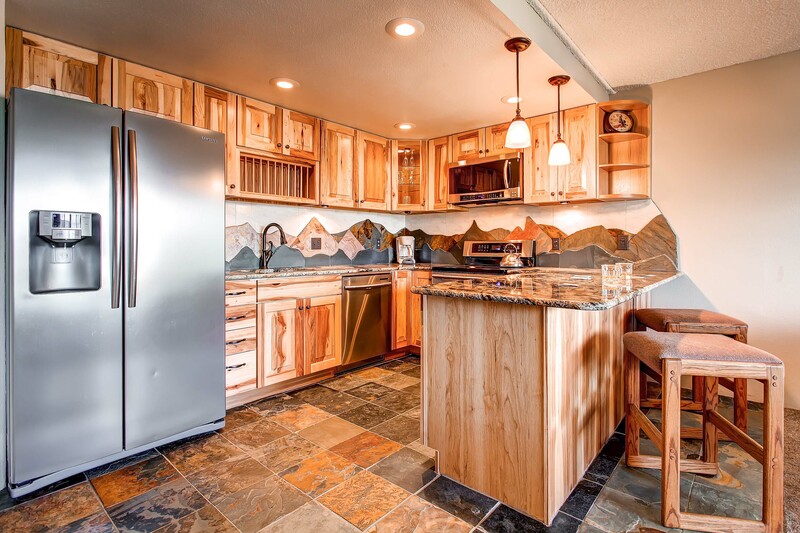 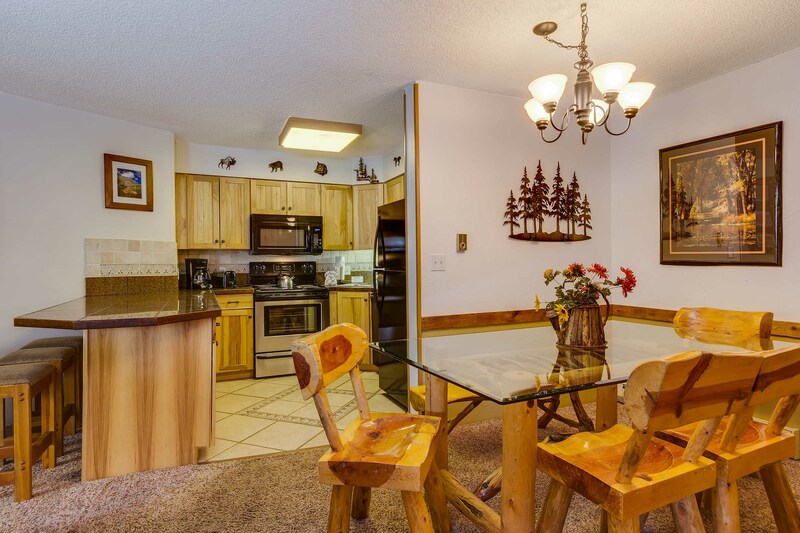 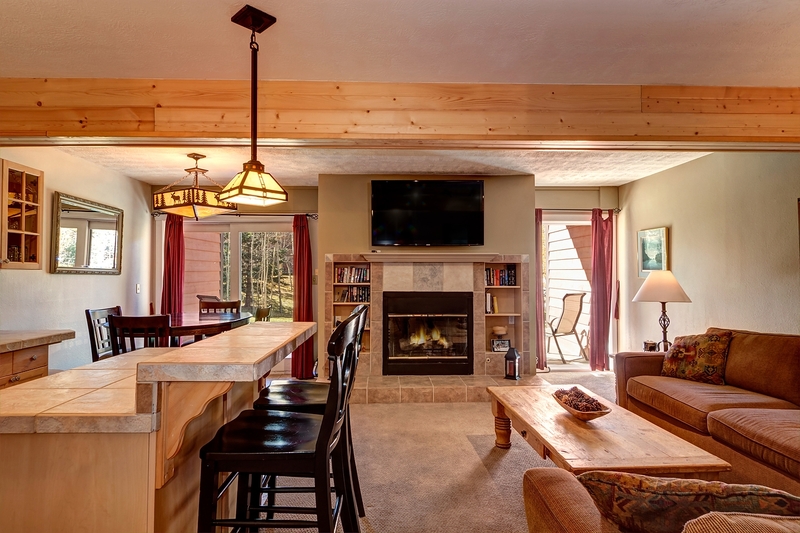 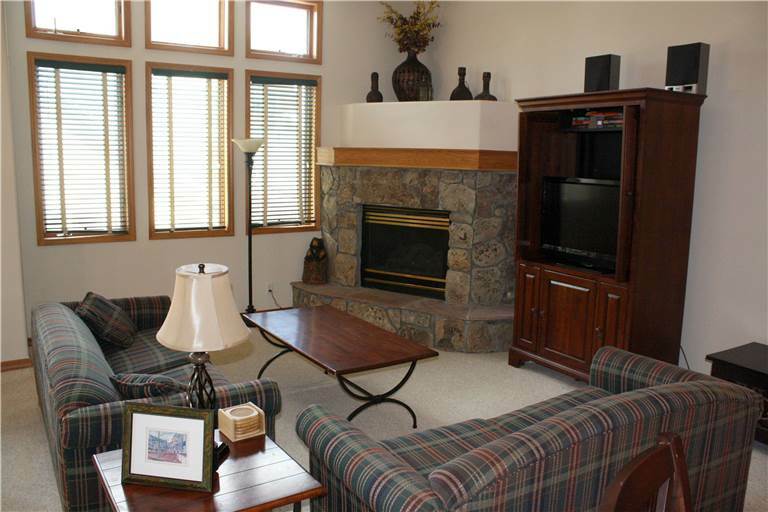 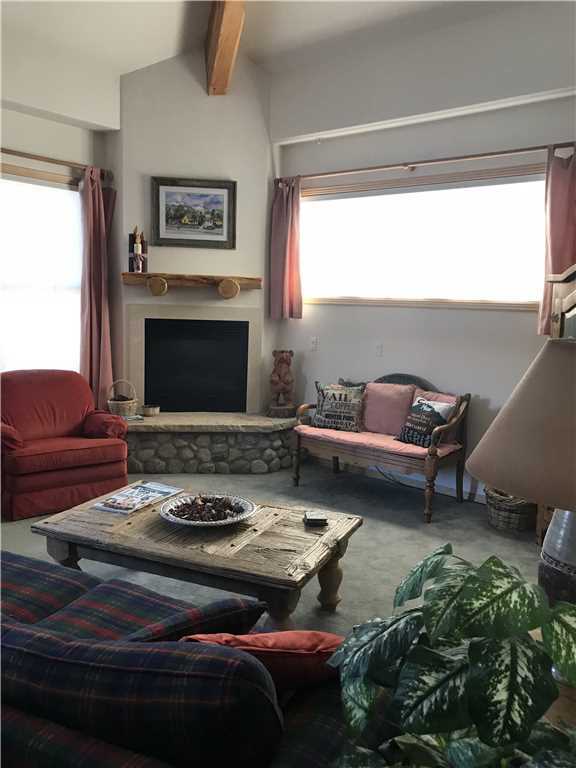 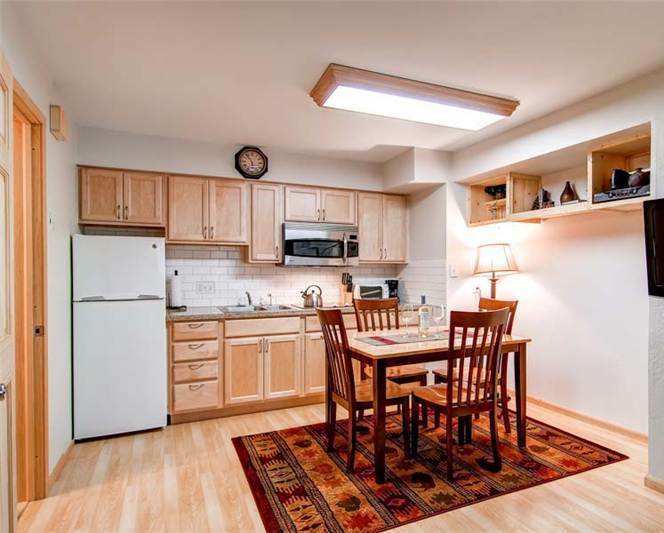 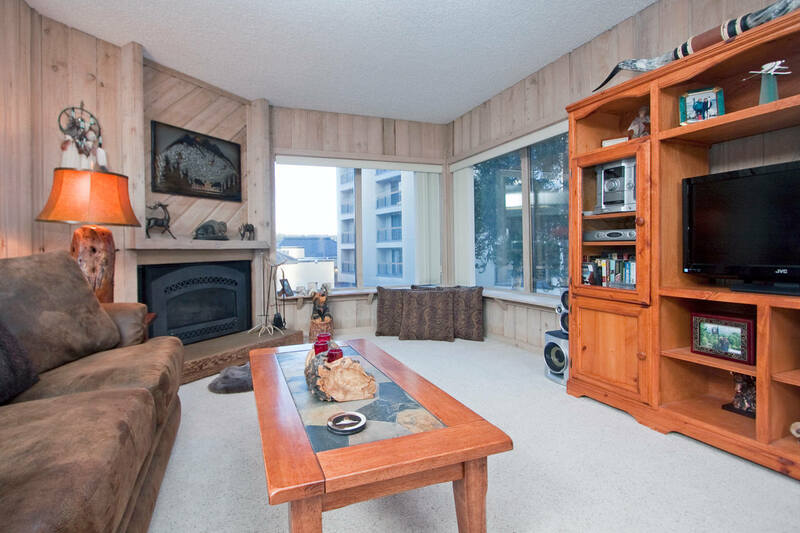 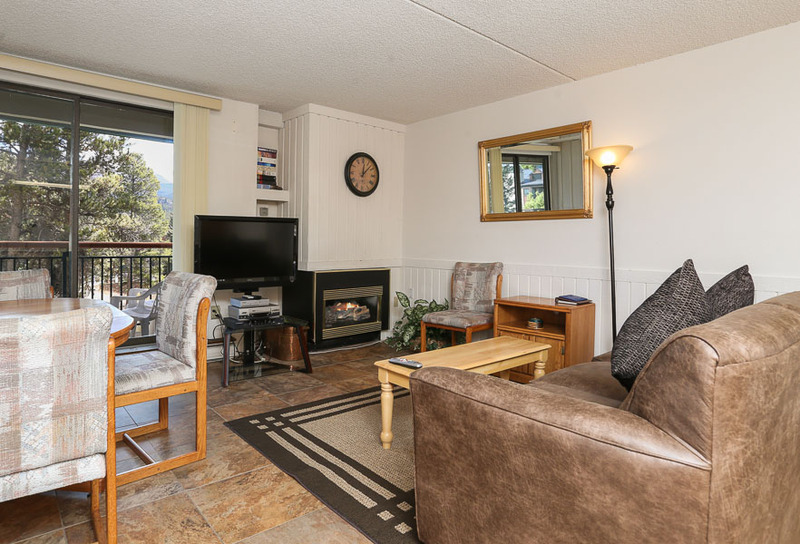 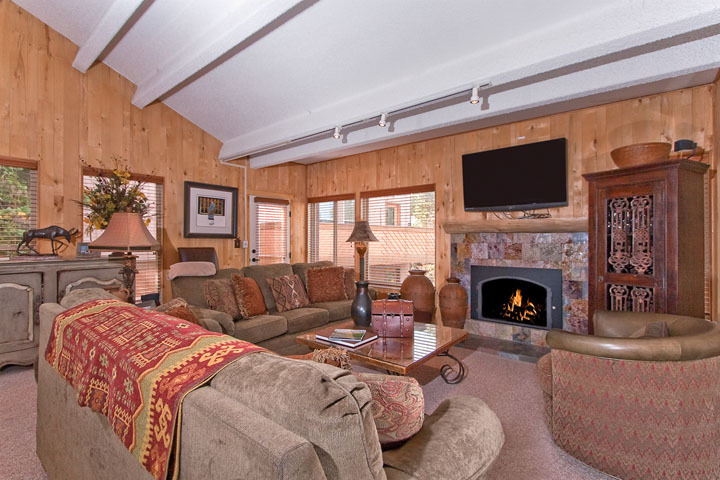 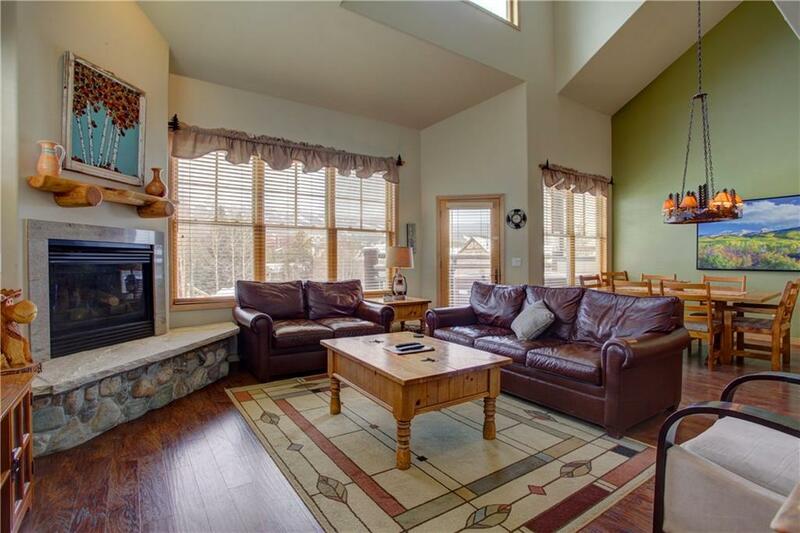 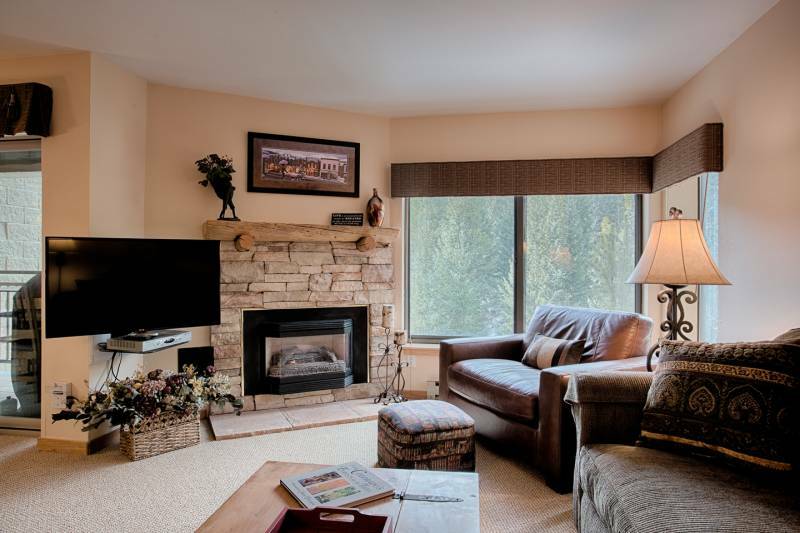 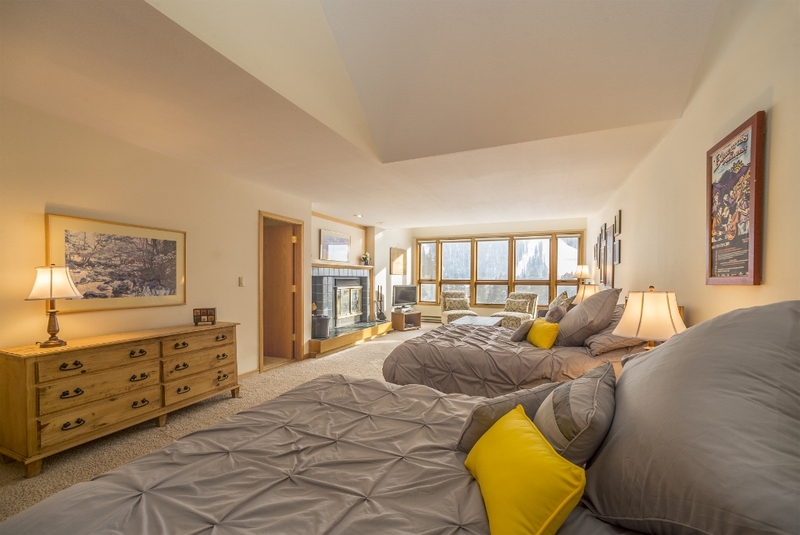 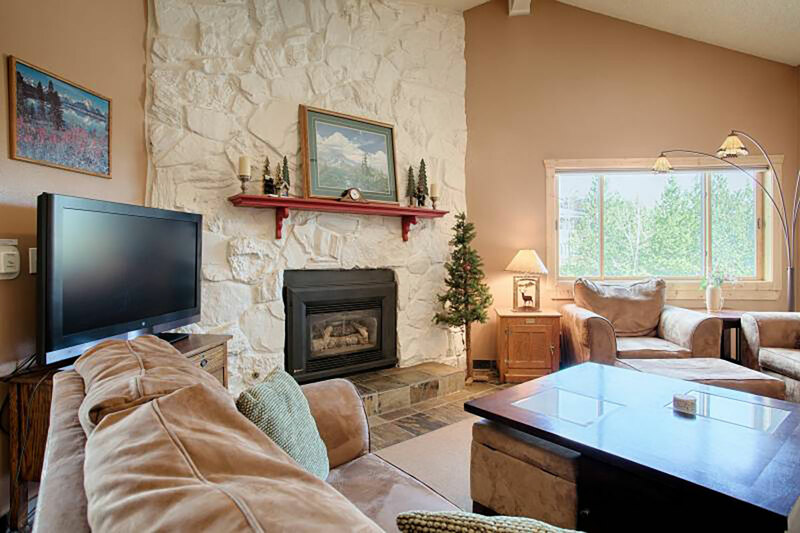 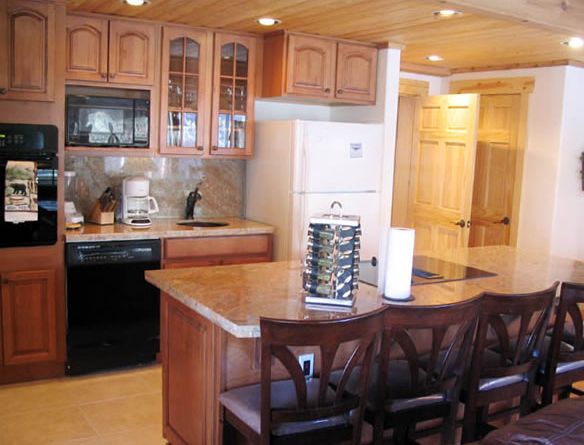 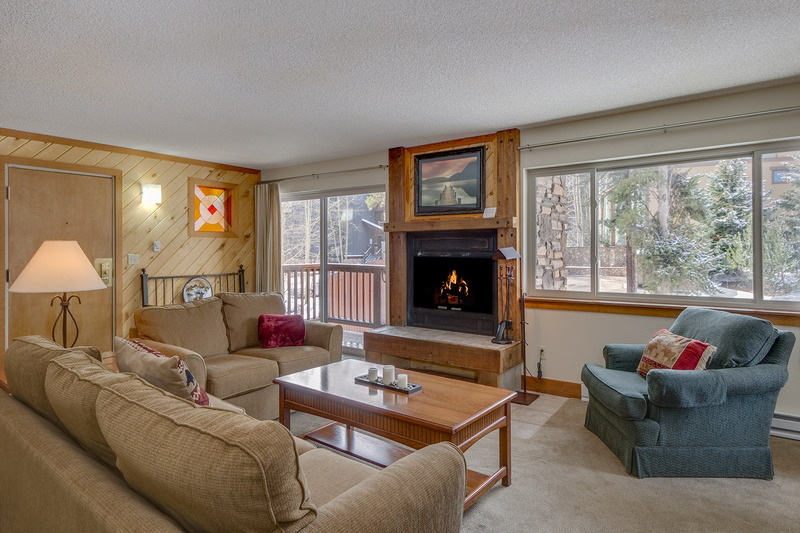 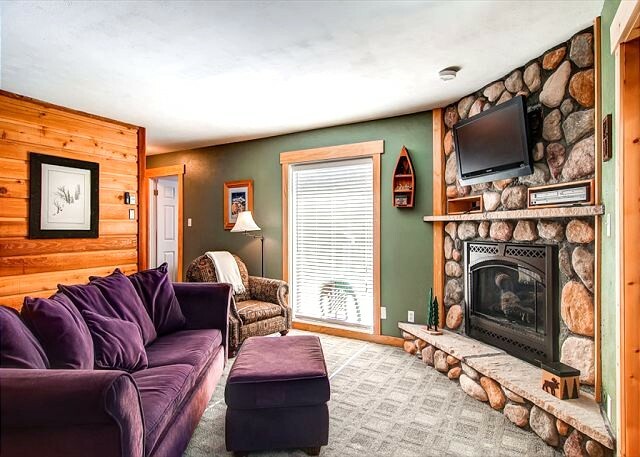 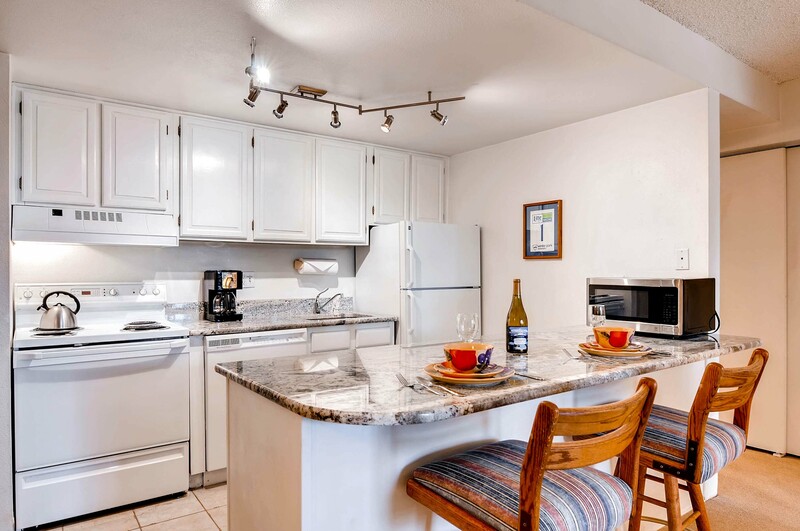 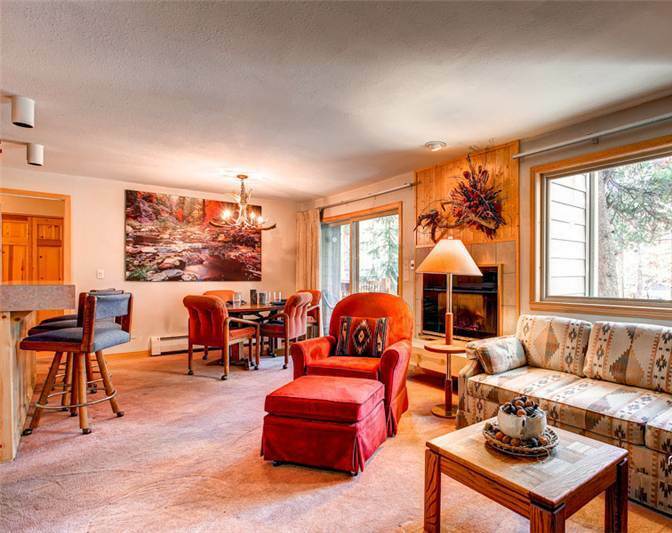 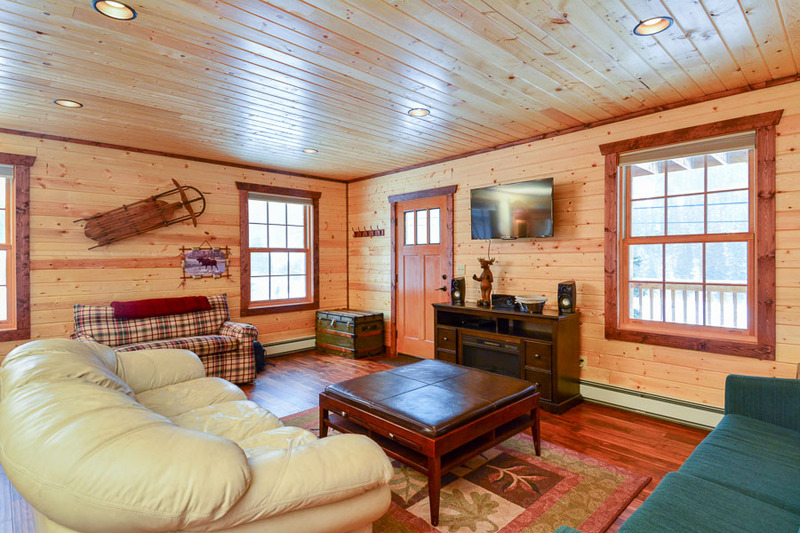 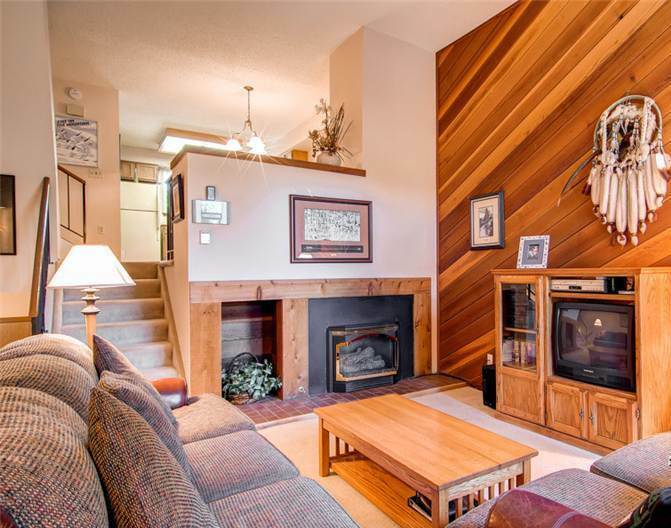 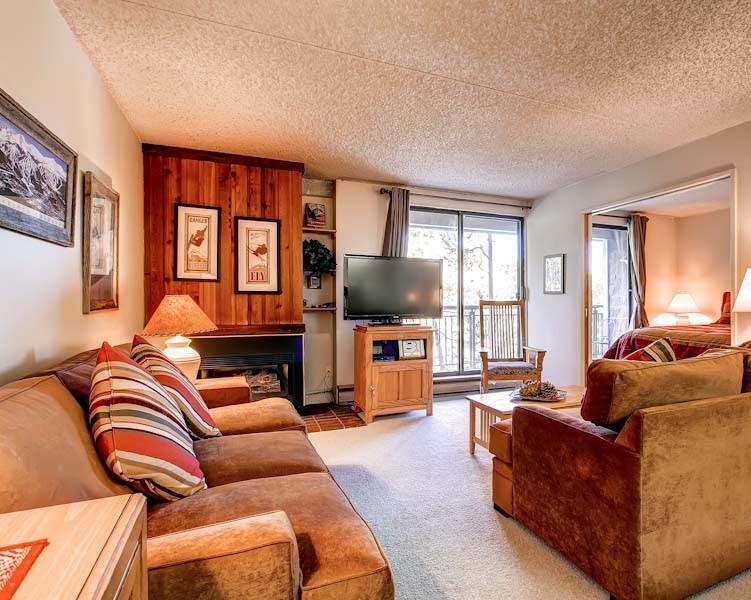 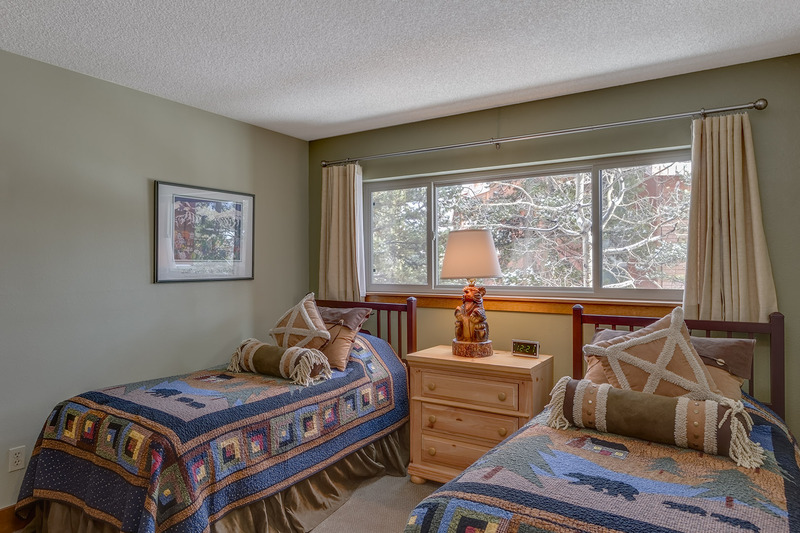 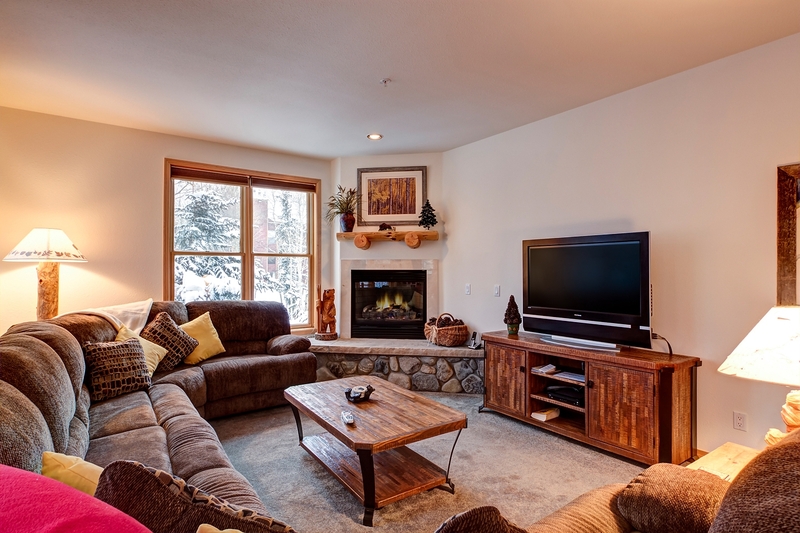 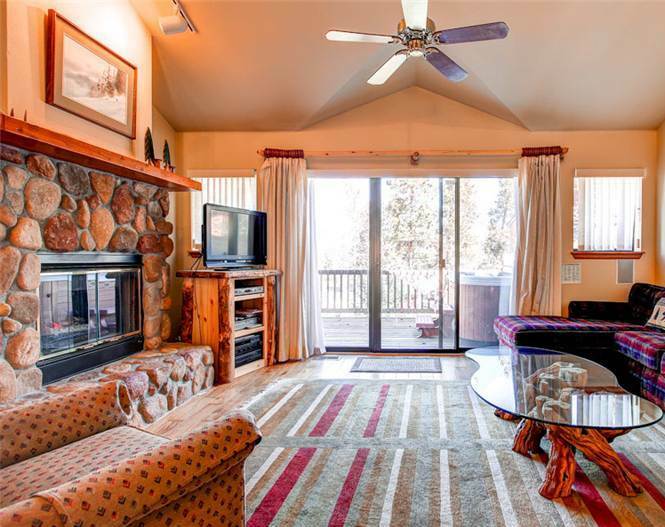 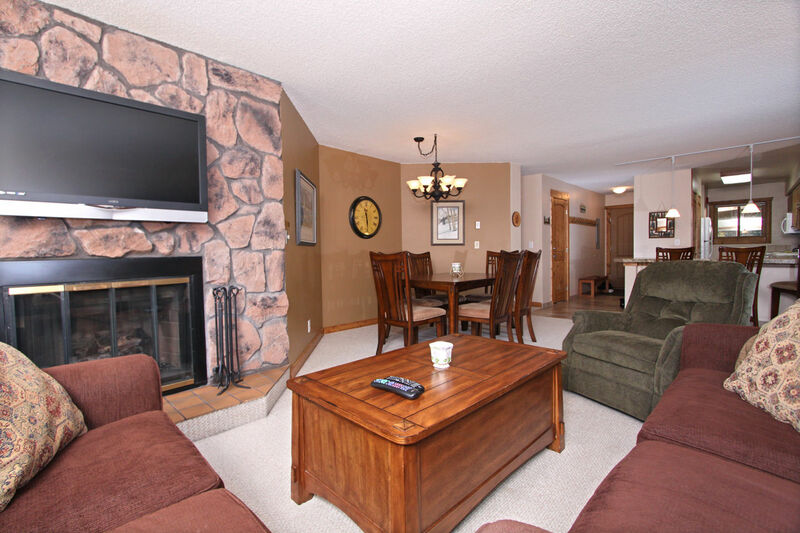 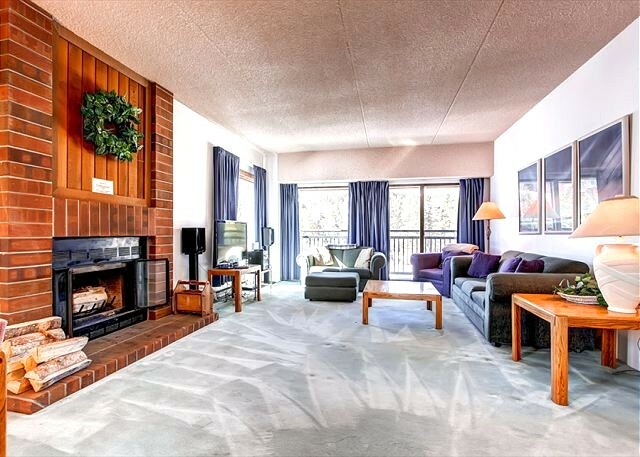 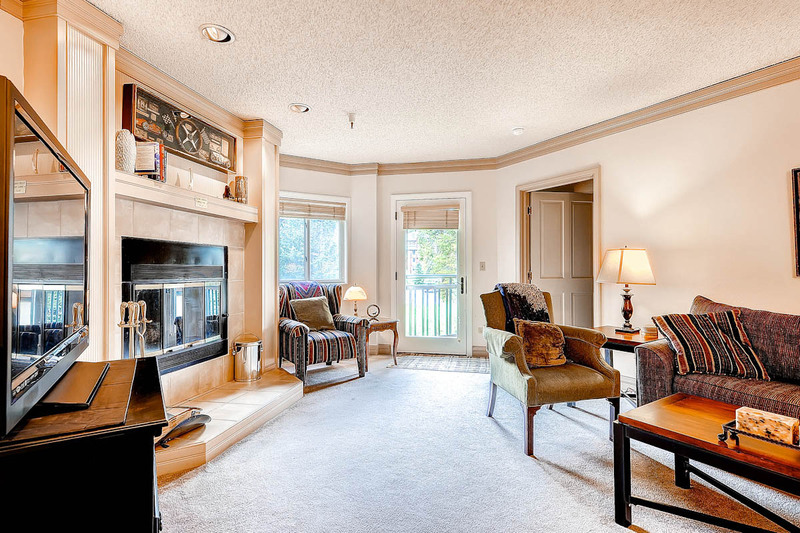 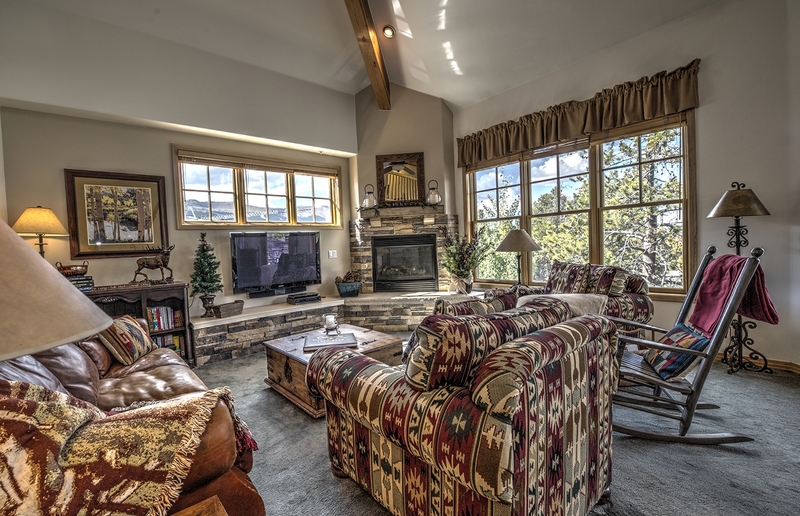 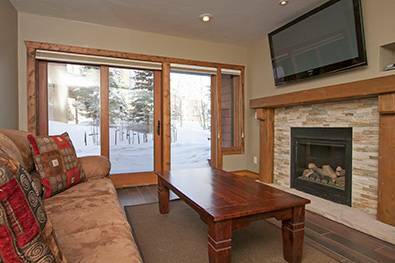 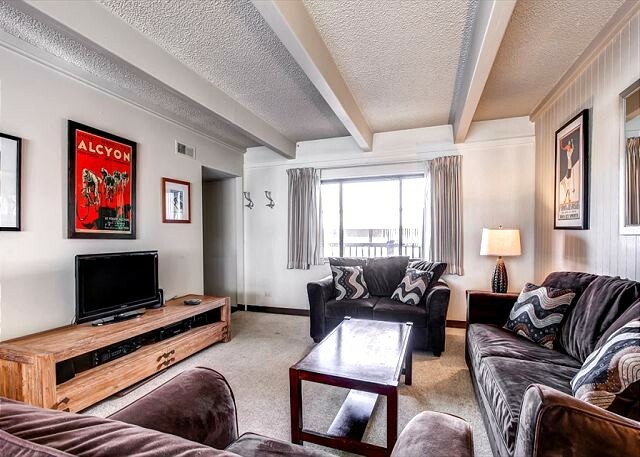 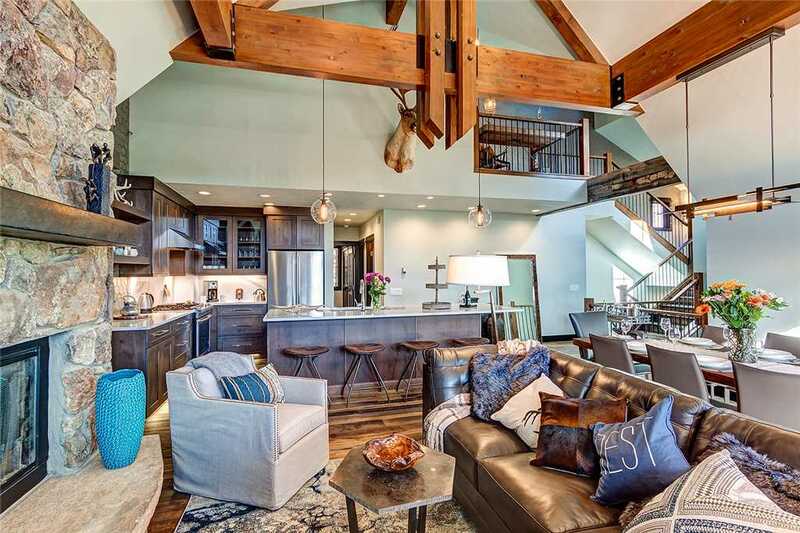 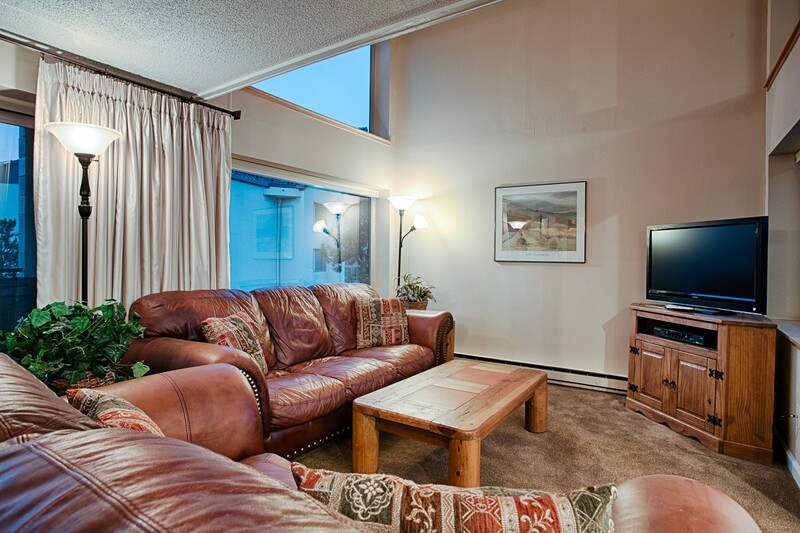 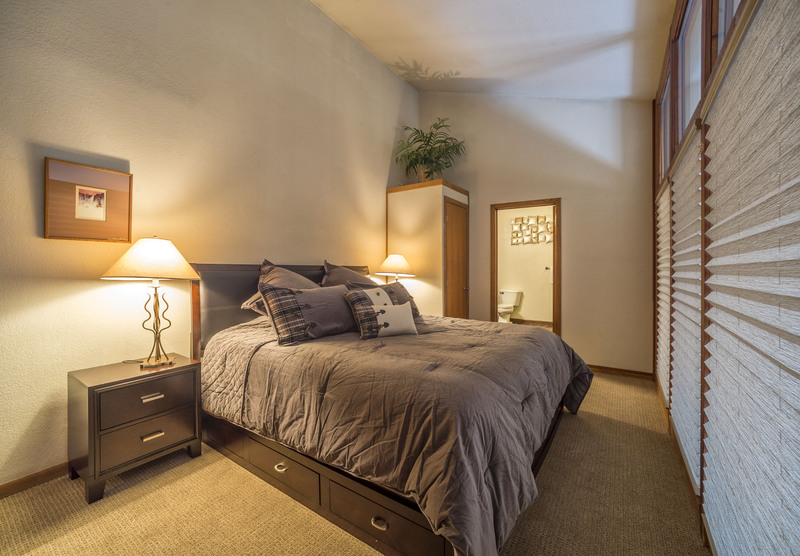 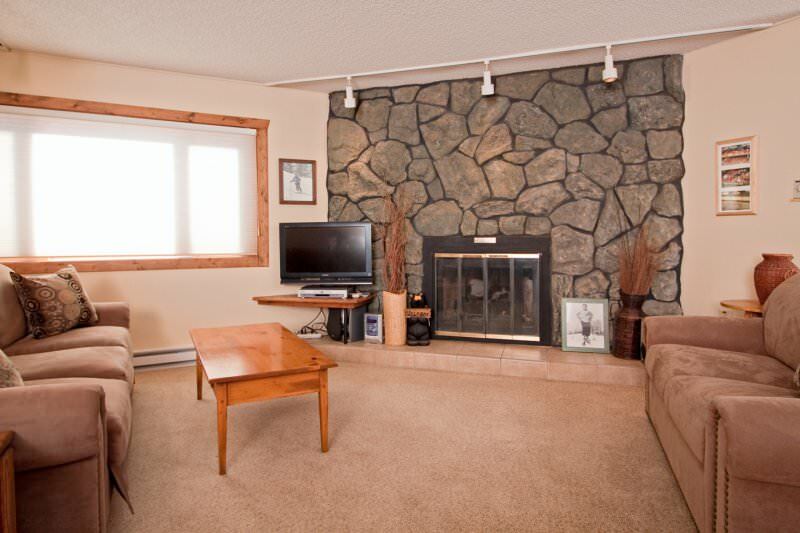 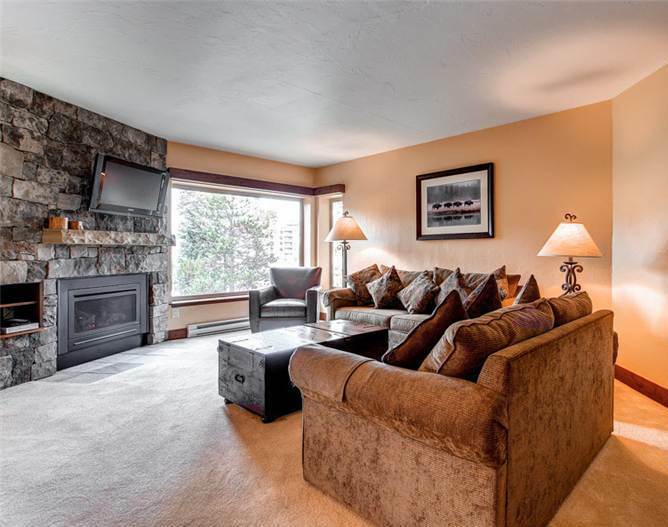 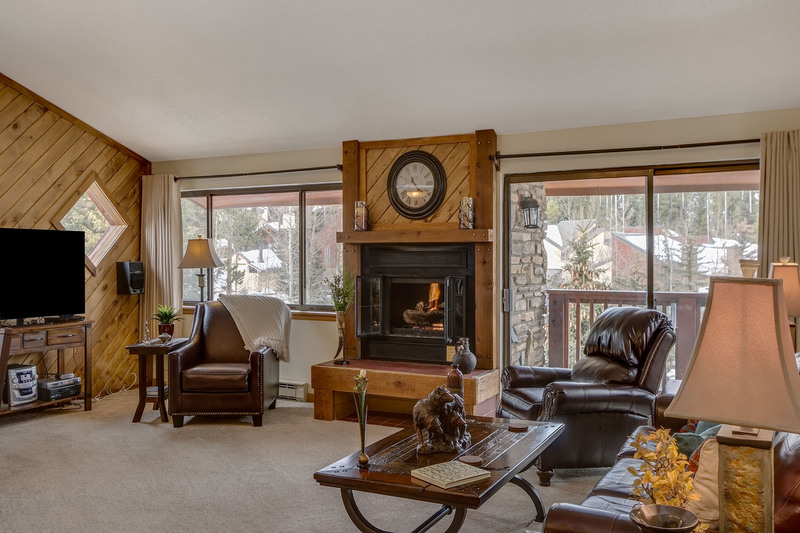 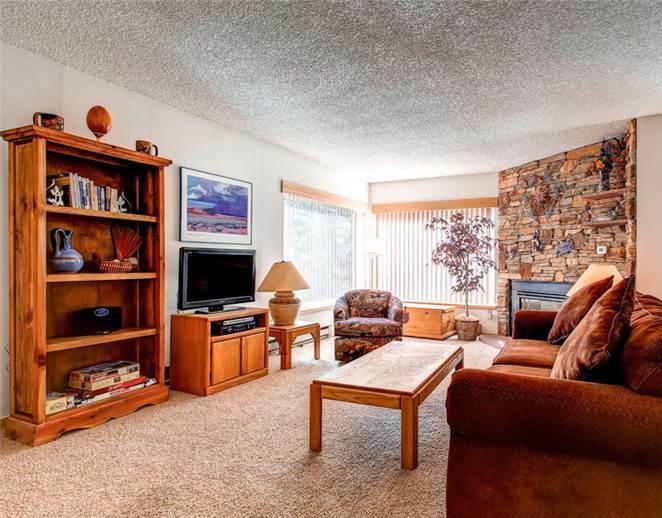 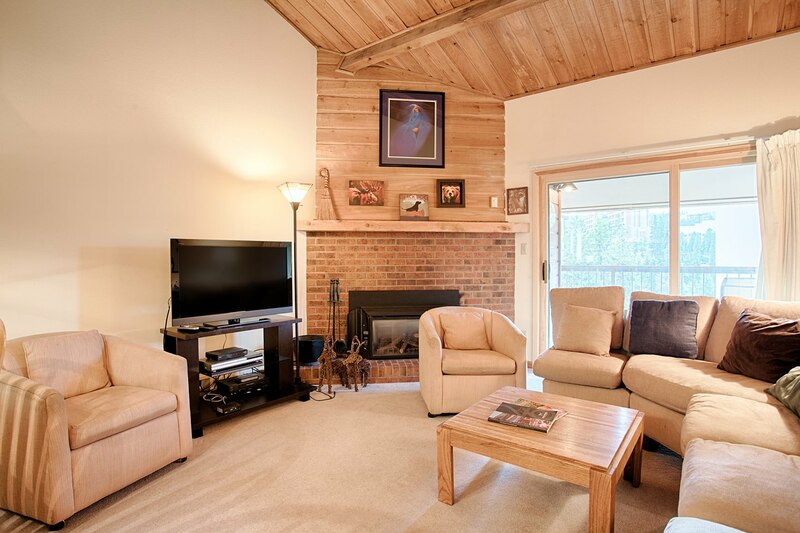 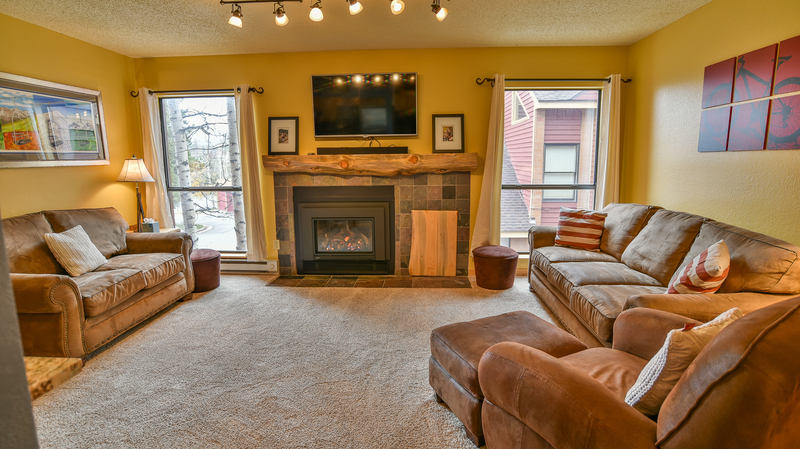 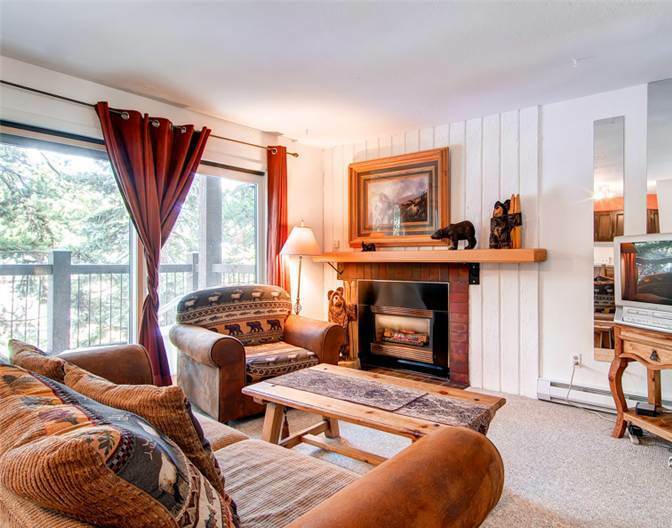 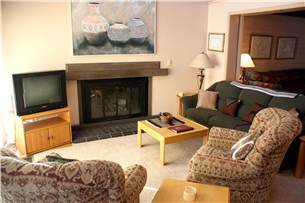 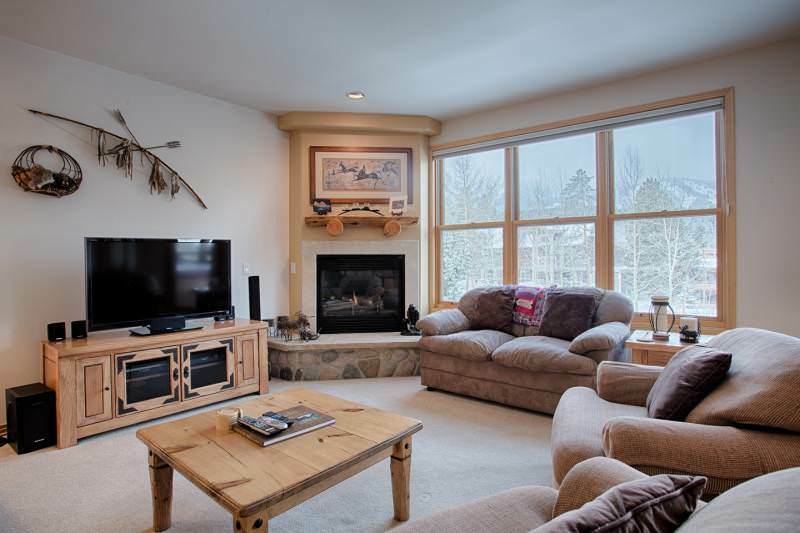 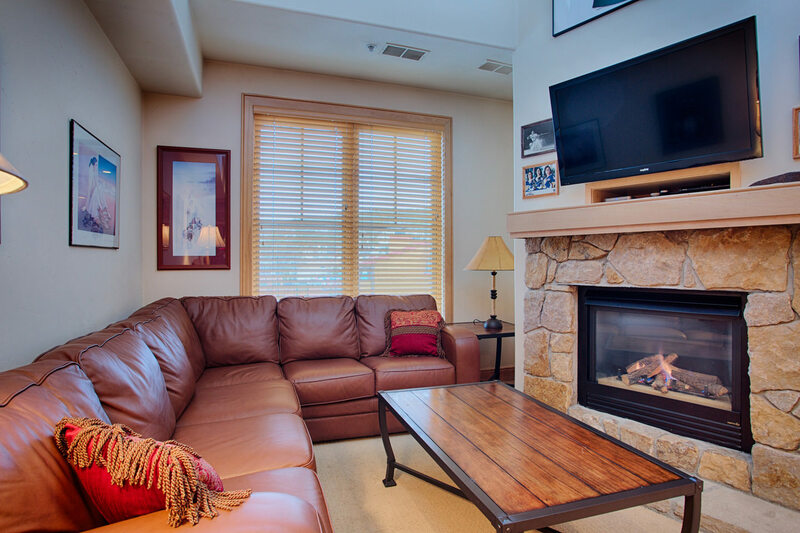 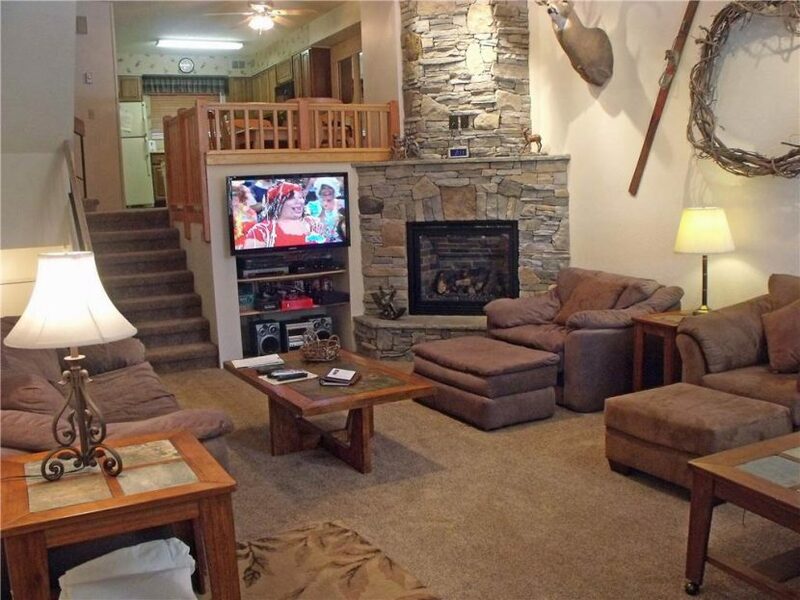 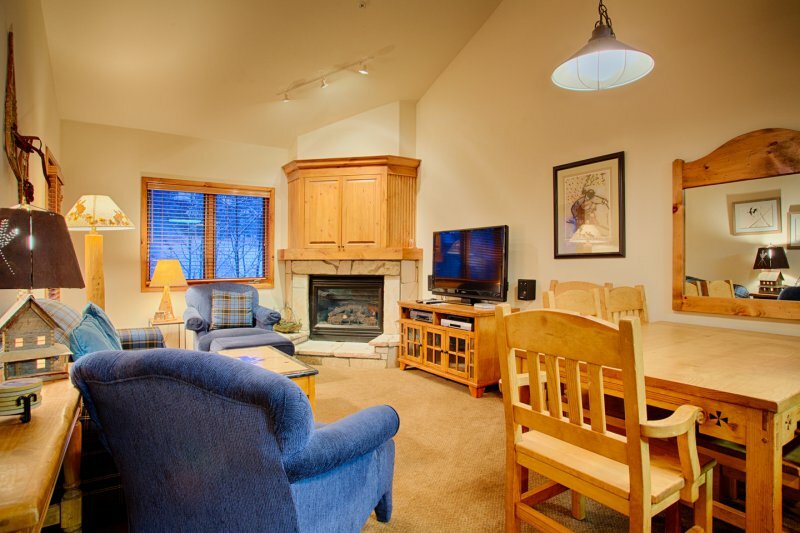 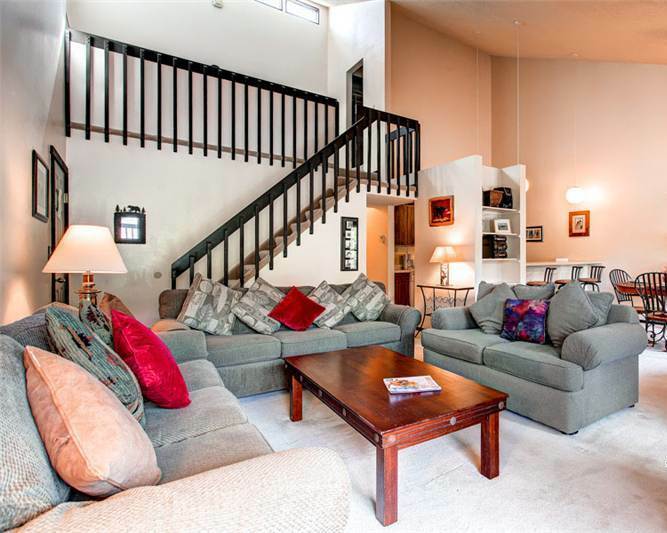 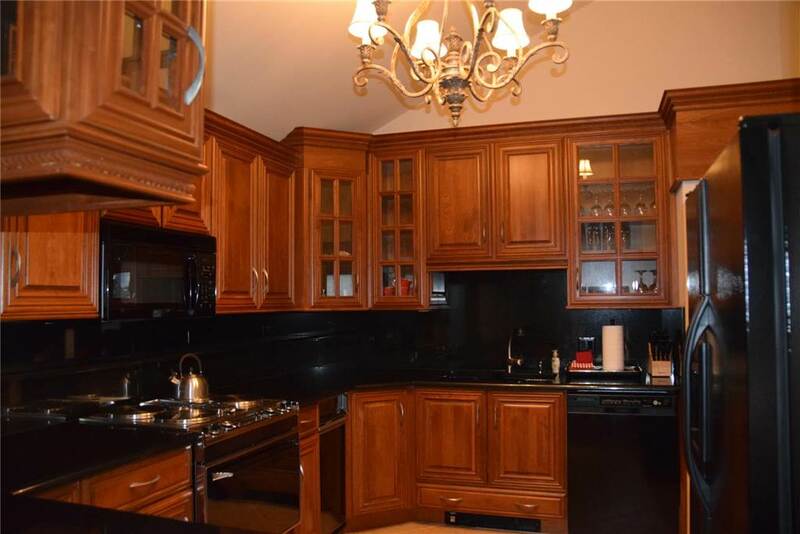 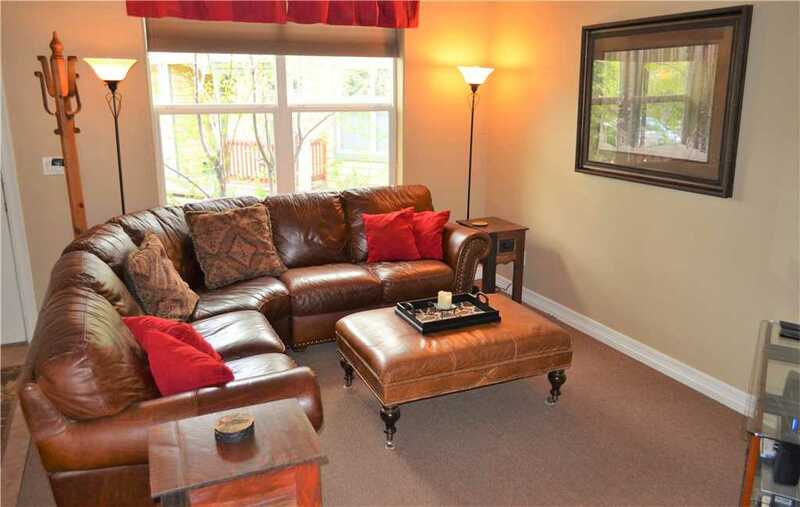 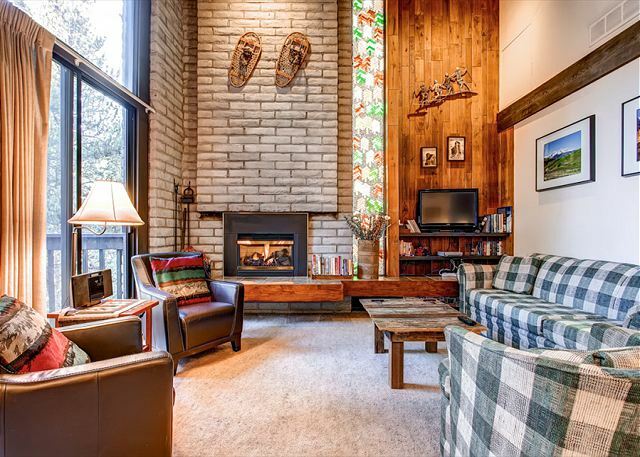 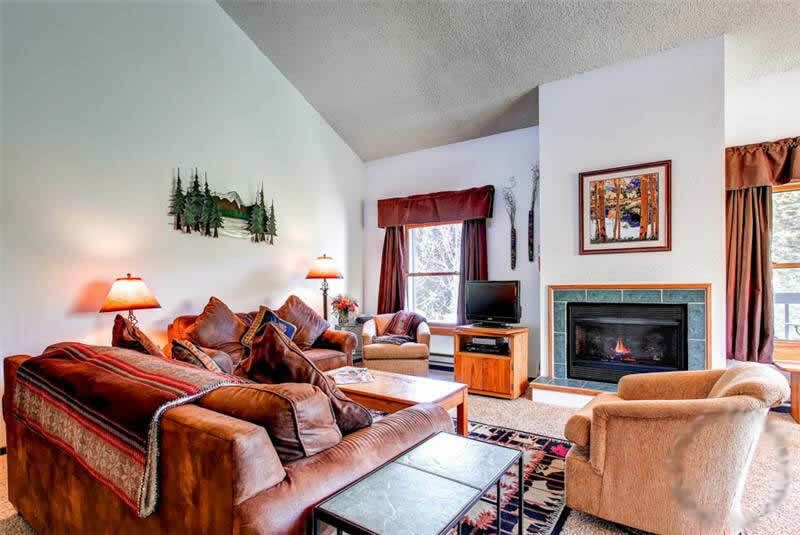 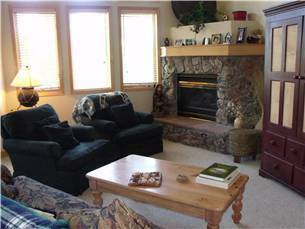 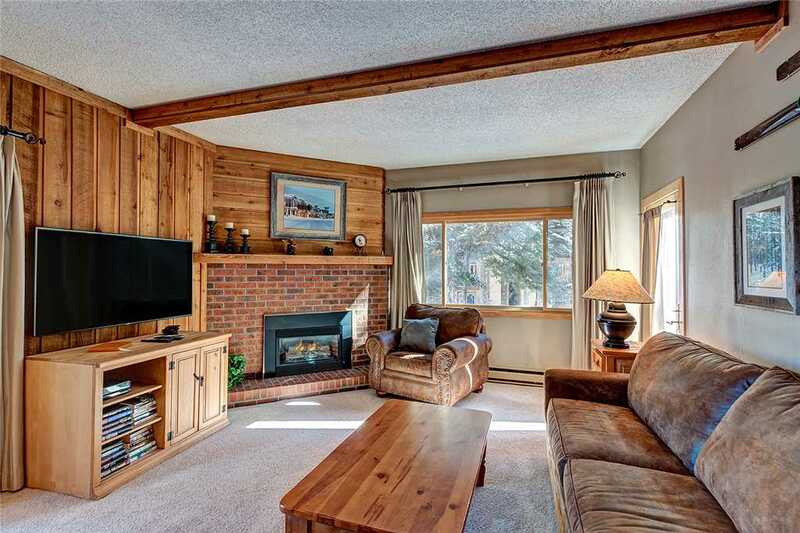 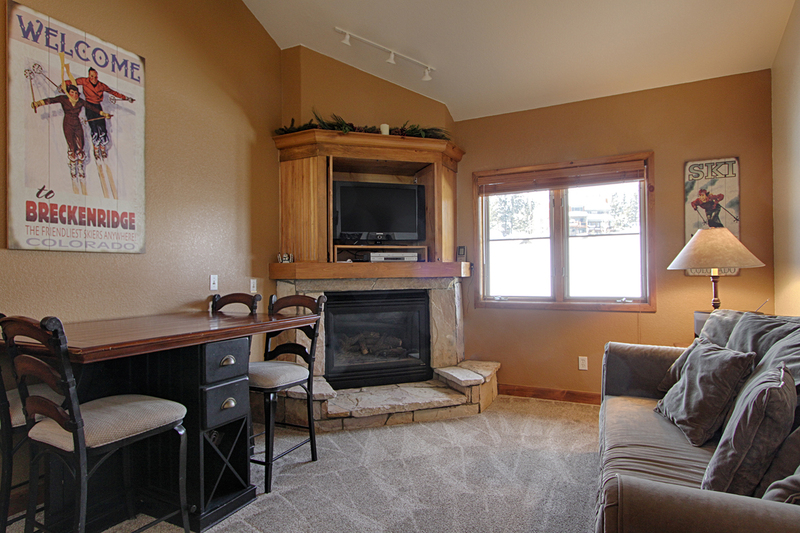 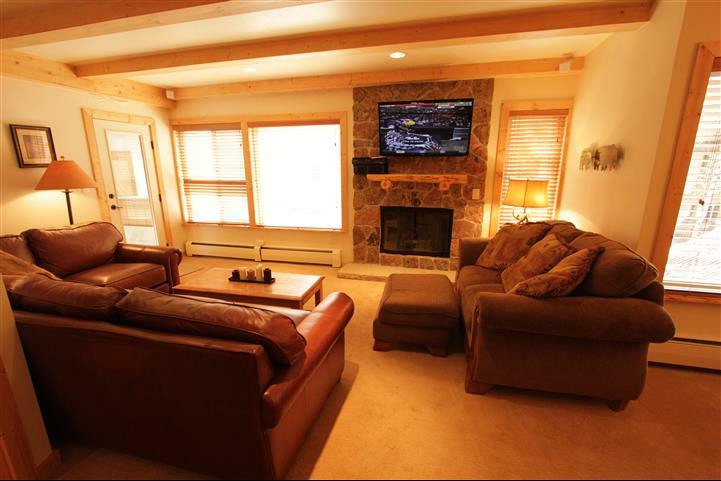 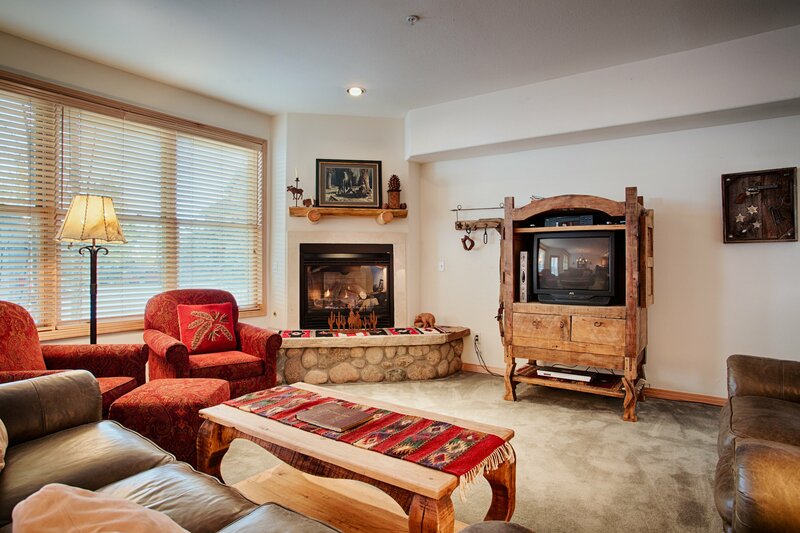 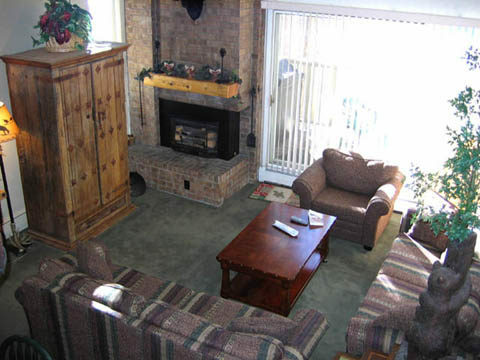 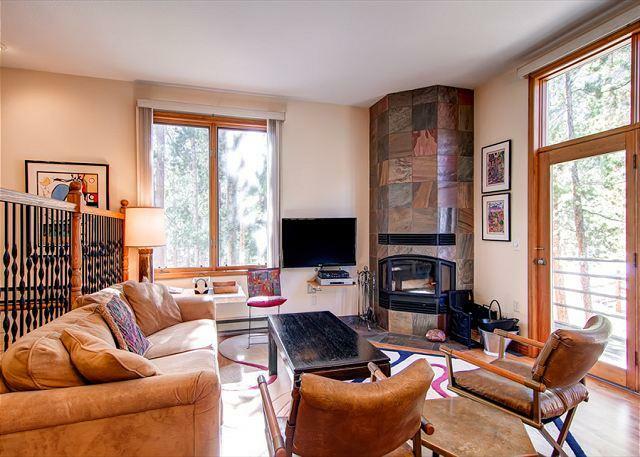 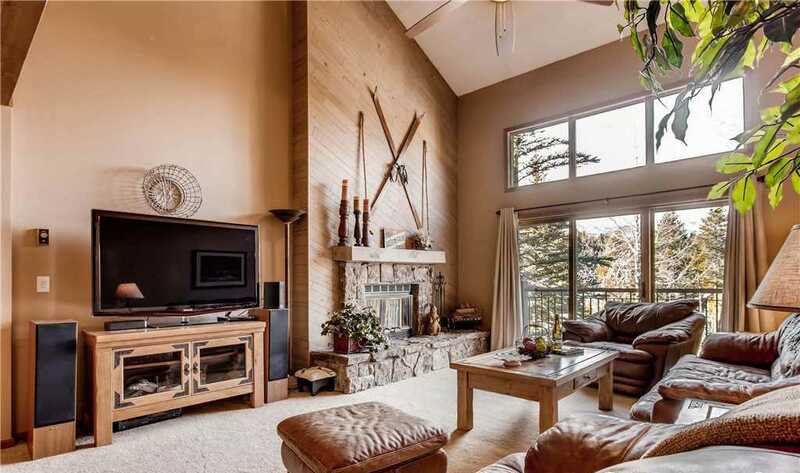 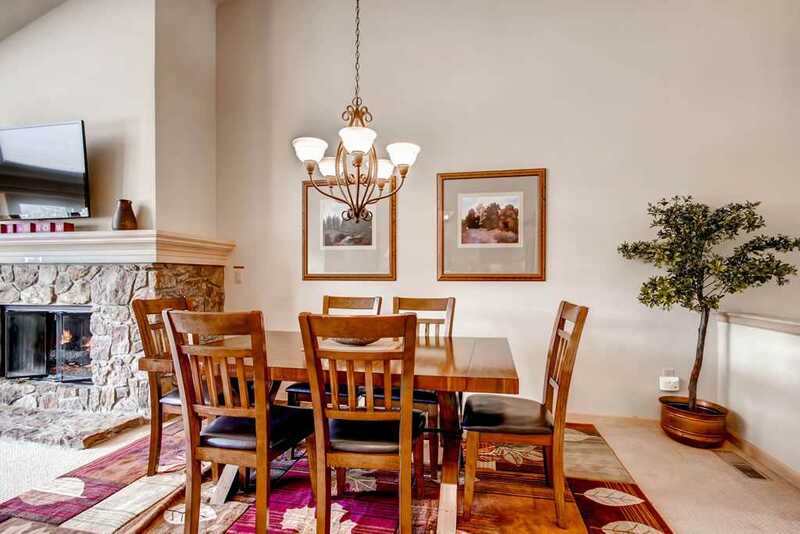 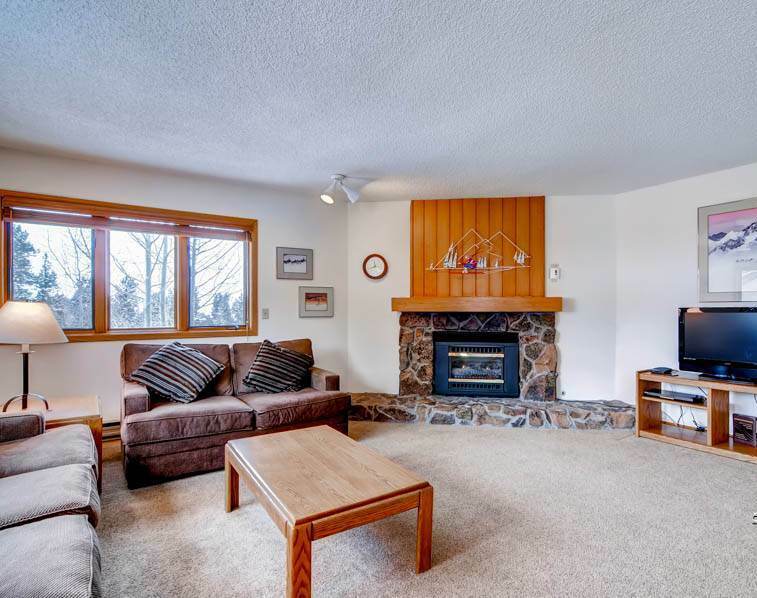 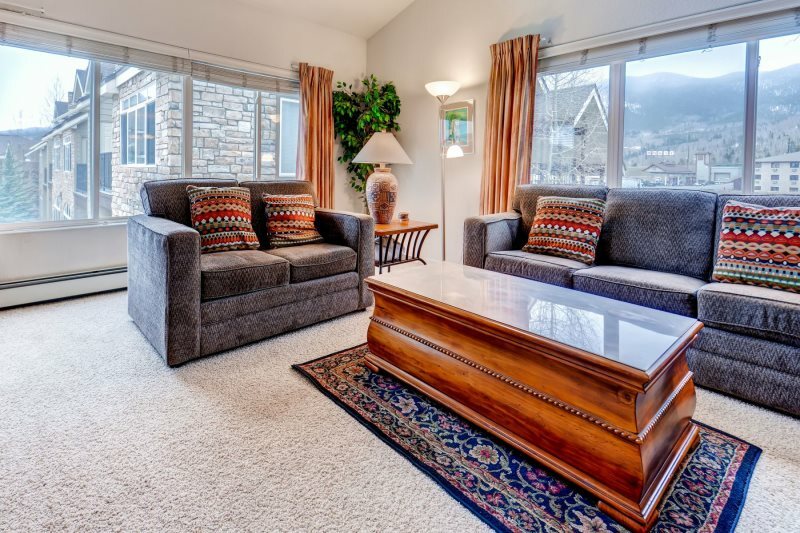 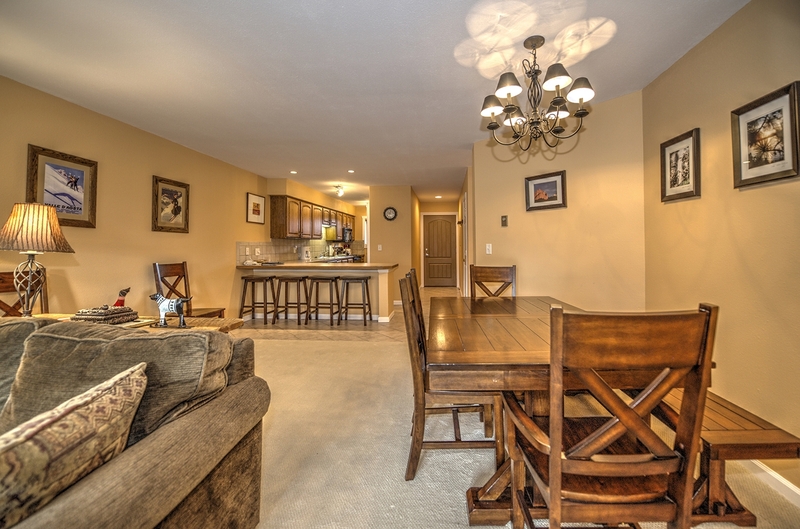 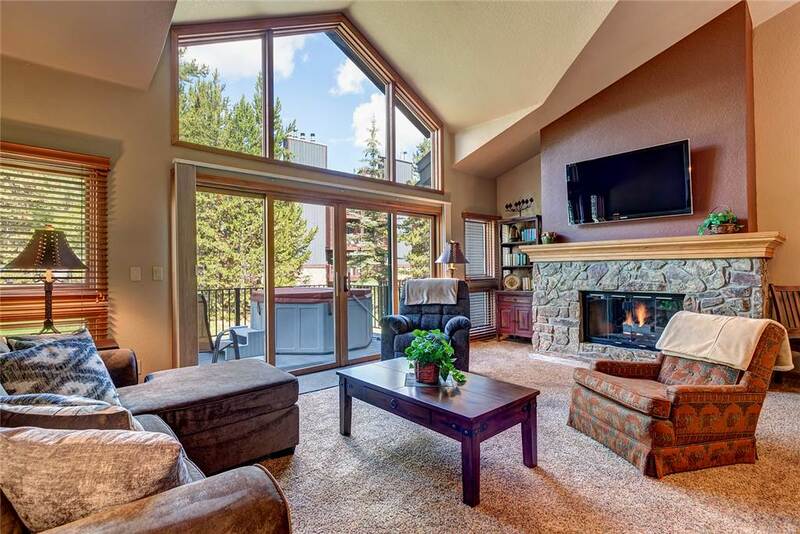 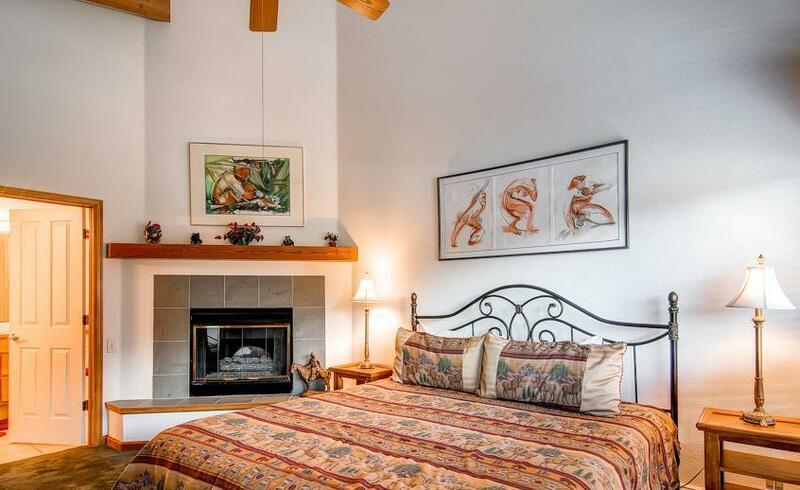 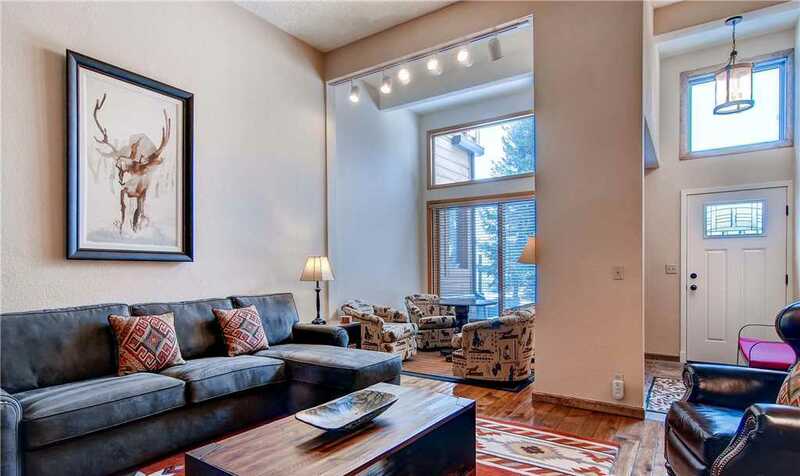 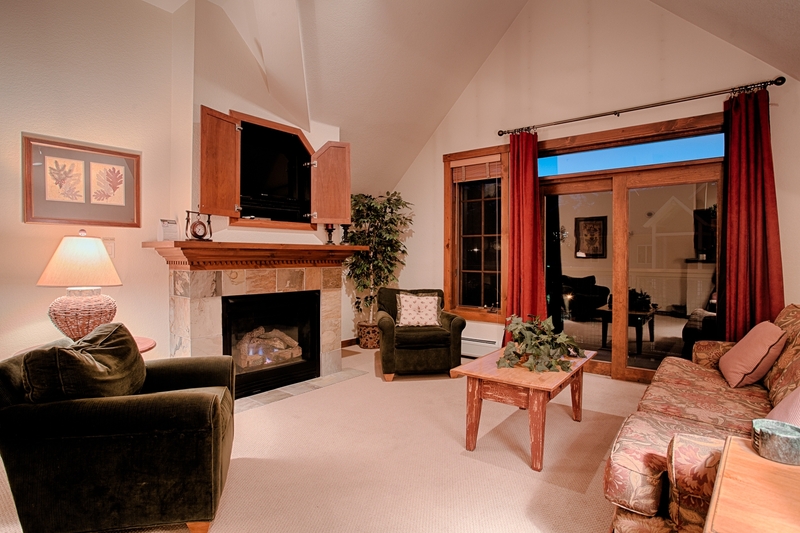 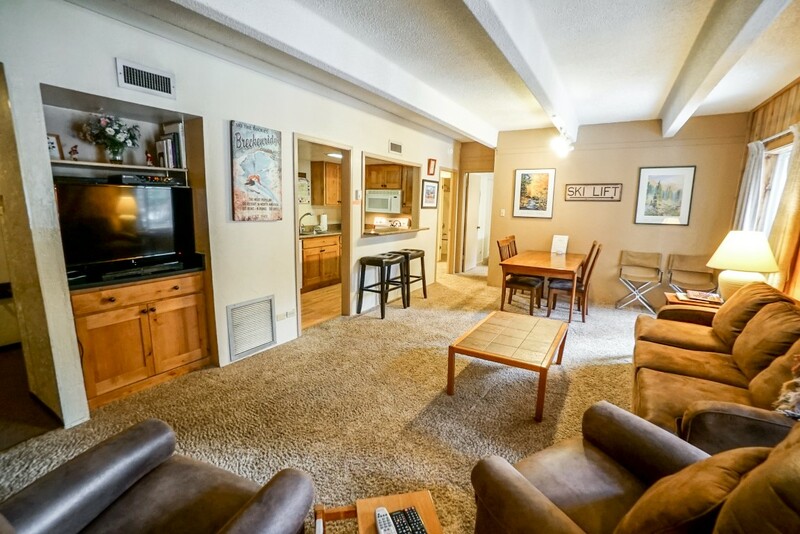 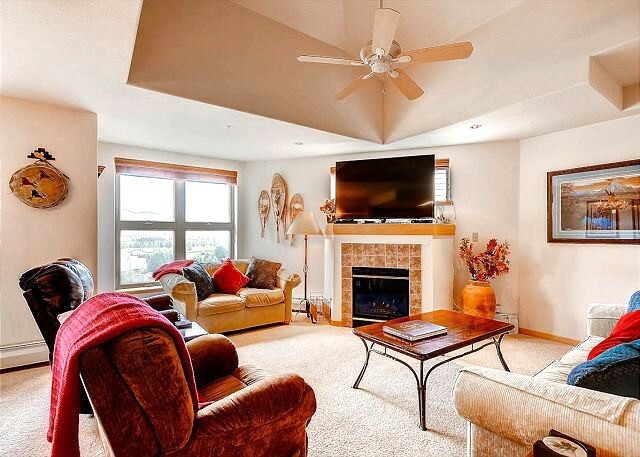 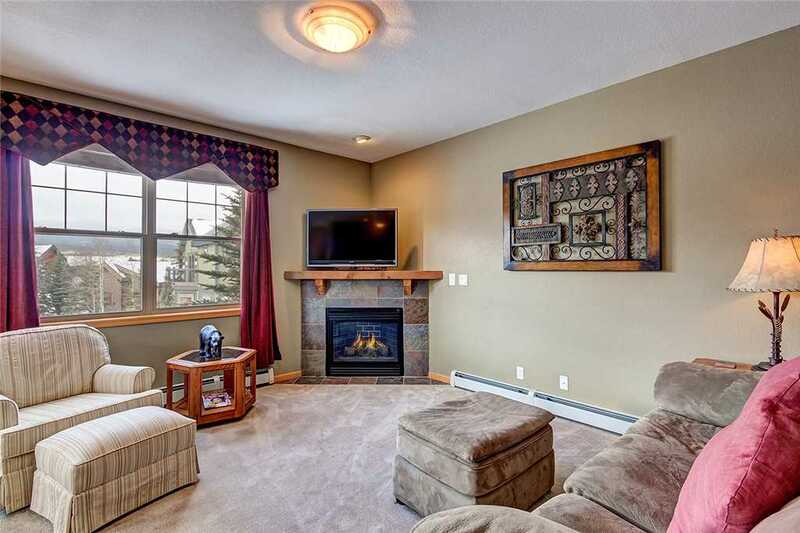 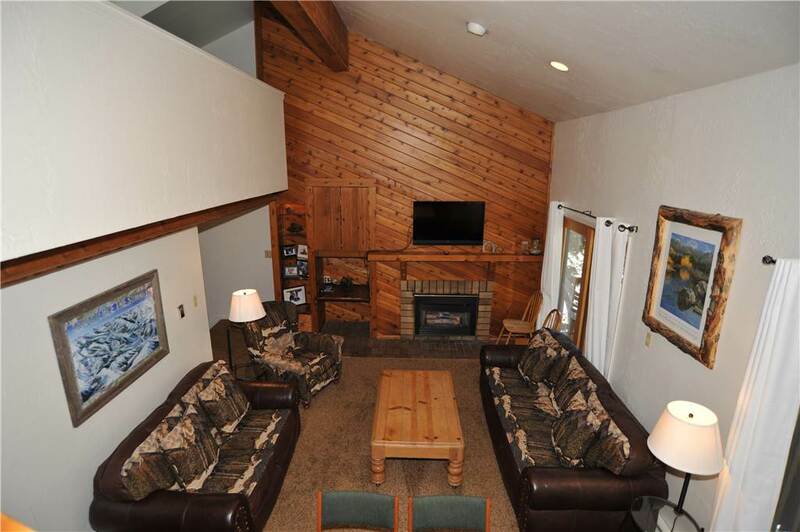 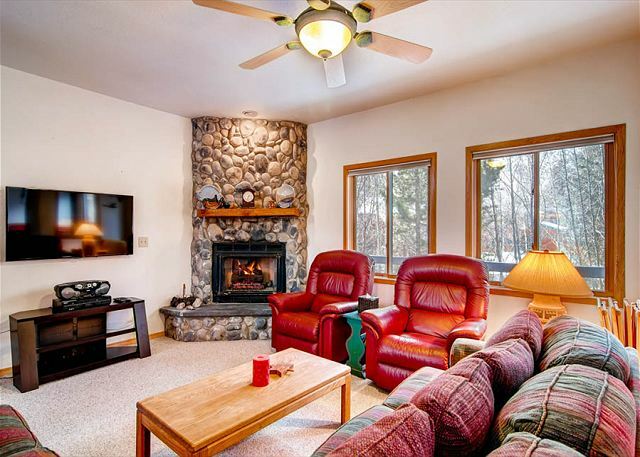 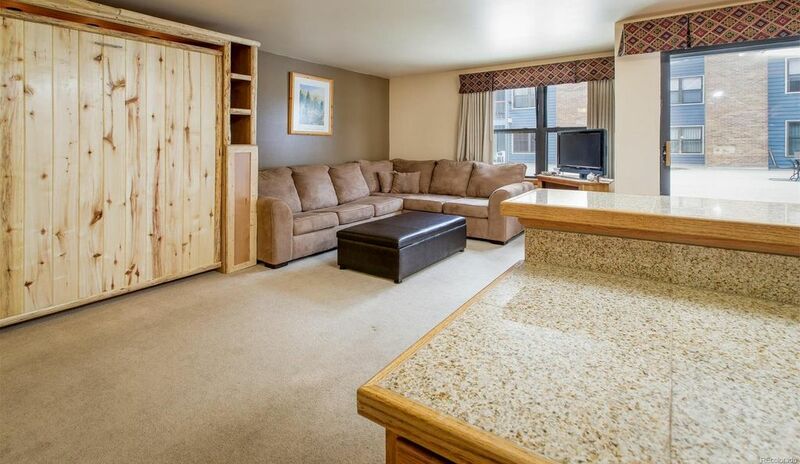 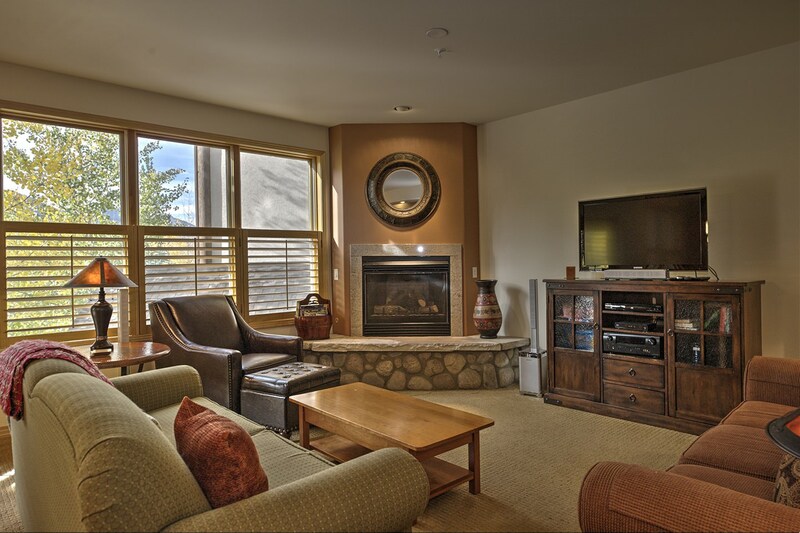 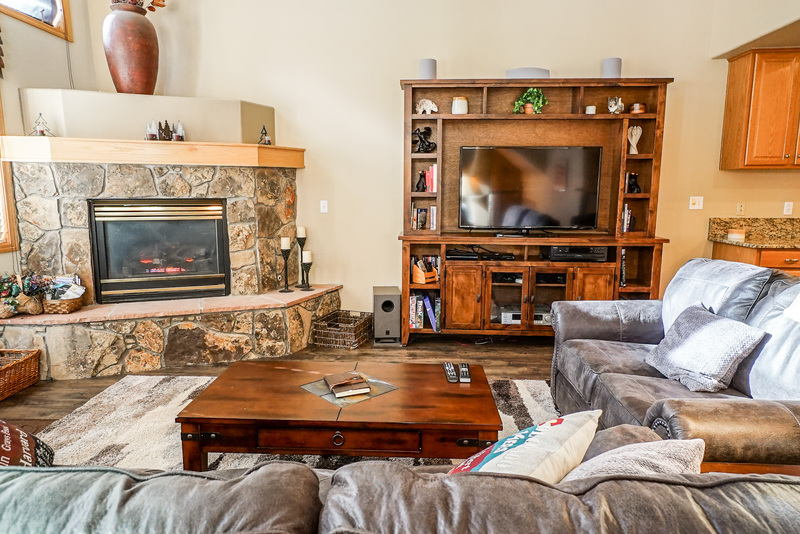 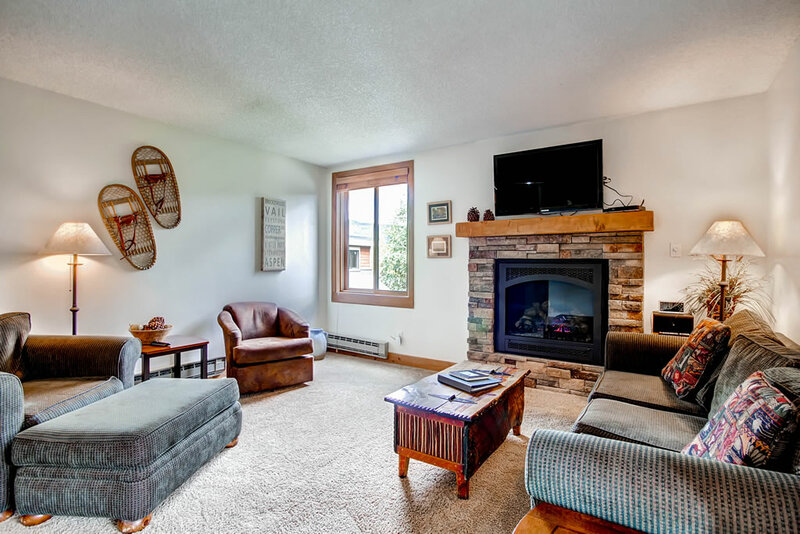 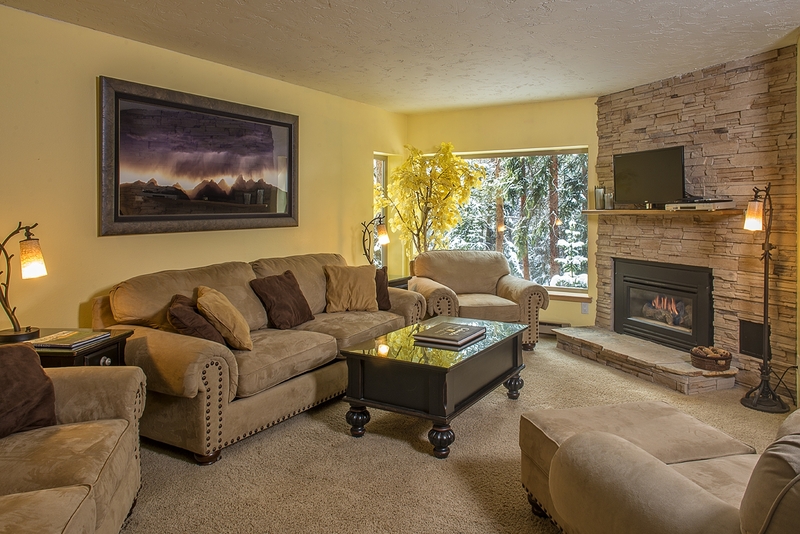 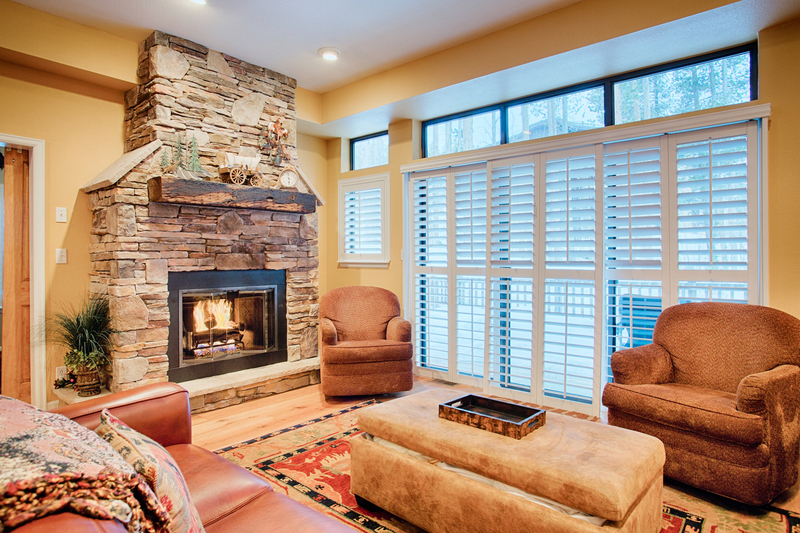 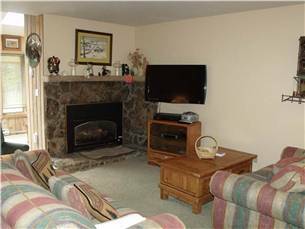 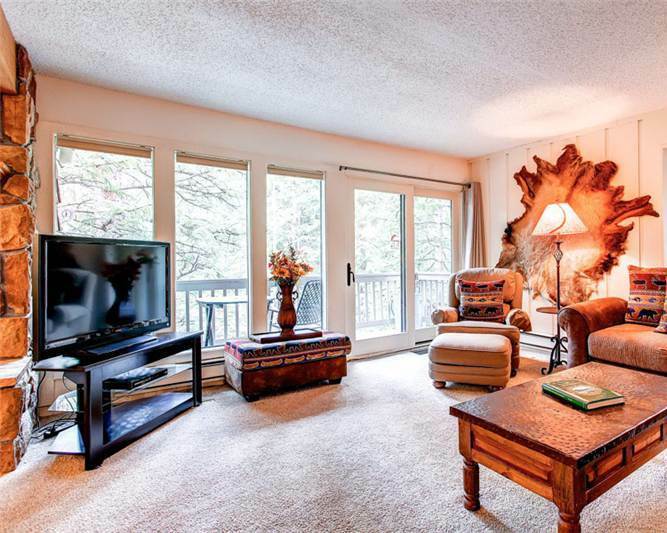 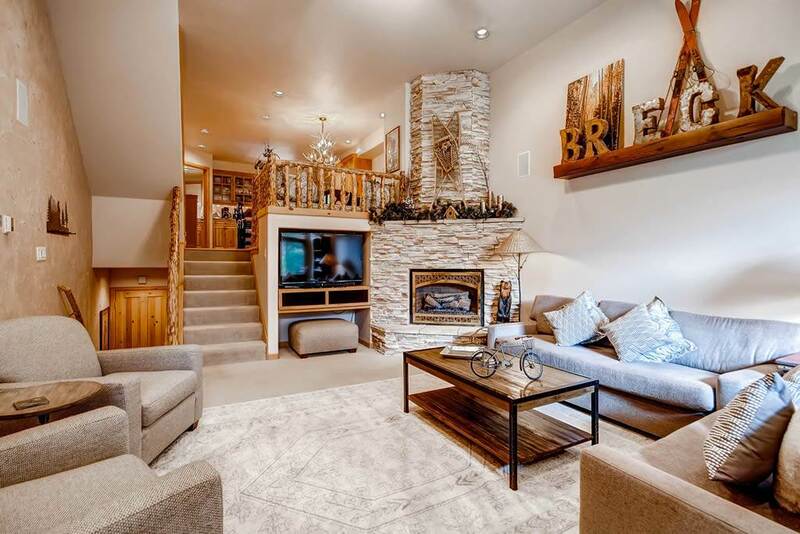 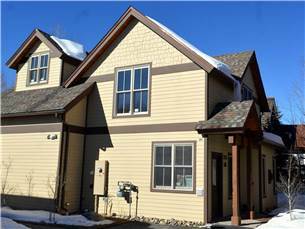 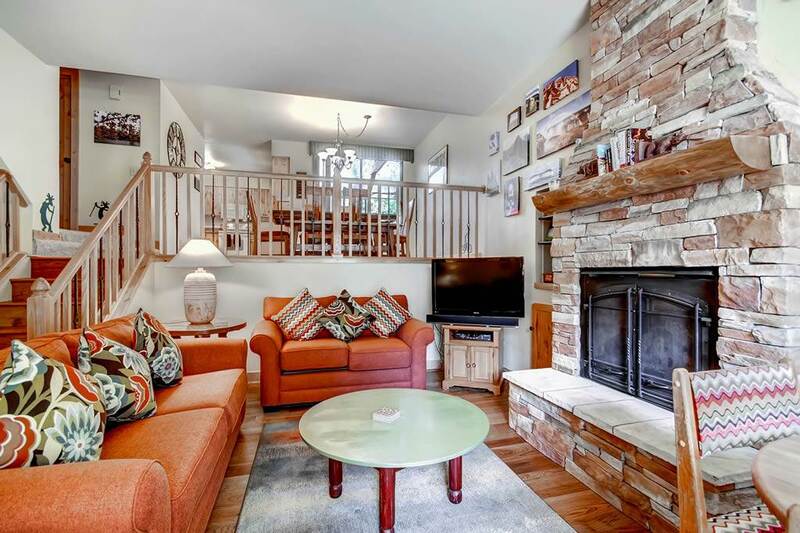 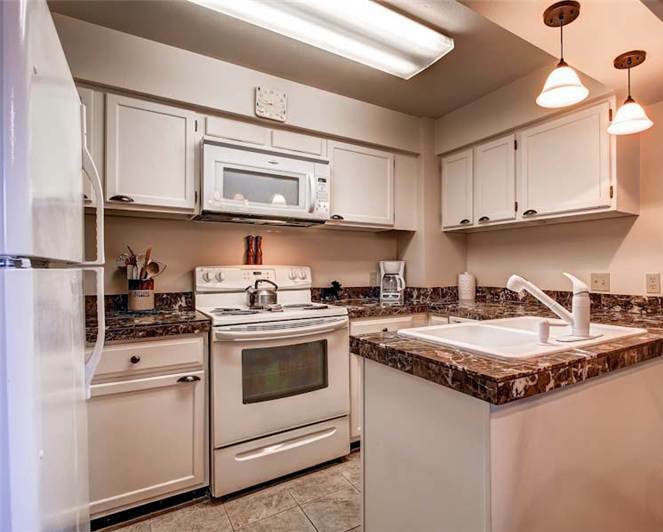 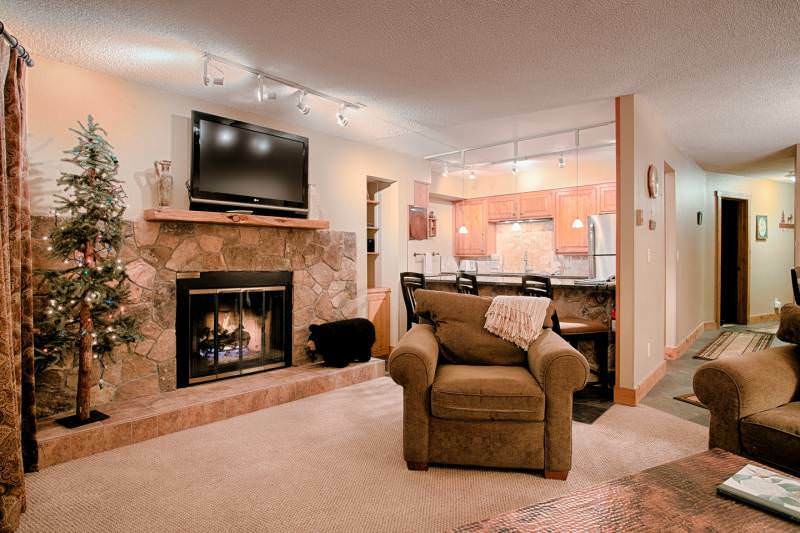 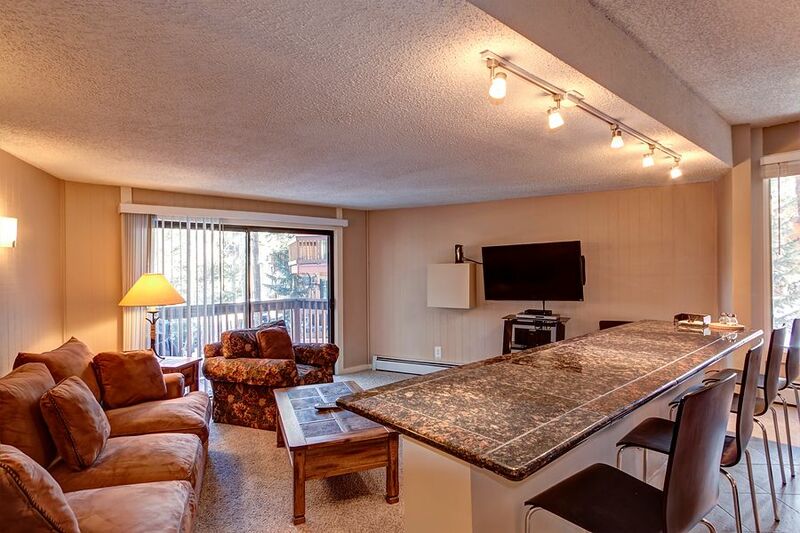 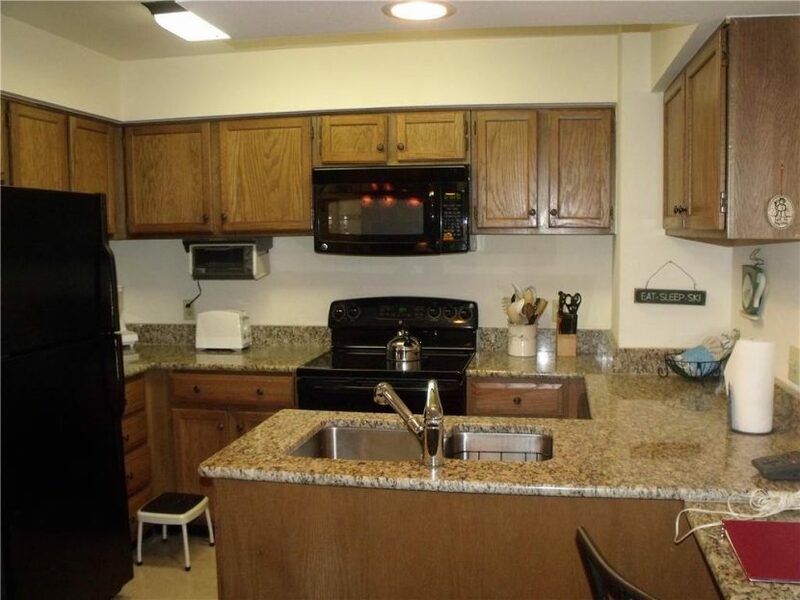 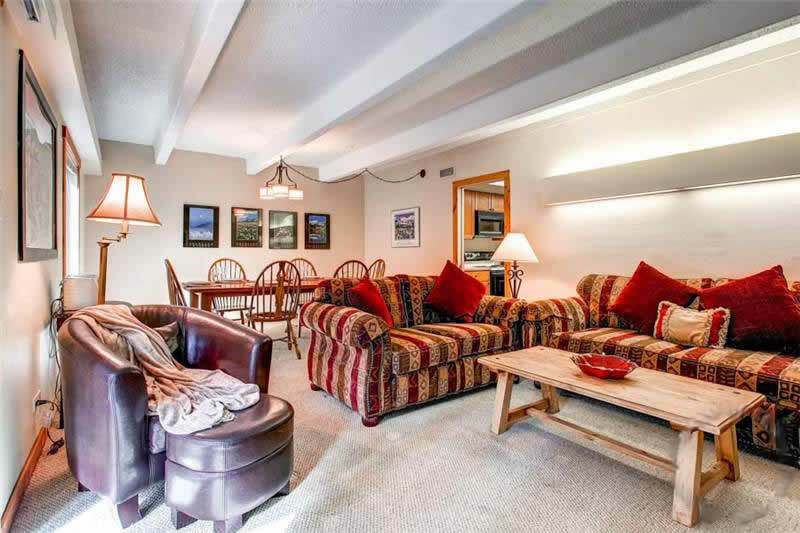 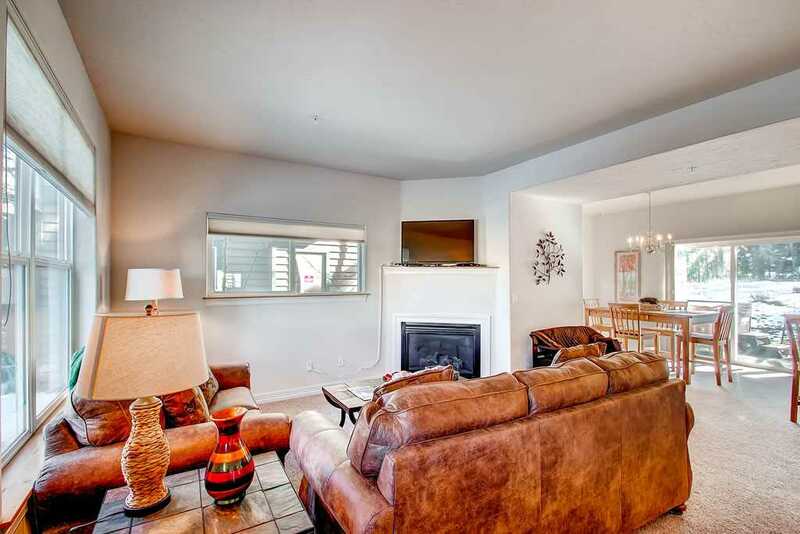 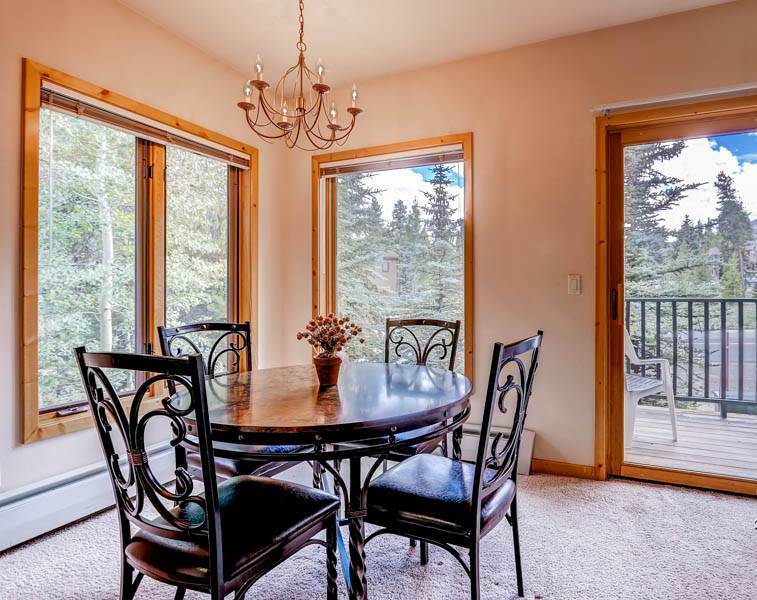 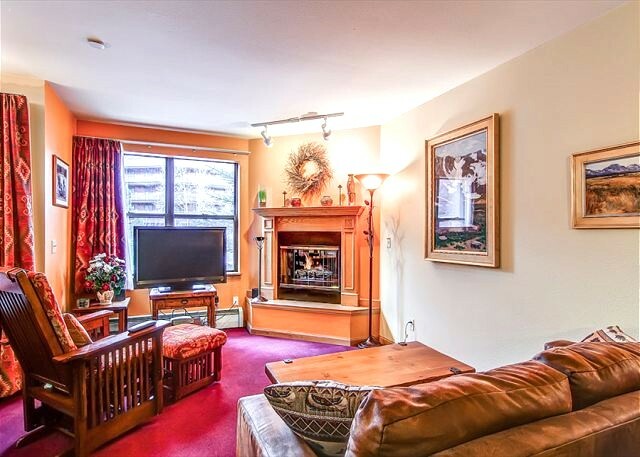 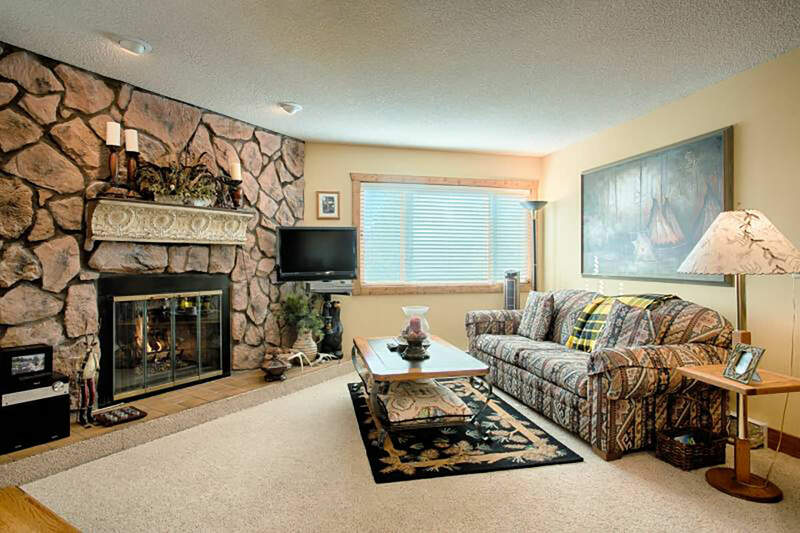 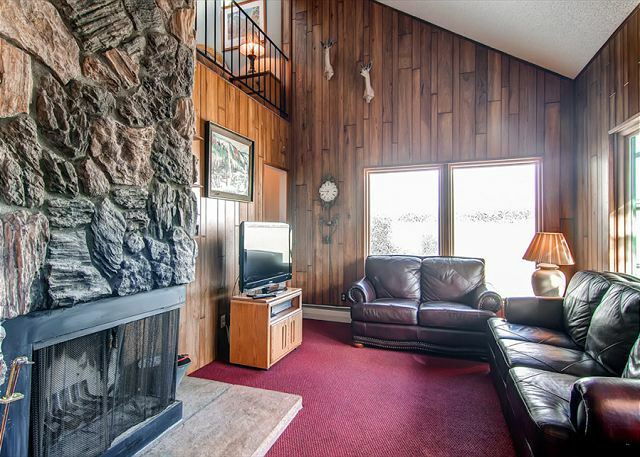 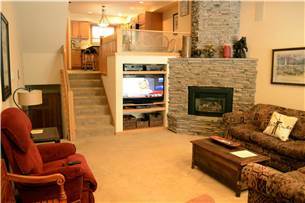 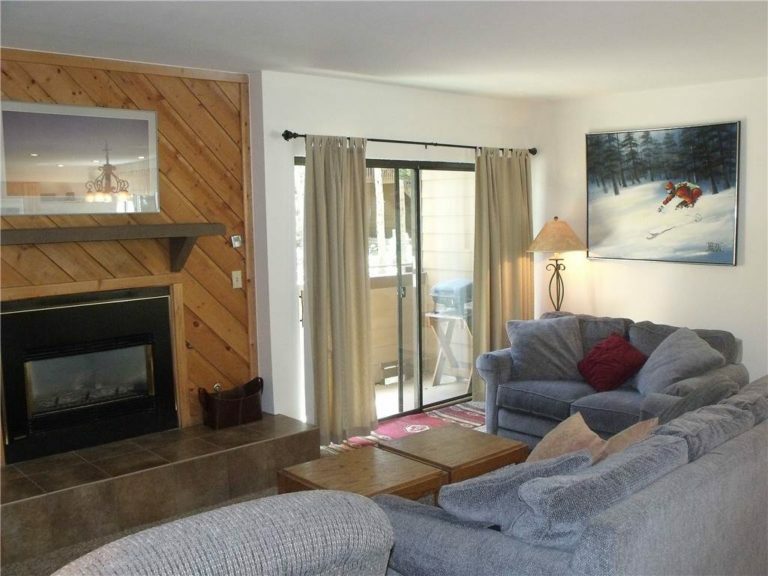 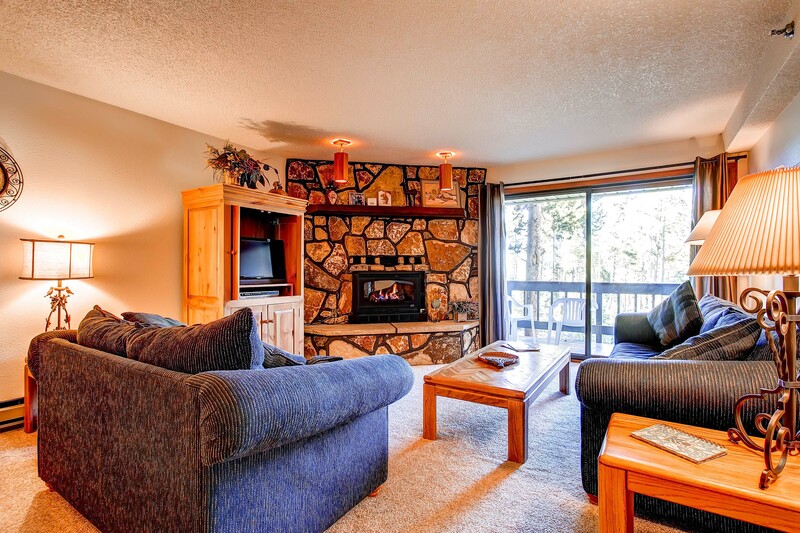 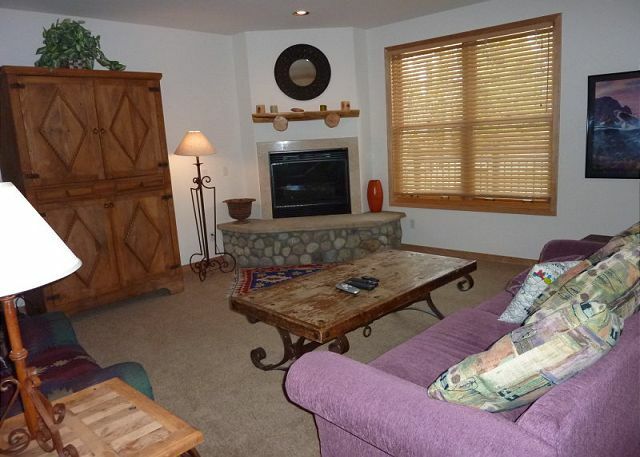 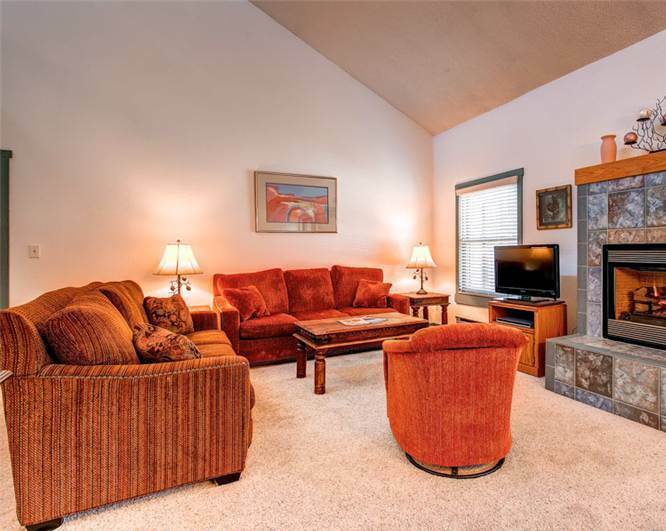 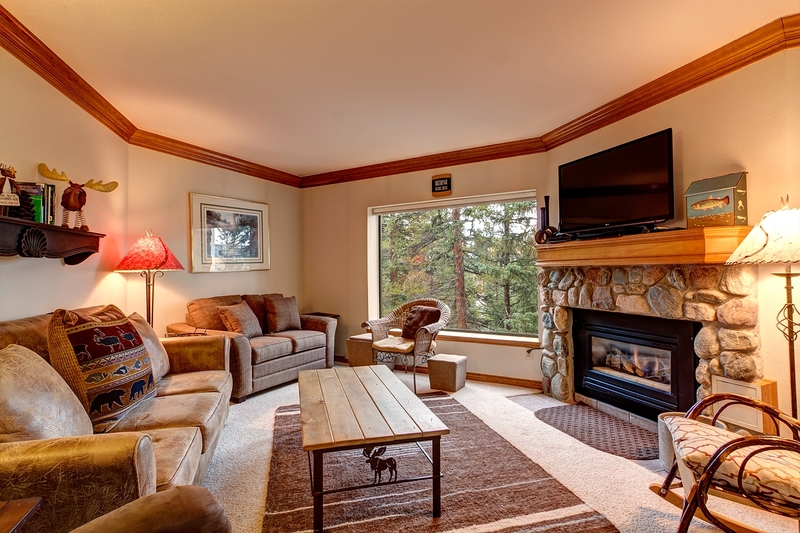 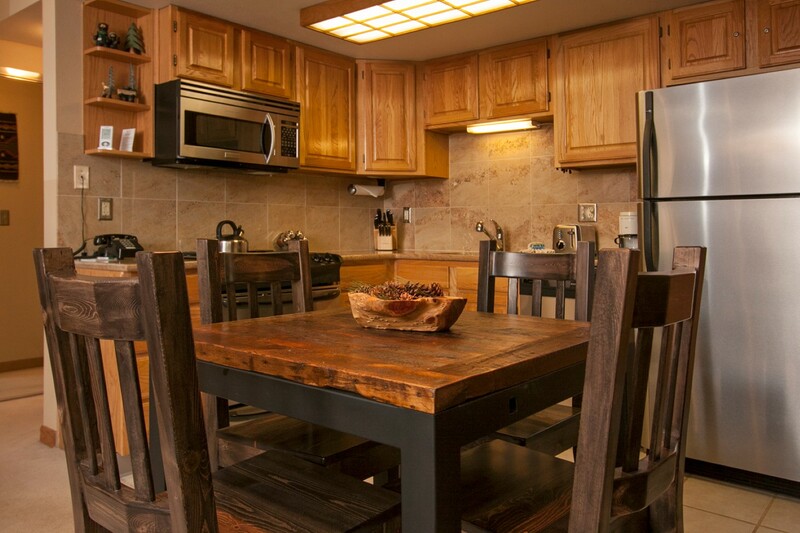 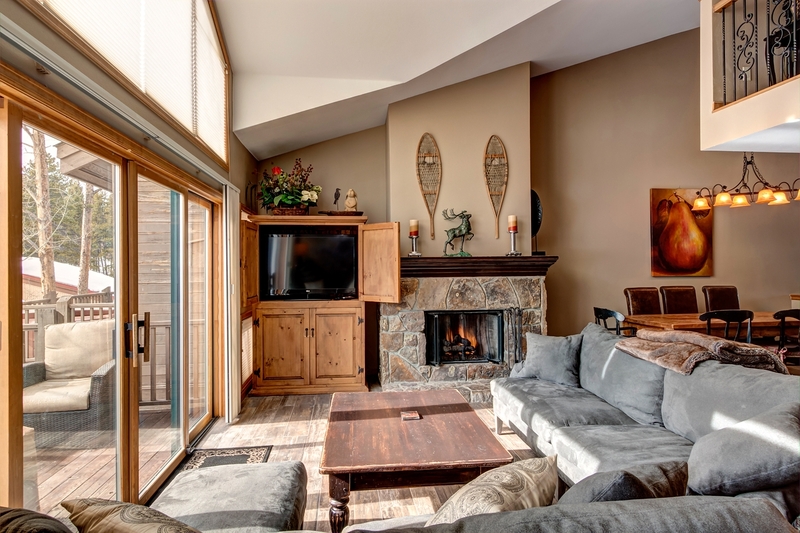 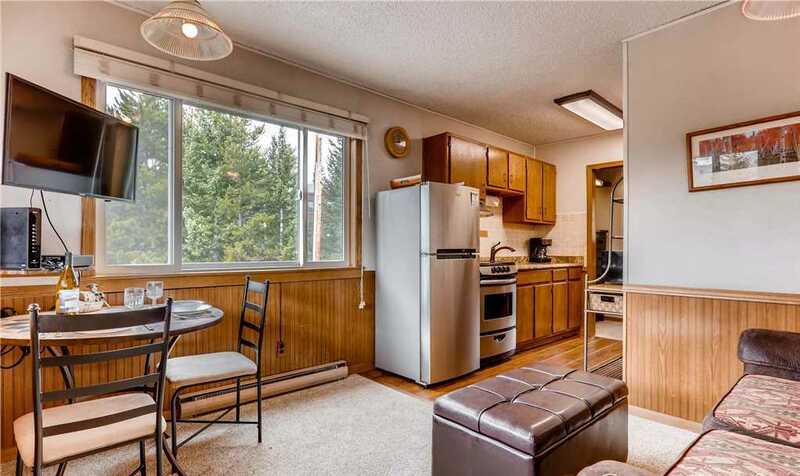 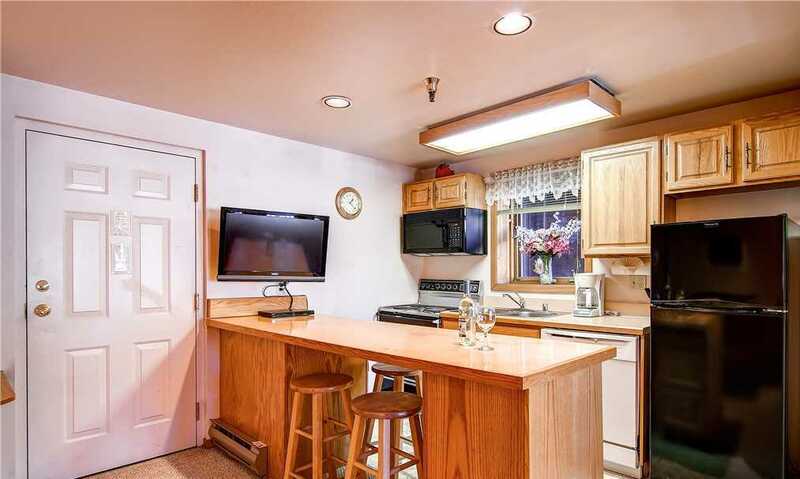 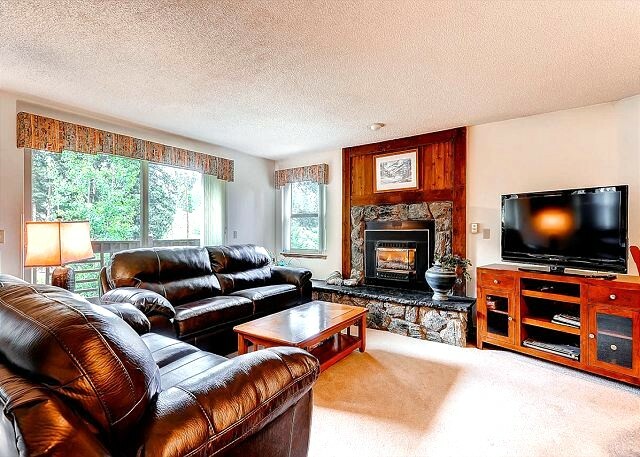 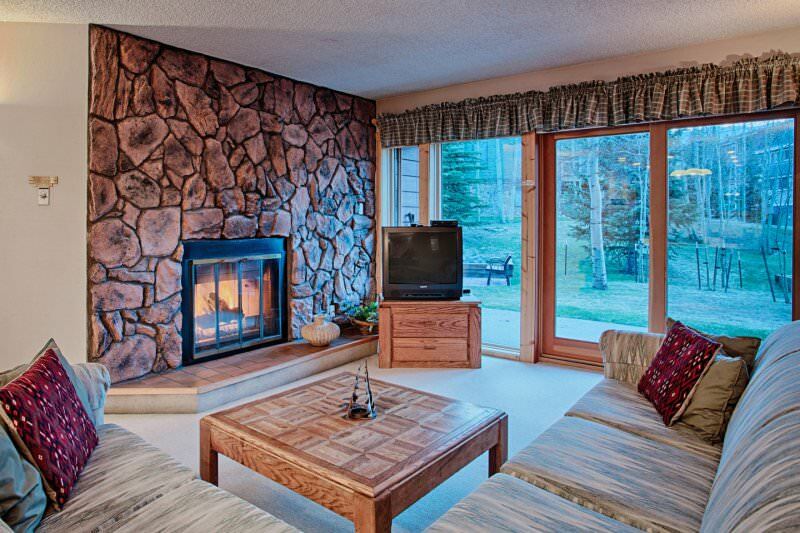 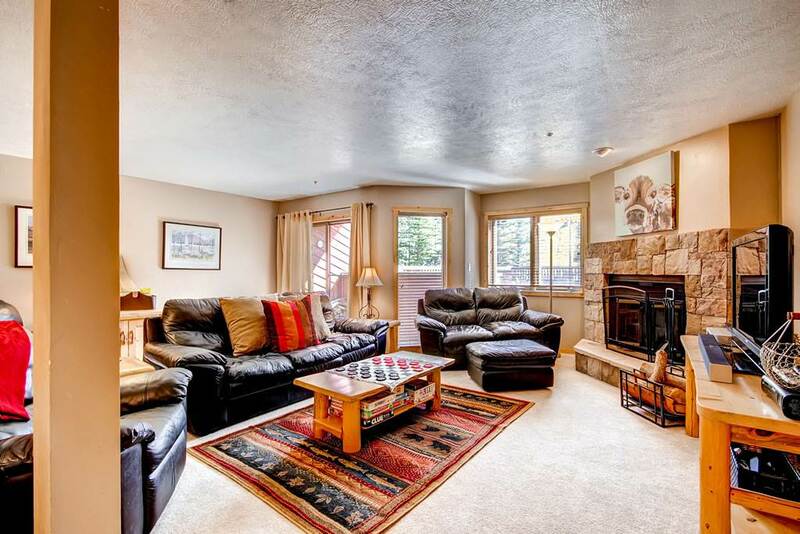 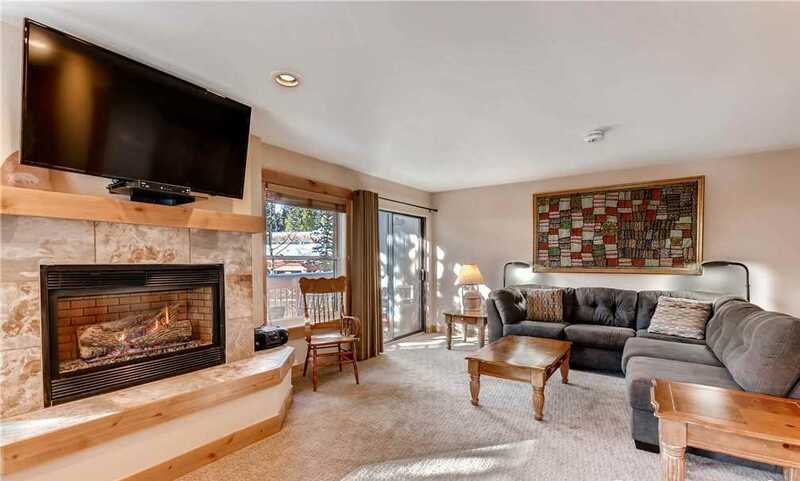 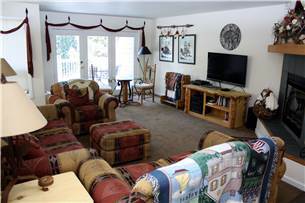 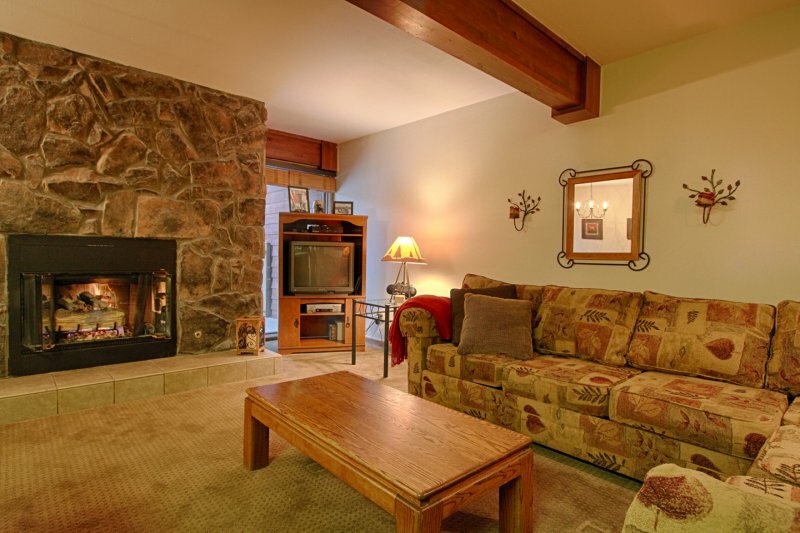 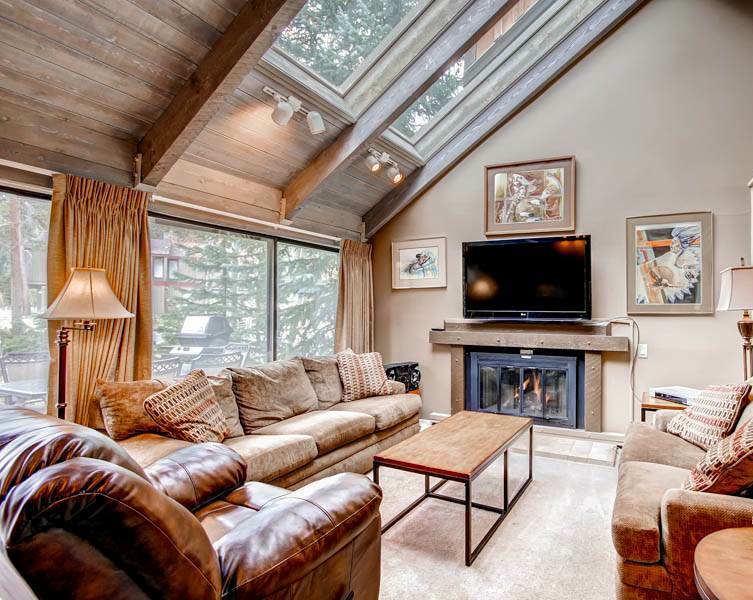 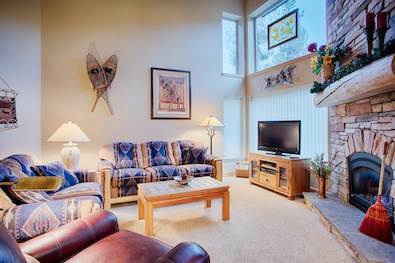 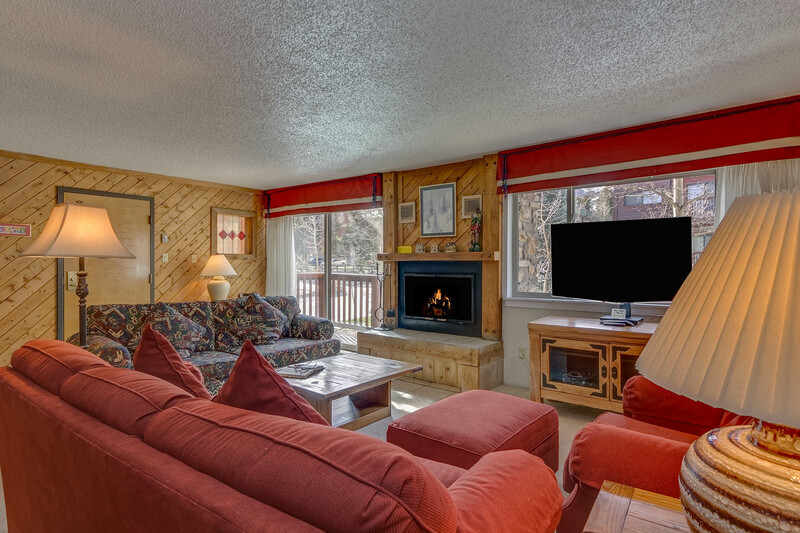 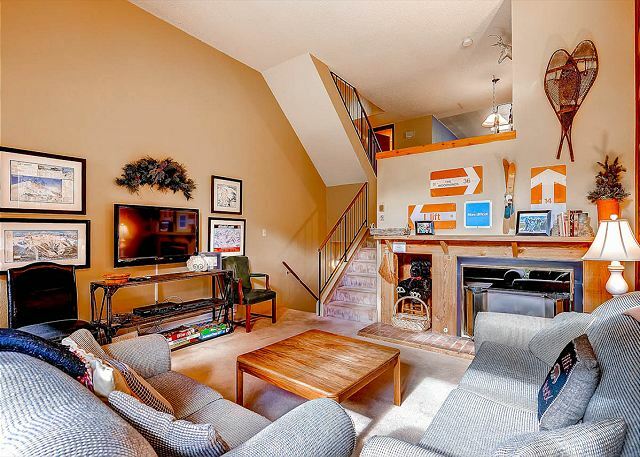 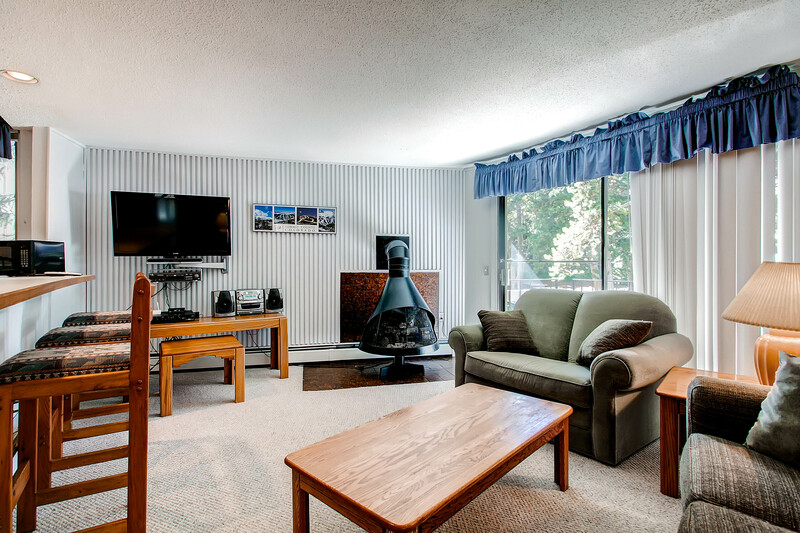 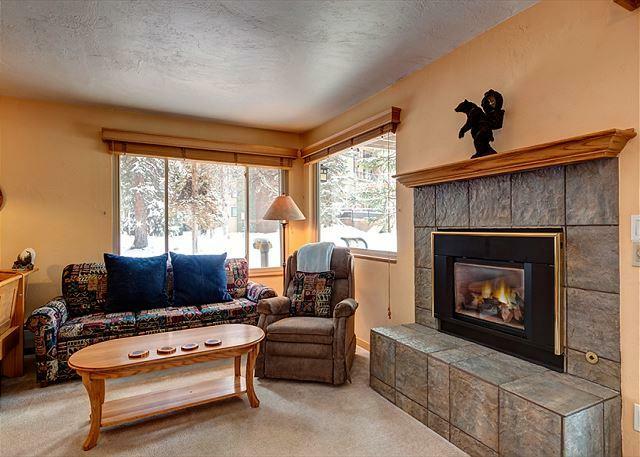 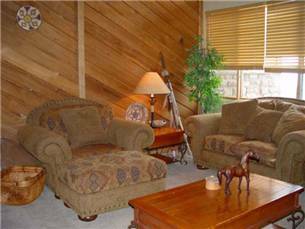 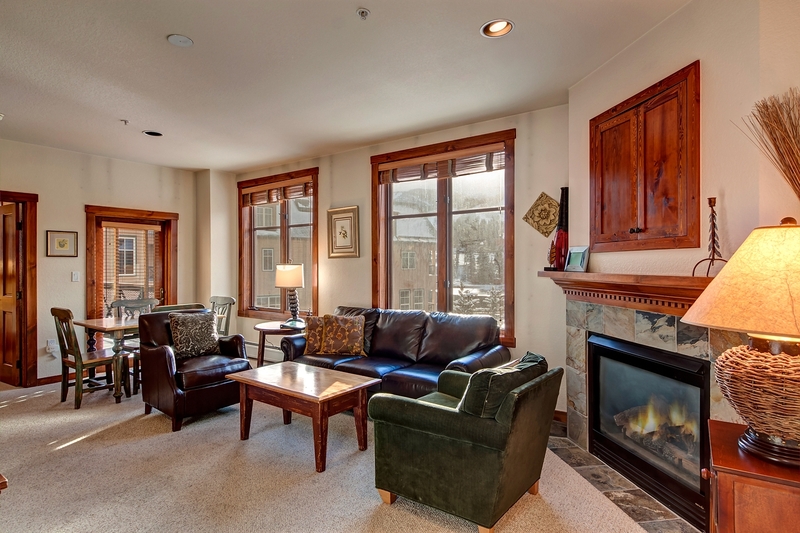 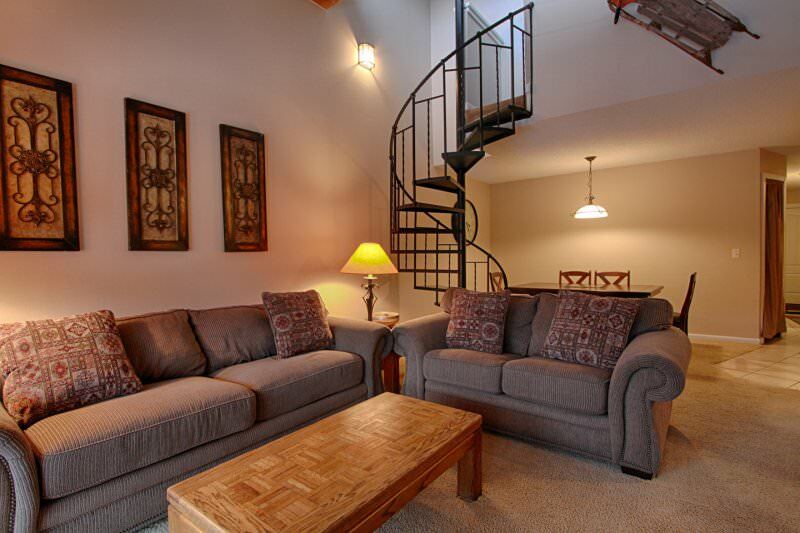 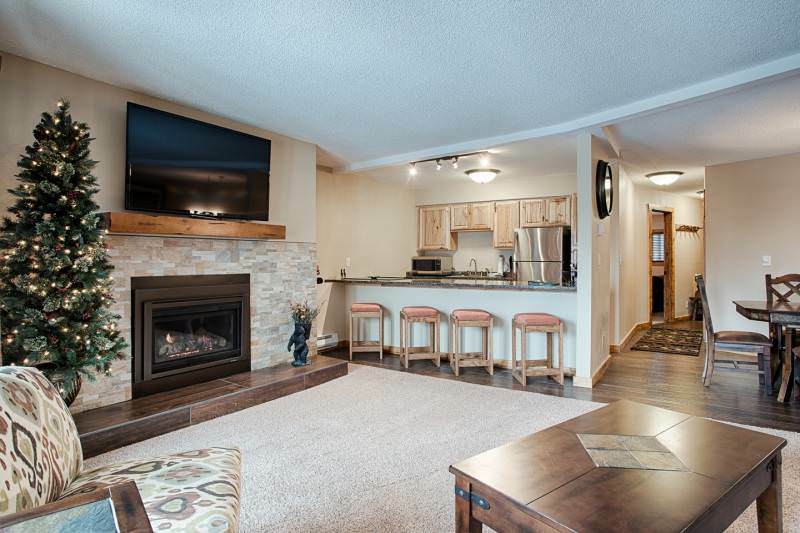 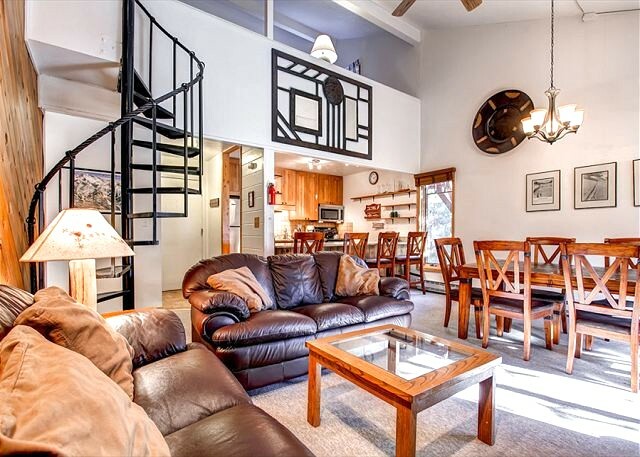 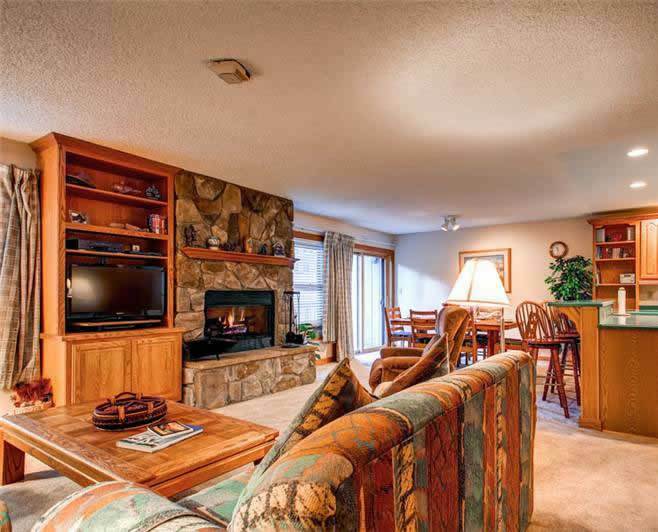 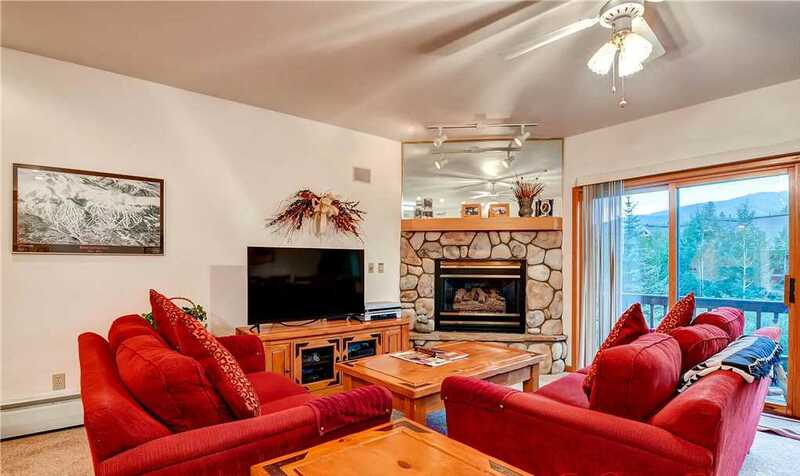 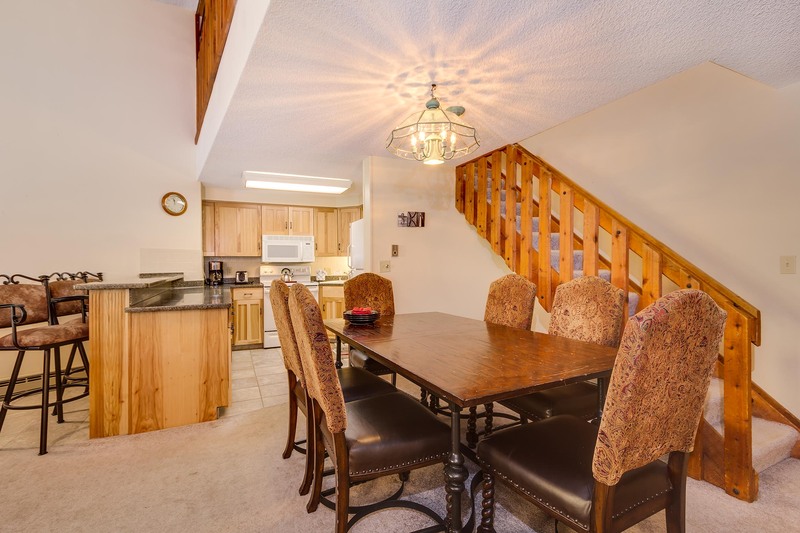 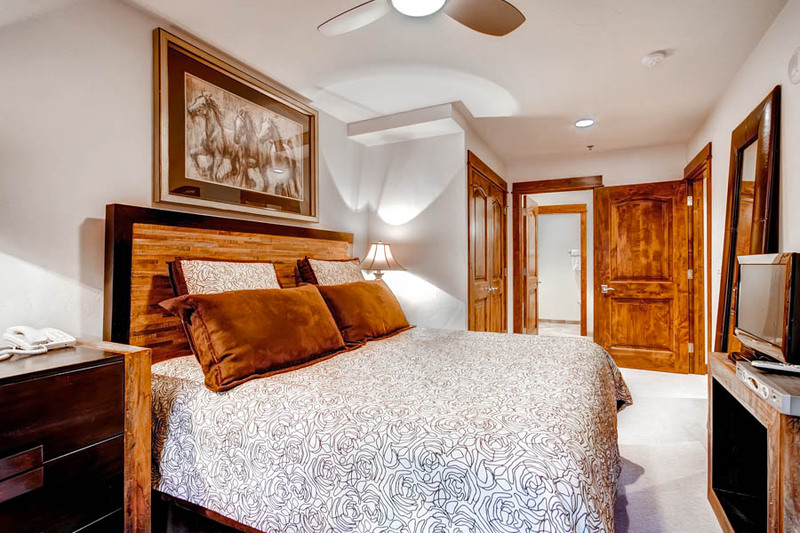 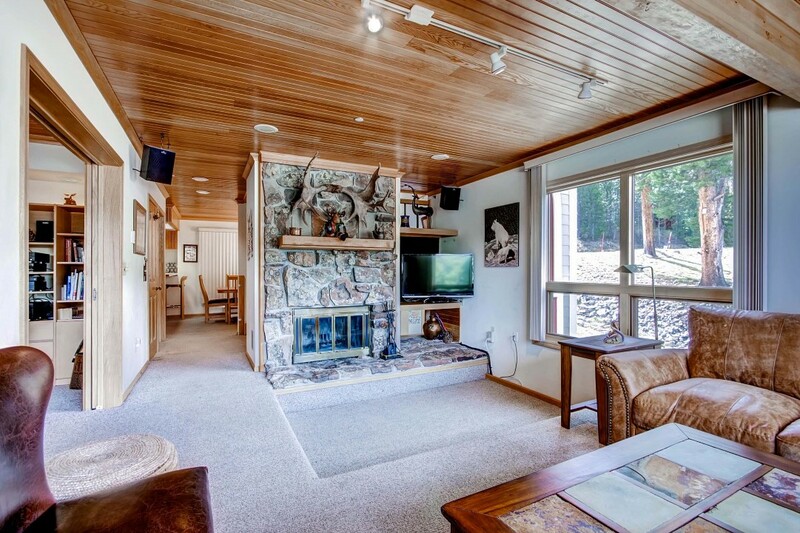 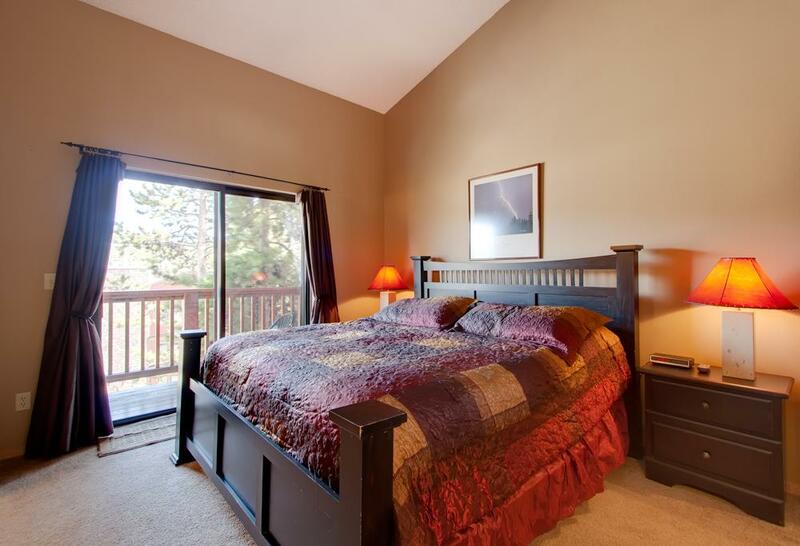 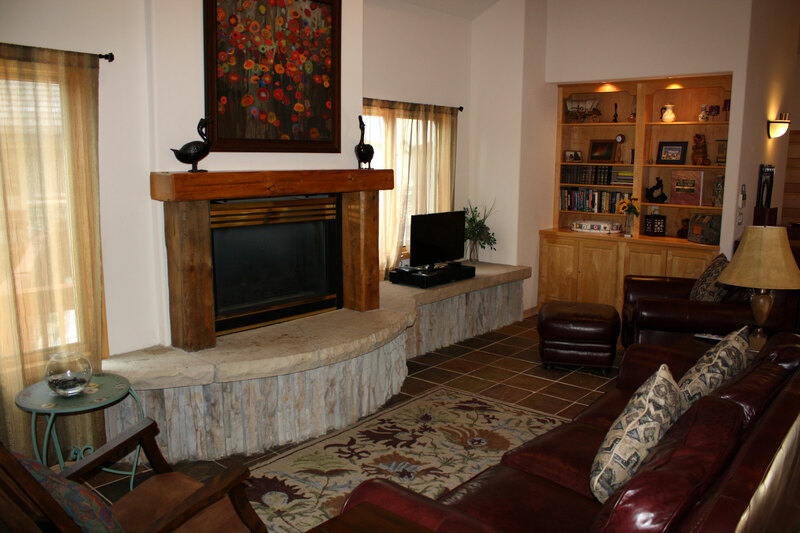 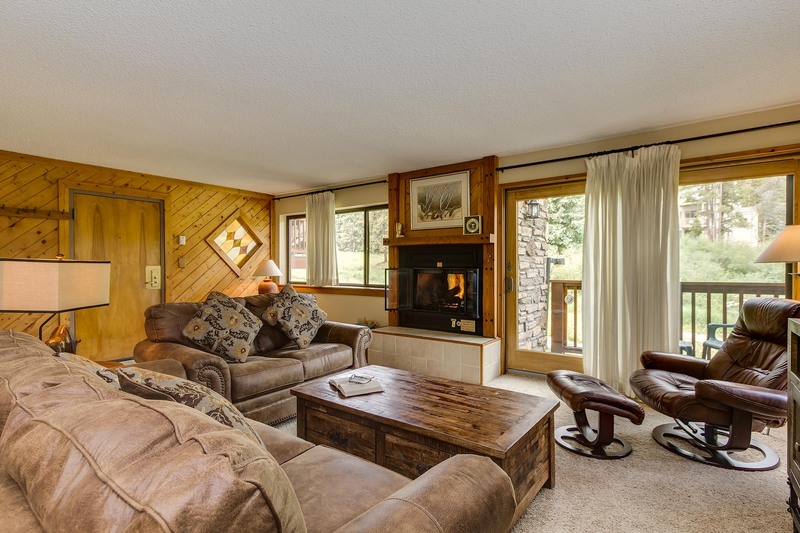 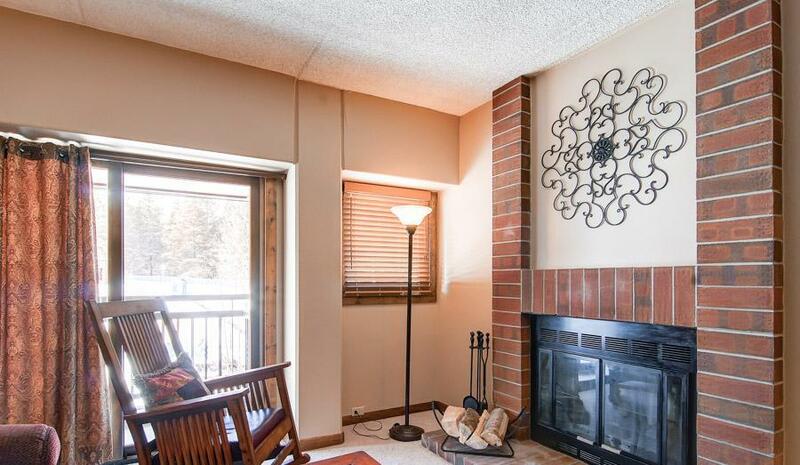 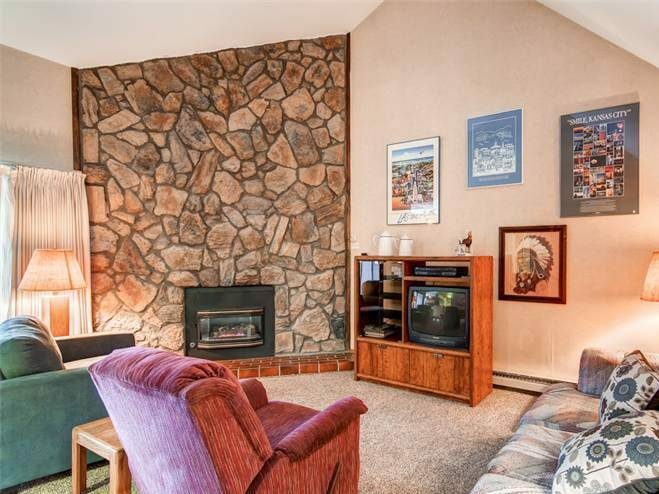 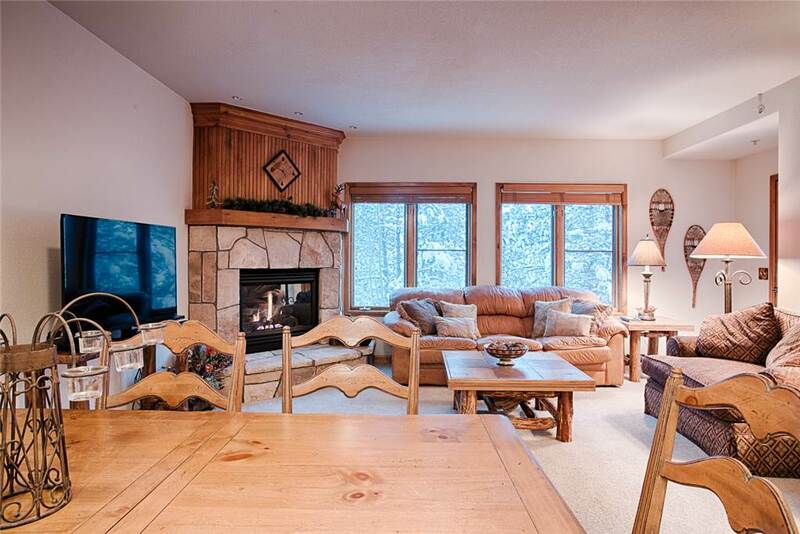 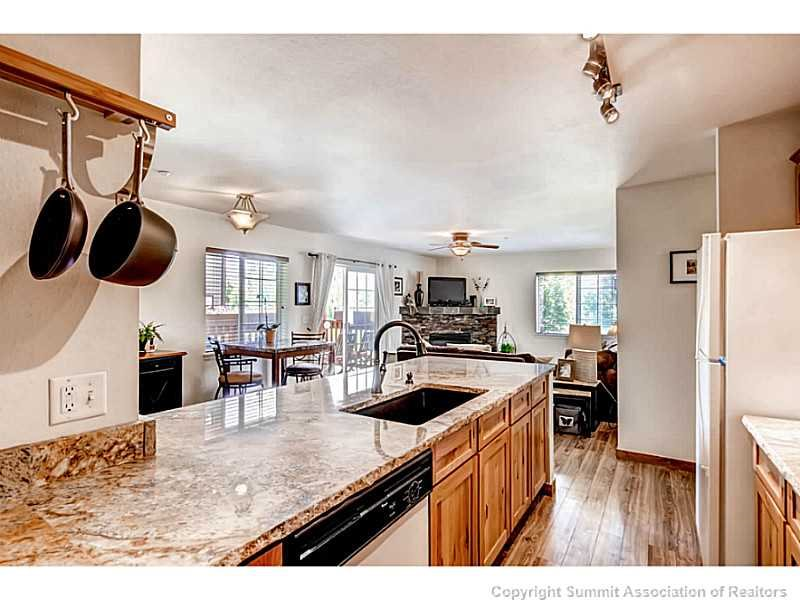 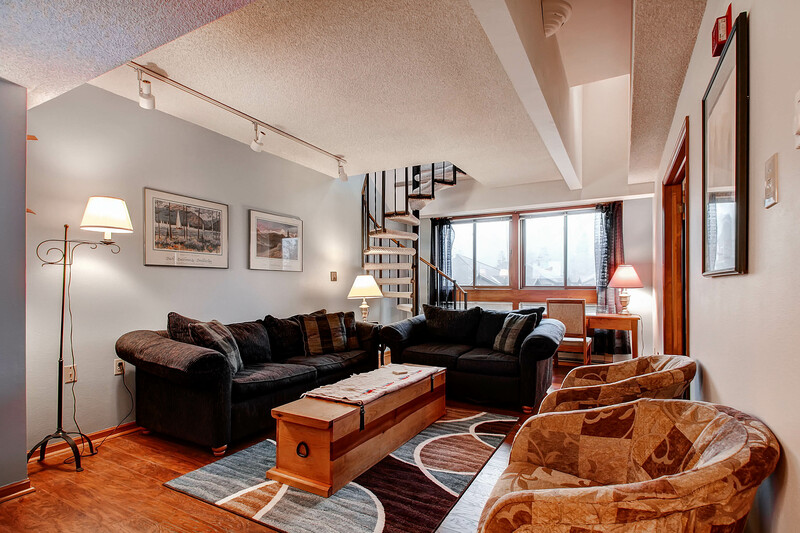 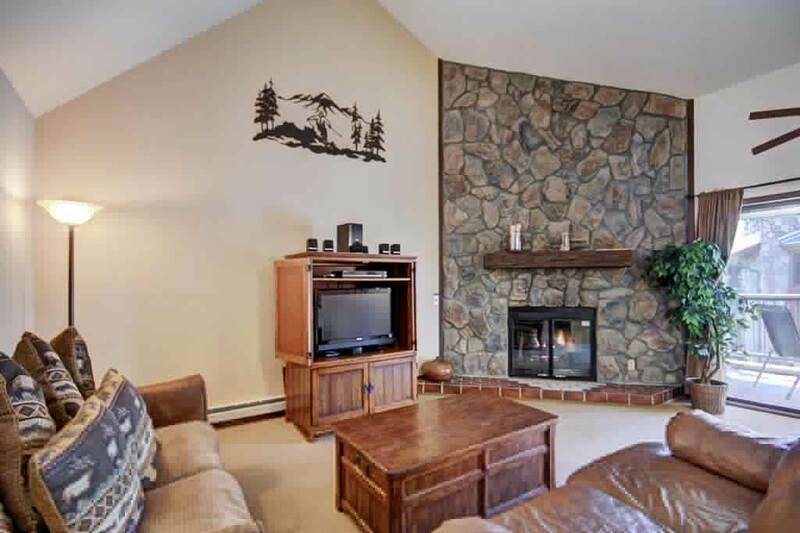 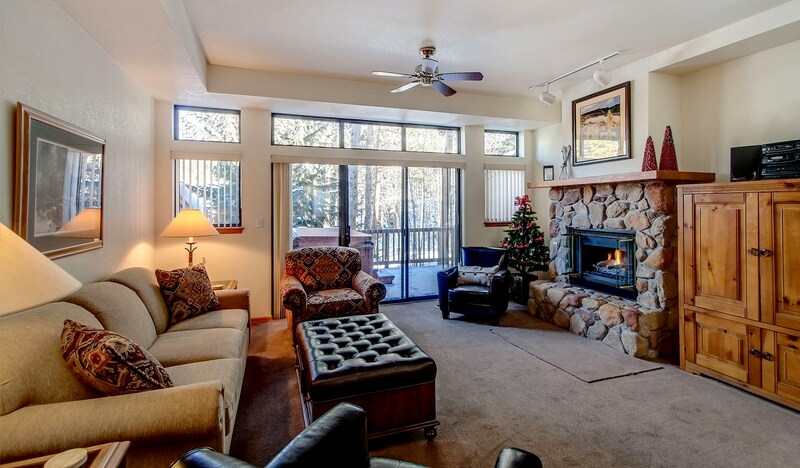 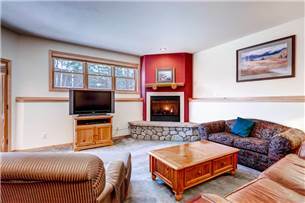 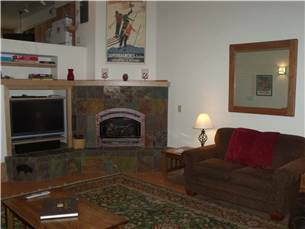 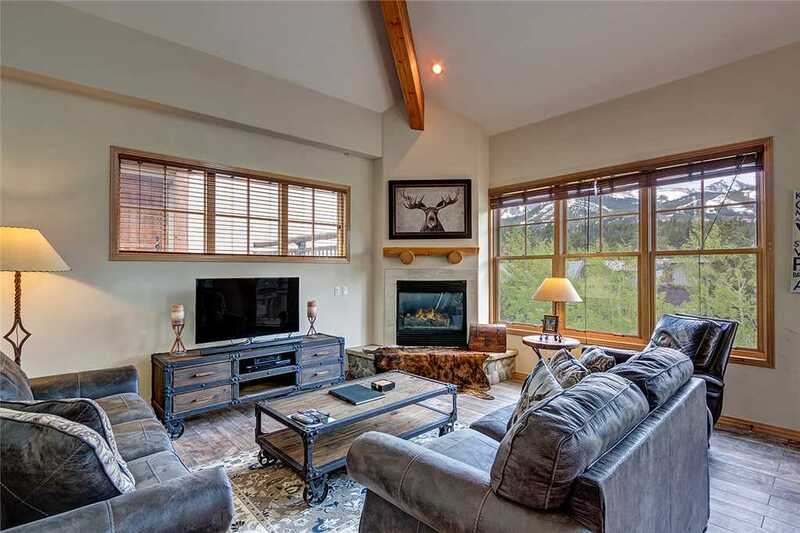 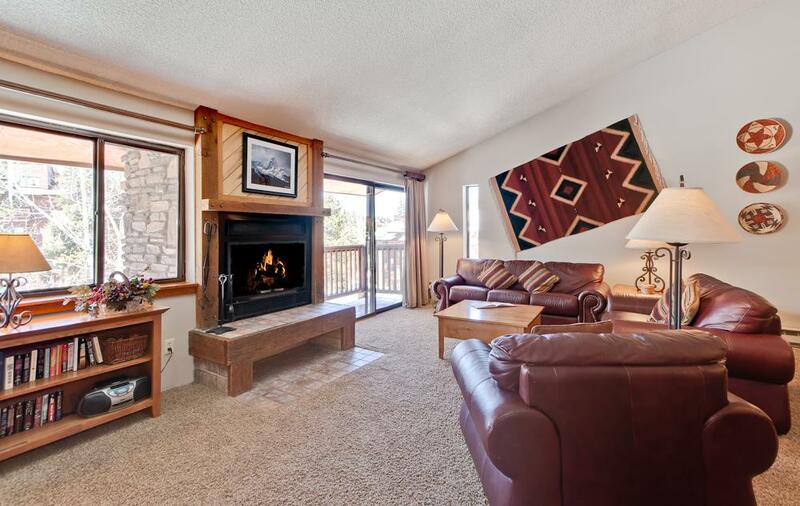 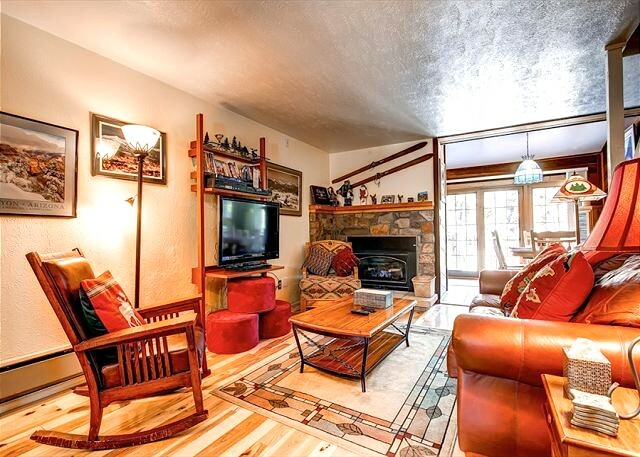 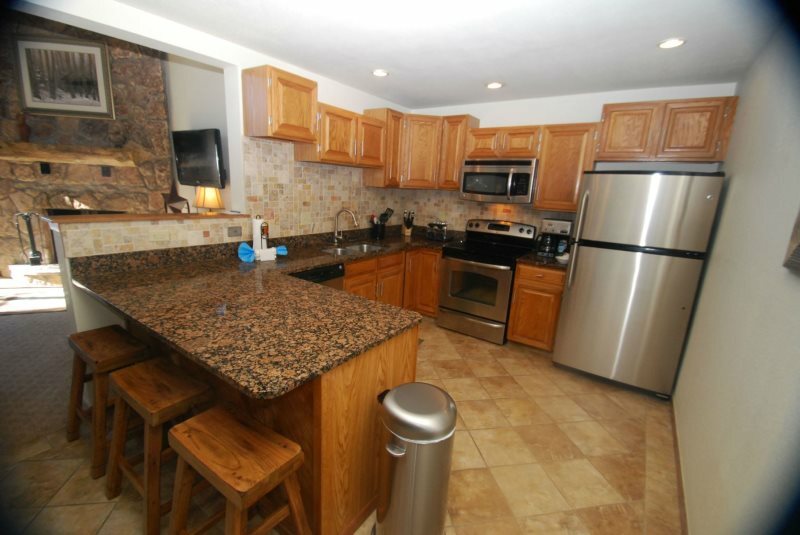 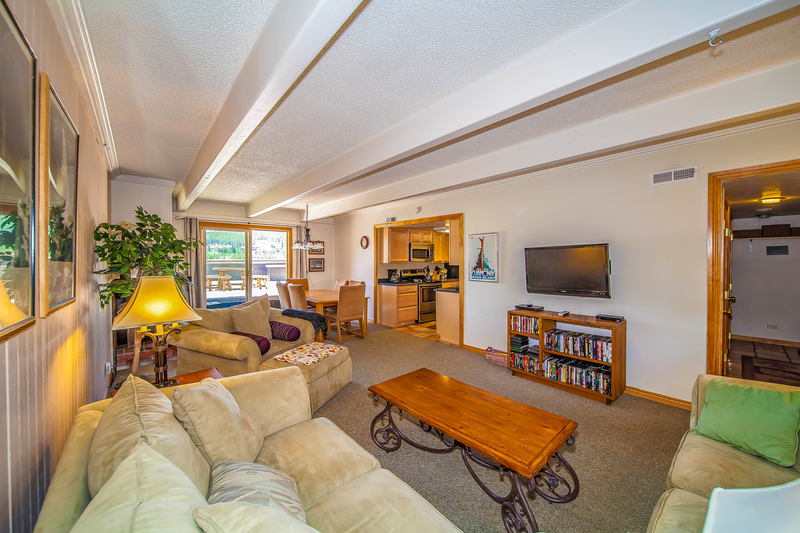 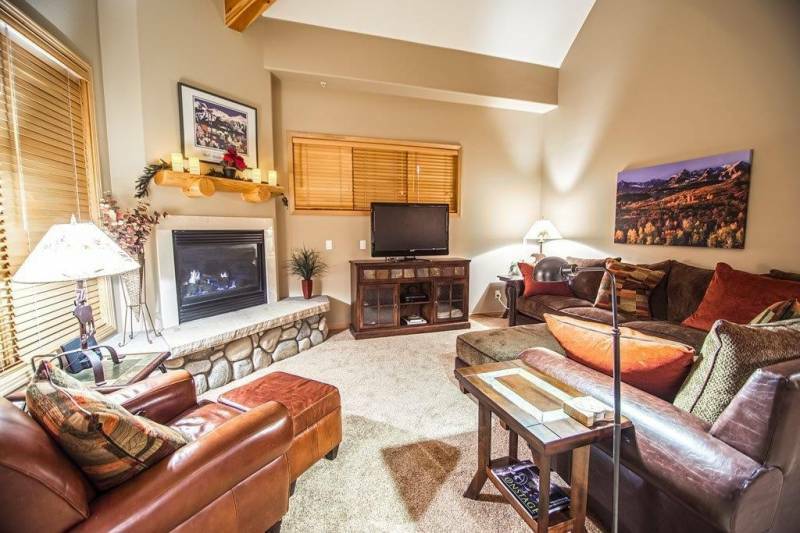 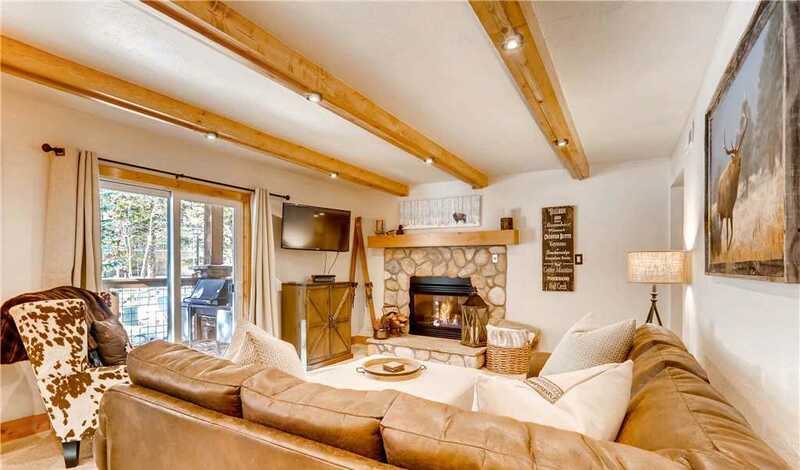 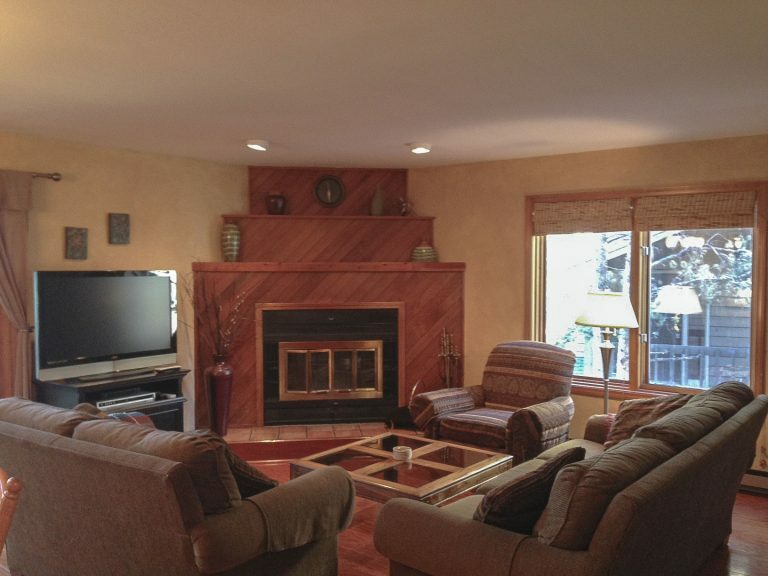 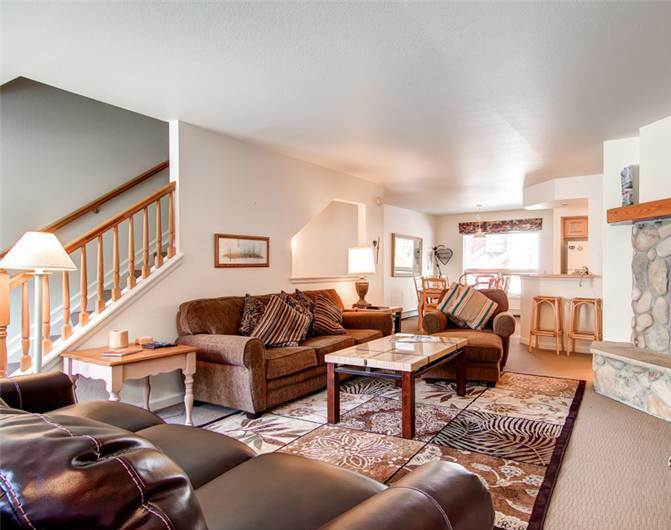 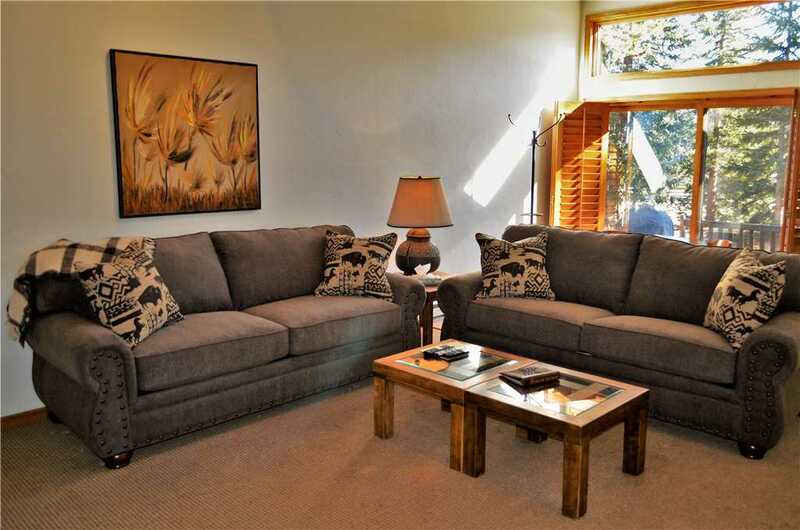 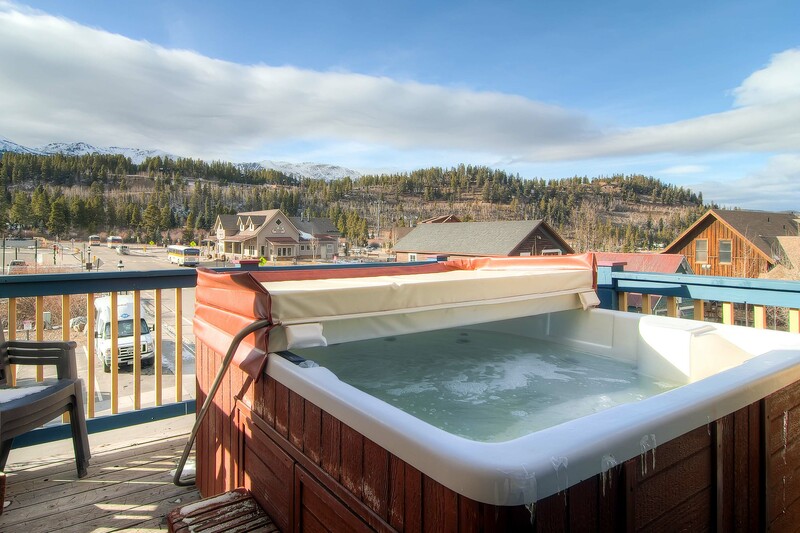 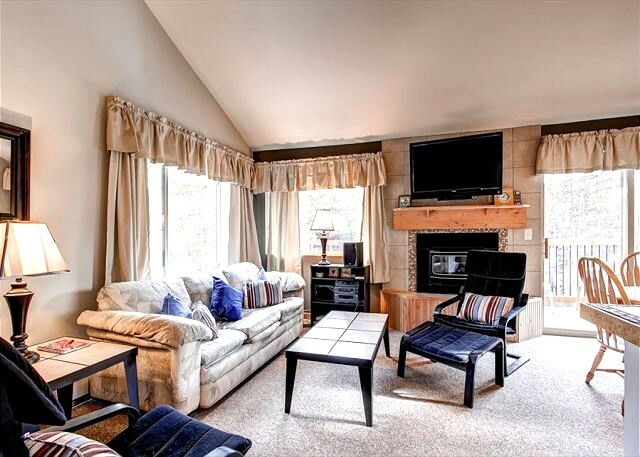 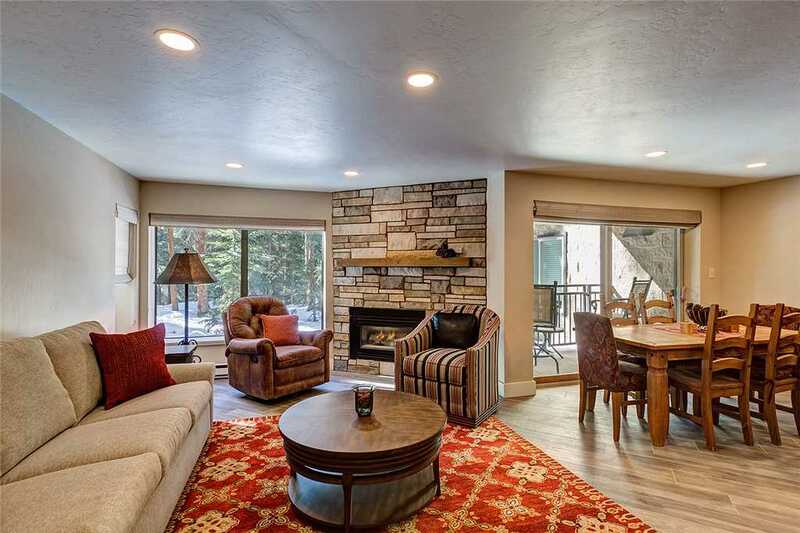 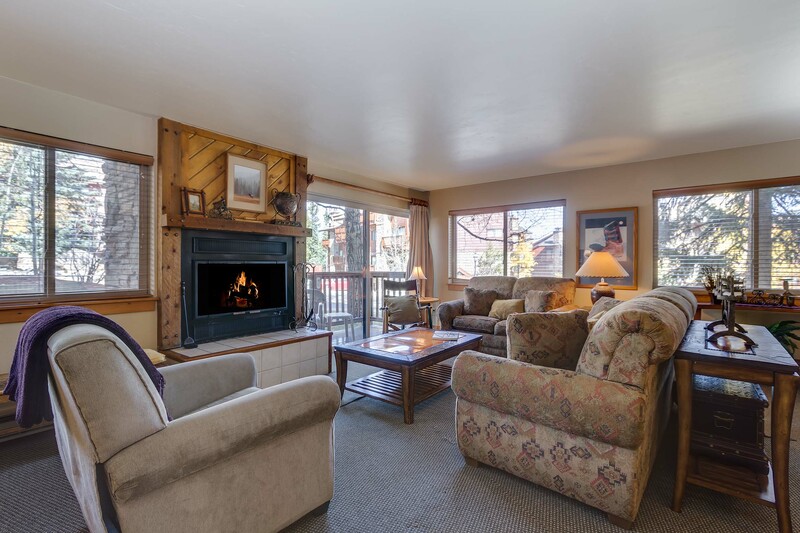 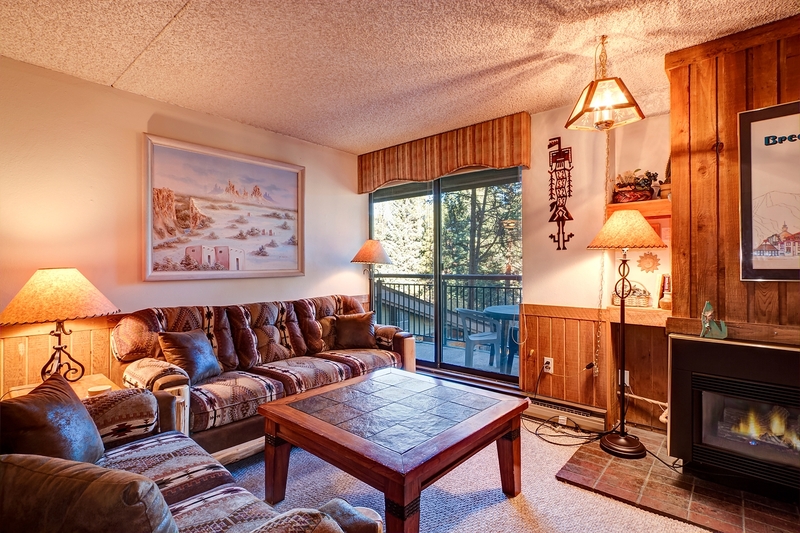 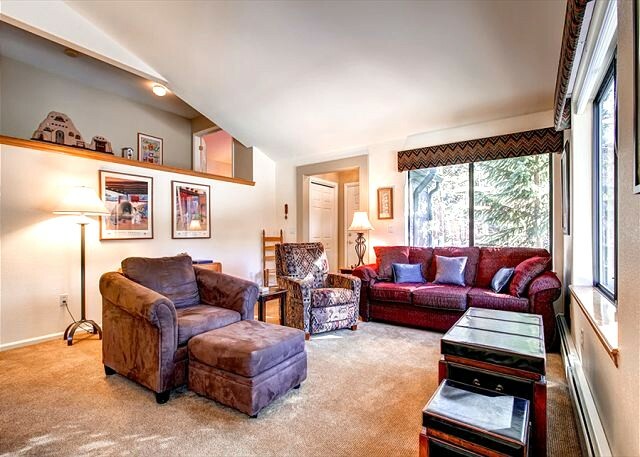 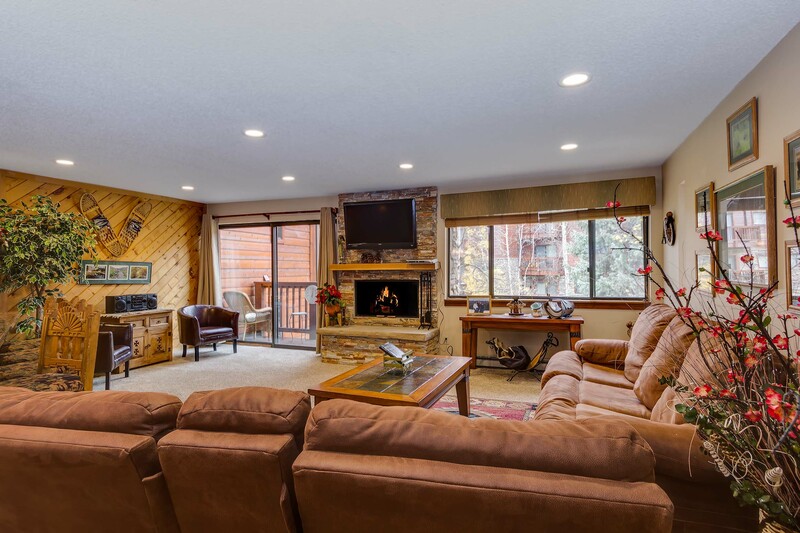 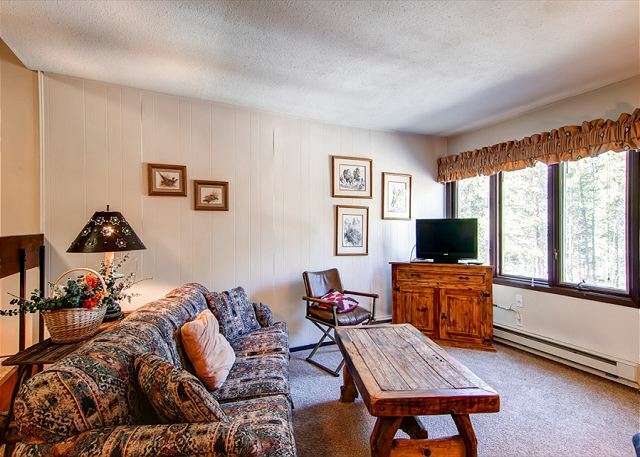 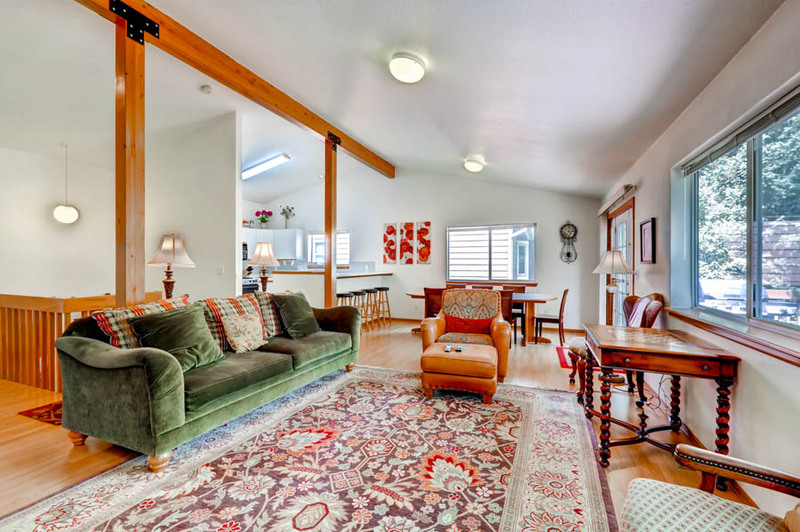 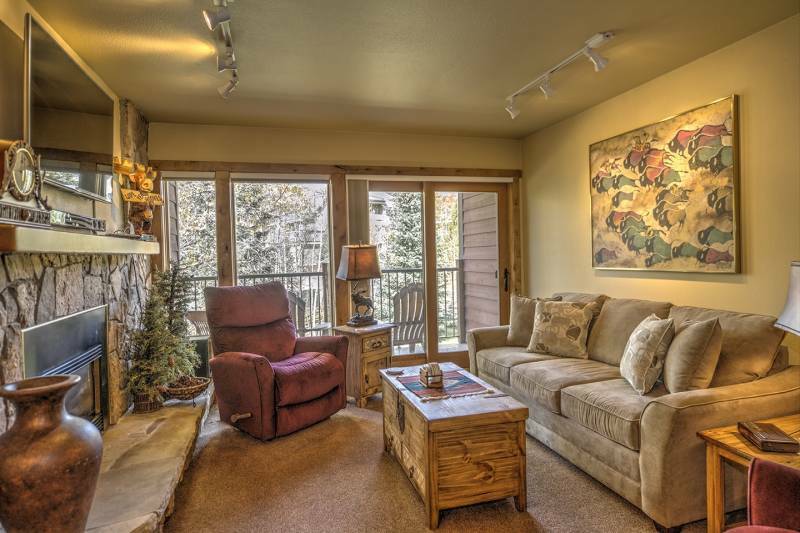 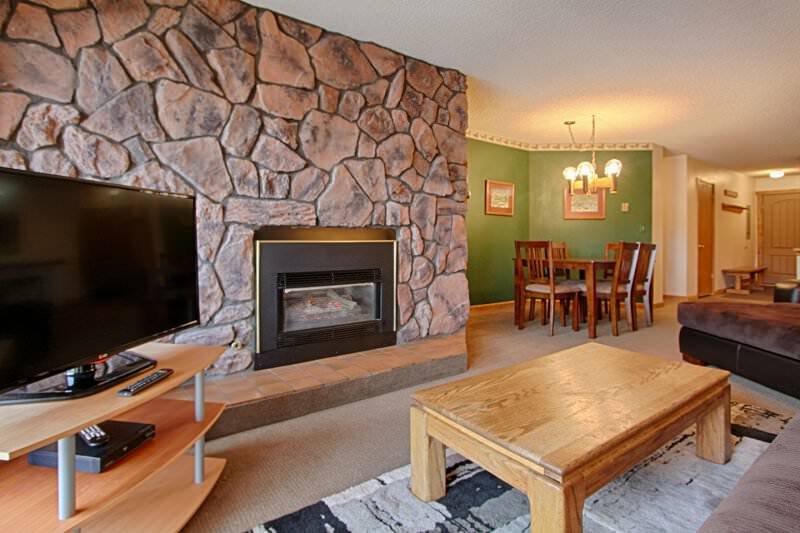 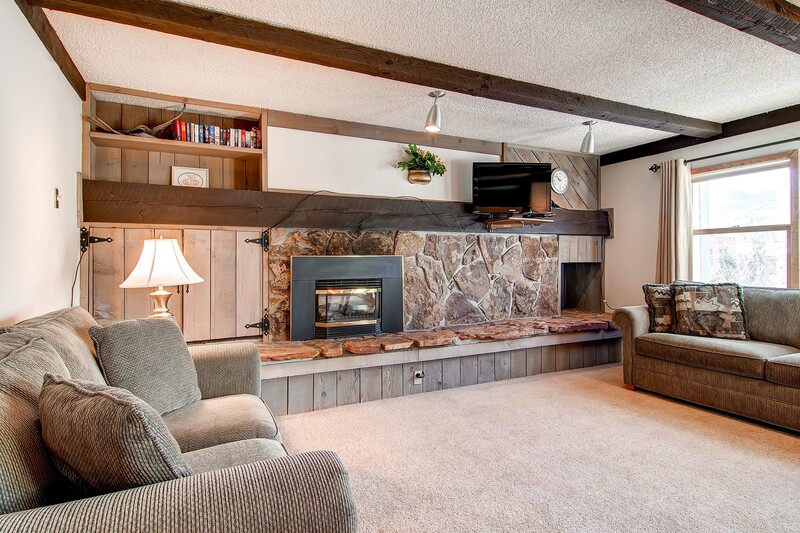 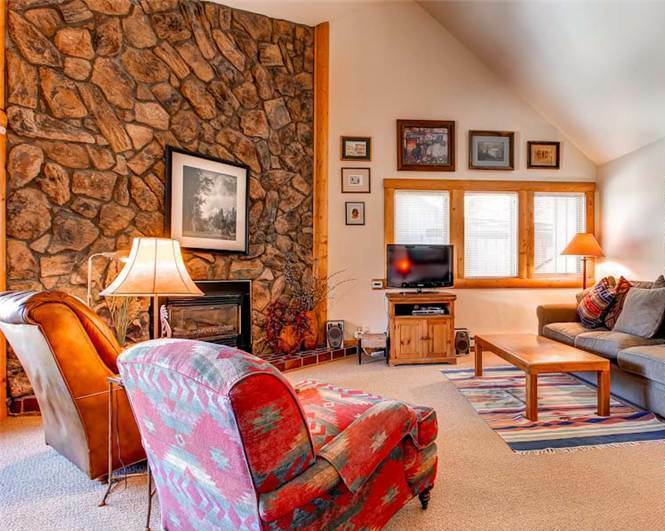 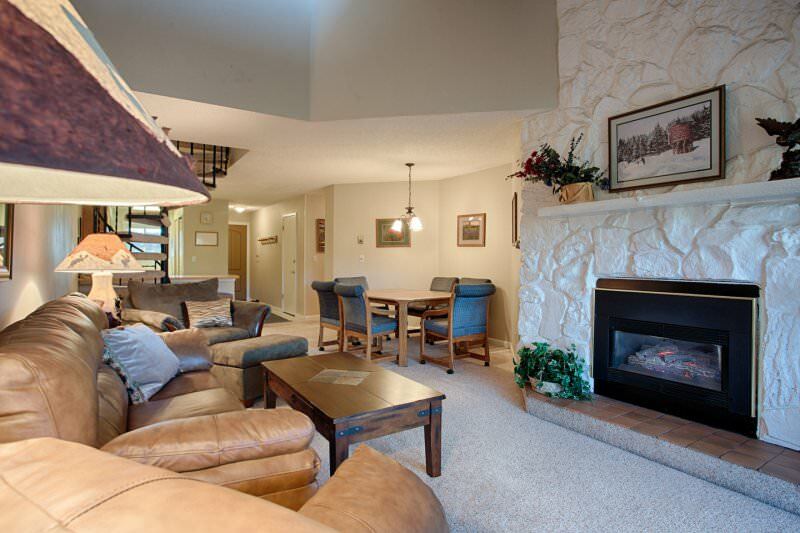 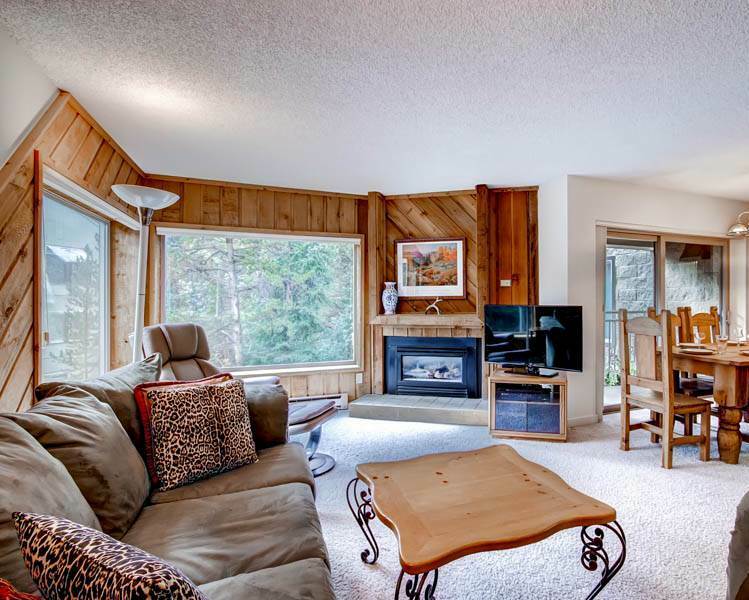 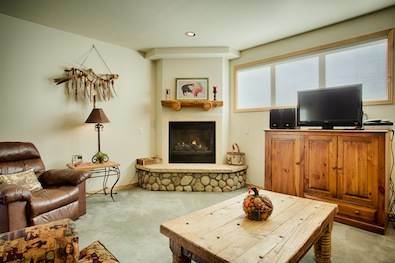 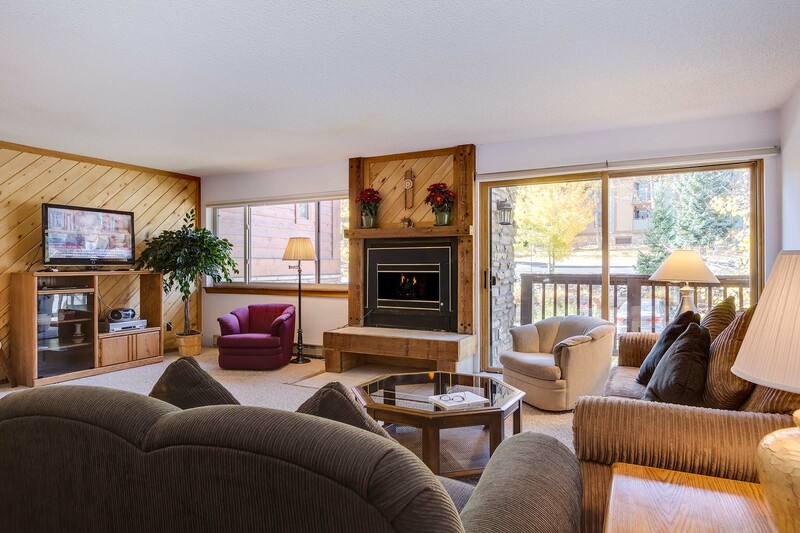 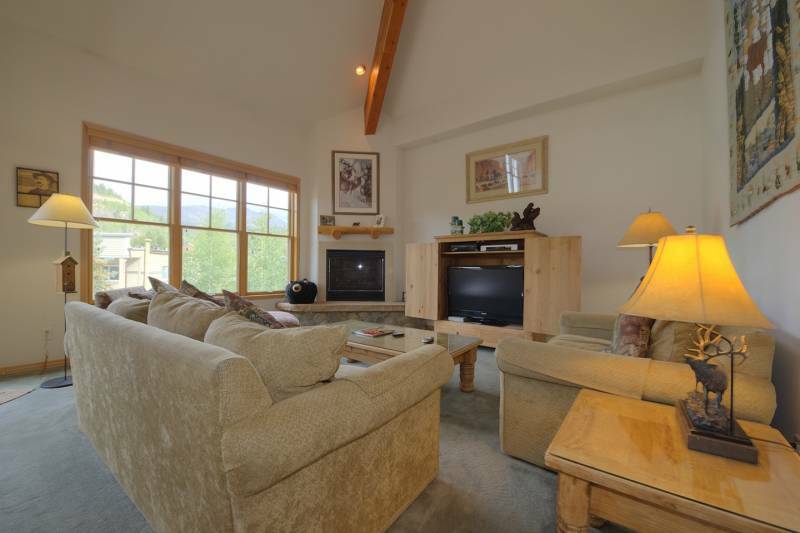 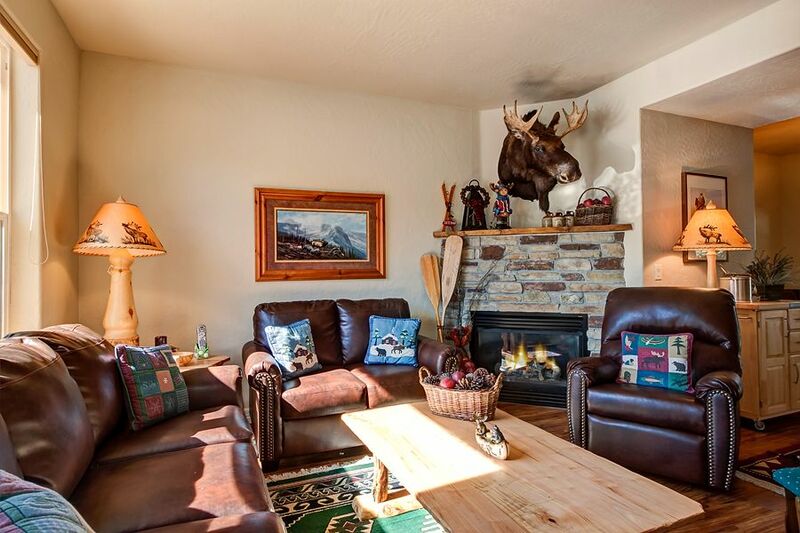 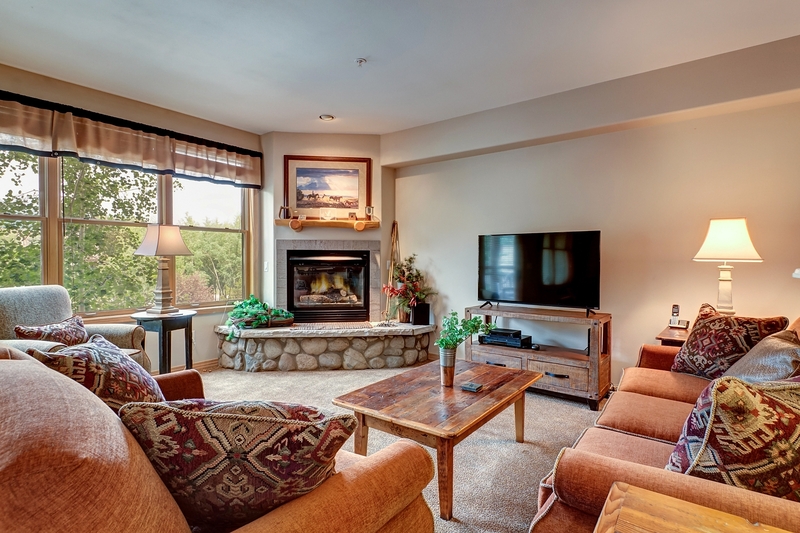 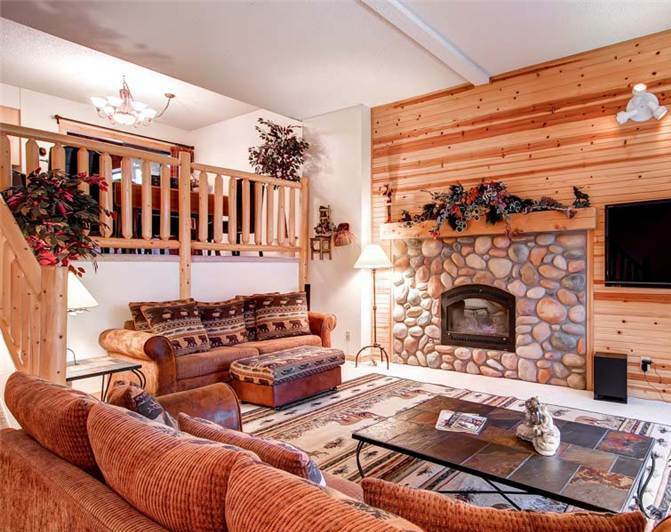 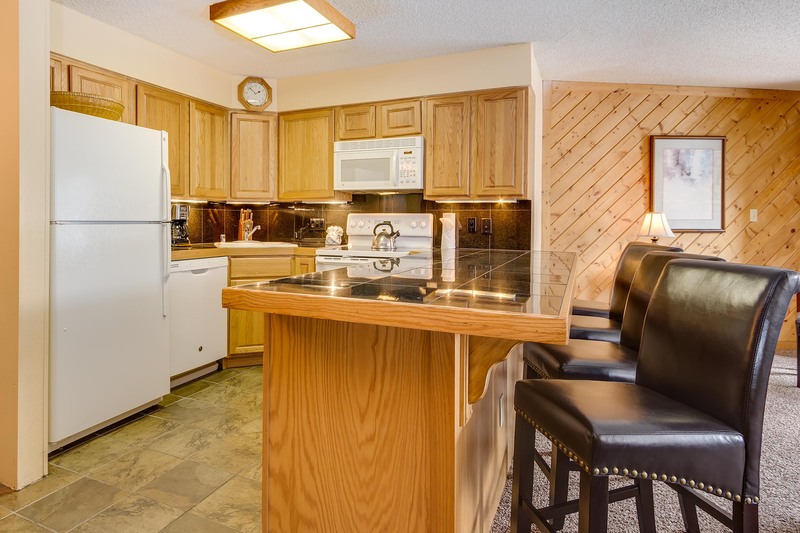 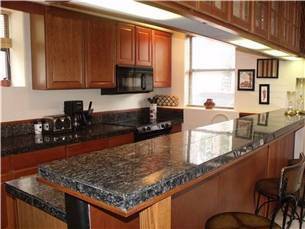 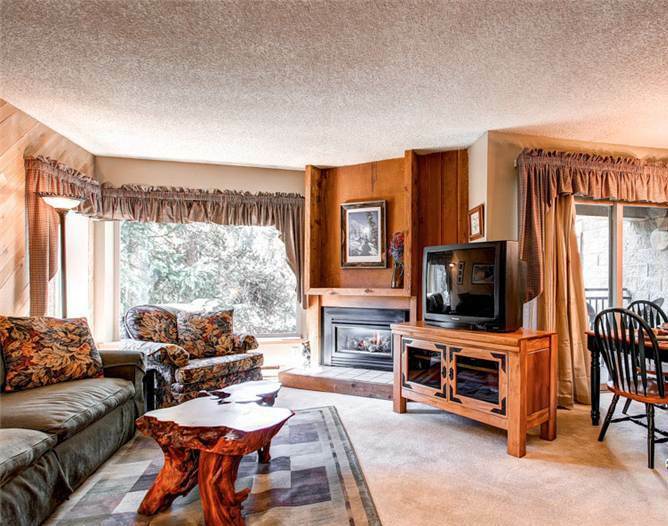 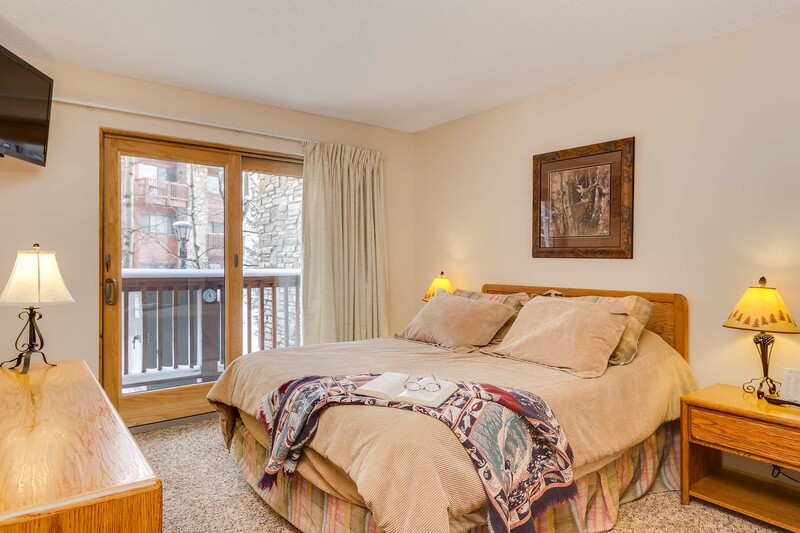 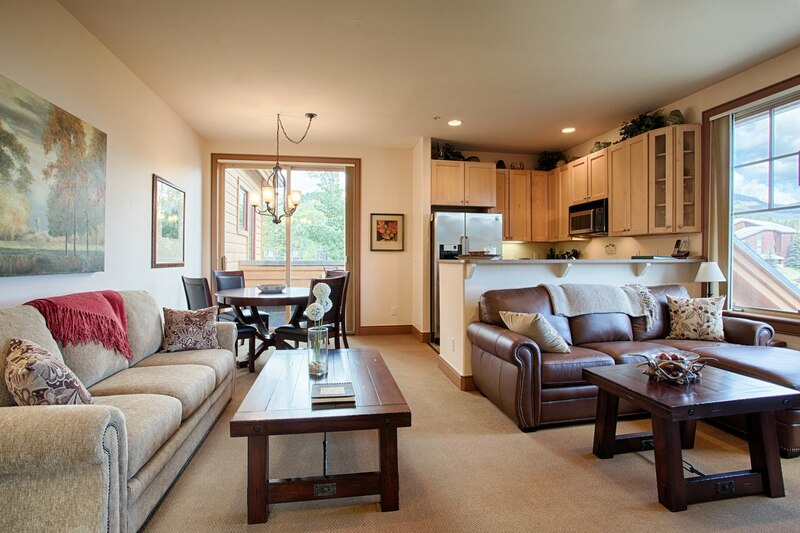 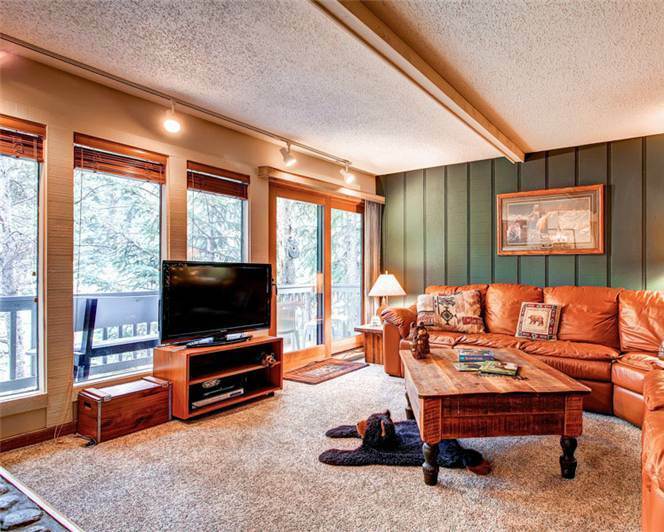 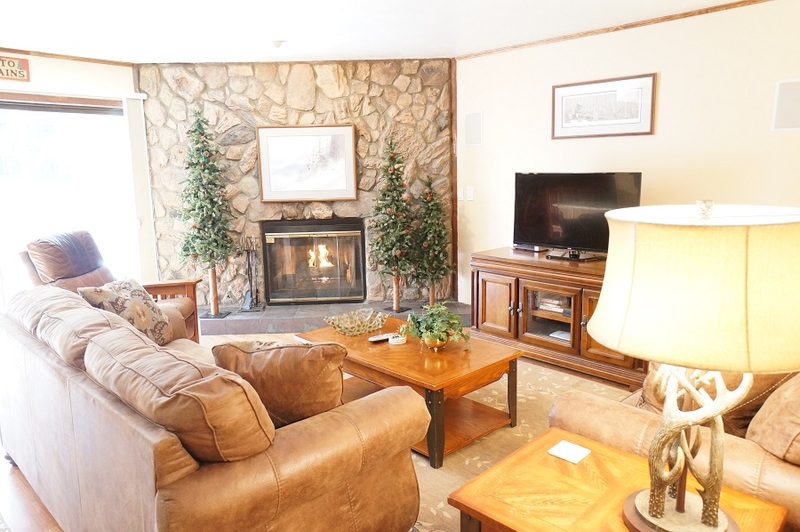 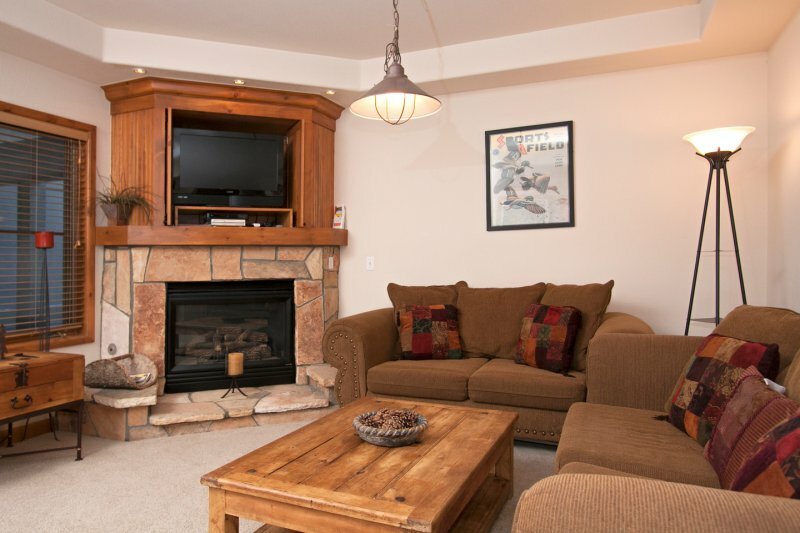 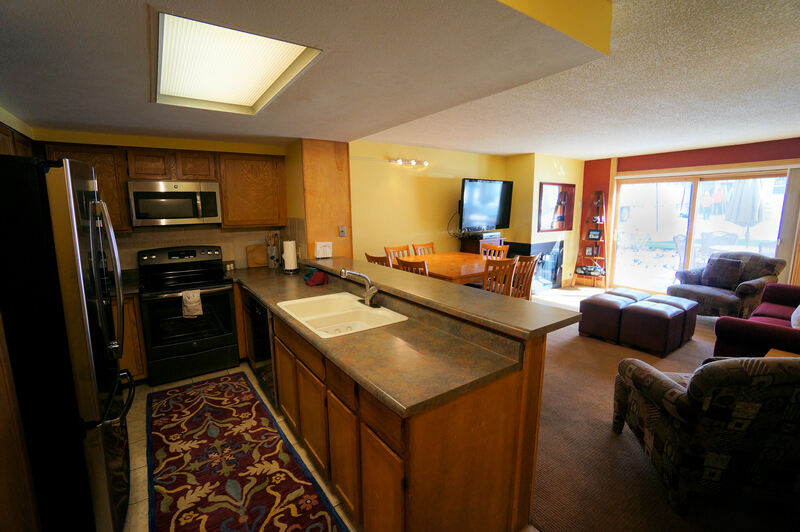 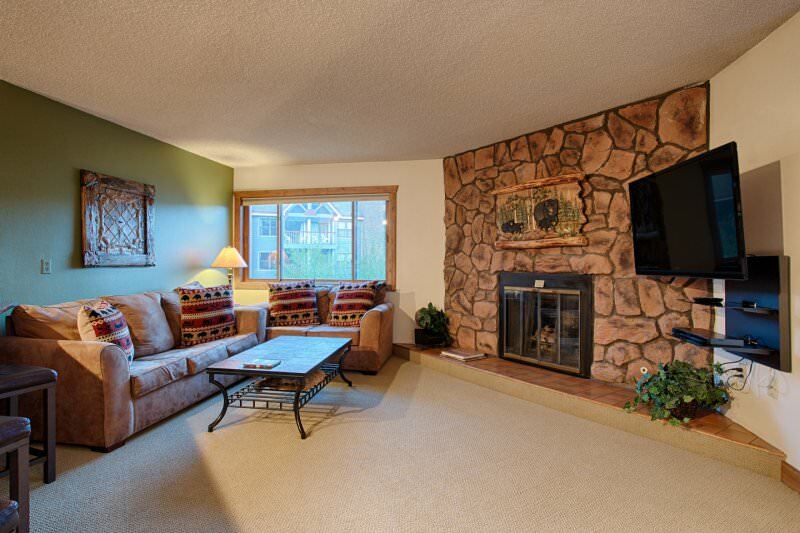 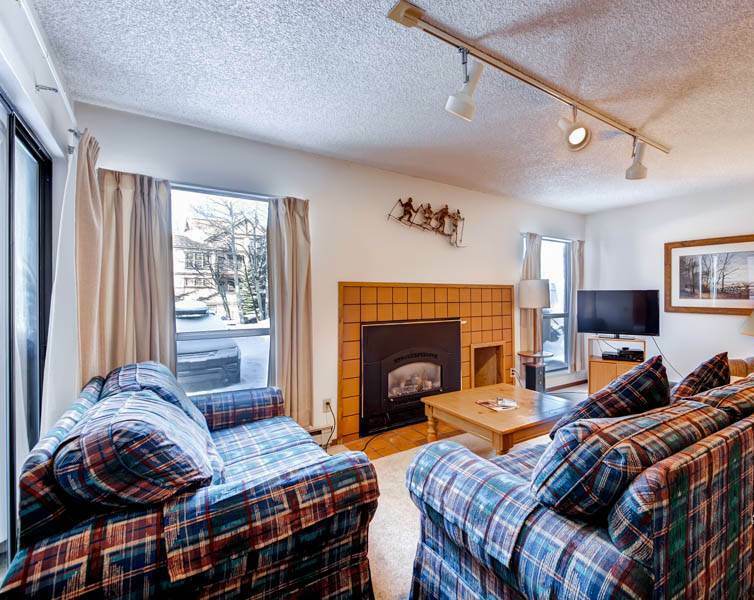 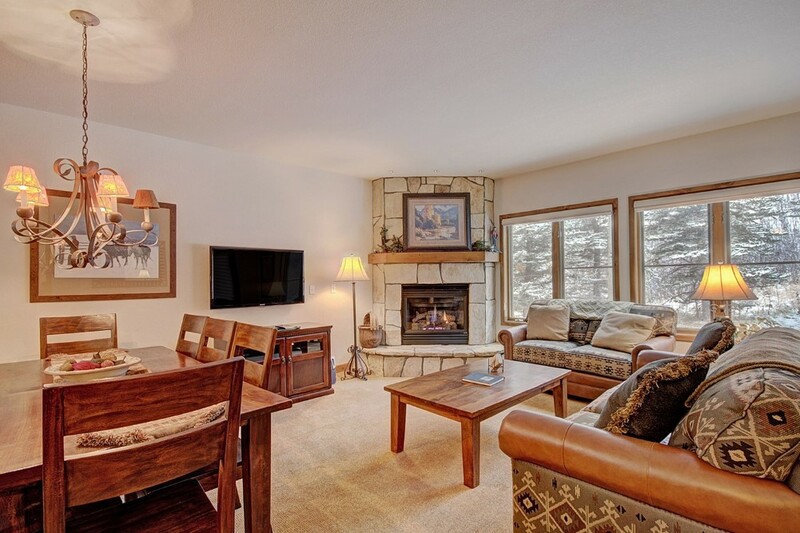 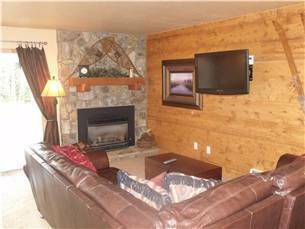 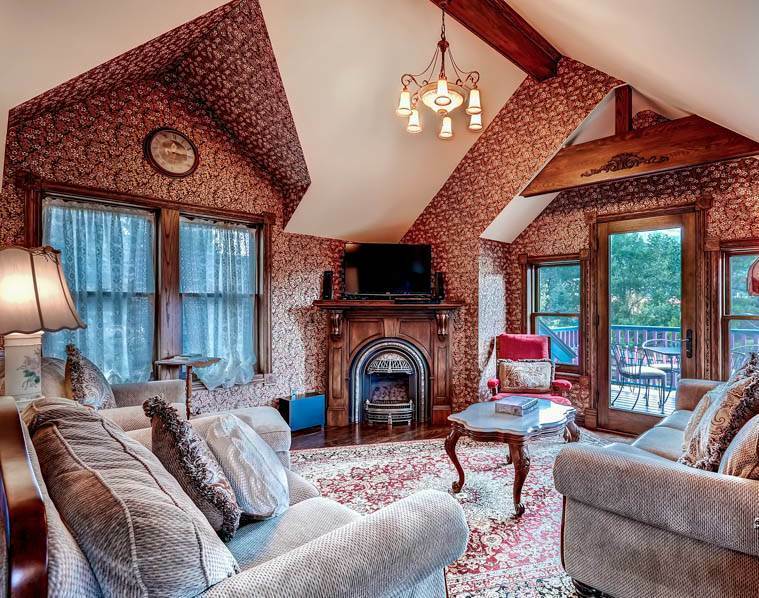 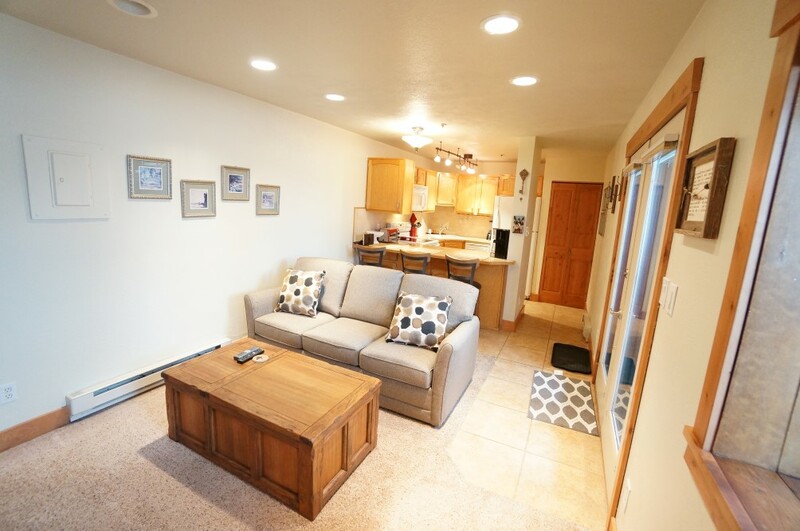 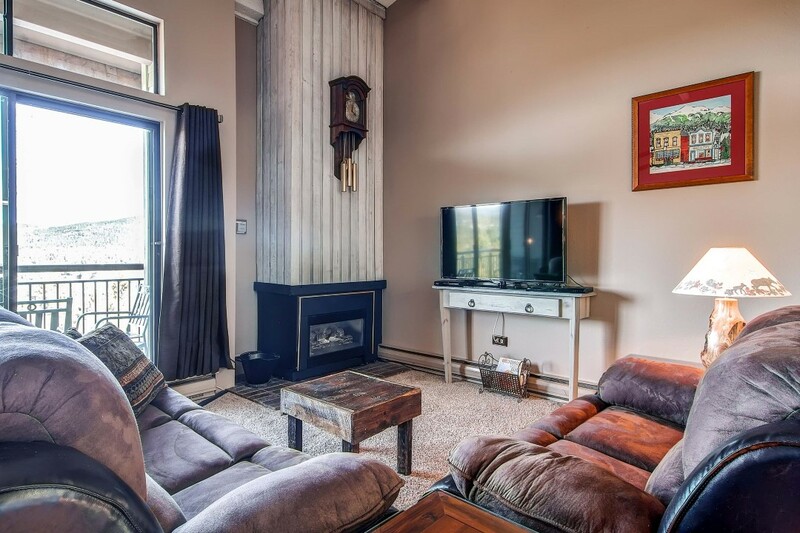 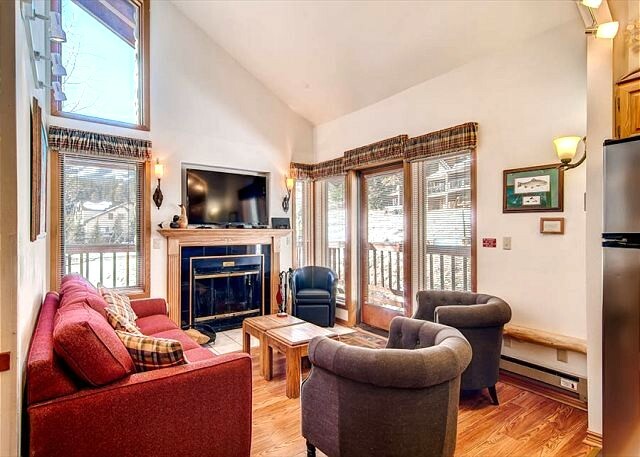 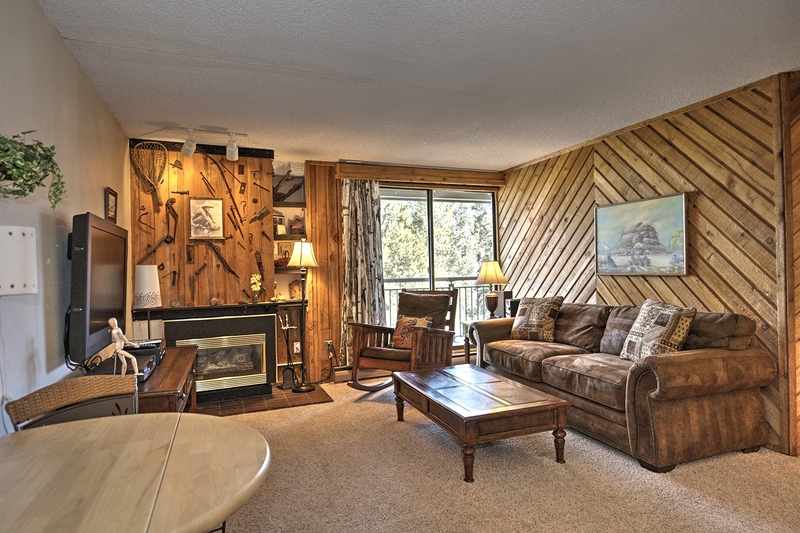 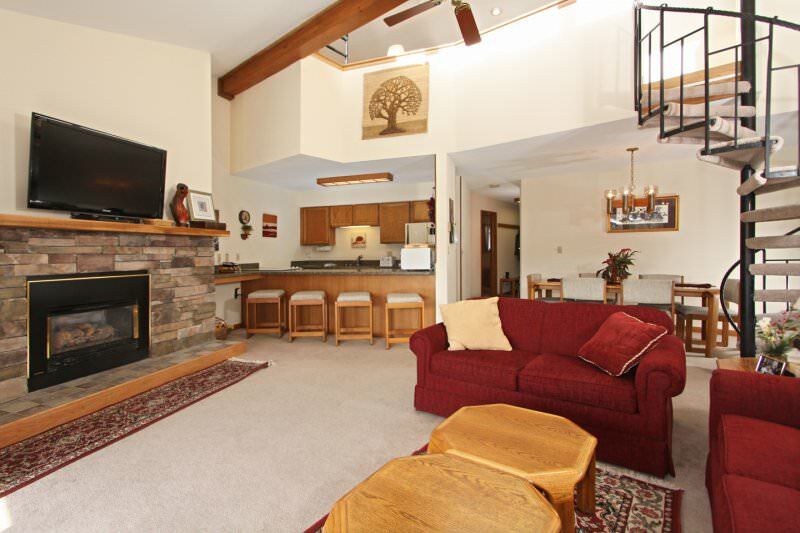 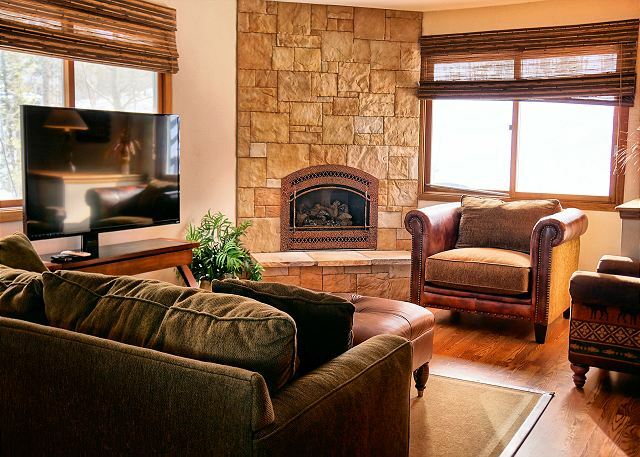 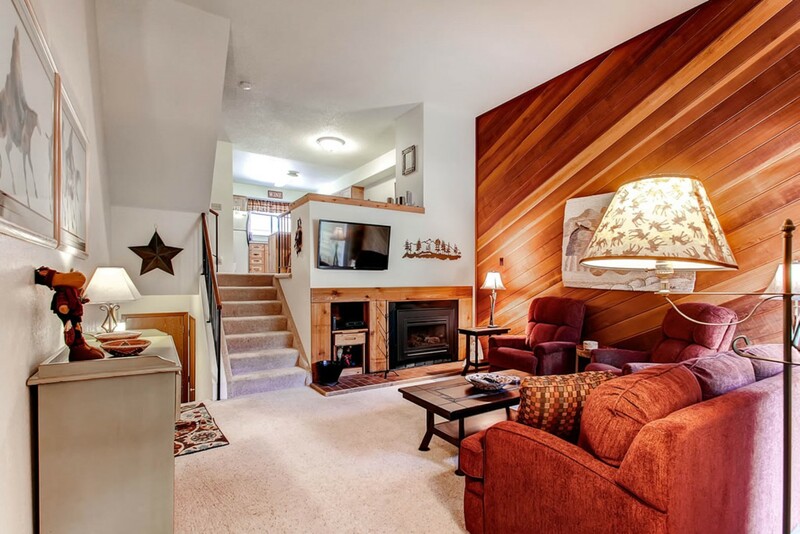 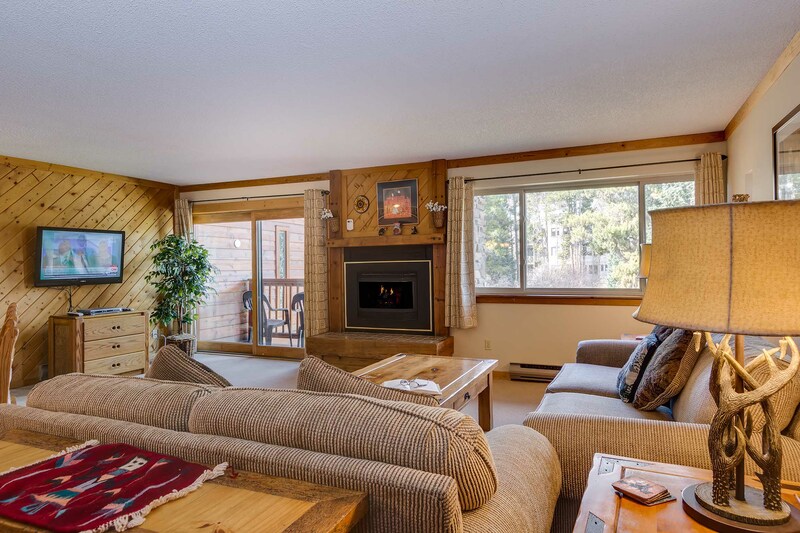 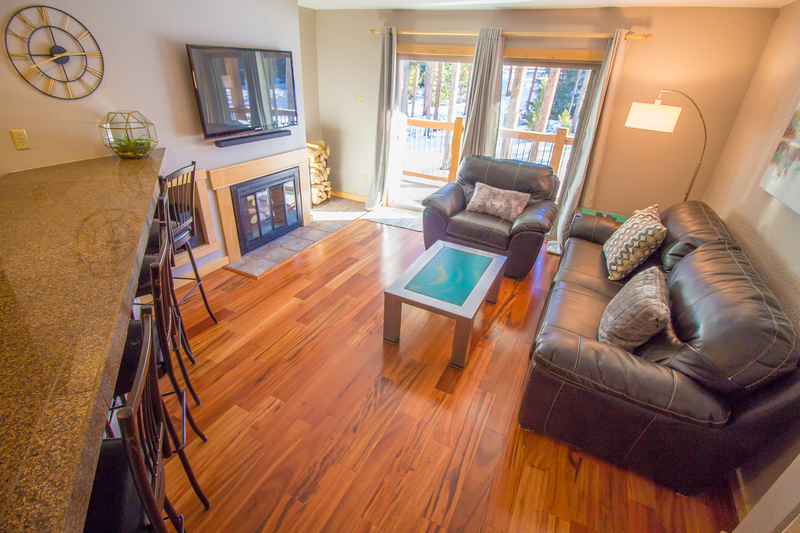 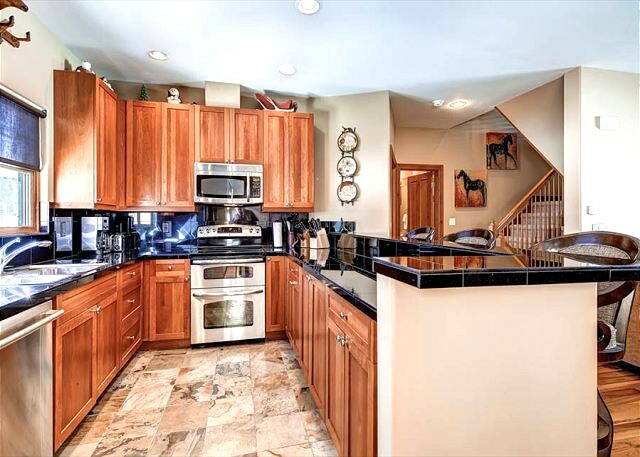 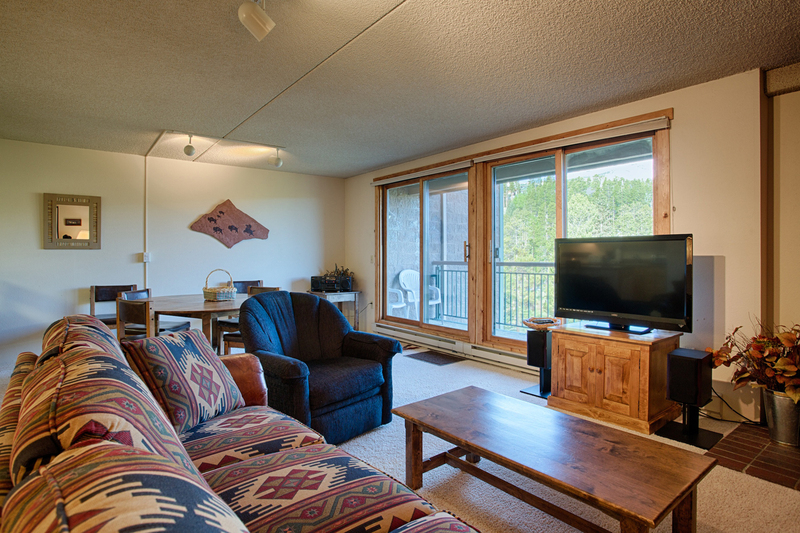 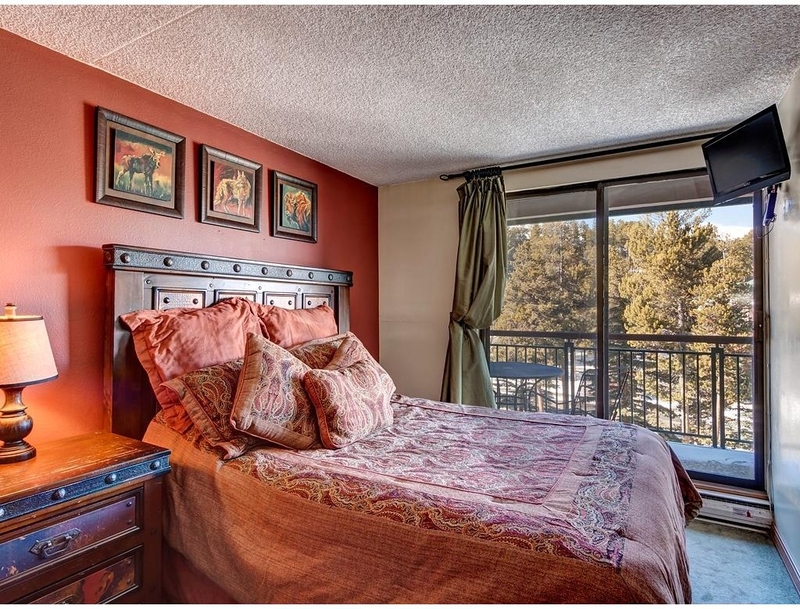 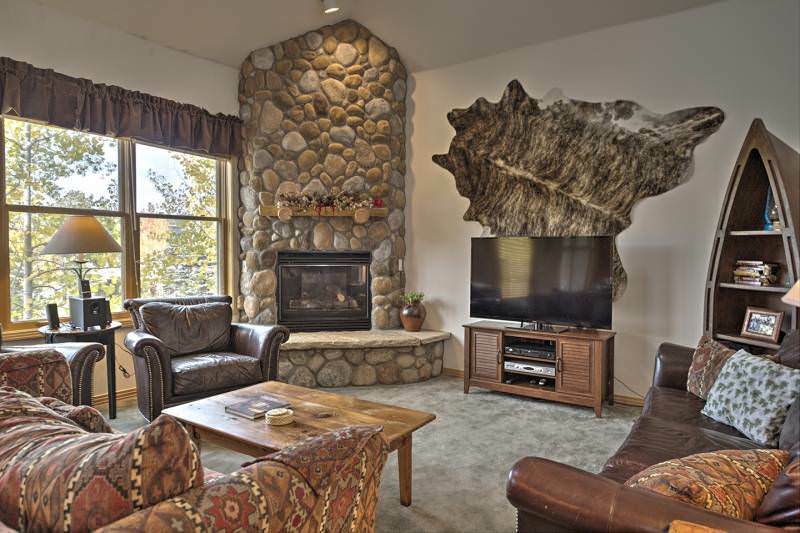 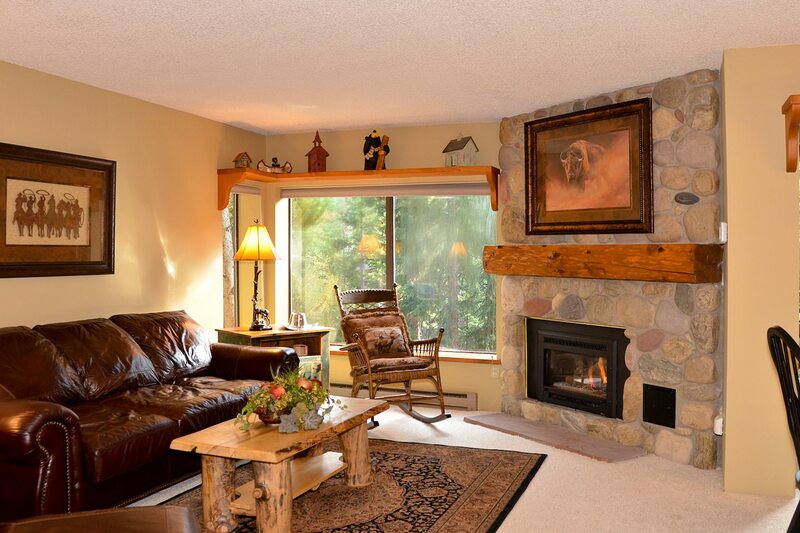 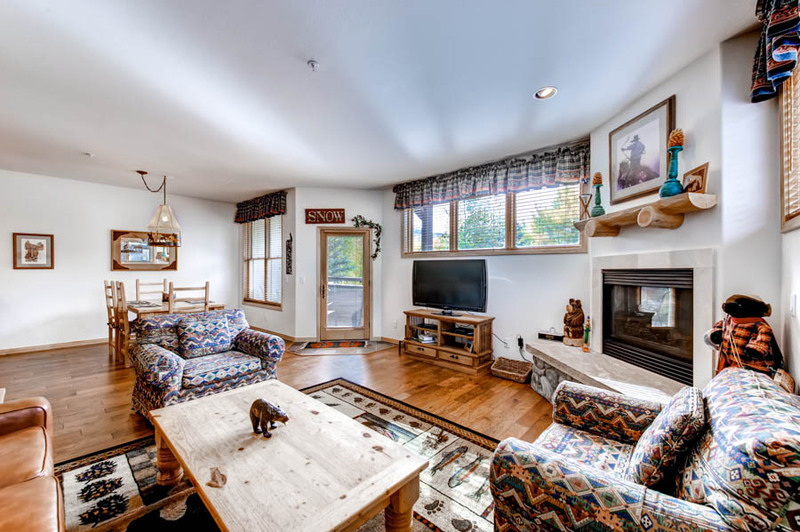 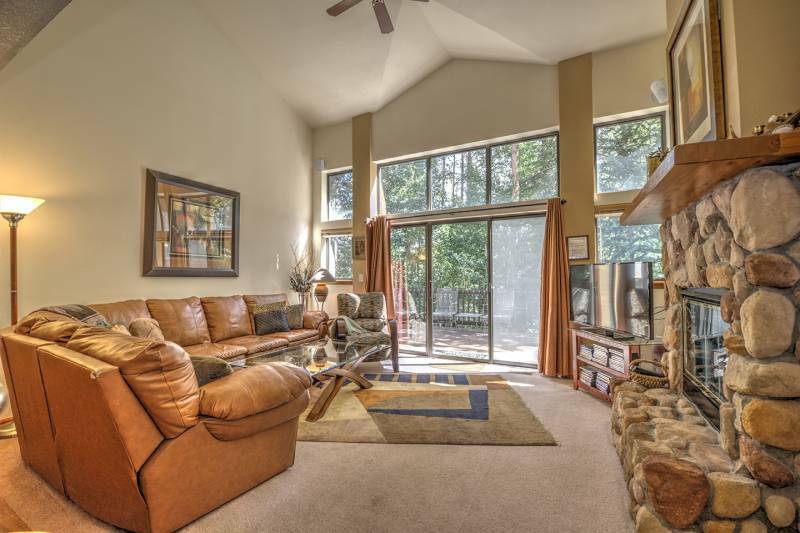 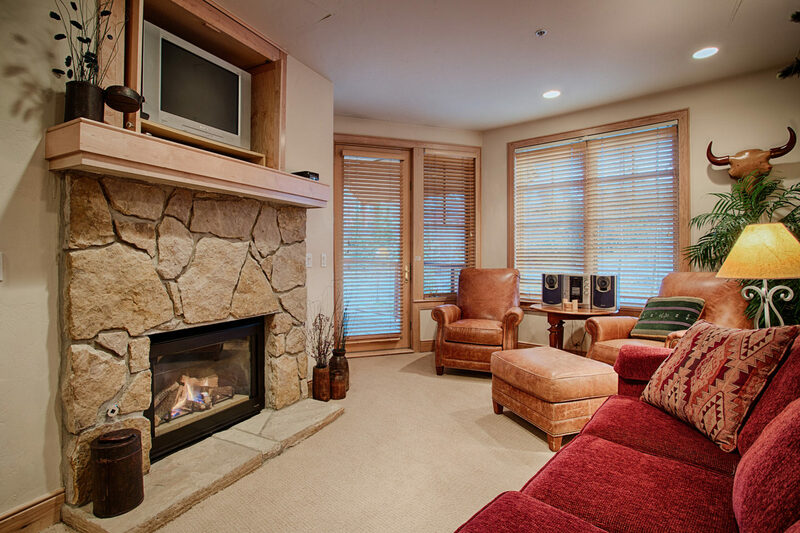 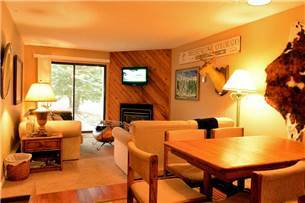 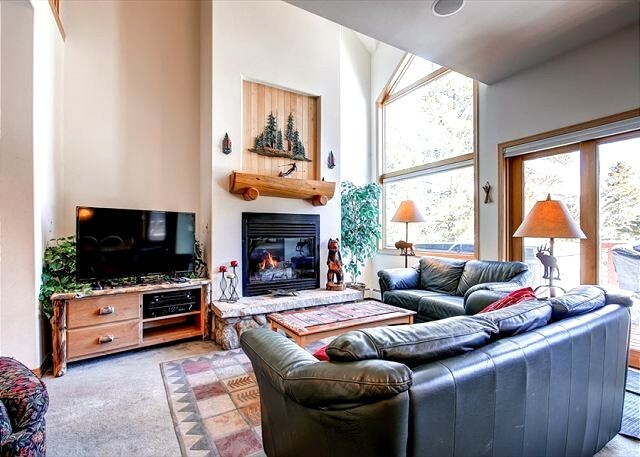 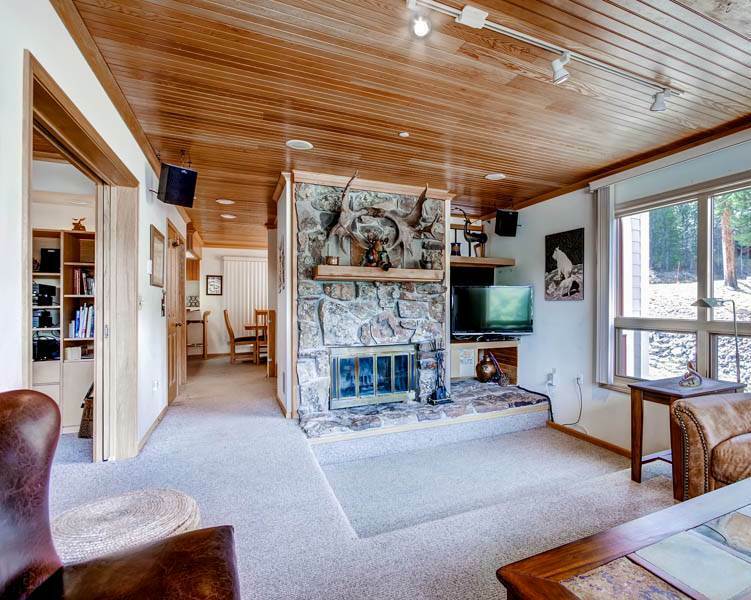 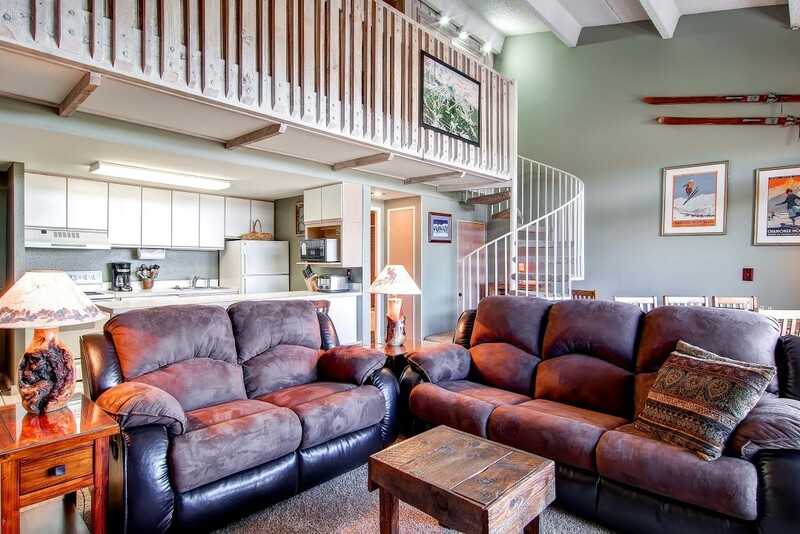 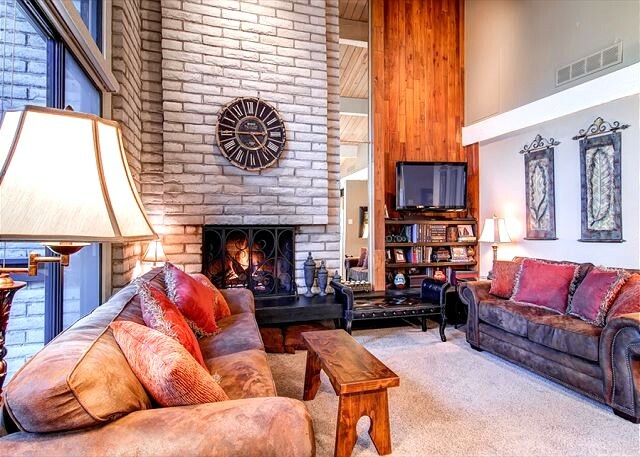 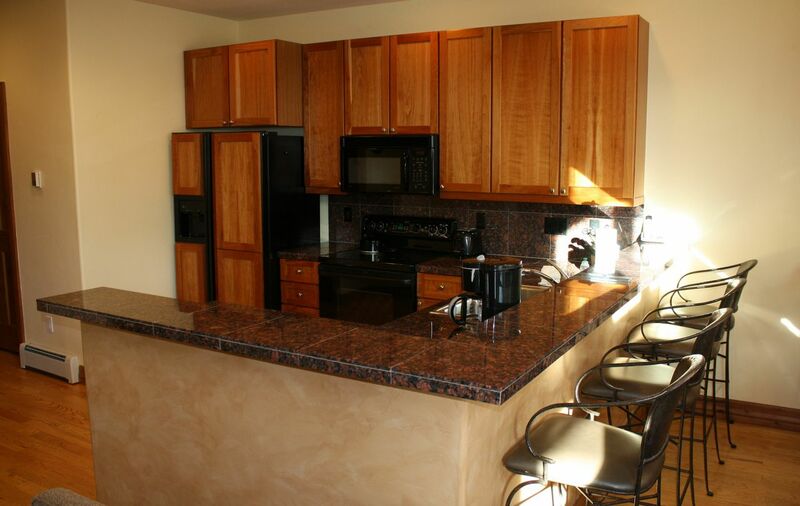 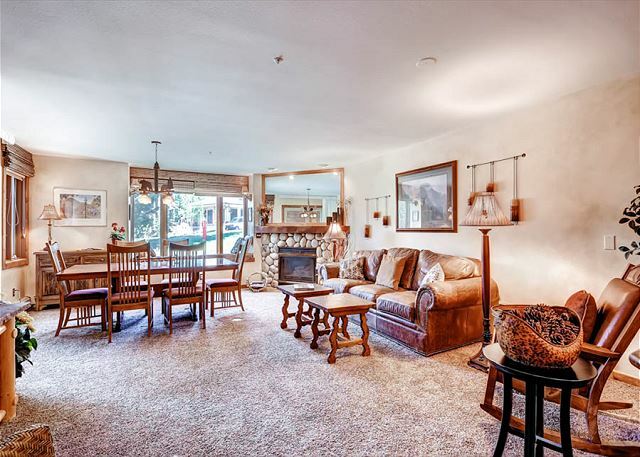 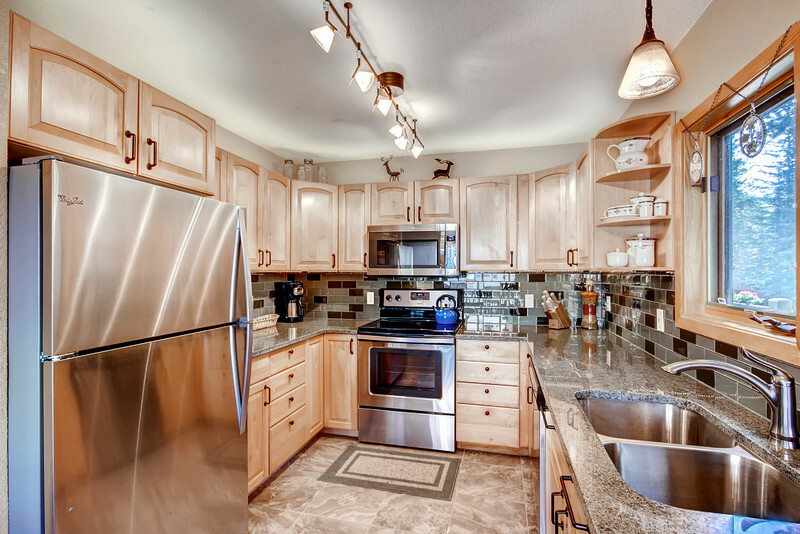 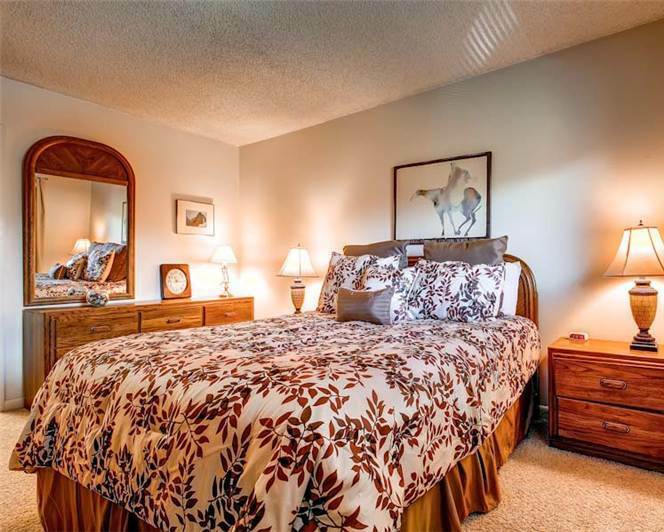 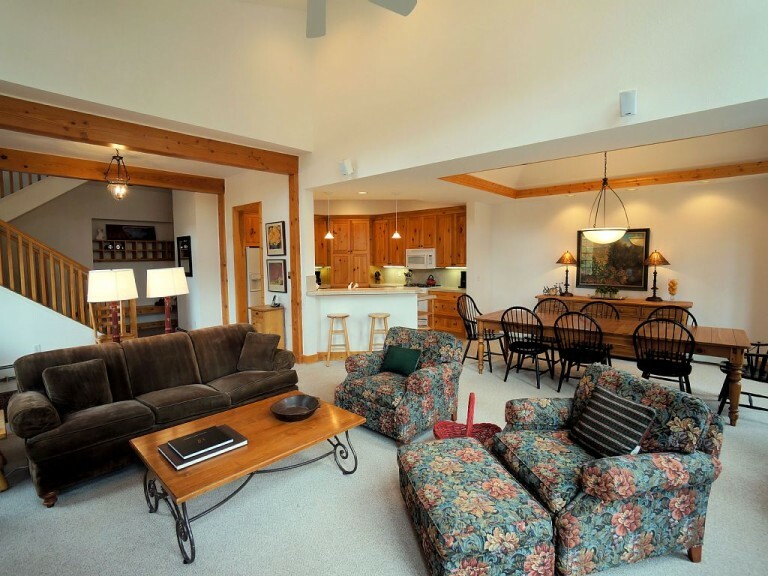 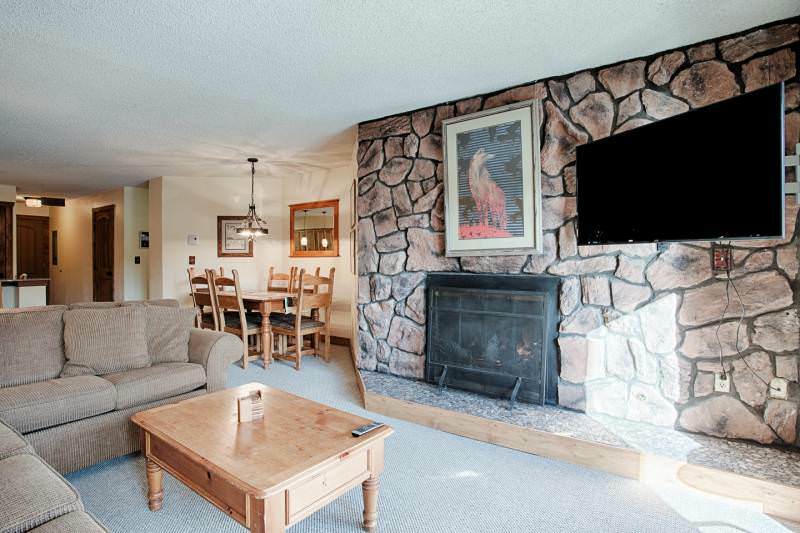 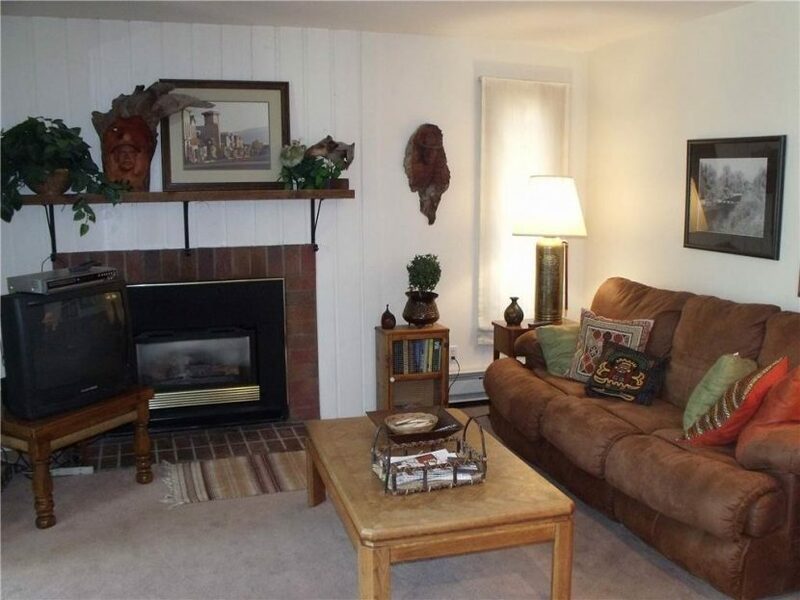 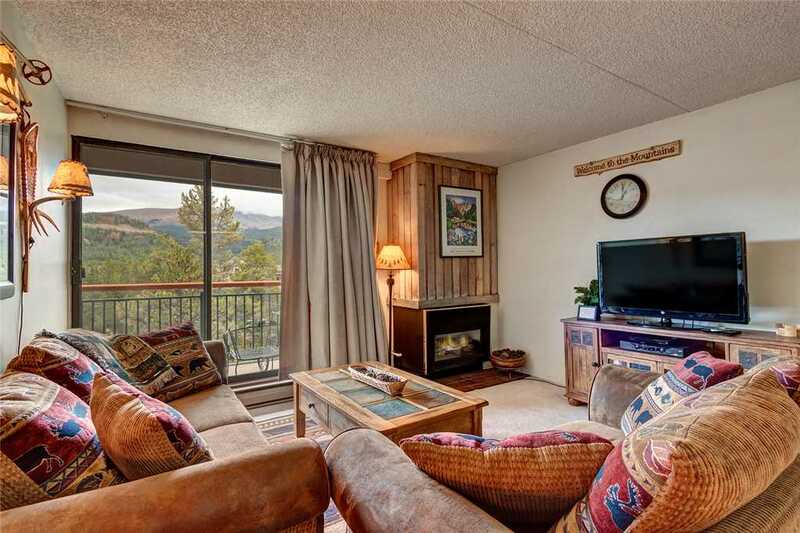 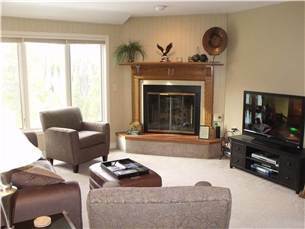 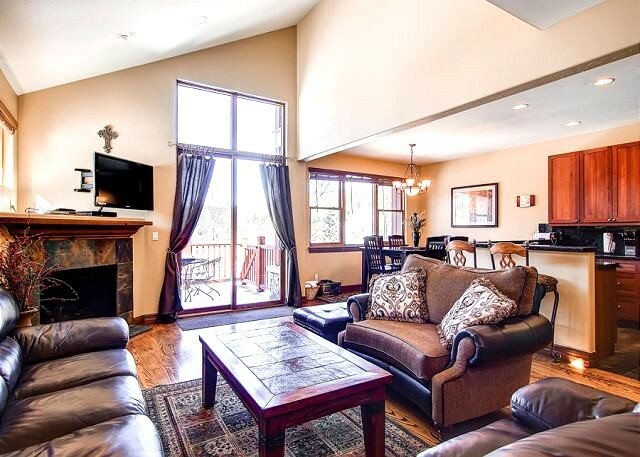 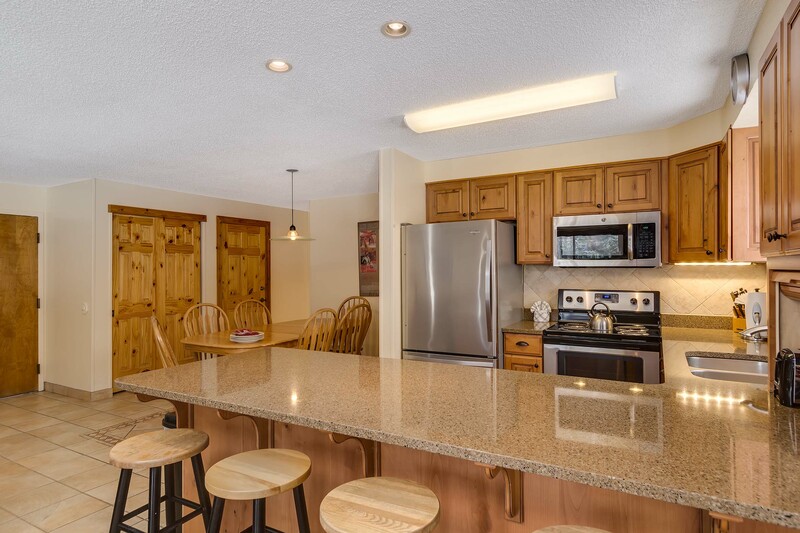 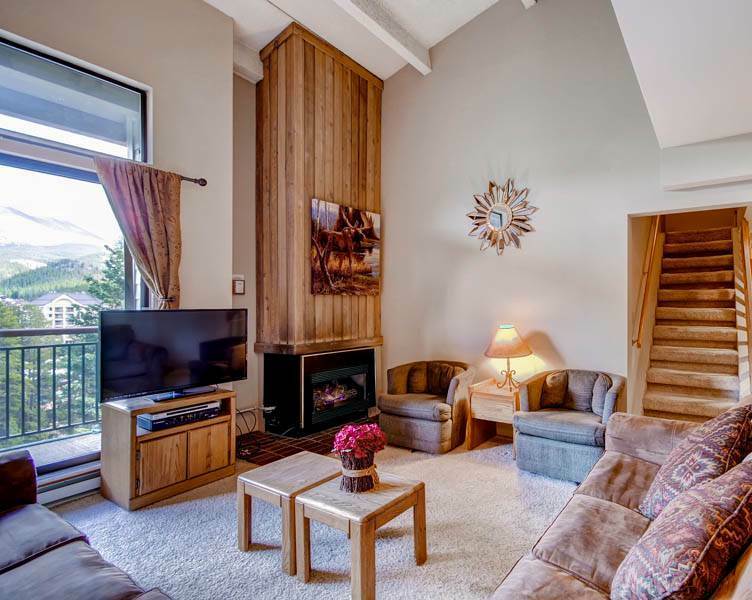 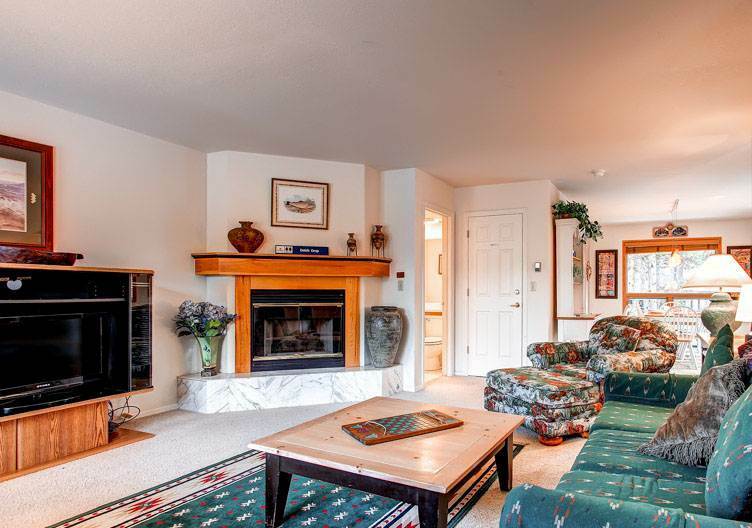 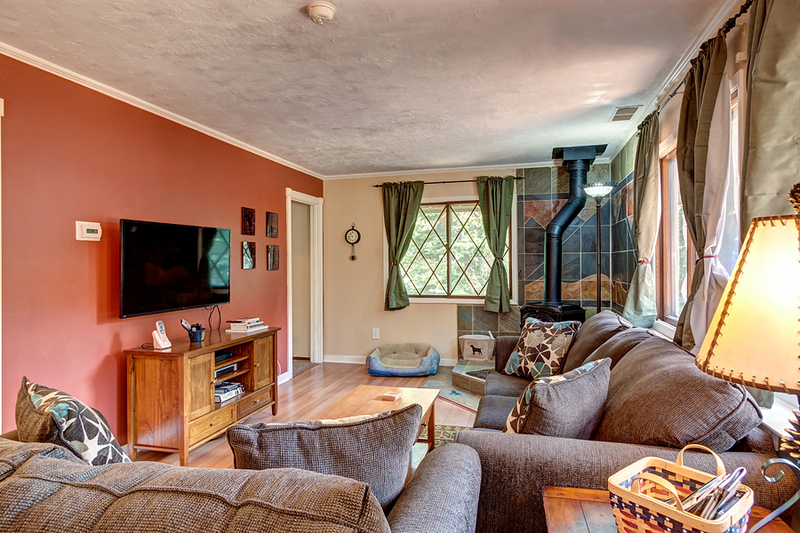 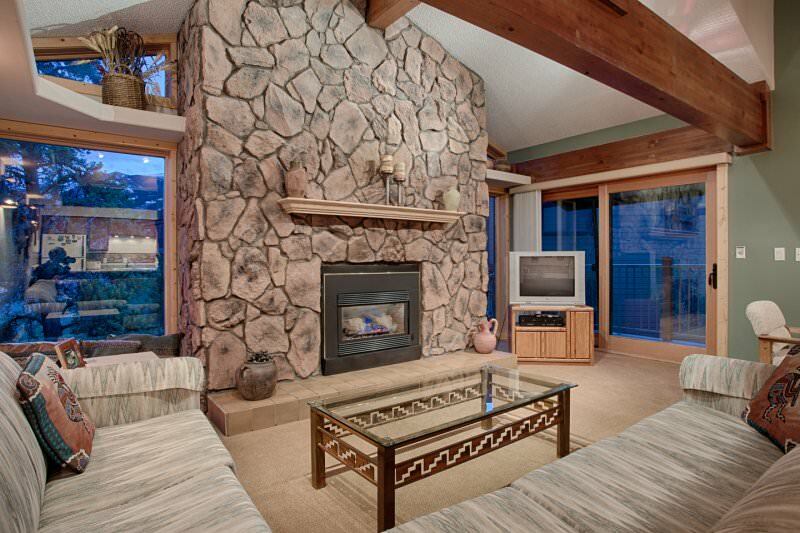 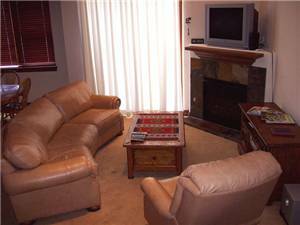 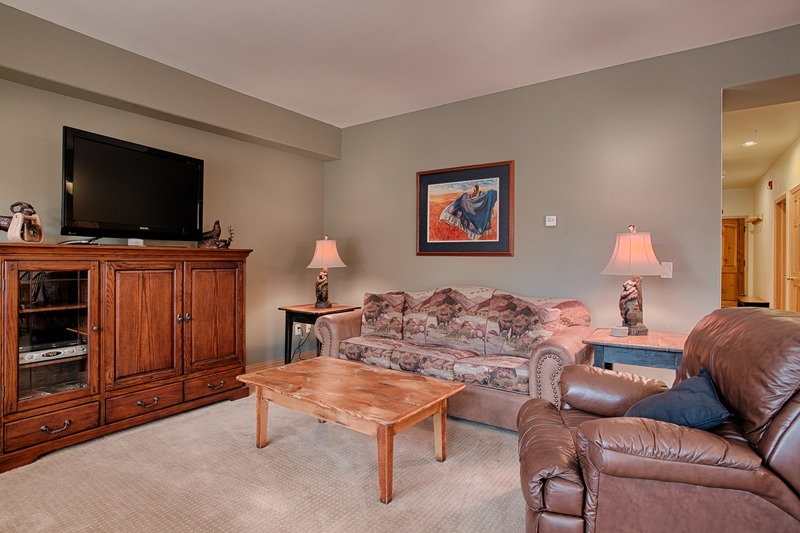 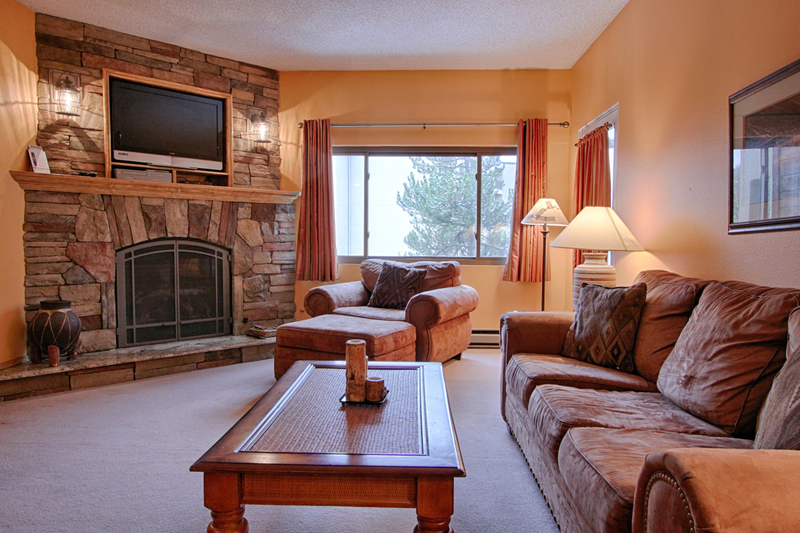 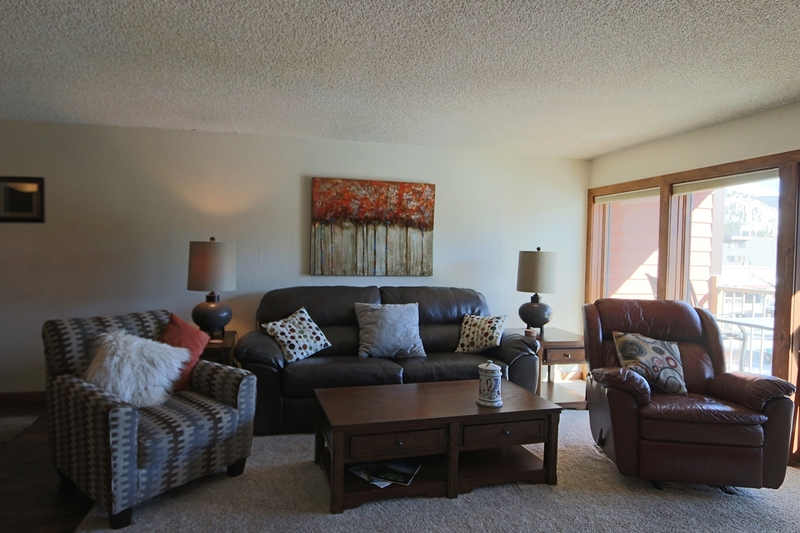 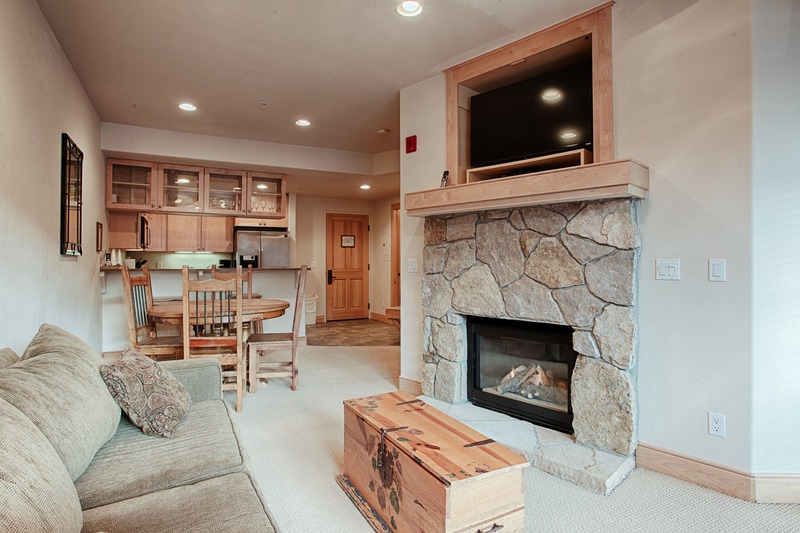 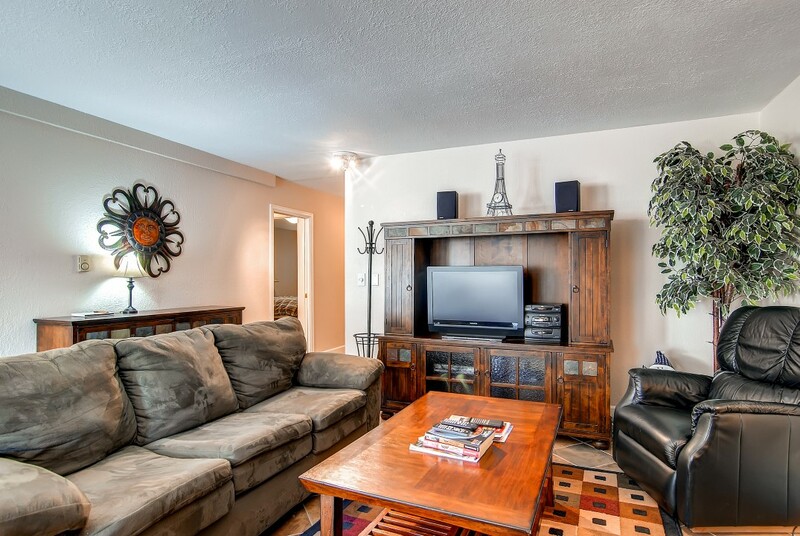 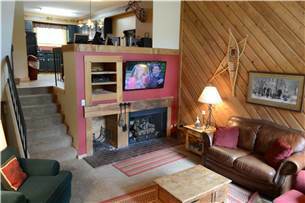 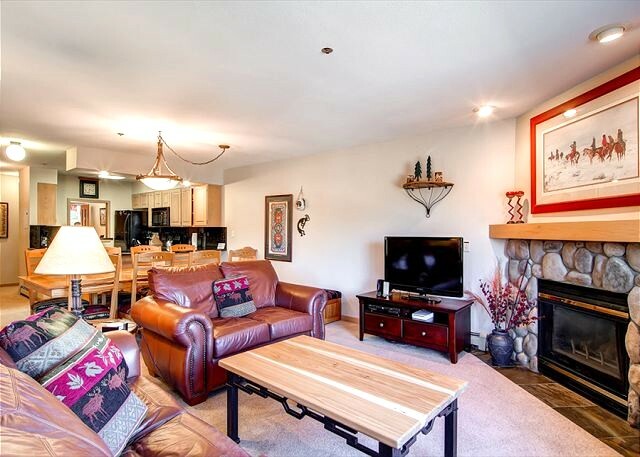 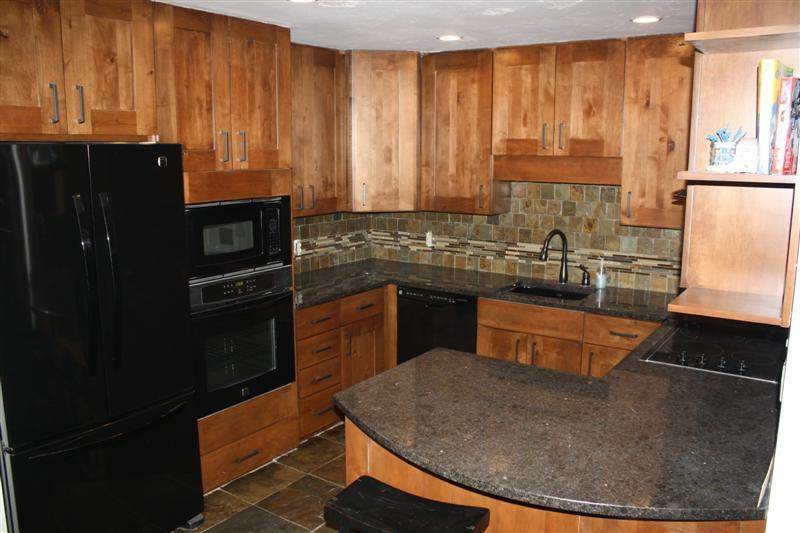 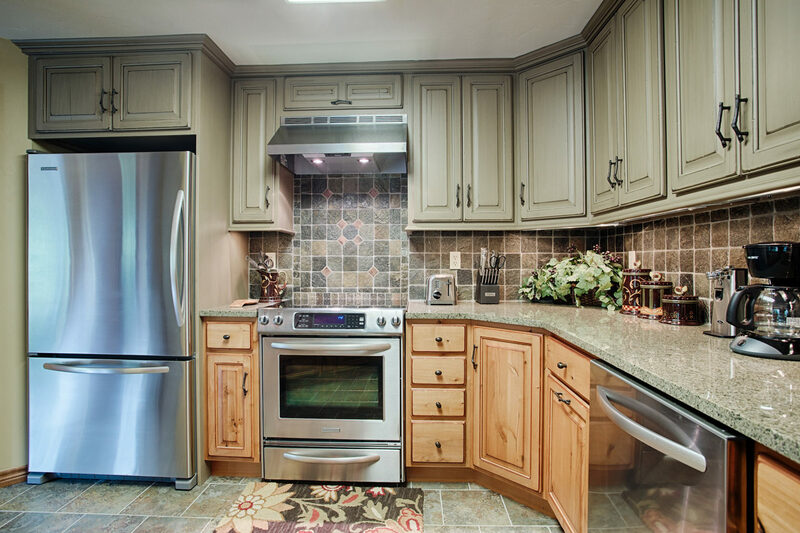 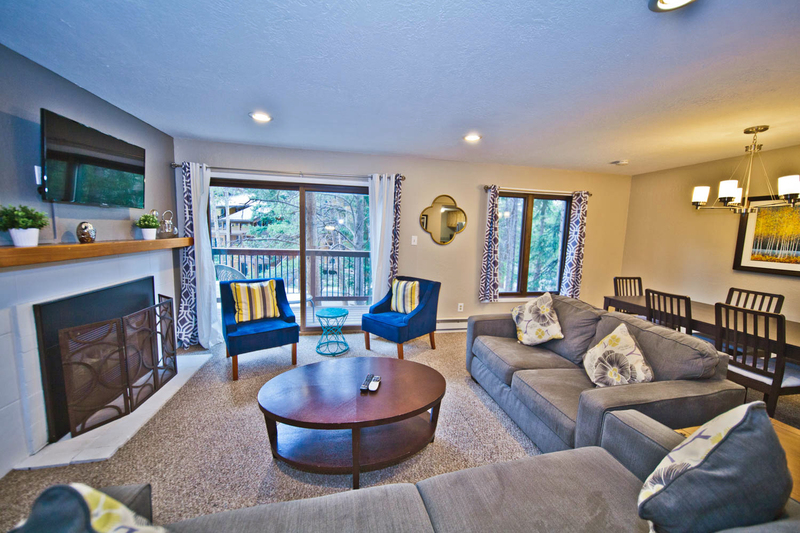 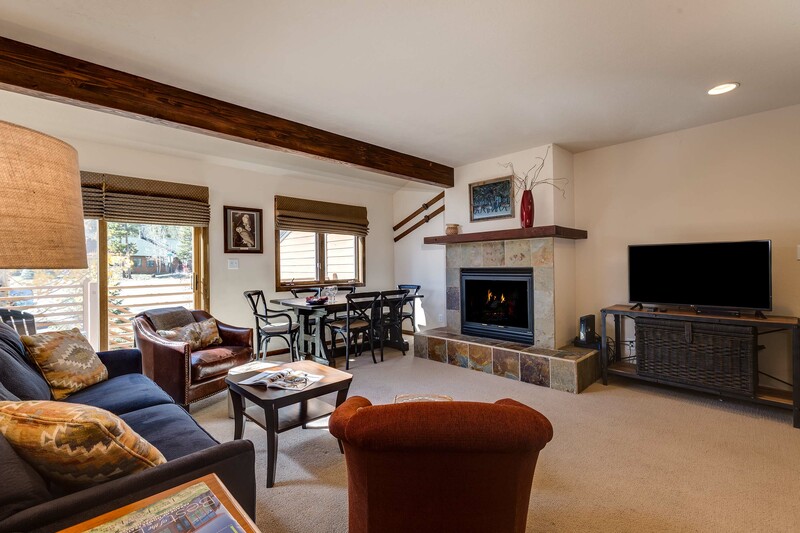 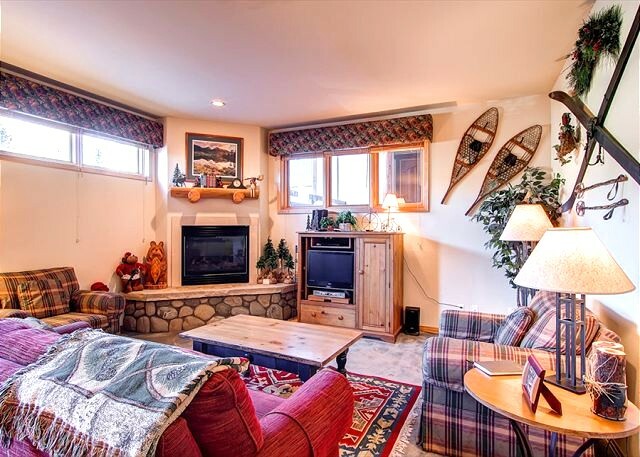 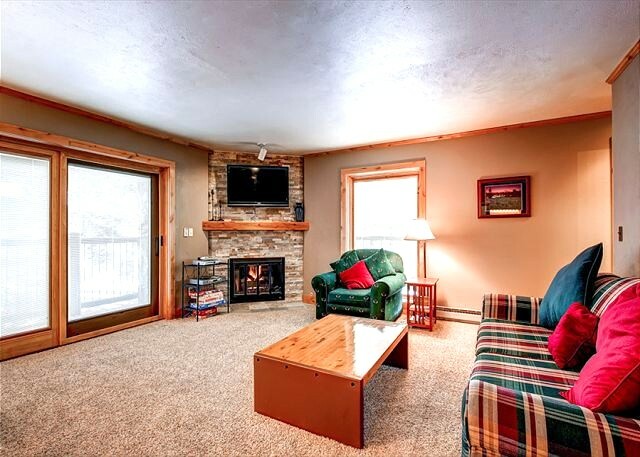 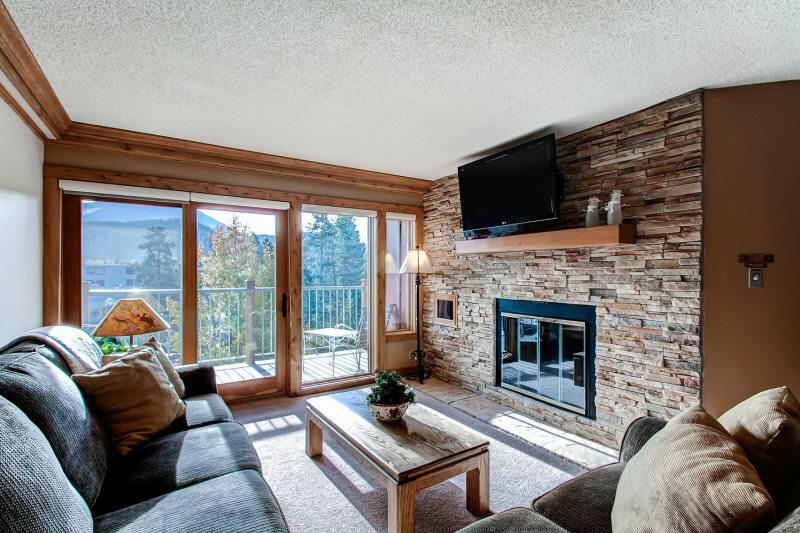 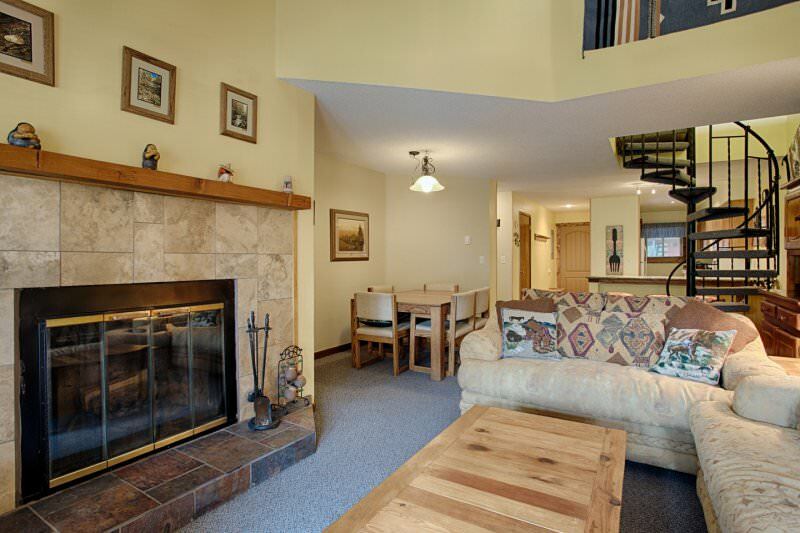 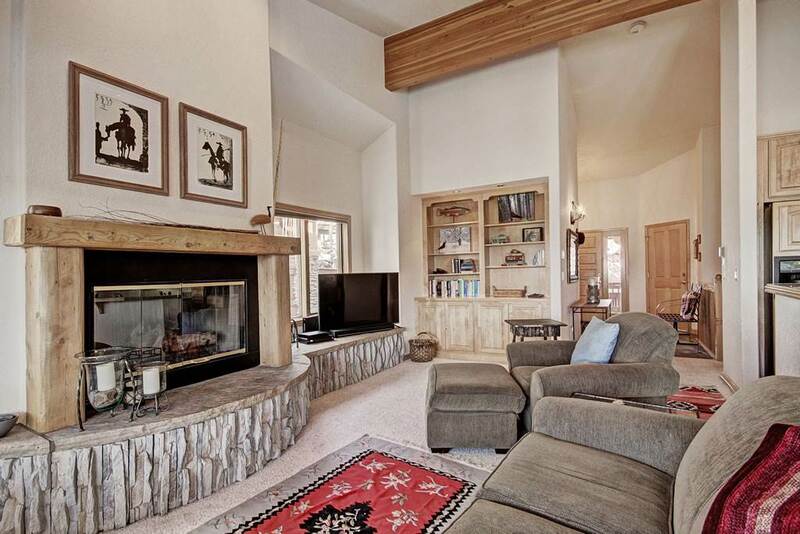 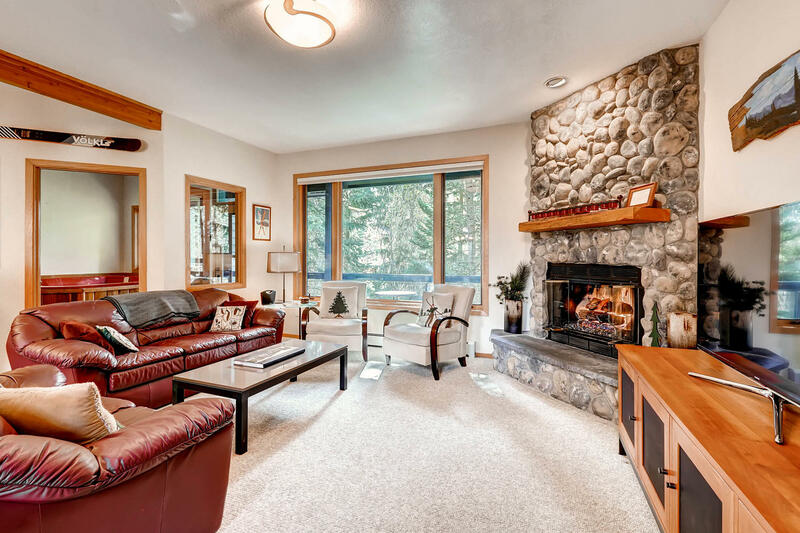 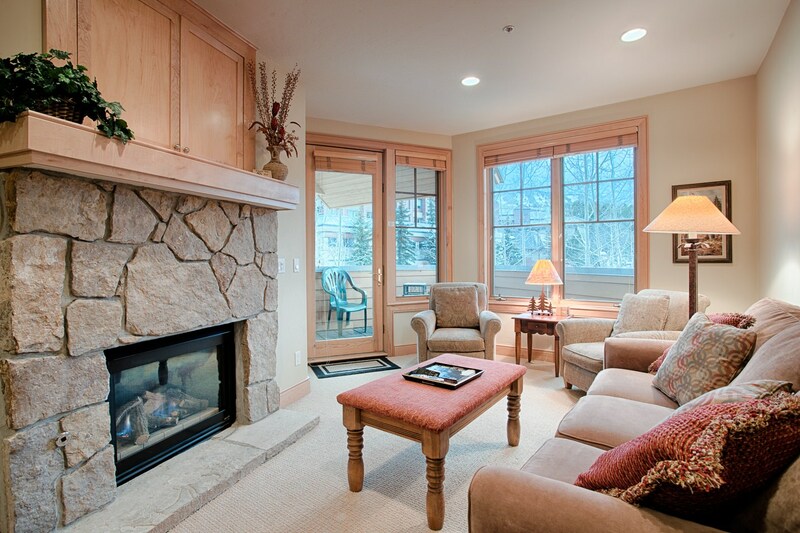 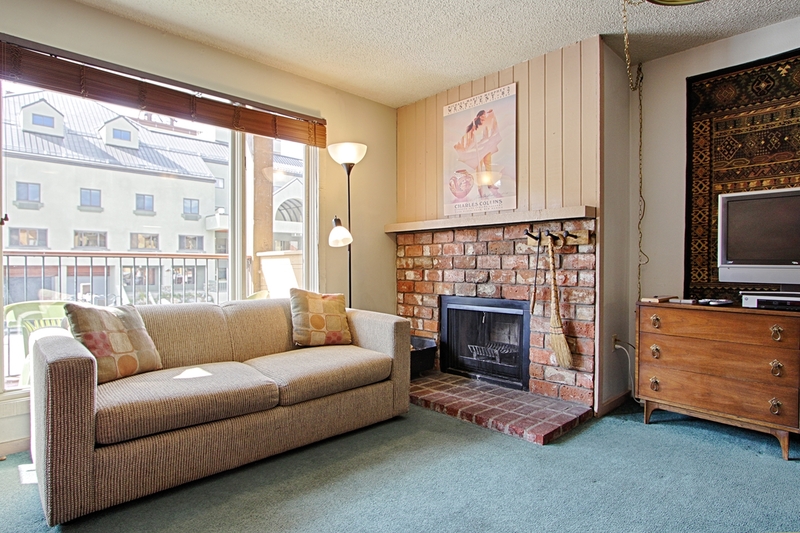 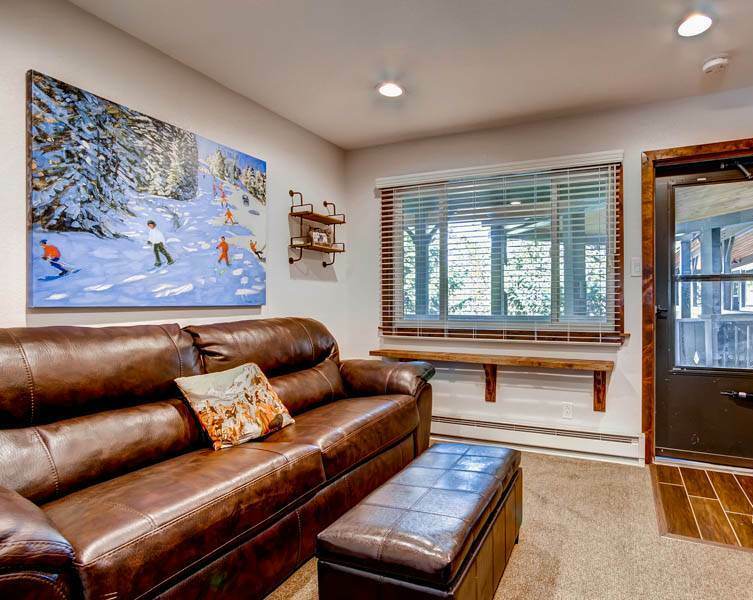 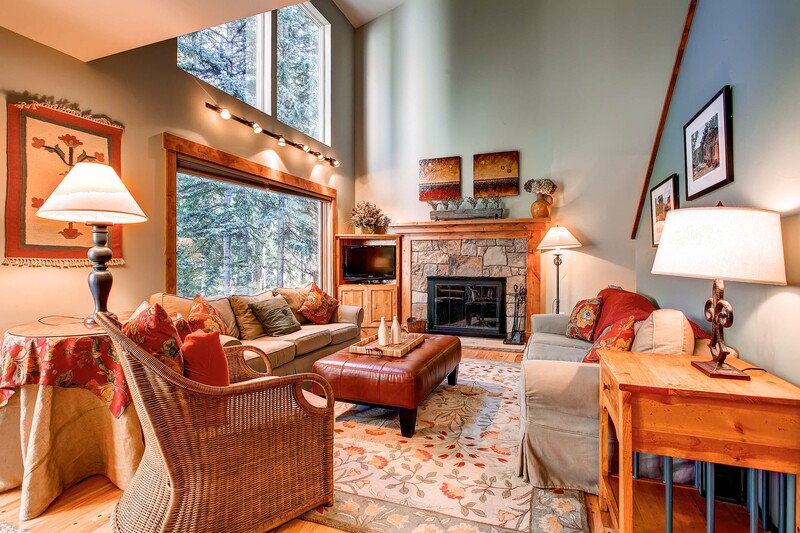 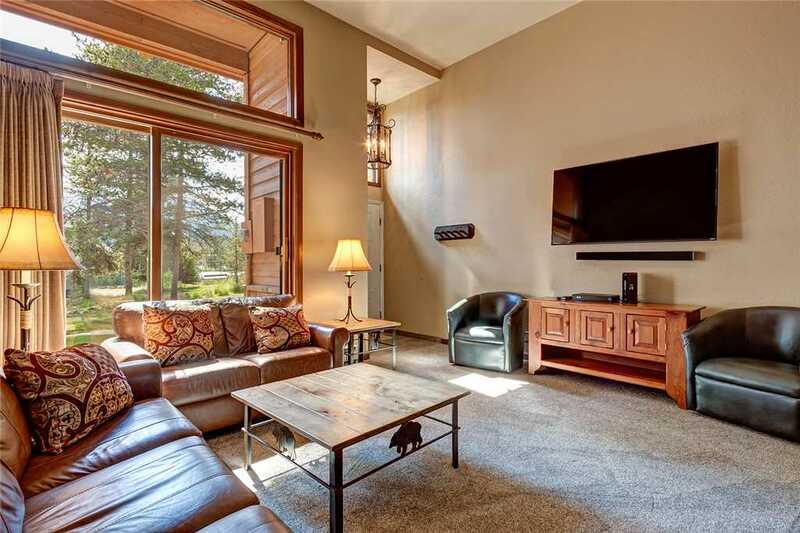 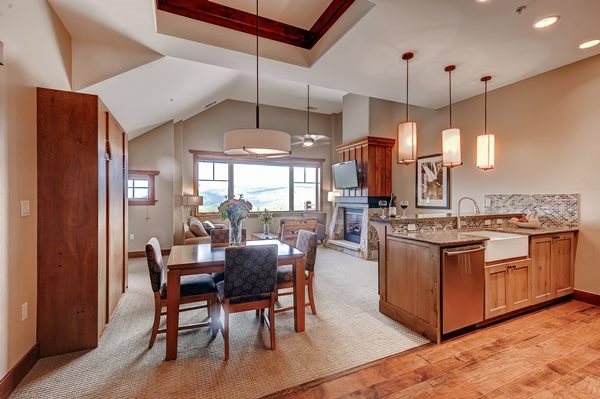 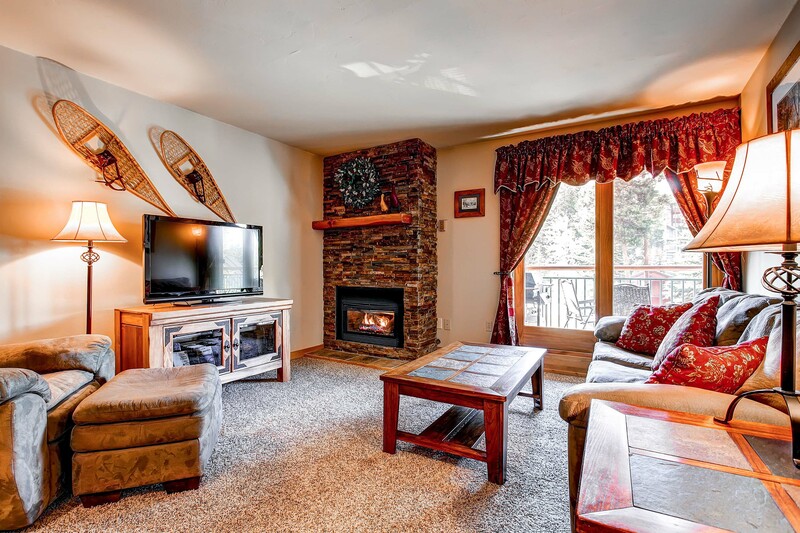 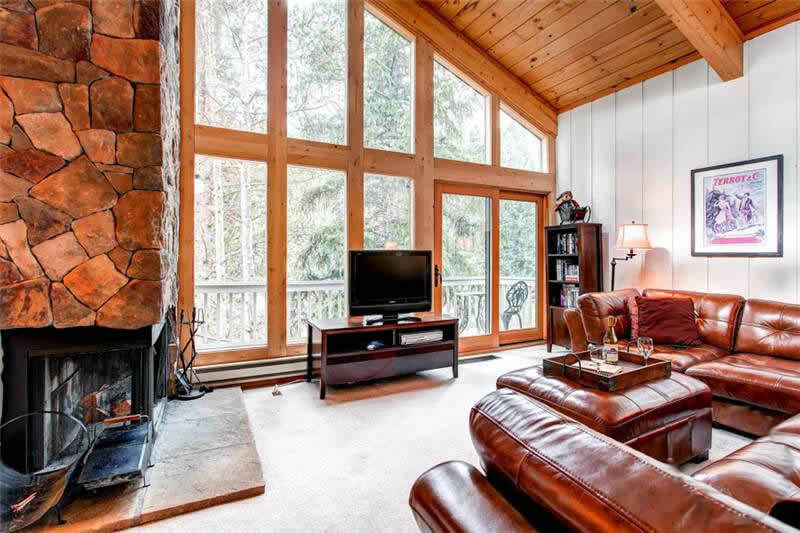 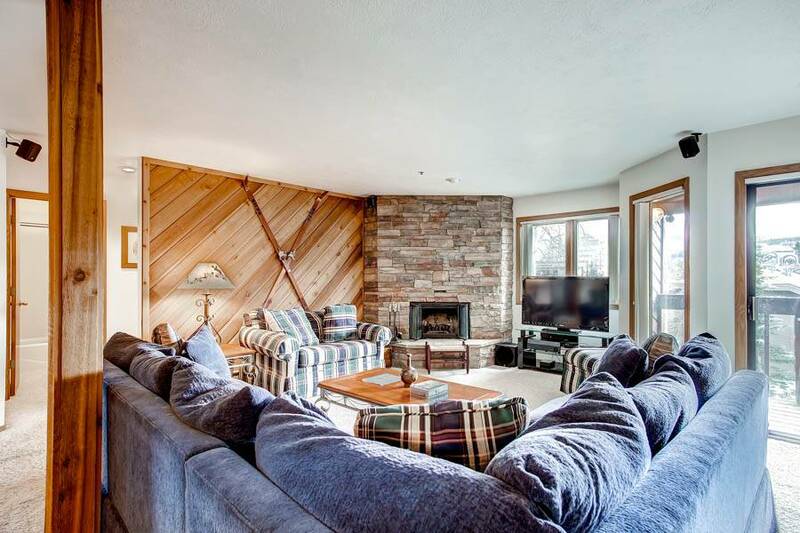 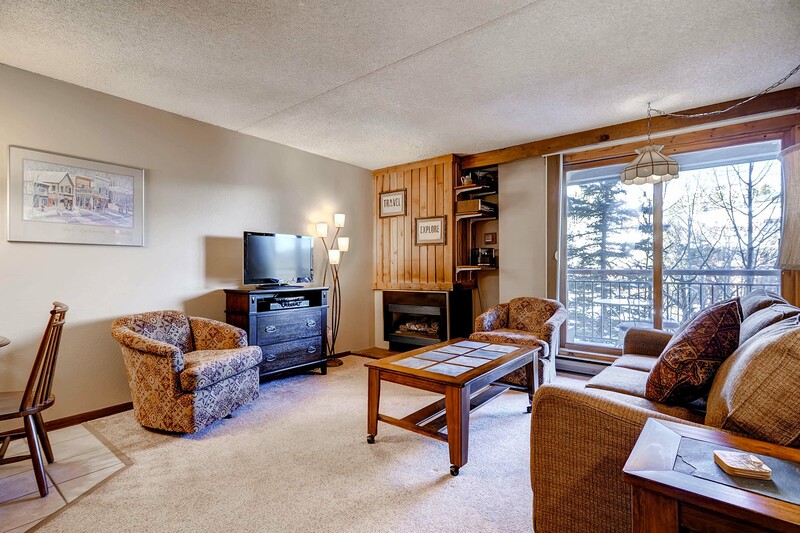 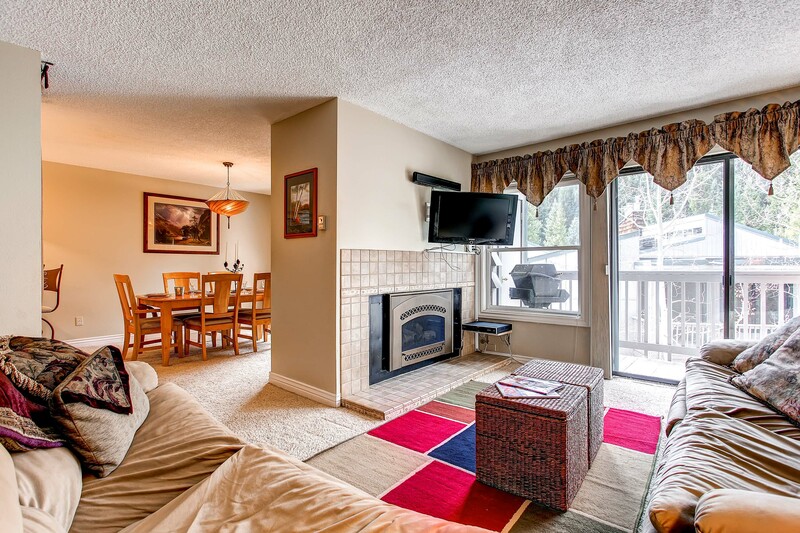 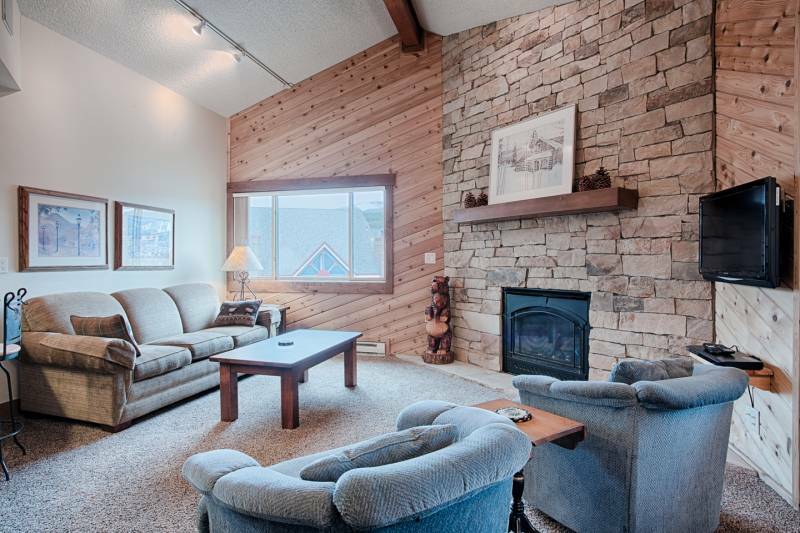 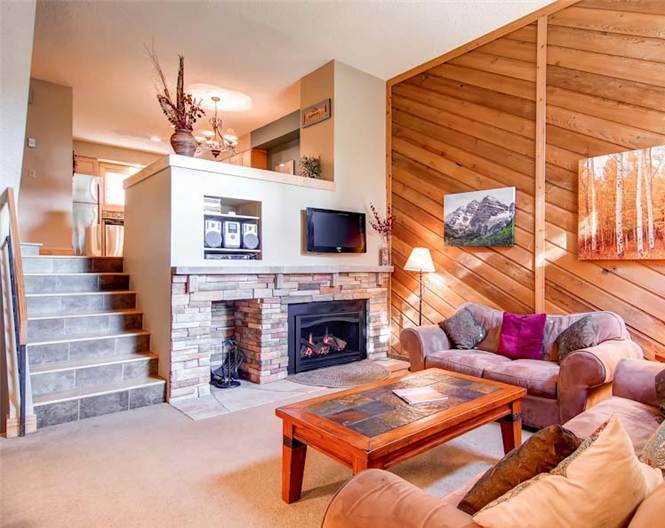 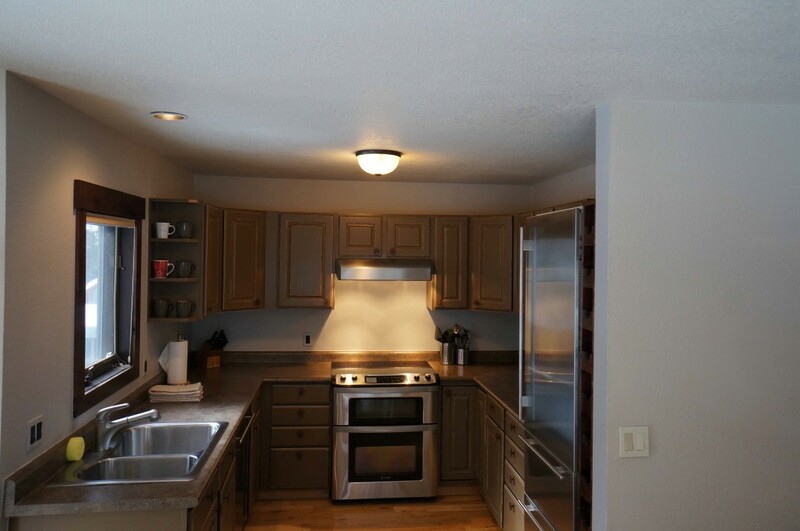 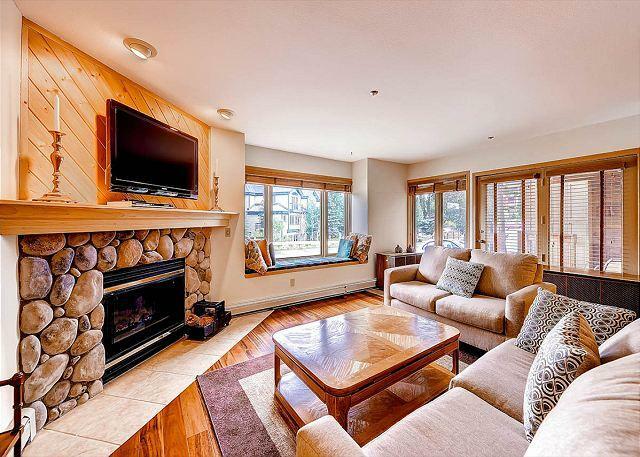 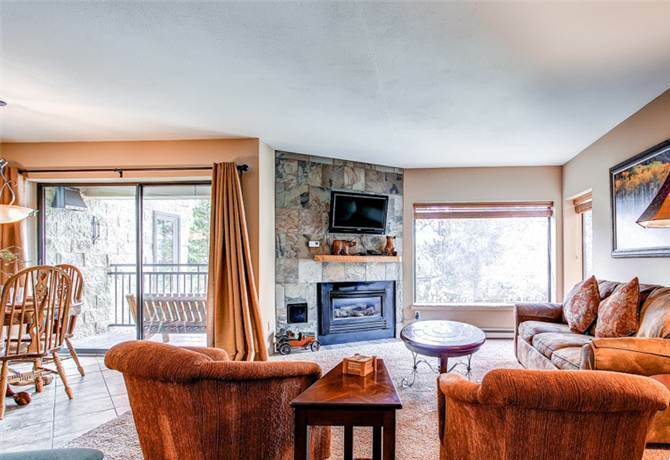 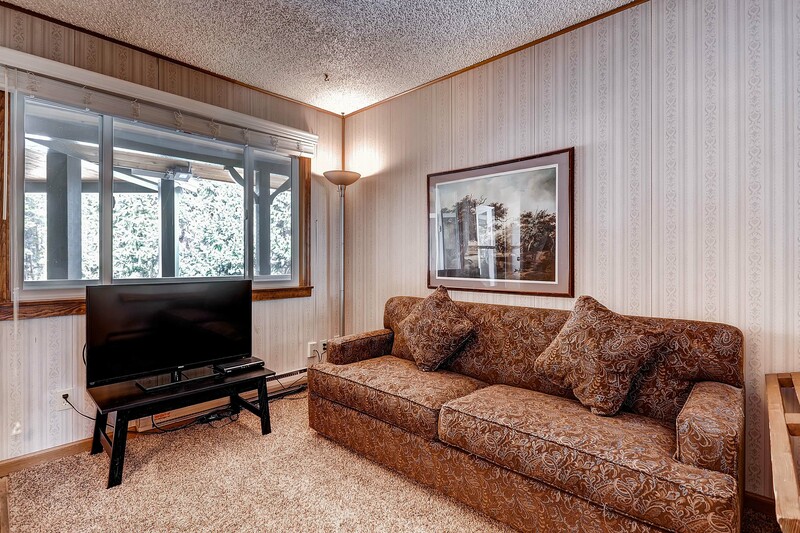 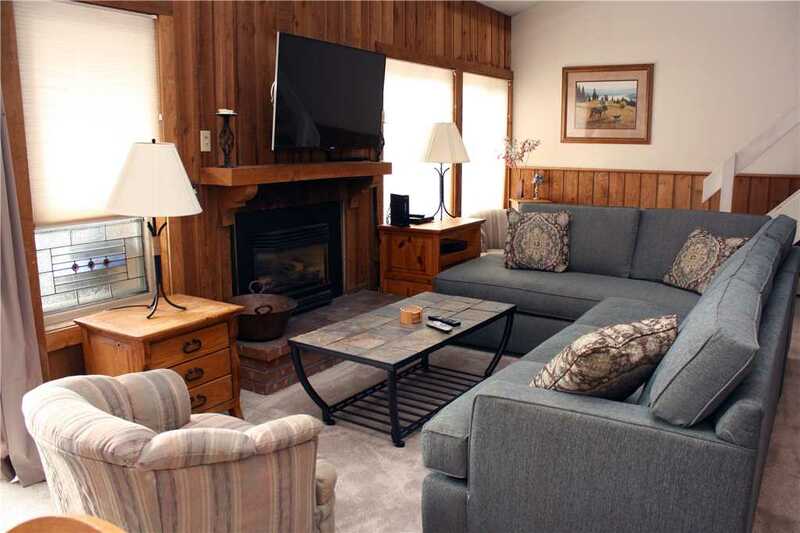 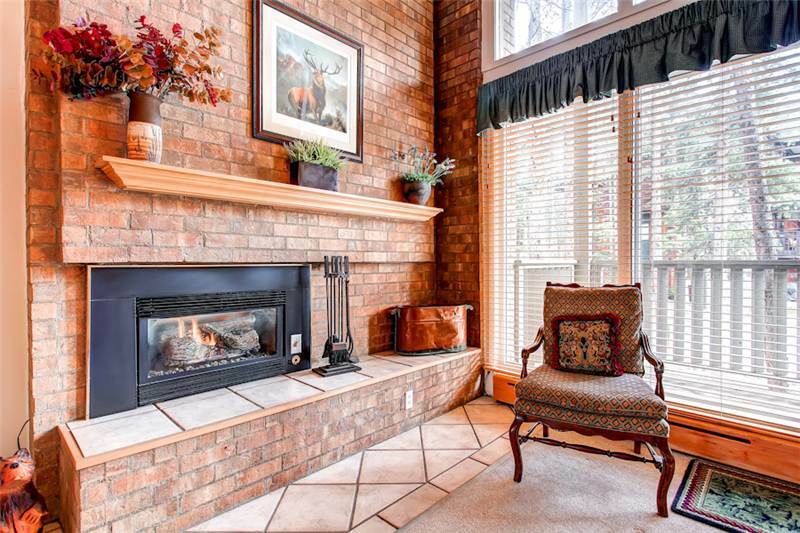 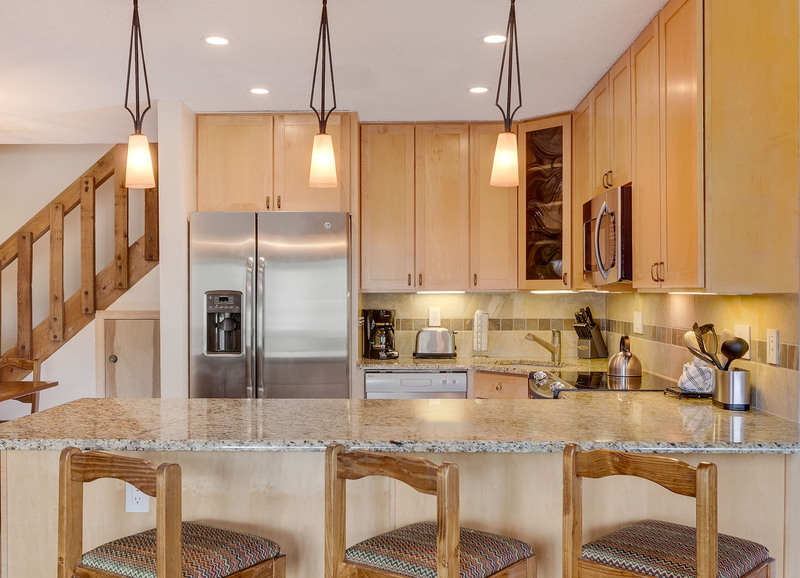 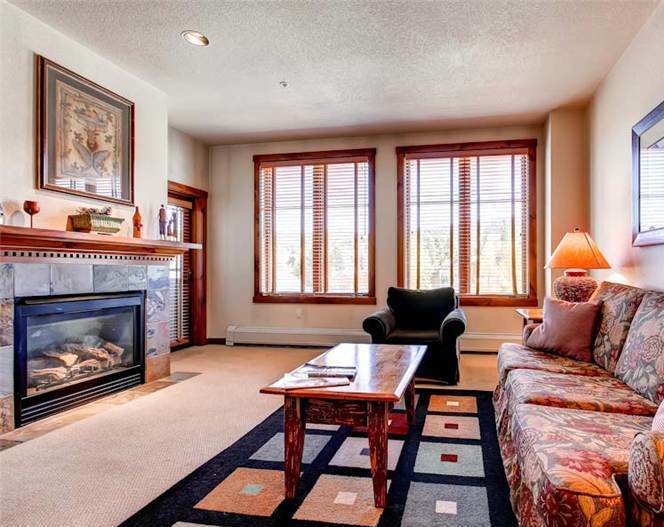 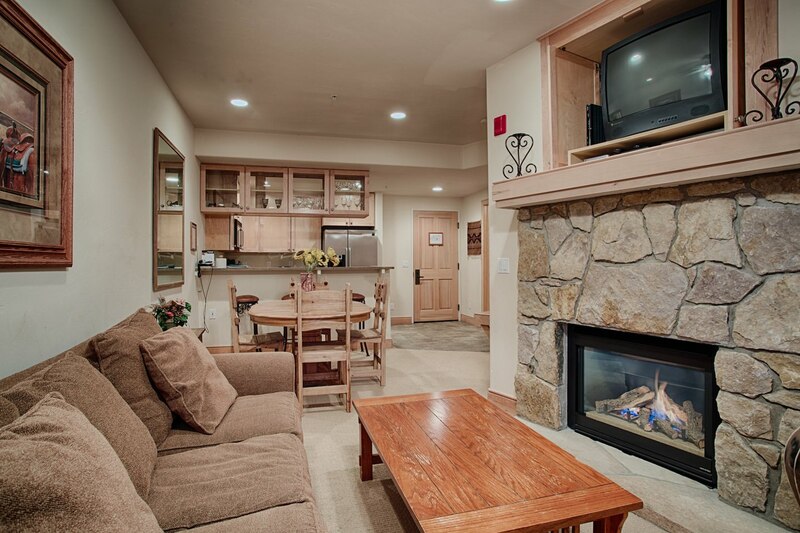 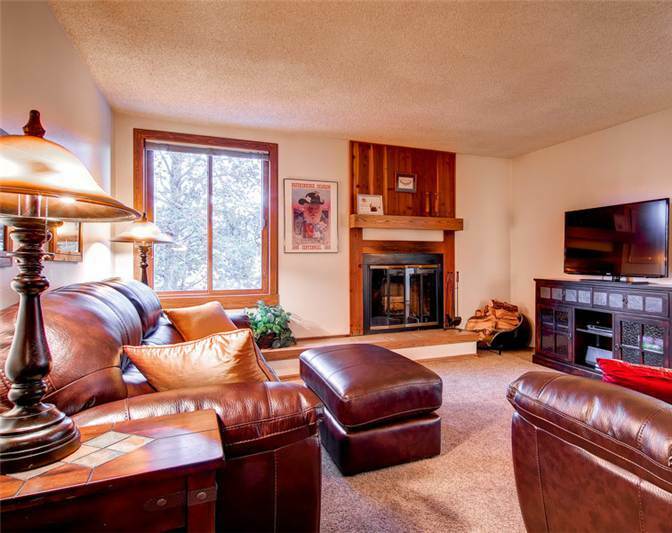 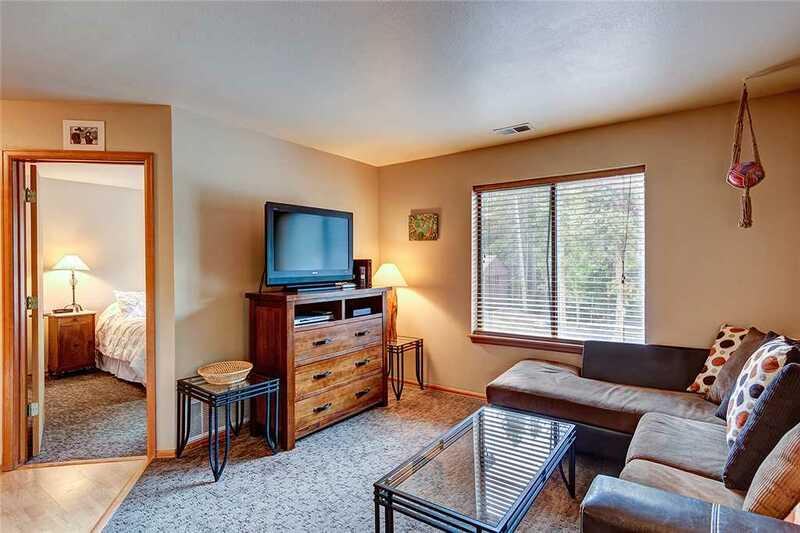 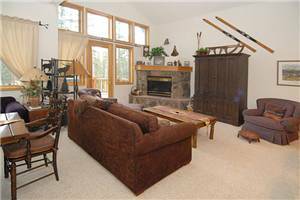 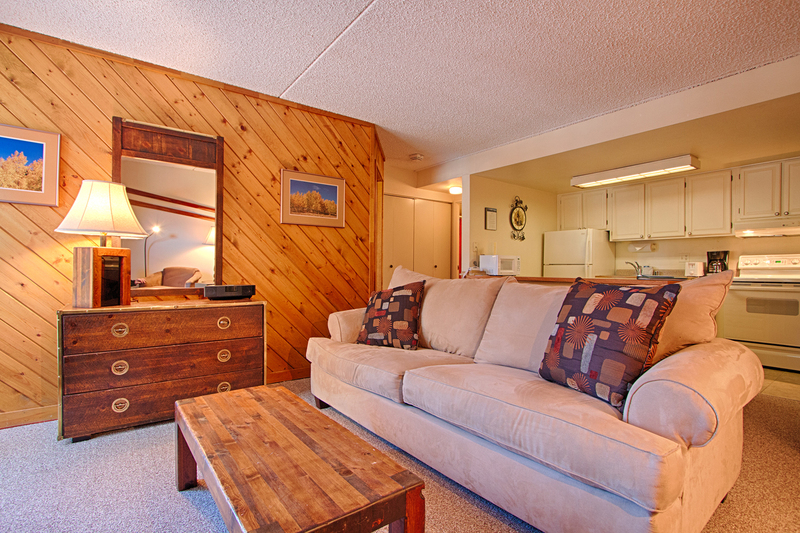 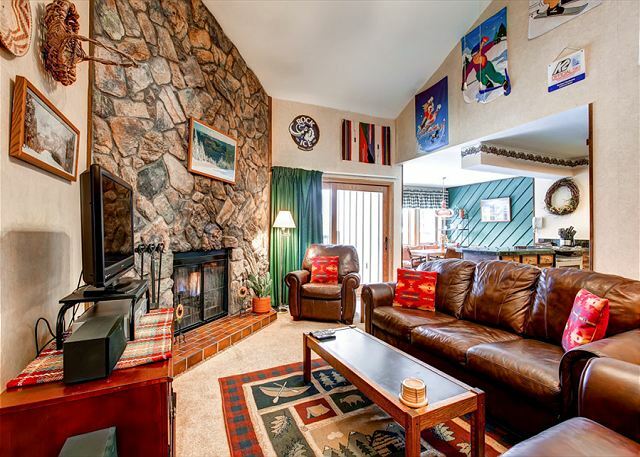 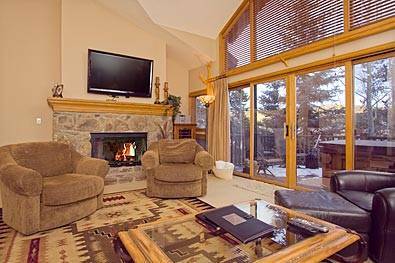 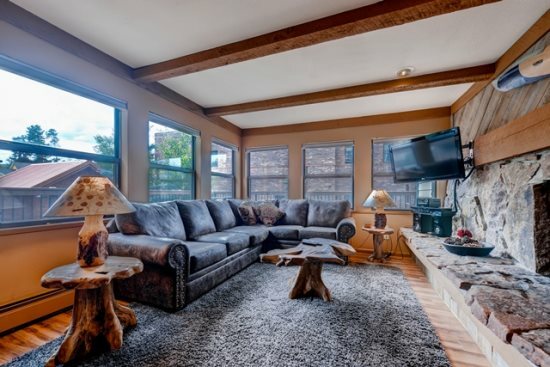 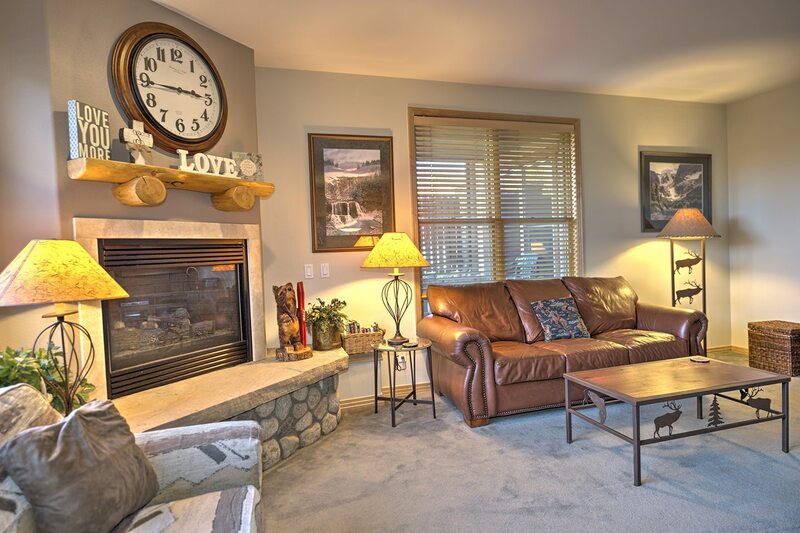 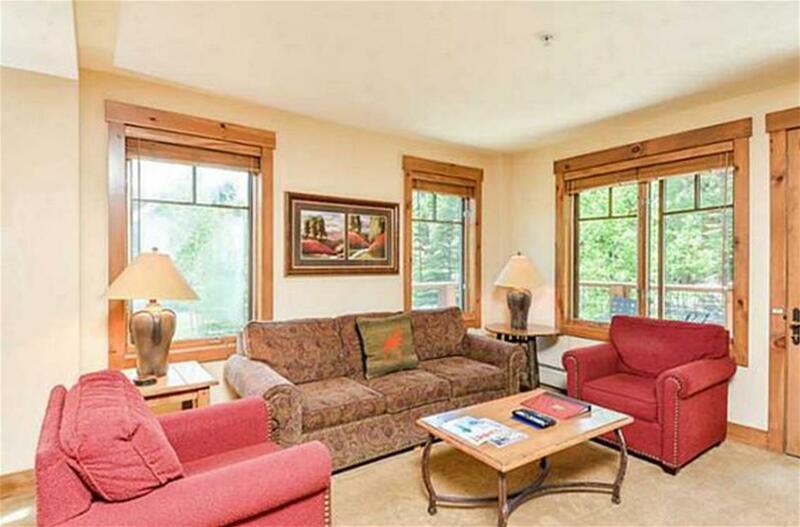 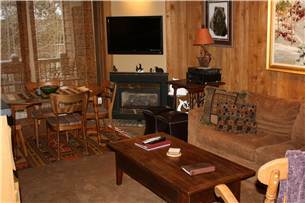 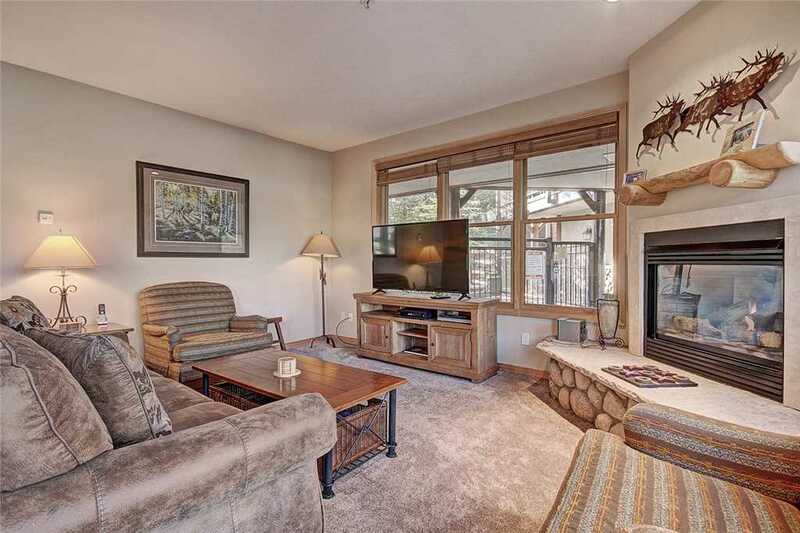 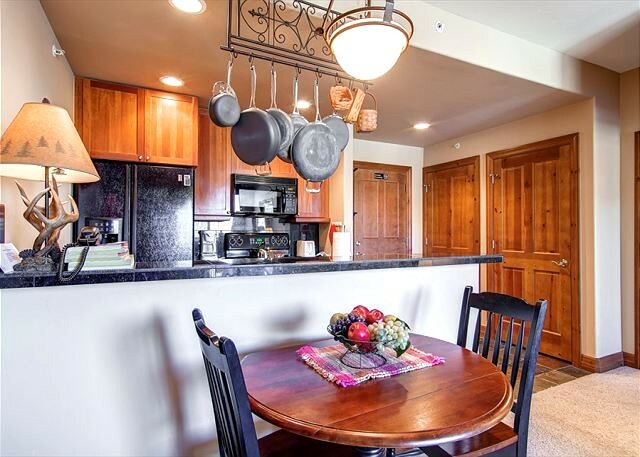 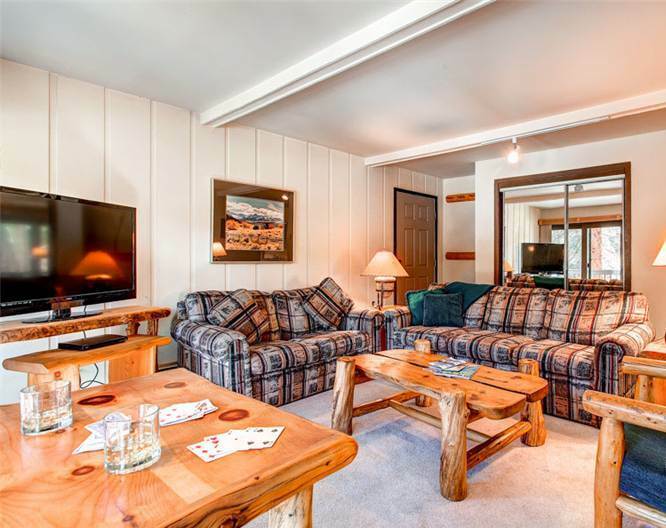 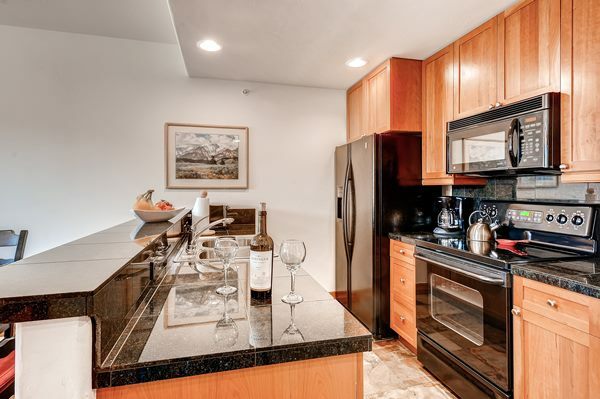 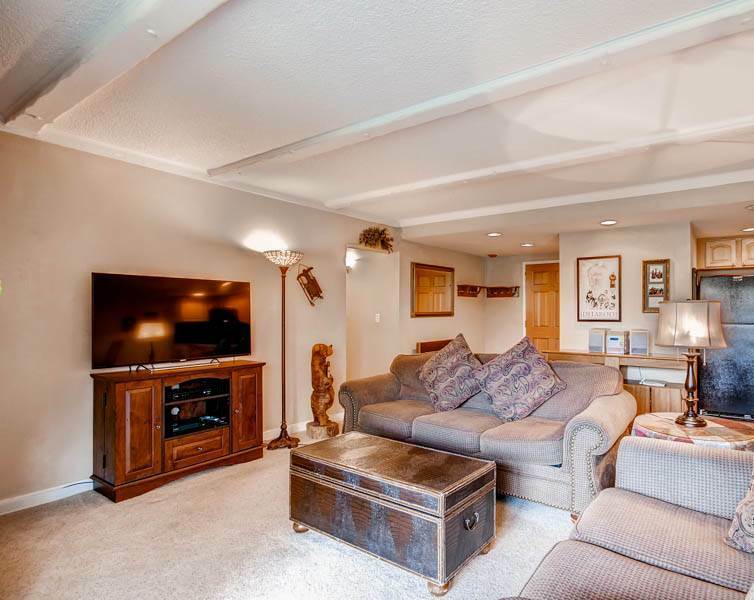 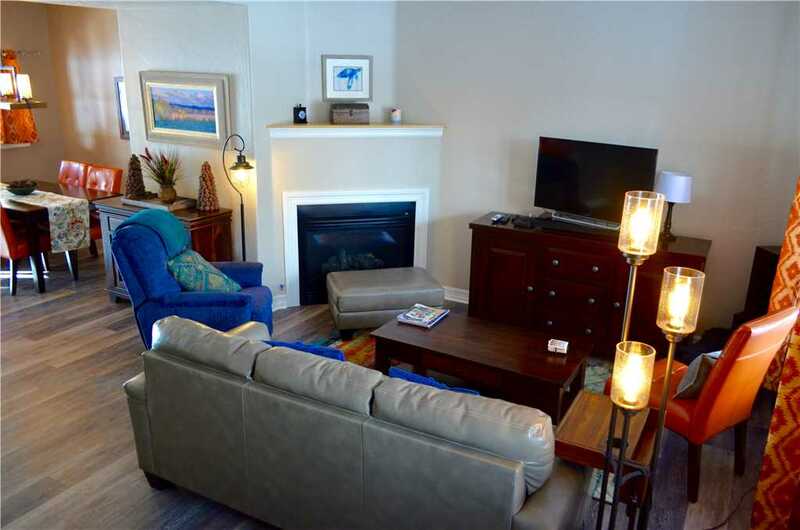 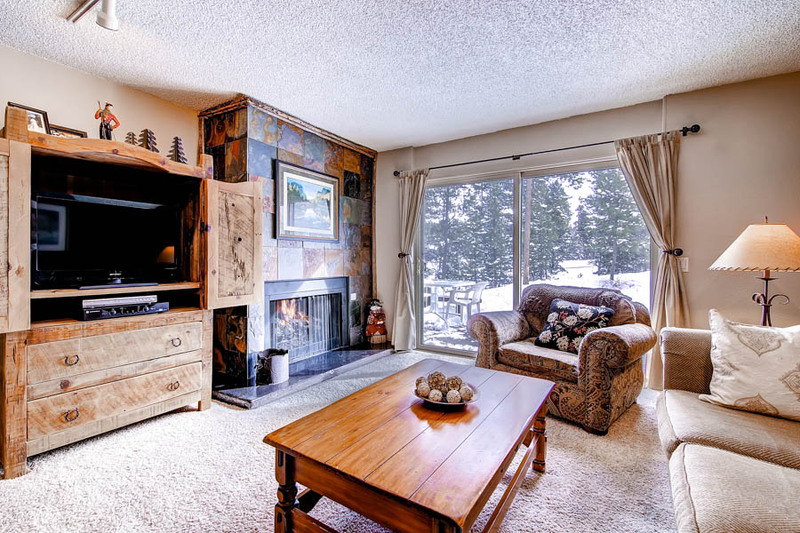 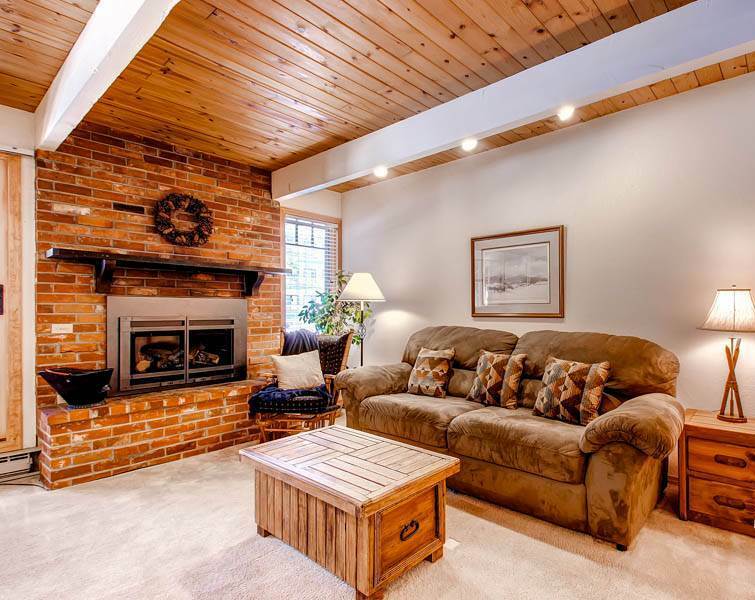 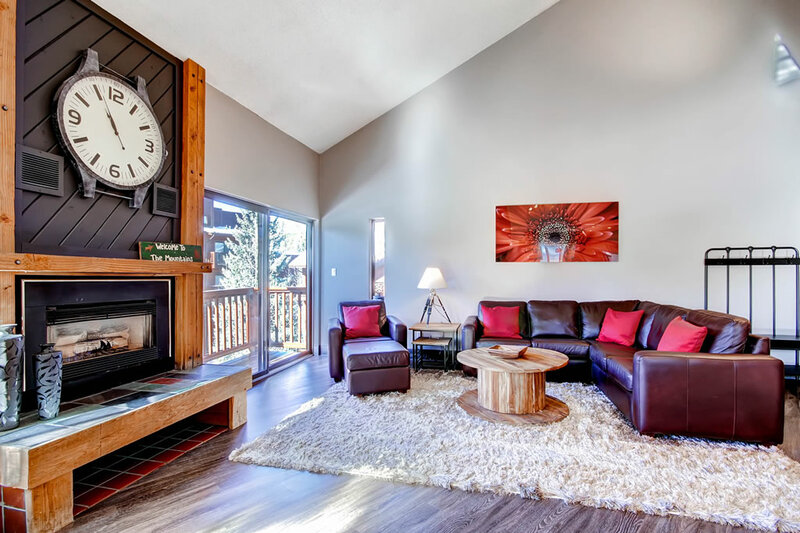 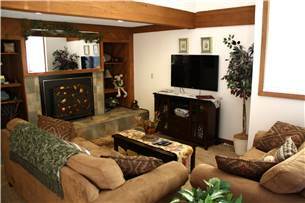 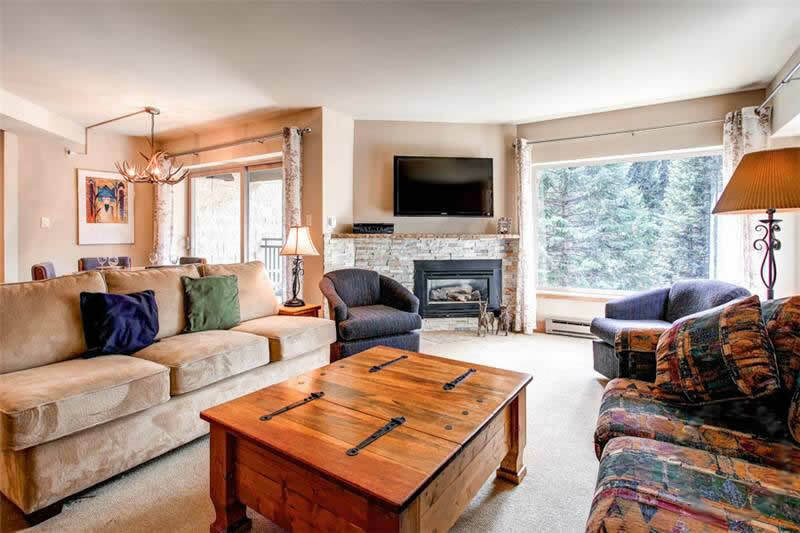 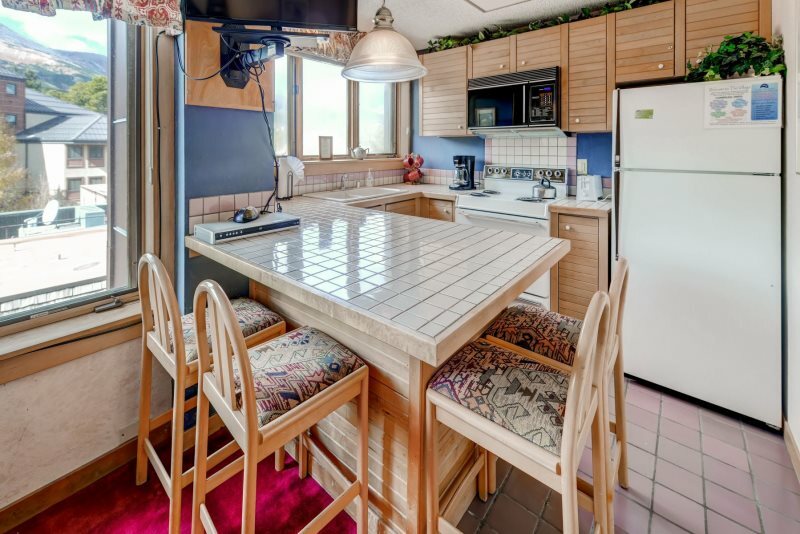 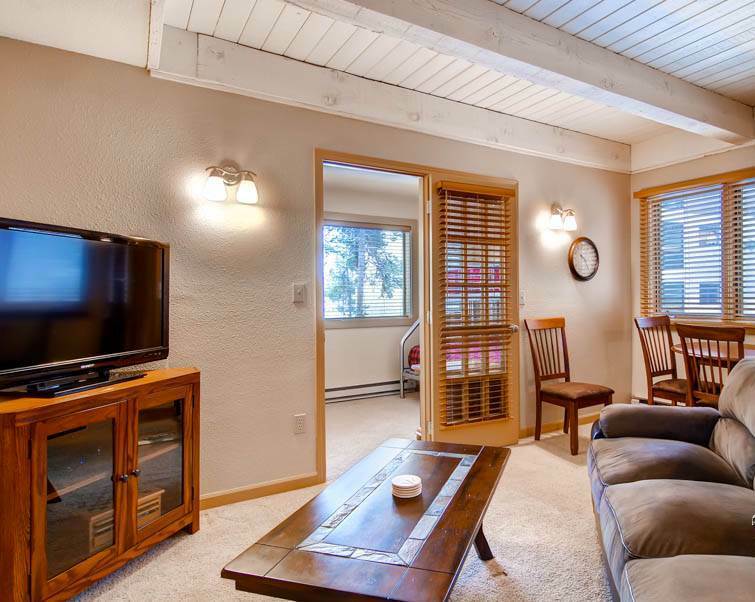 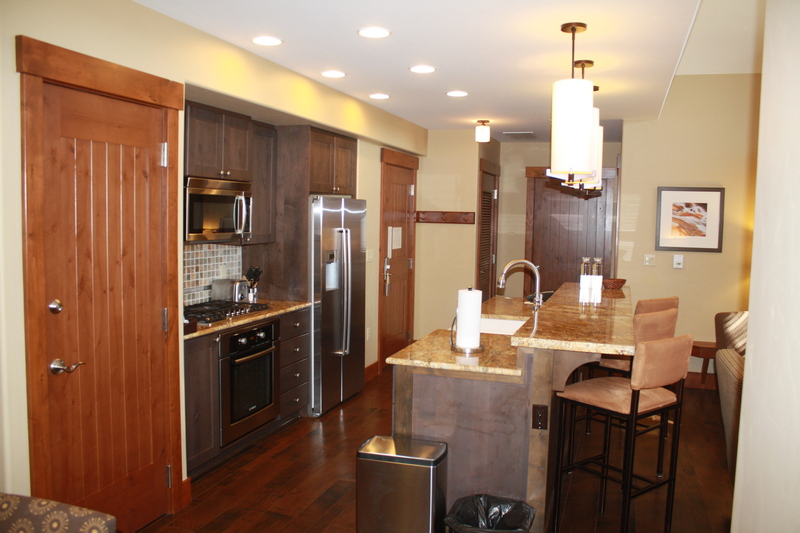 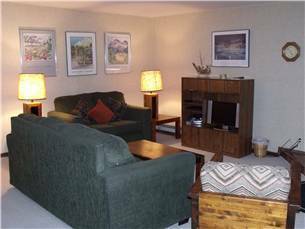 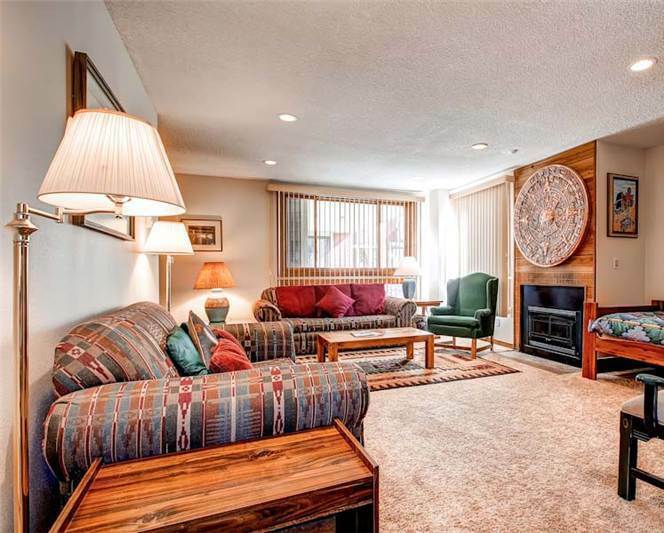 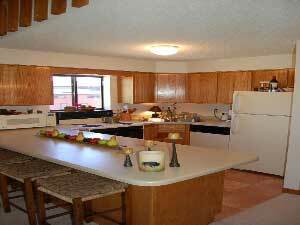 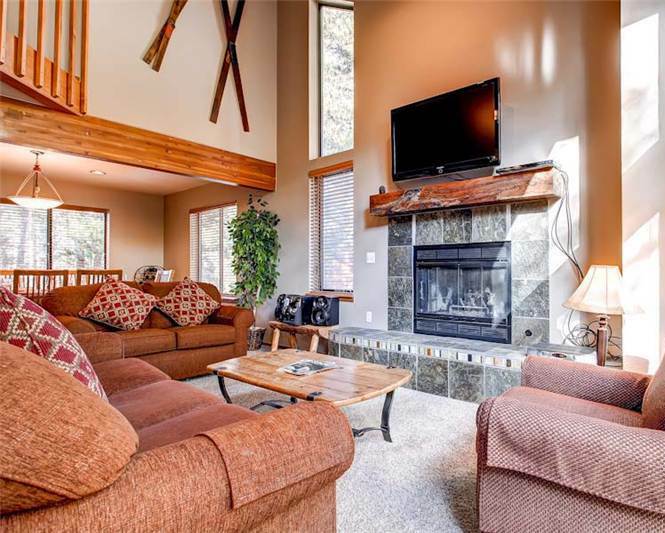 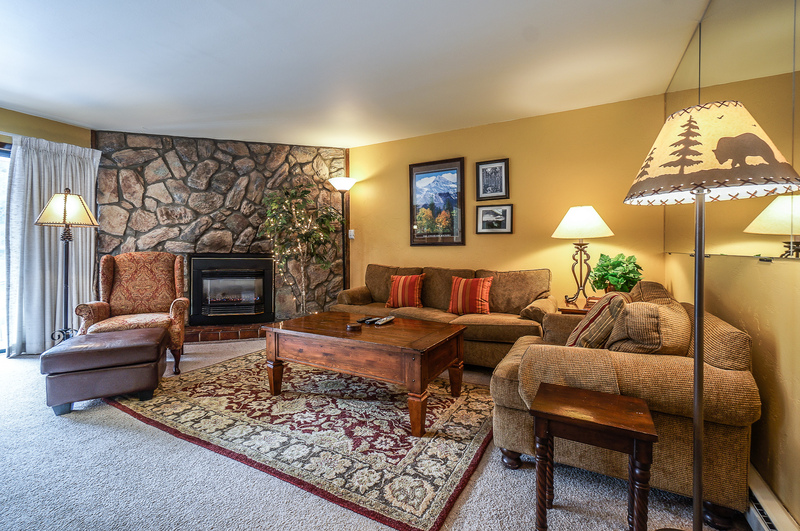 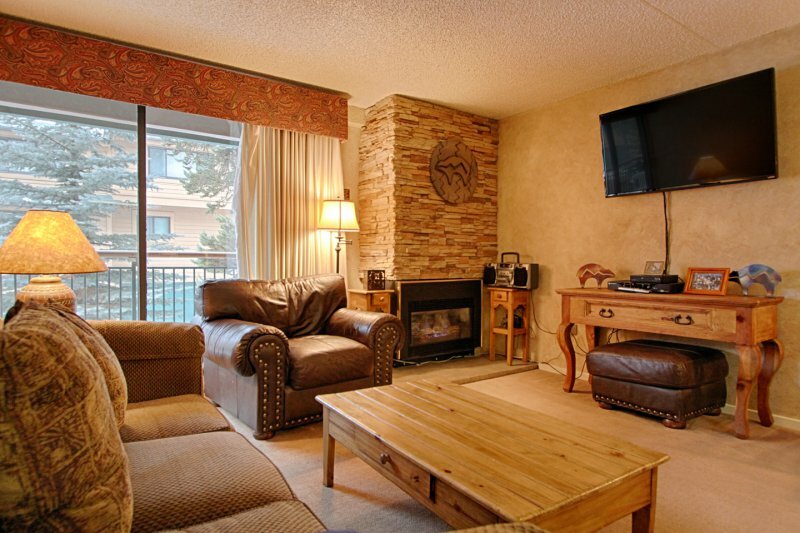 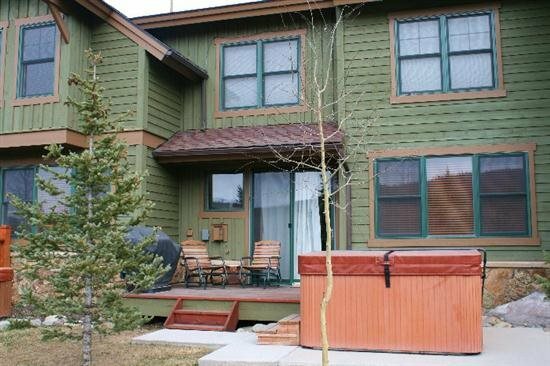 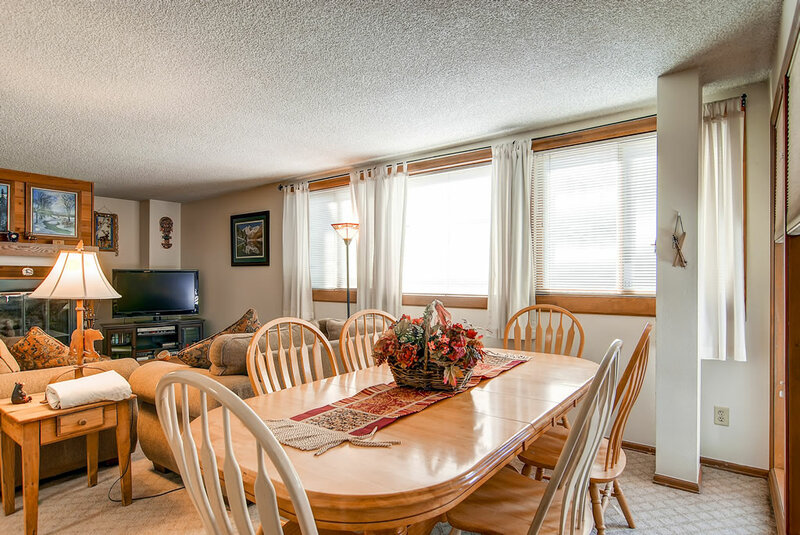 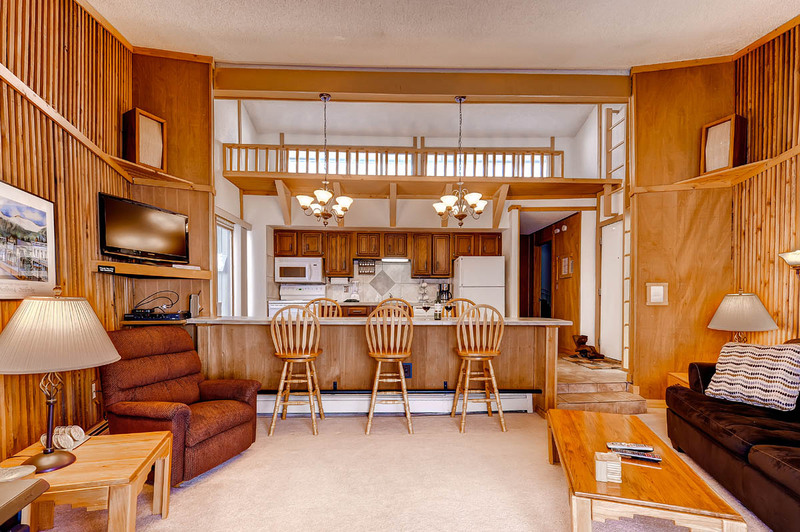 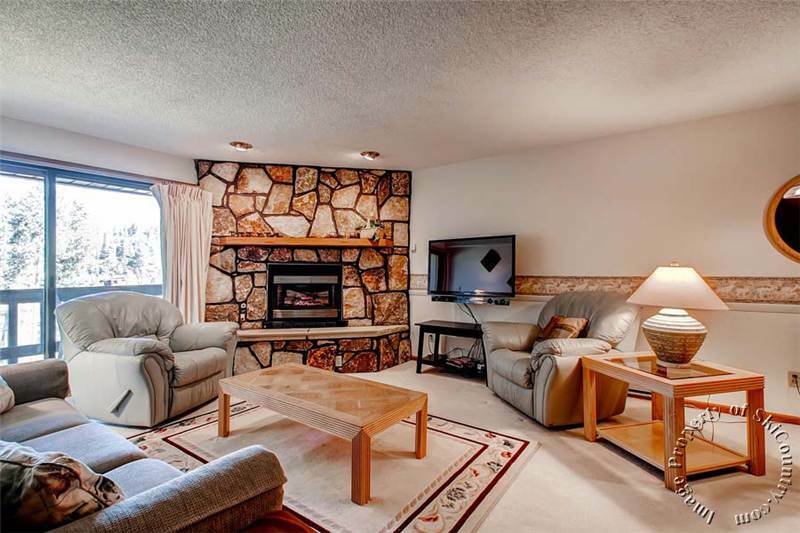 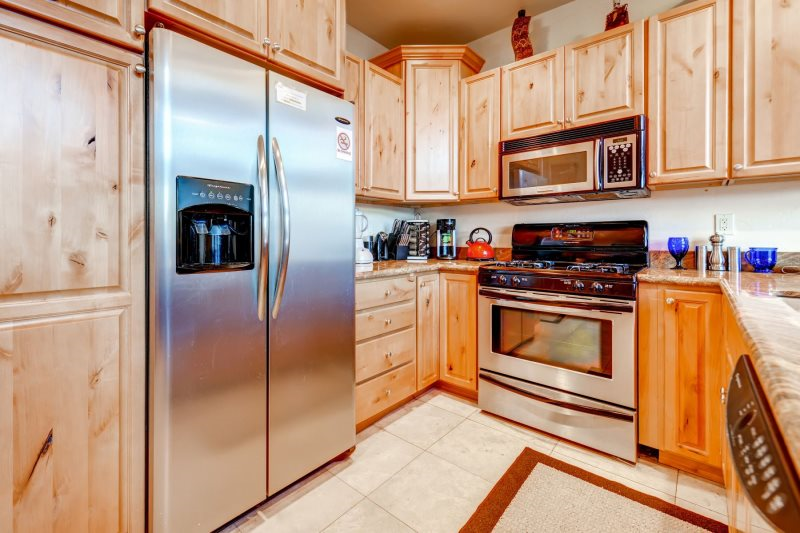 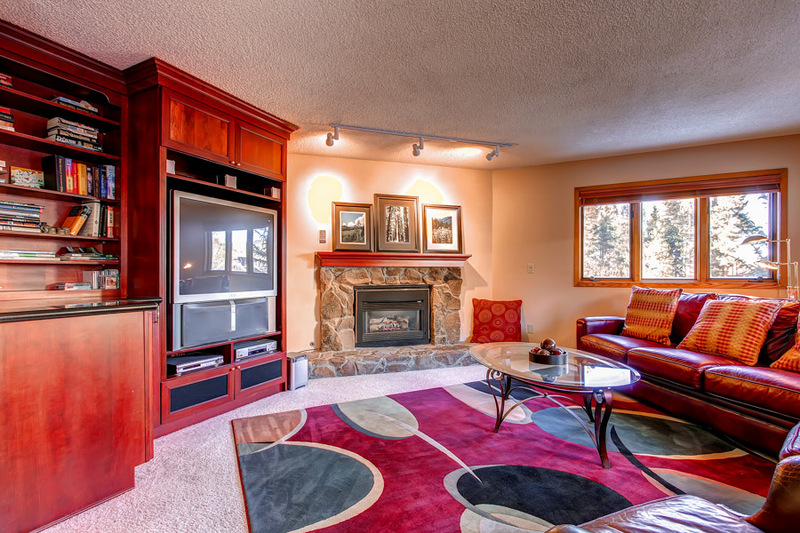 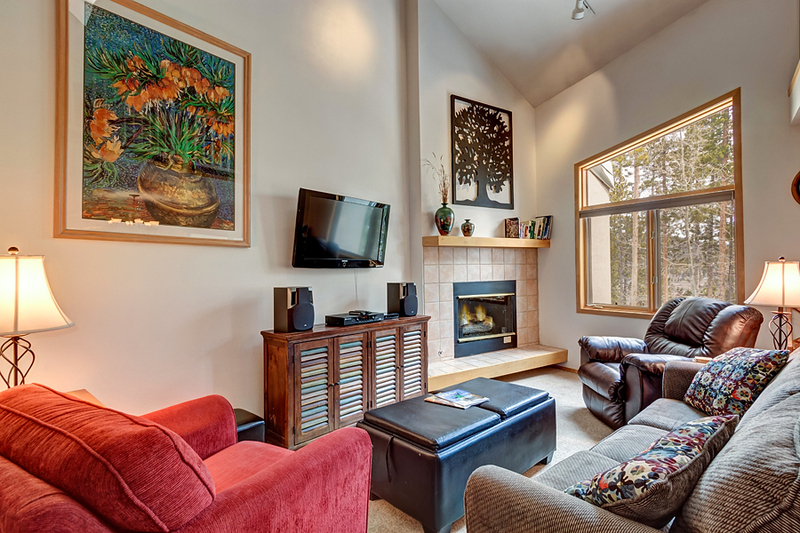 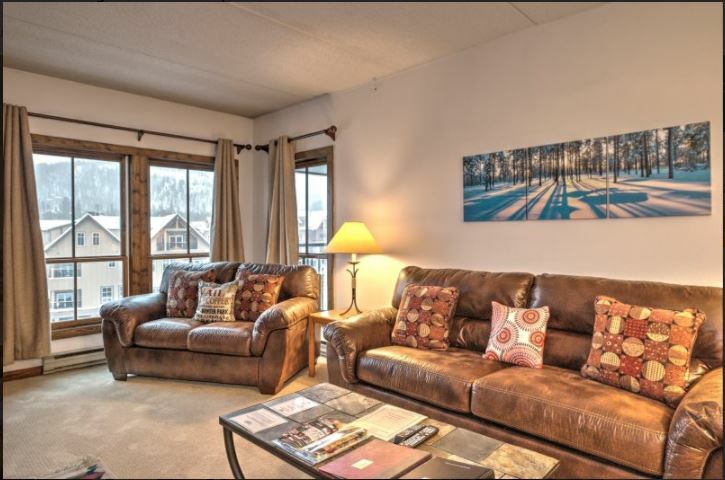 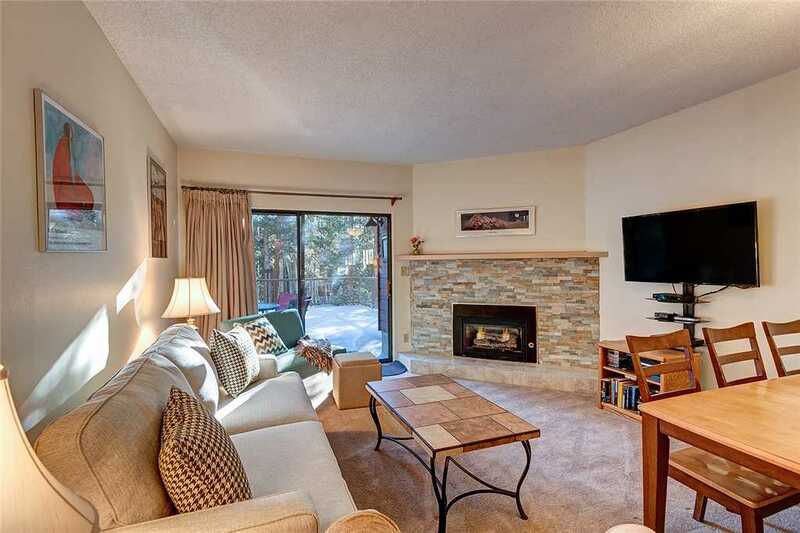 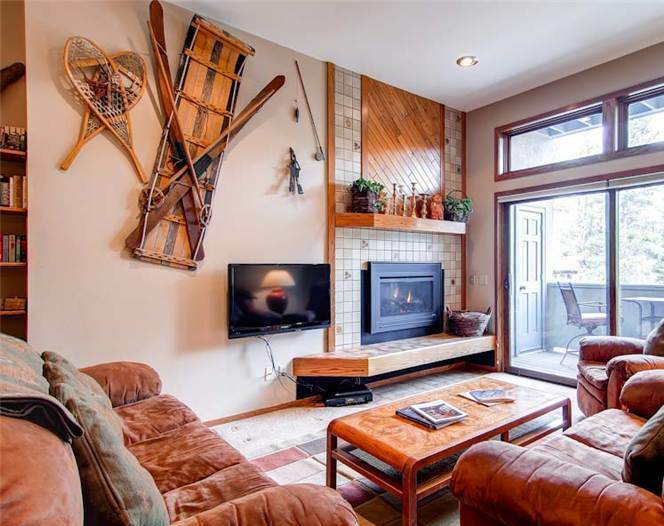 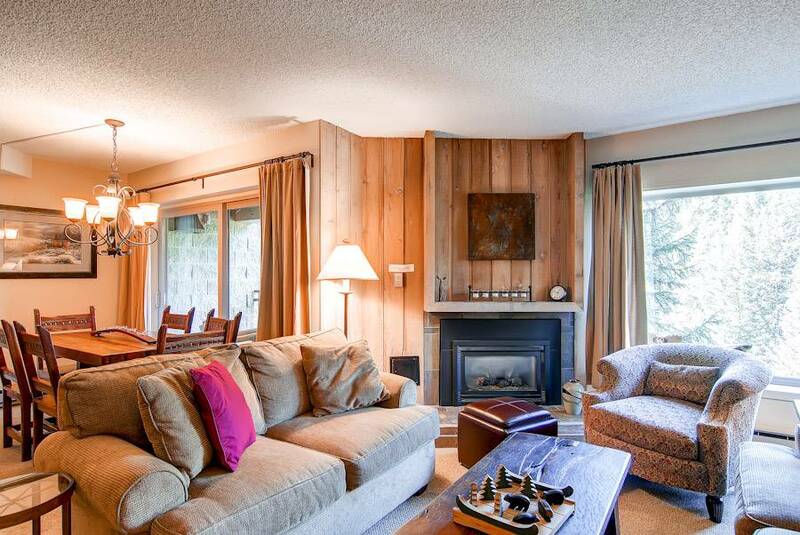 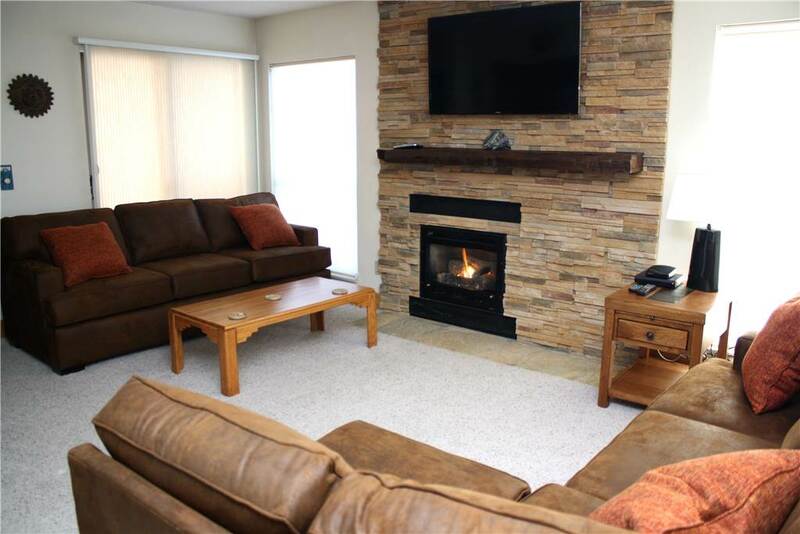 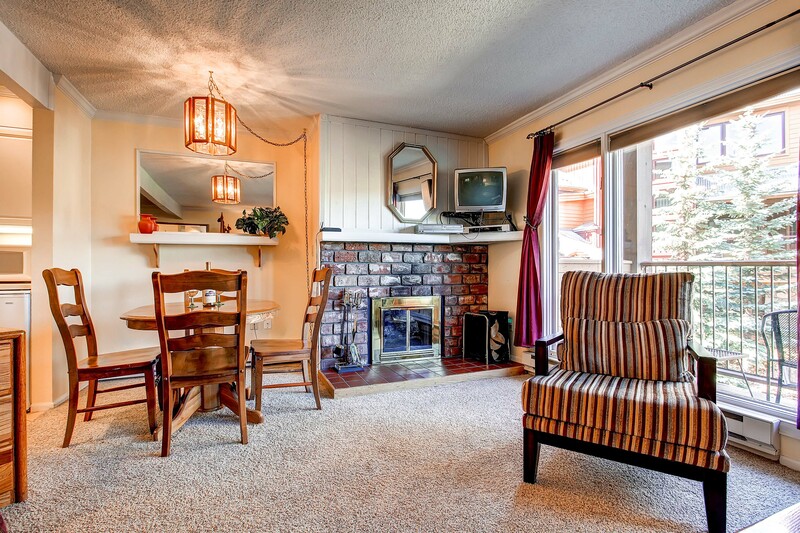 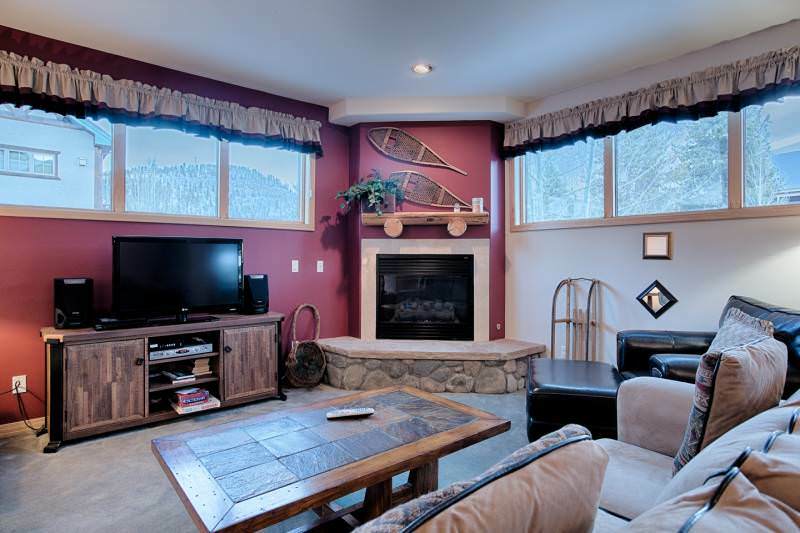 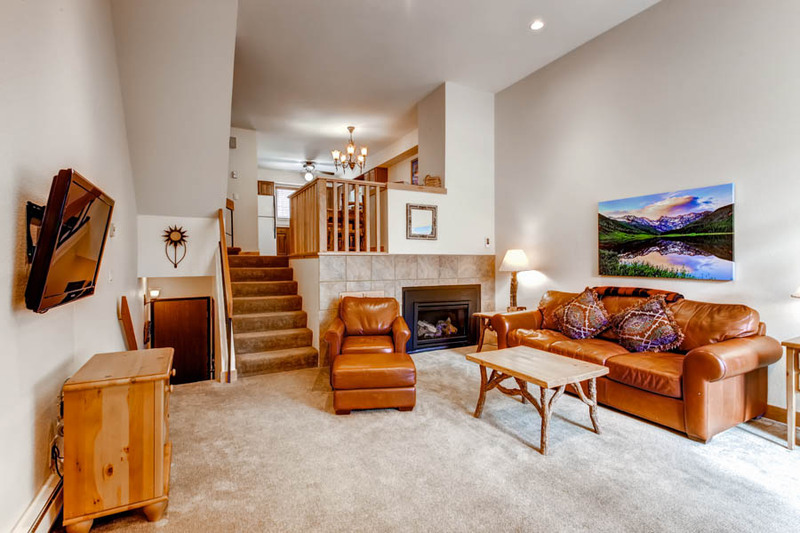 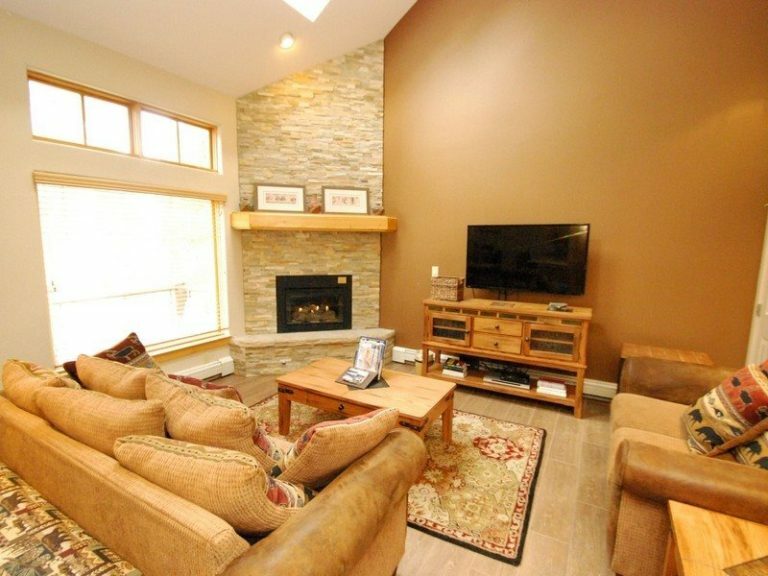 This condo features a gas fireplace, private sauna, private balcony, private washer/dryer, WiFi, modern TV, covered parking, 2 onsite outdoor hot tubs and access to the indoor/outdoor heated pool at hot tubs at the nearby Upper Village clubhouse. 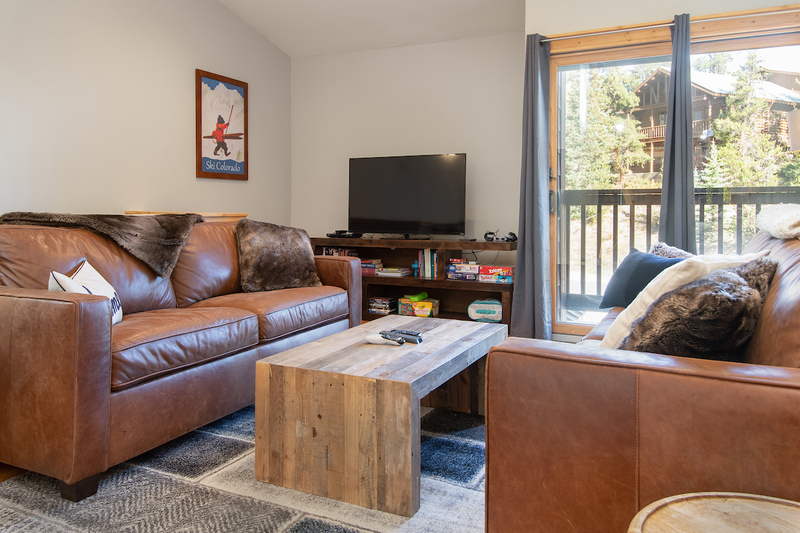 During ski season you are a short free shuttle ride to either the Snowflake lift or the Breck Connect gondola. 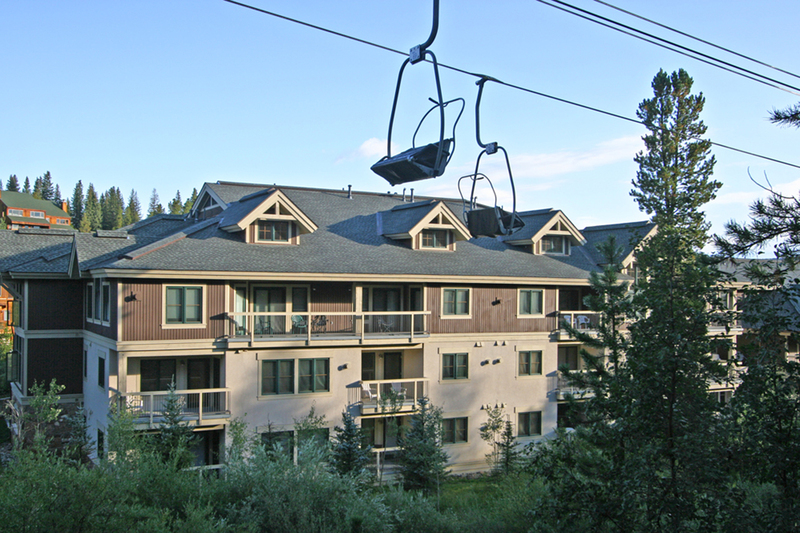 Alternatively the Snowflake lift is about an 800 foot walk. 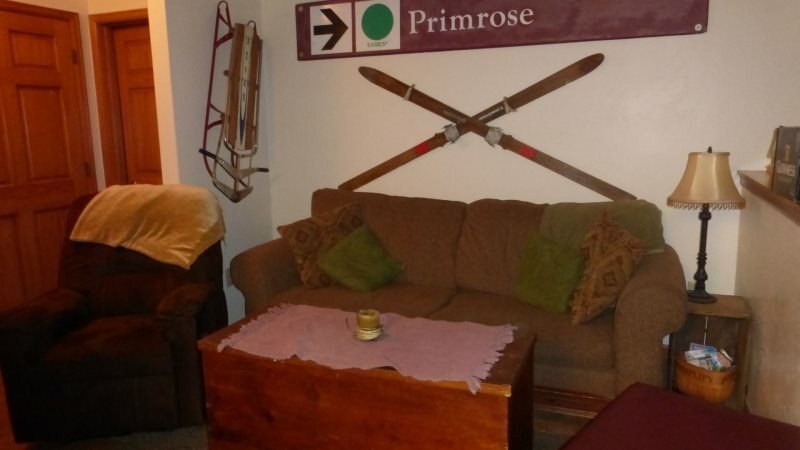 At the end of the day you can ski-in to Park Place on the Four O’clock Trail, and have a short walk back to Park Place. 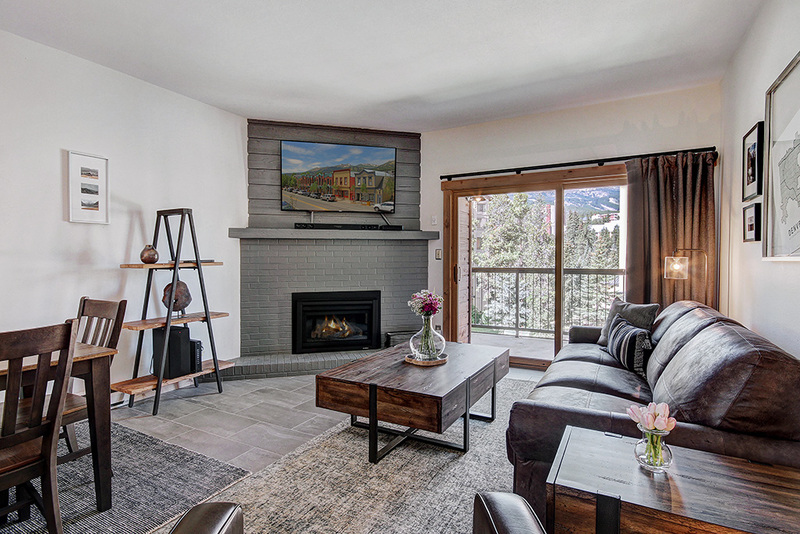 You’ll also have the option of jumping on the Summit Stage (Summit County’s free bus service) at the Breckenridge Transit center for trips to Copper Mountain, Keystone or Arapahoe Basin. 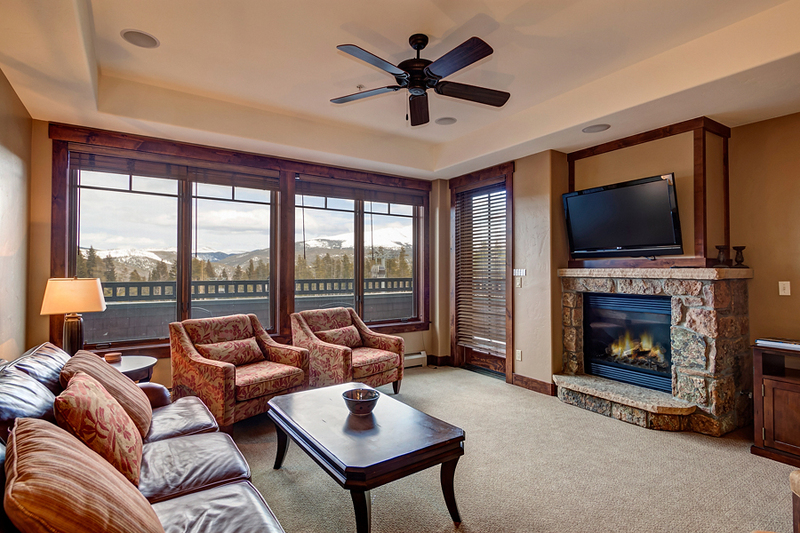 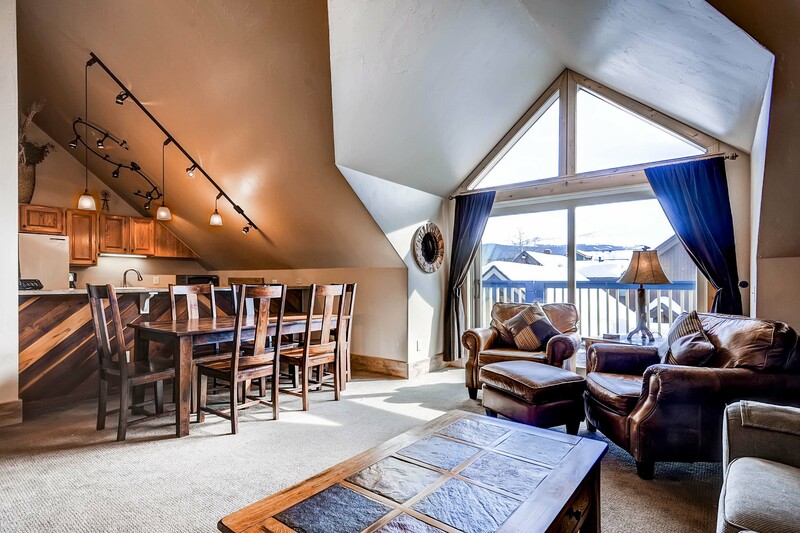 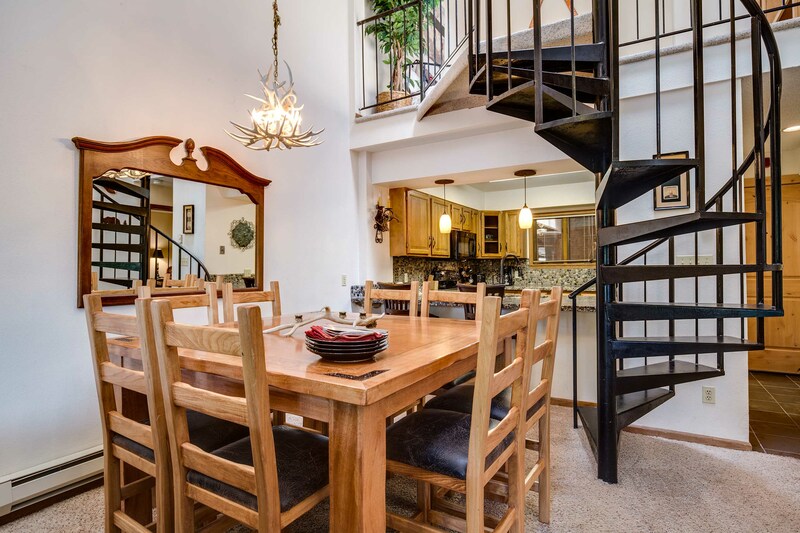 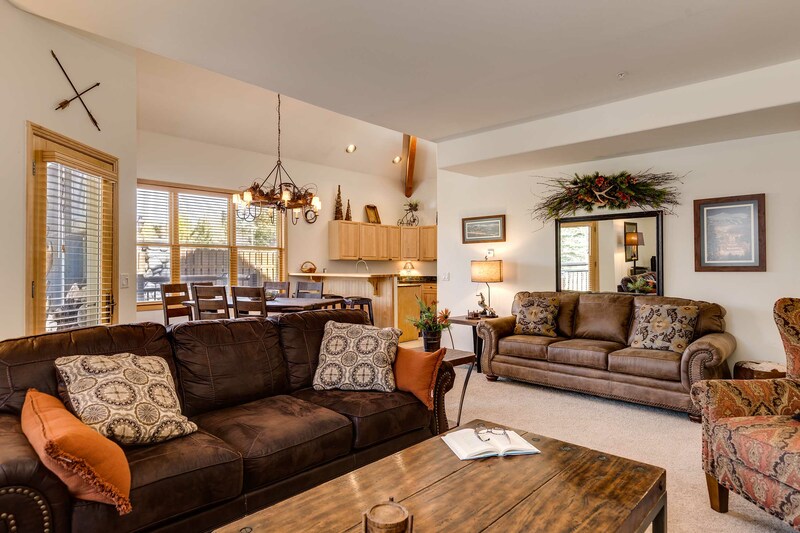 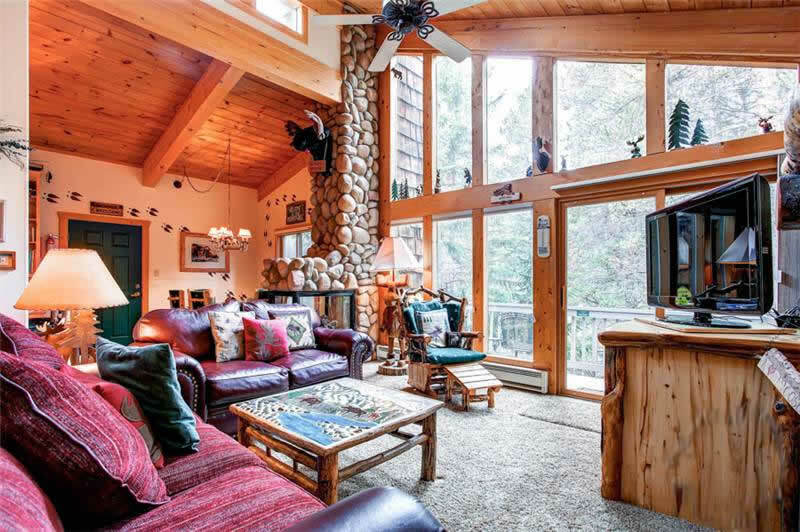 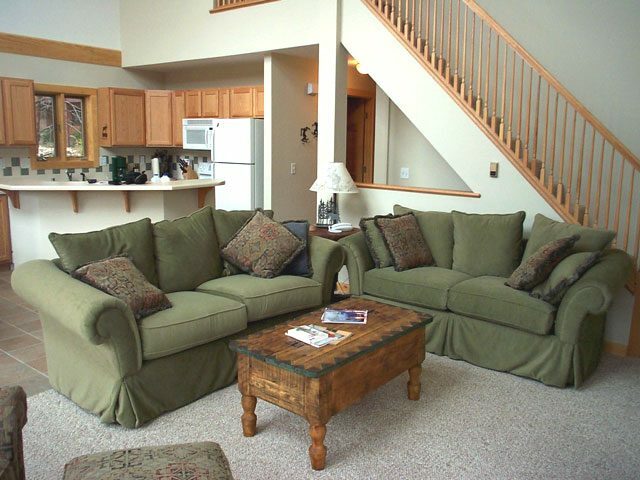 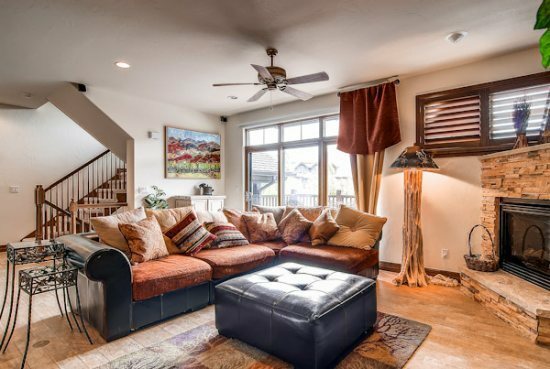 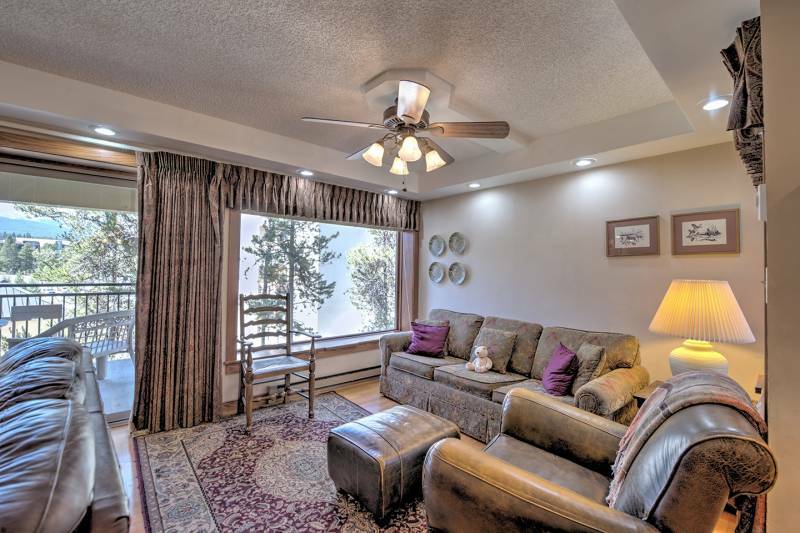 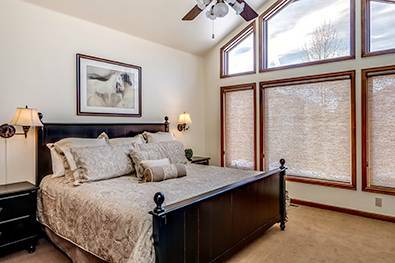 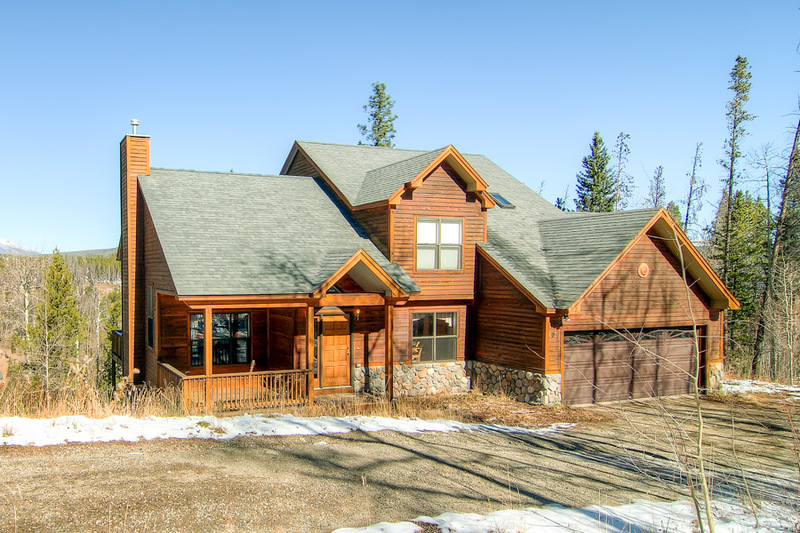 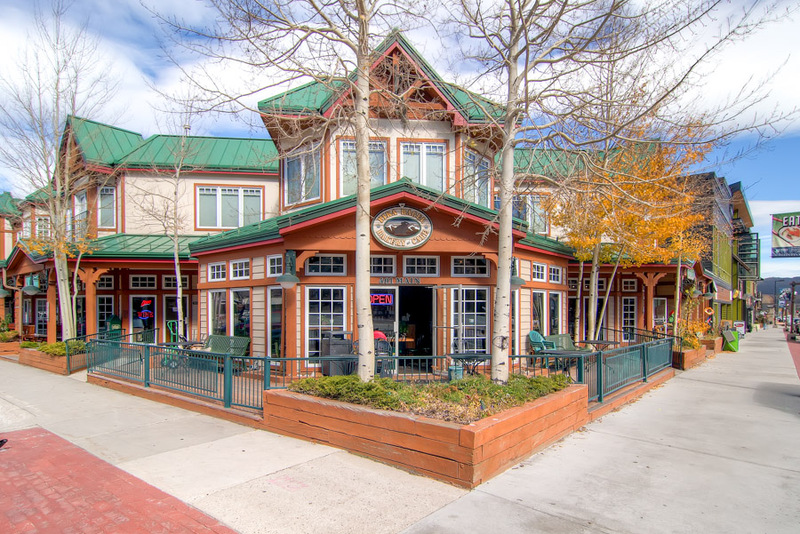 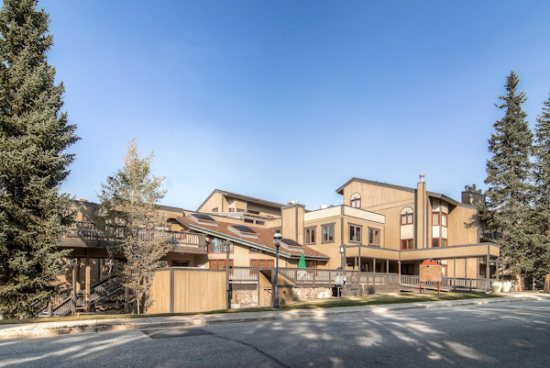 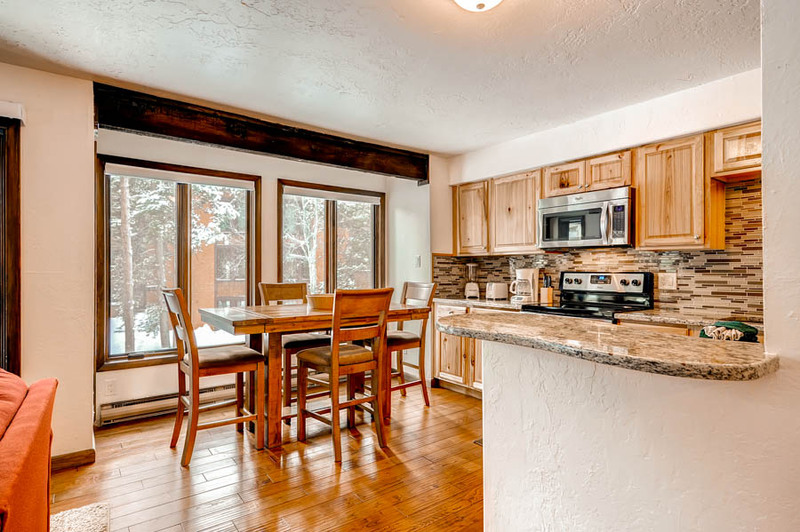 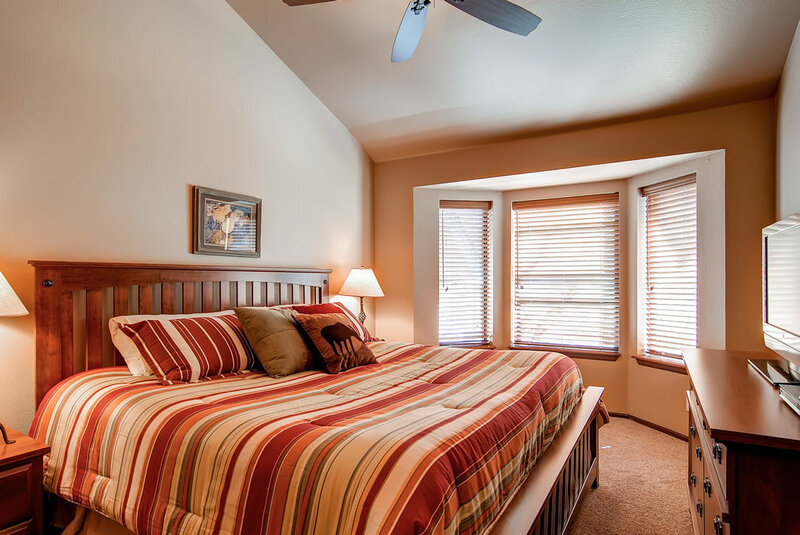 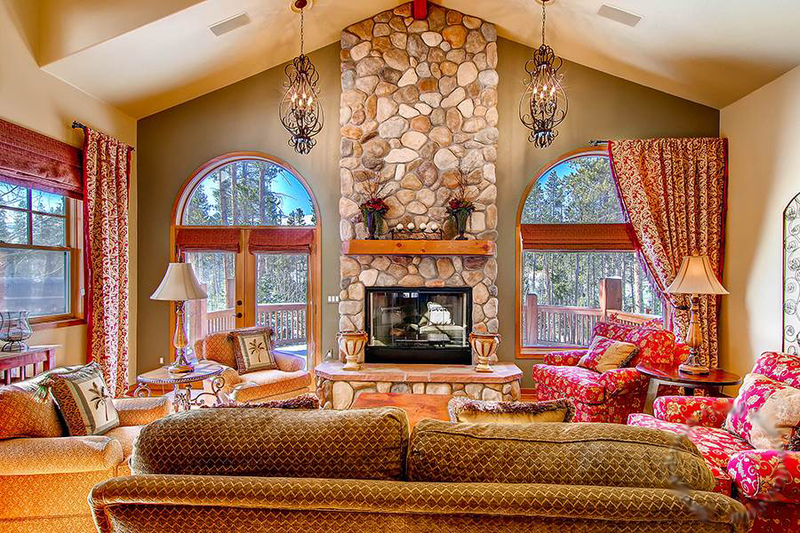 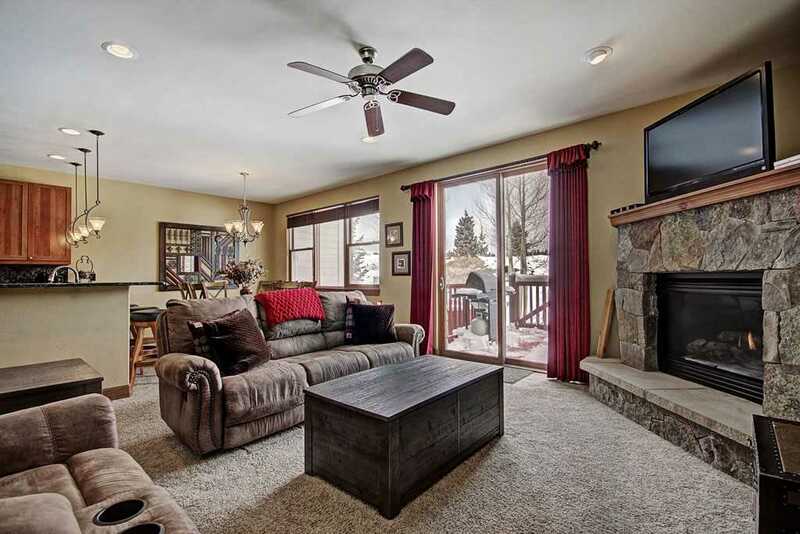 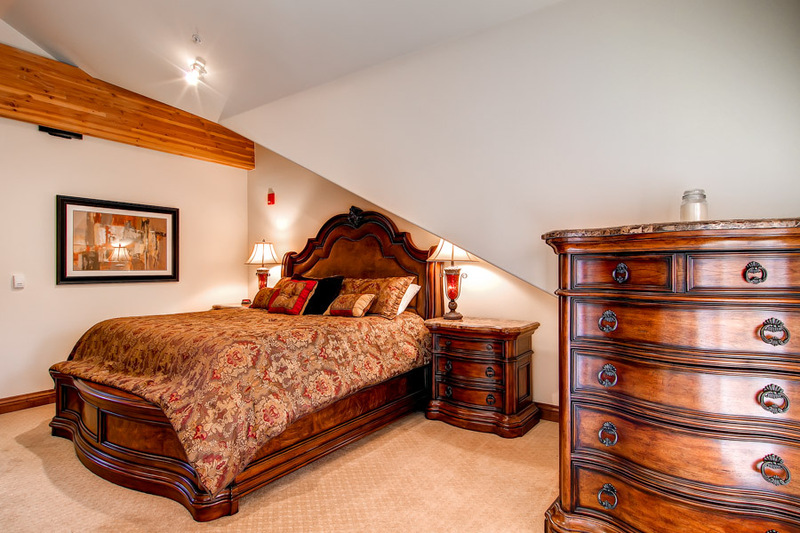 During all times of the year you’ll find yourself a short walk from virtually everything You’ll be right across the street from Breckenridge’s premier entertainment venue: Riverwalk Performing Arts Center. 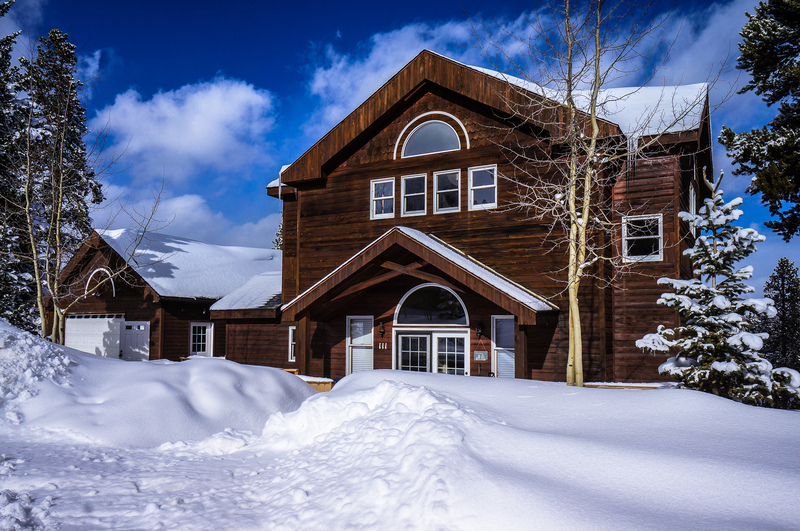 The center is home to virtually all of Breckenridge’s city sponsored “fixed location” events such as the International Snow Sculpture competition, concerts, summer orchestra, art fairs, etc. 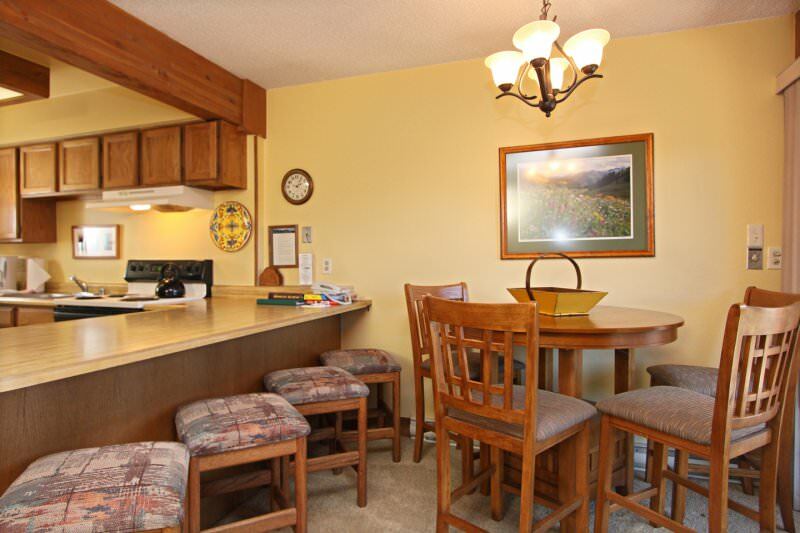 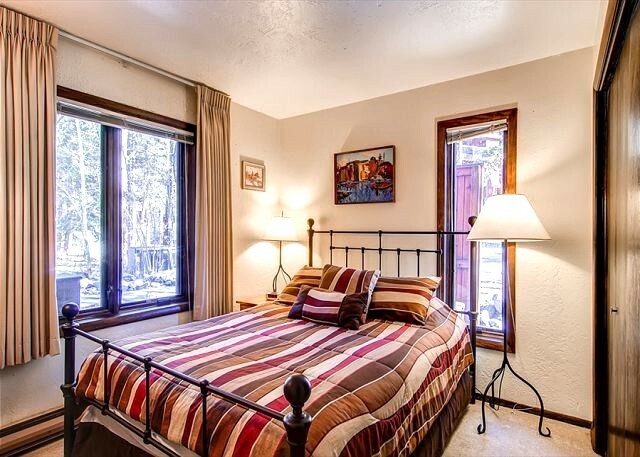 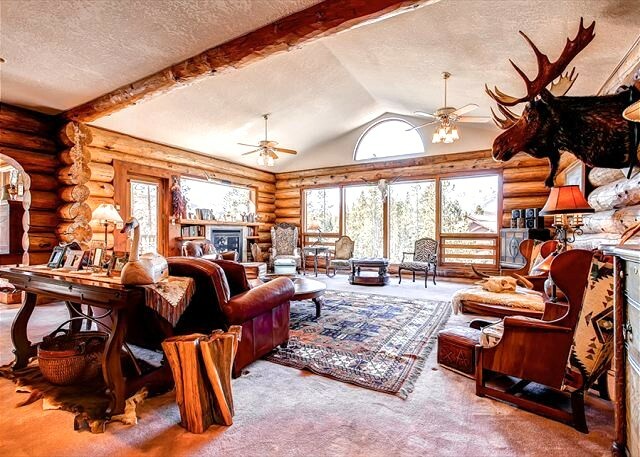 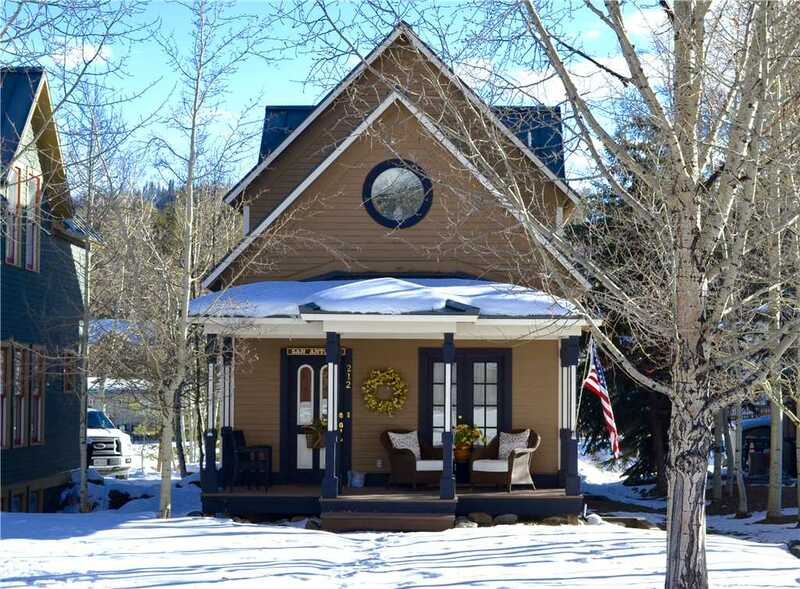 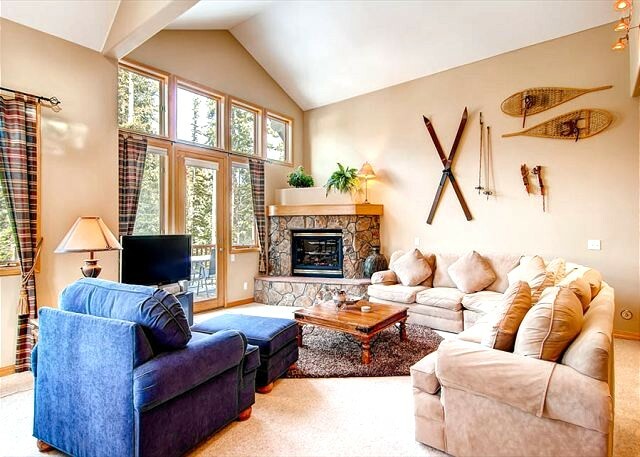 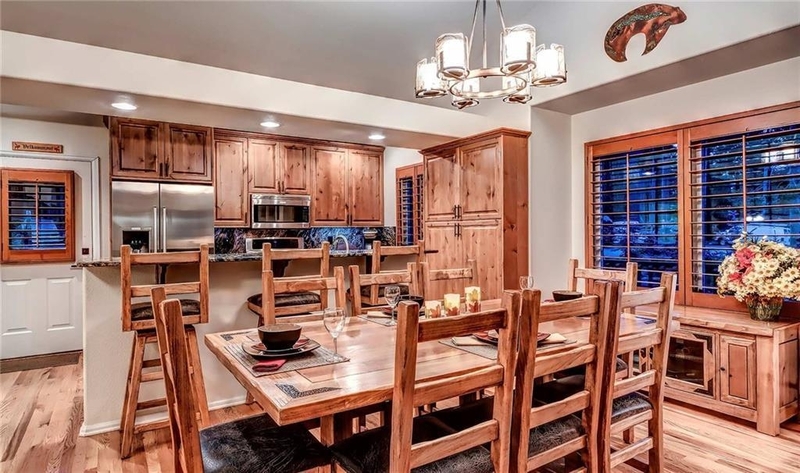 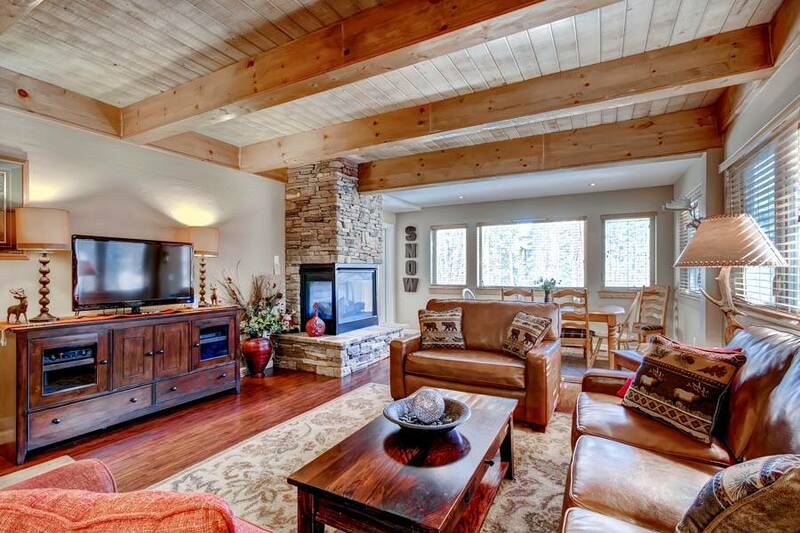 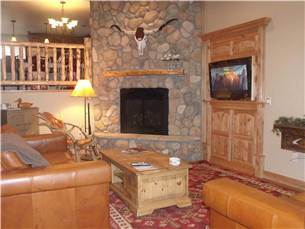 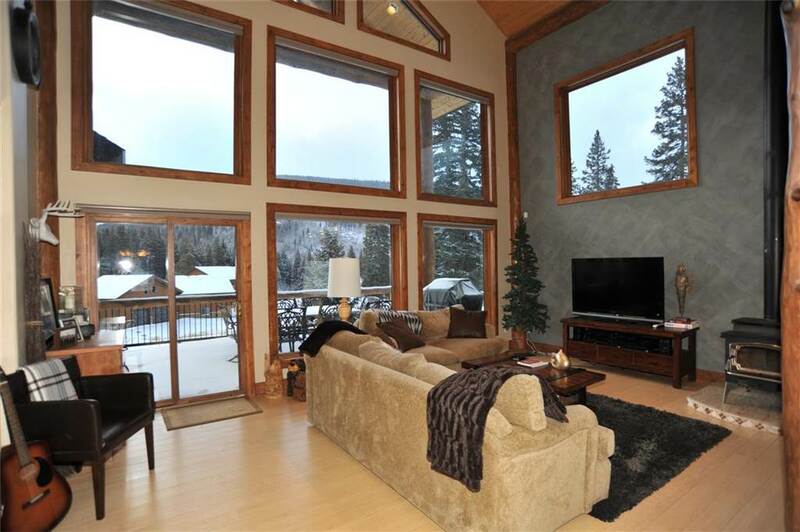 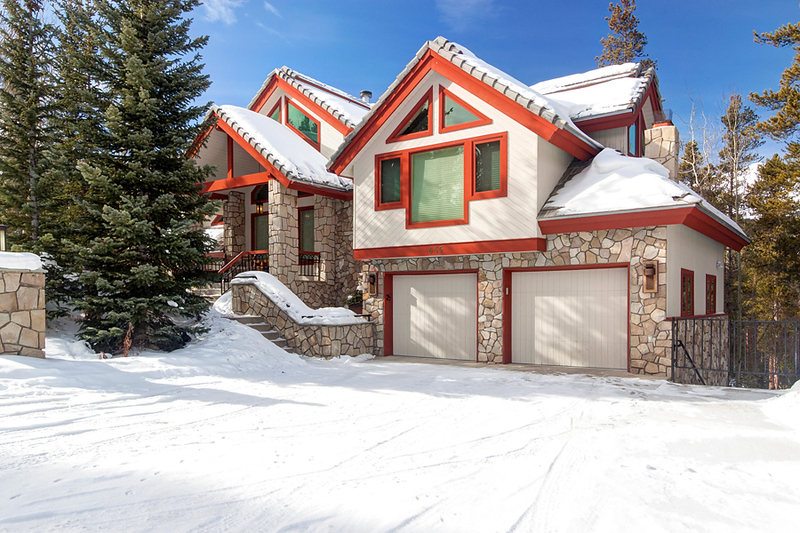 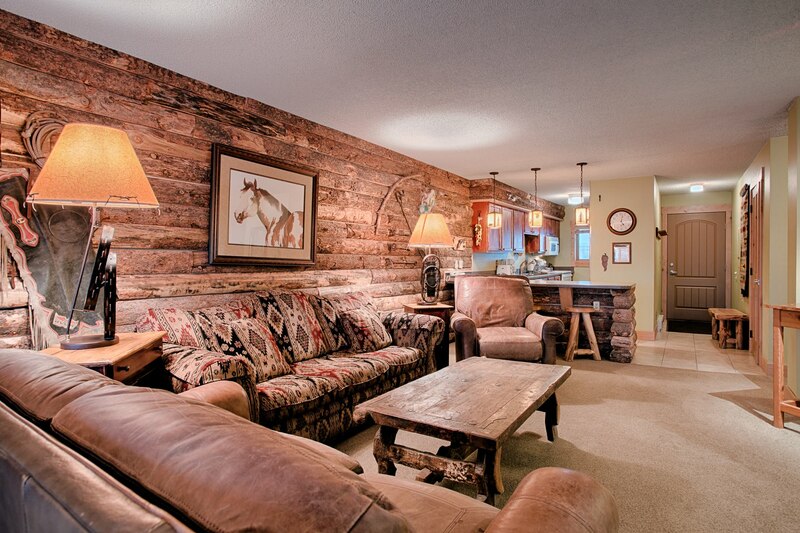 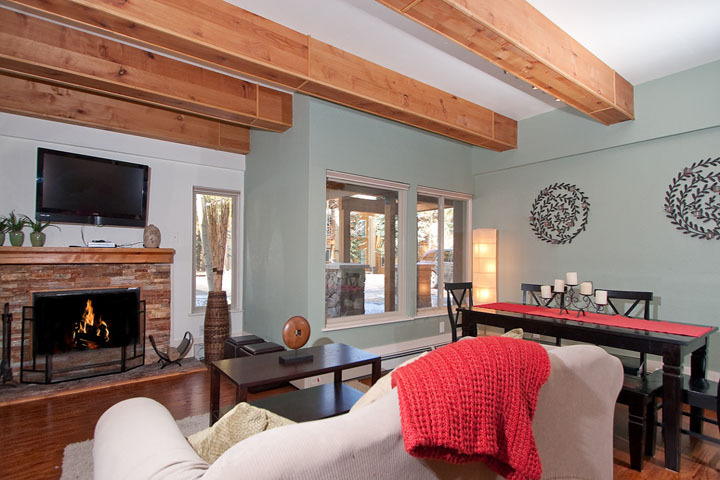 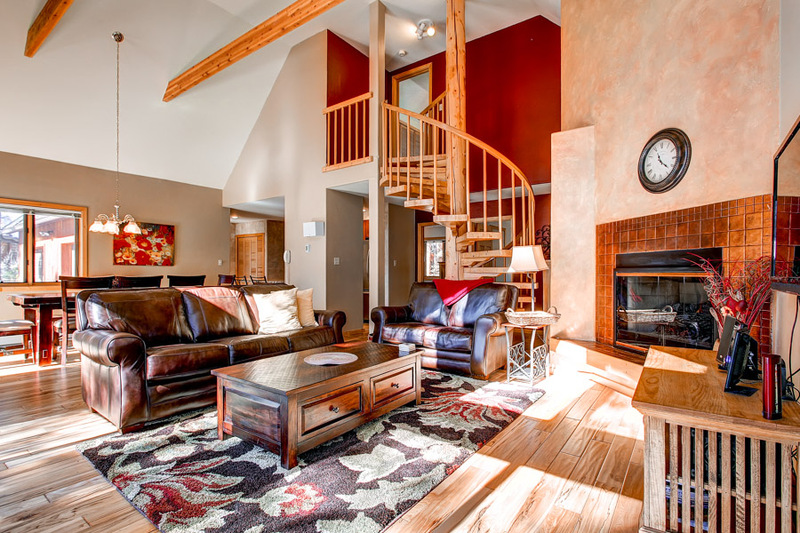 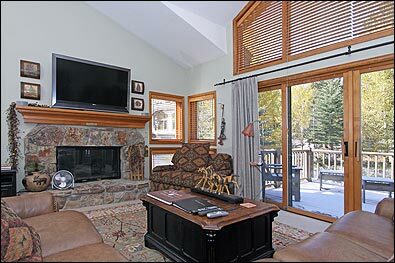 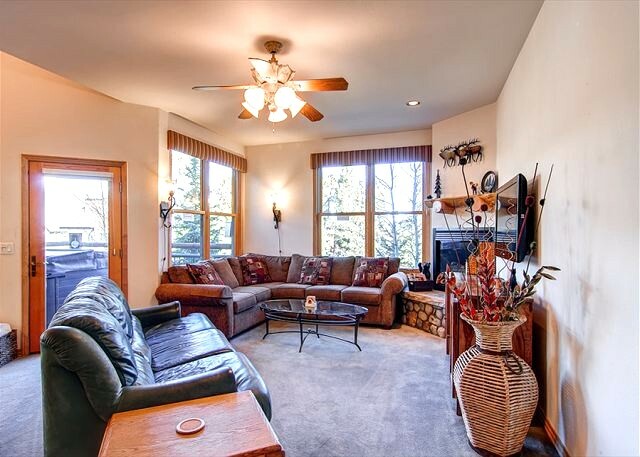 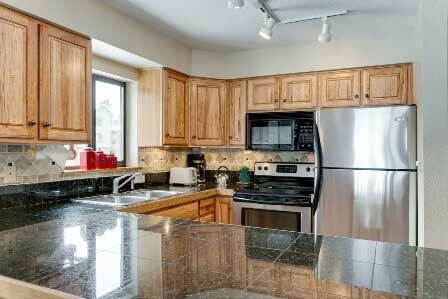 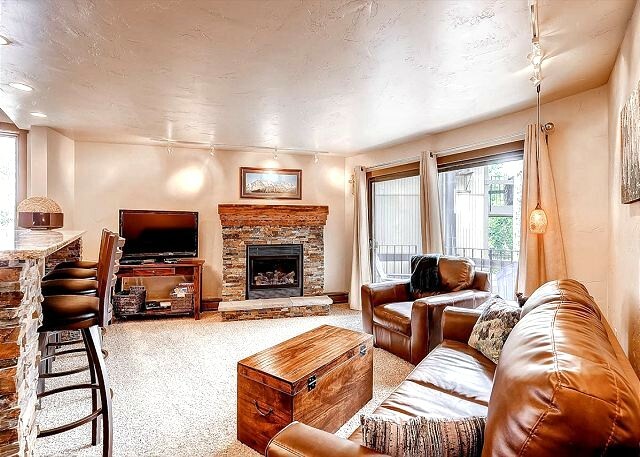 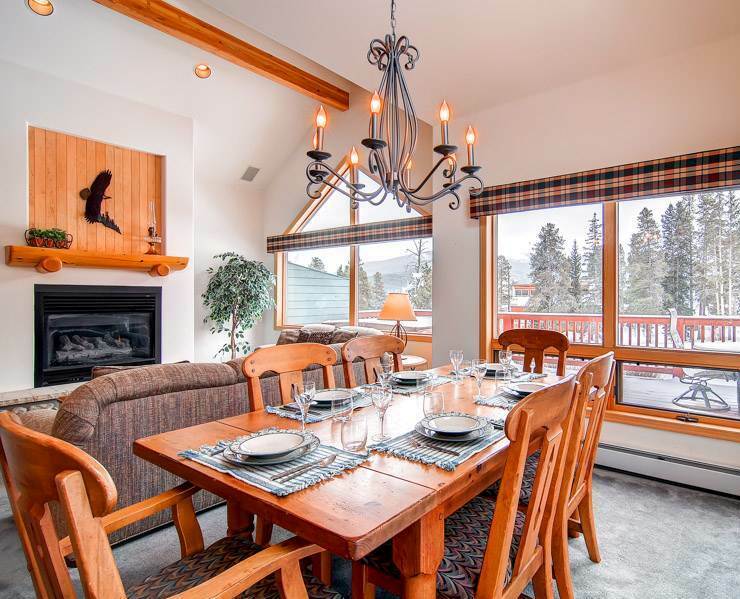 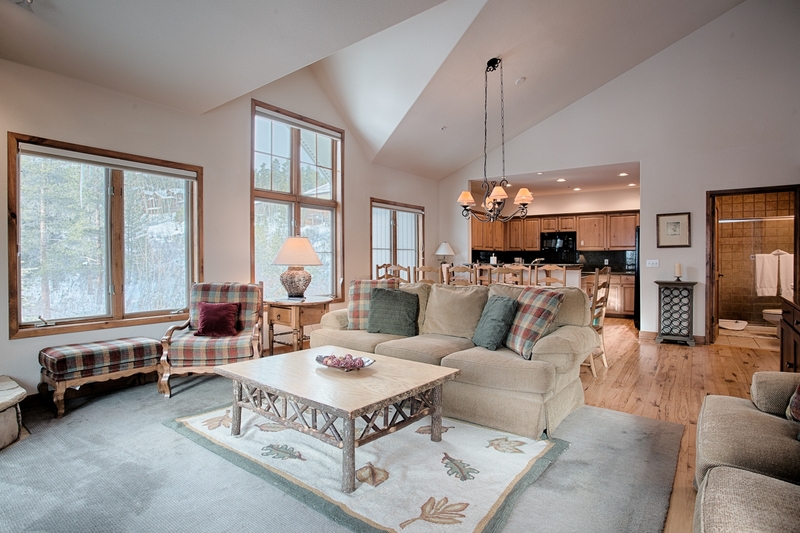 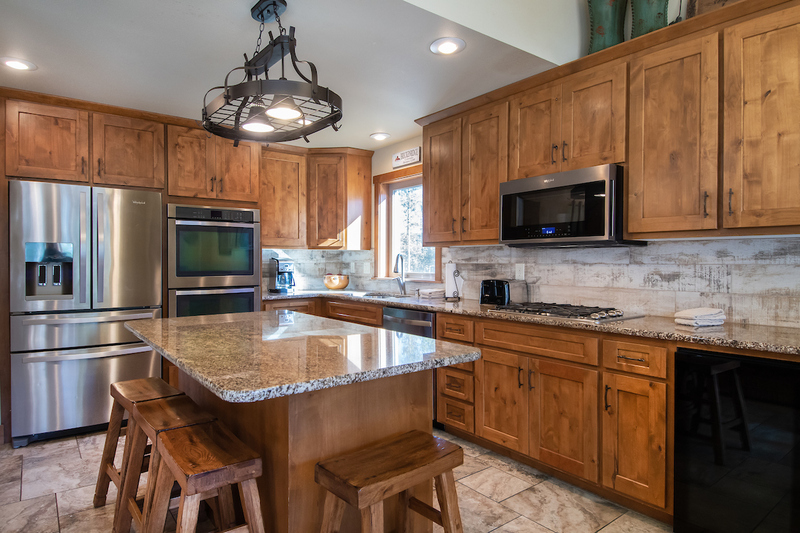 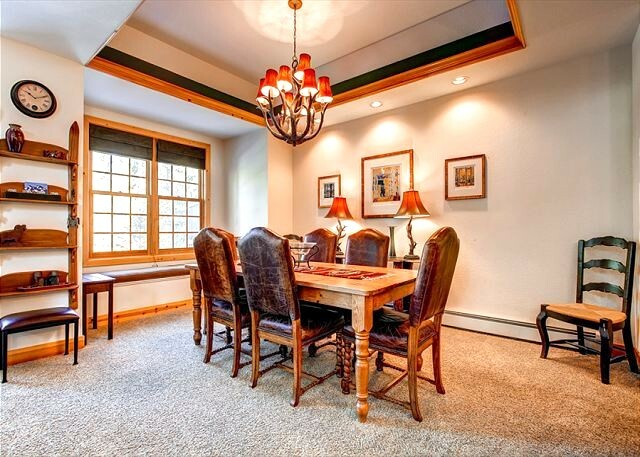 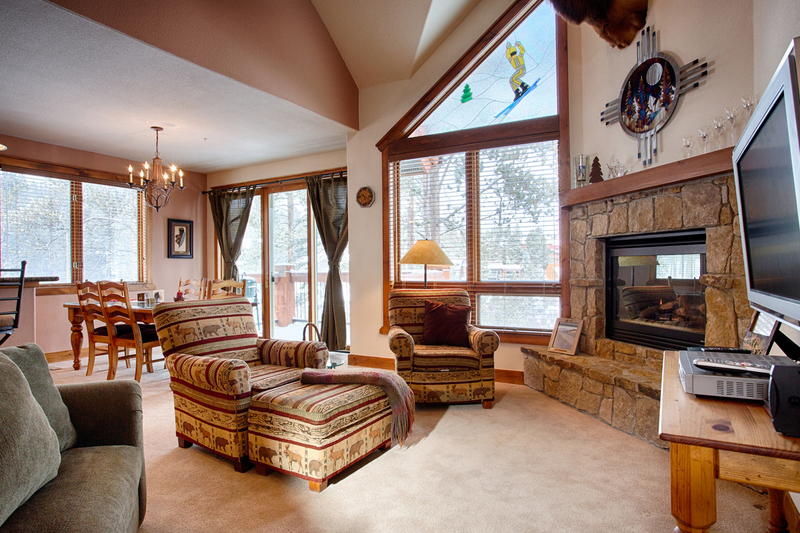 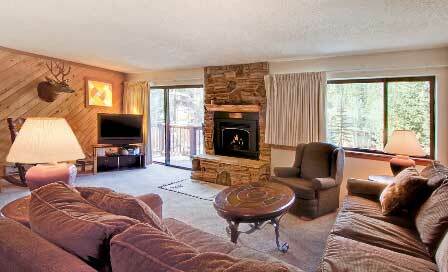 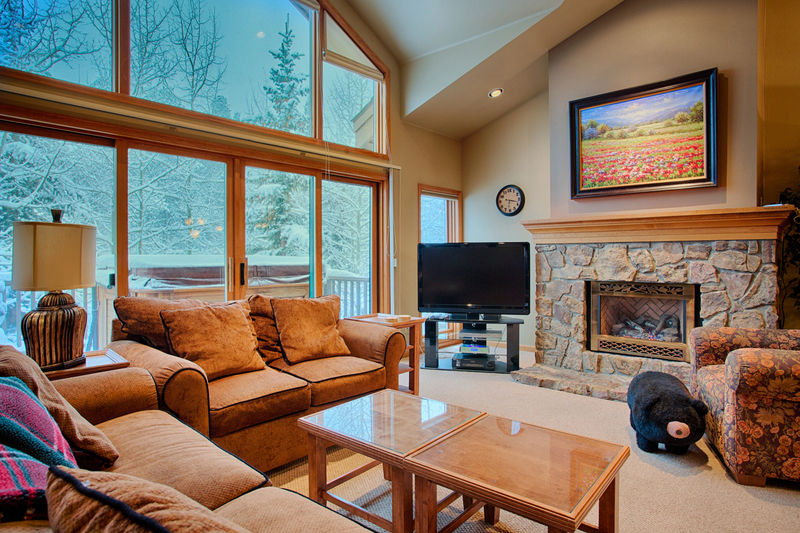 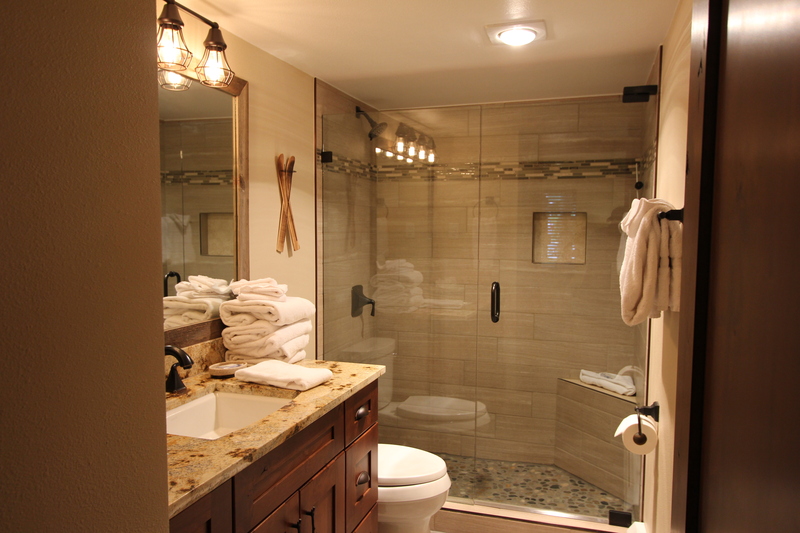 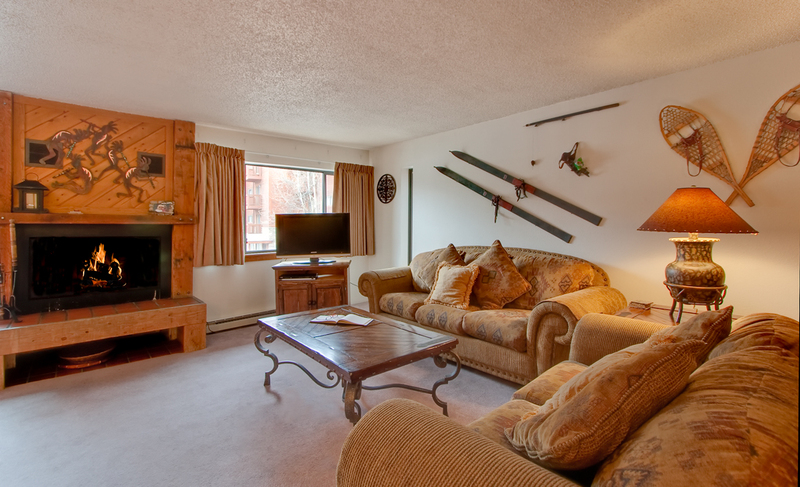 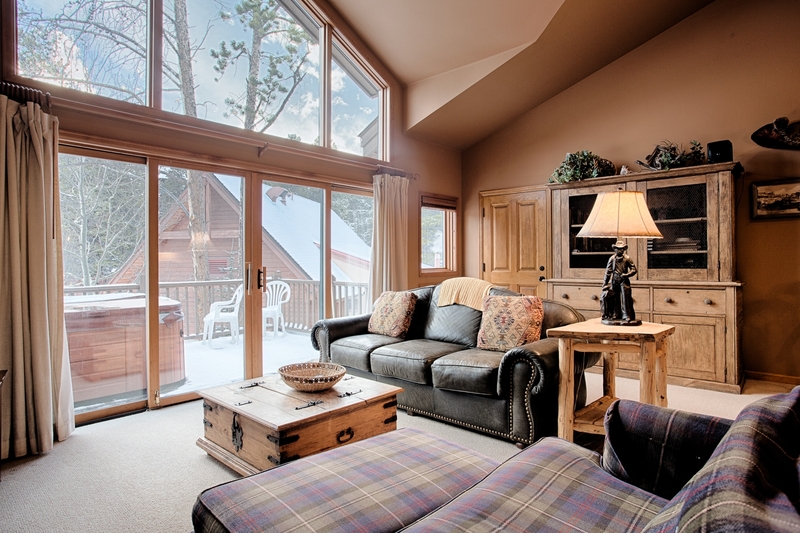 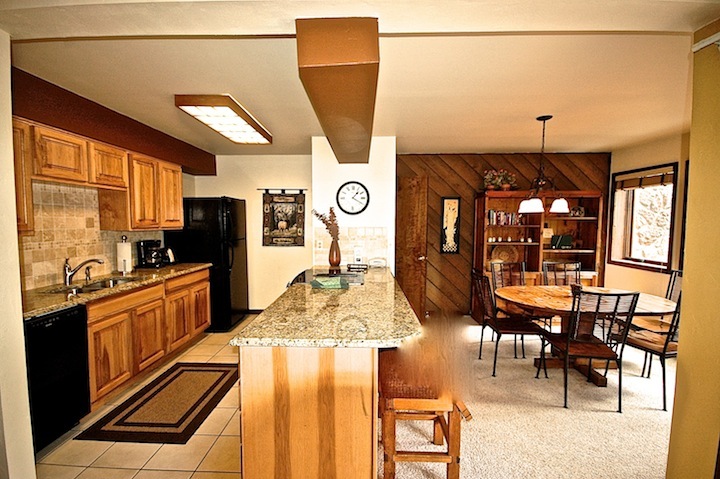 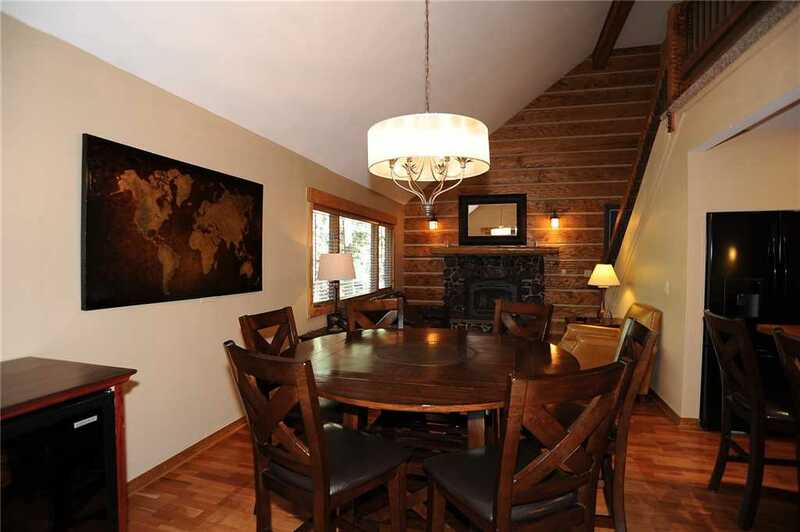 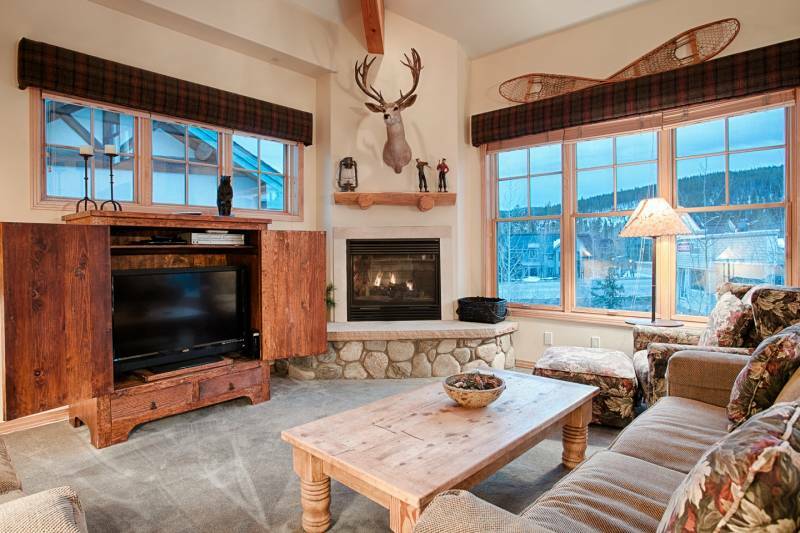 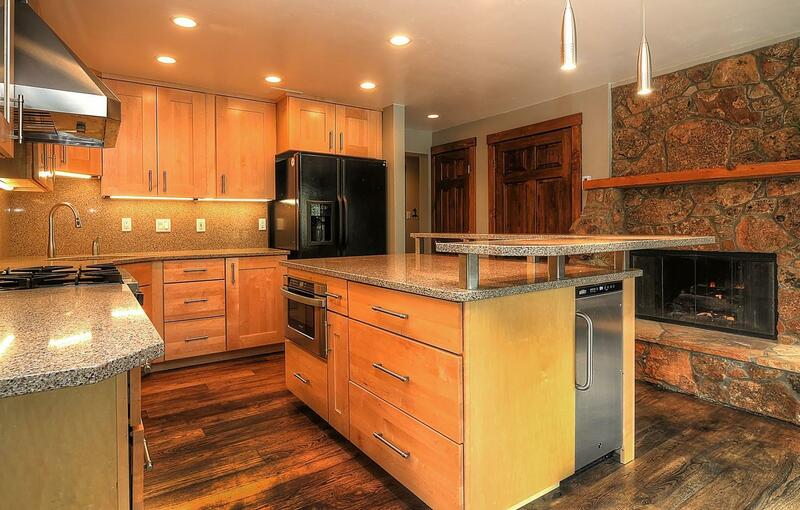 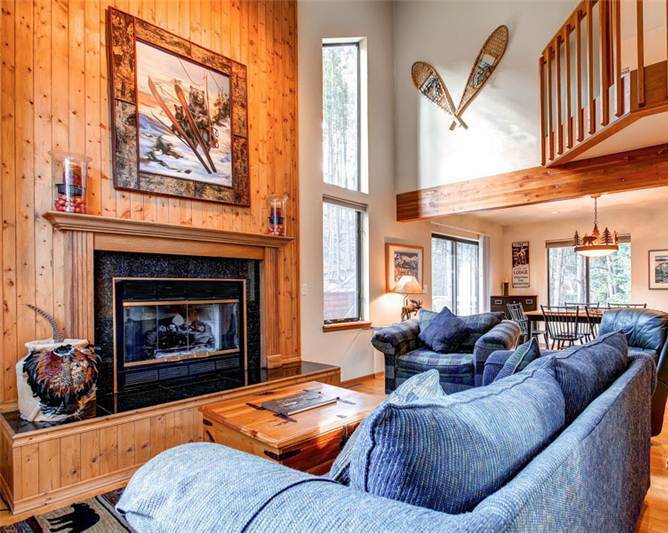 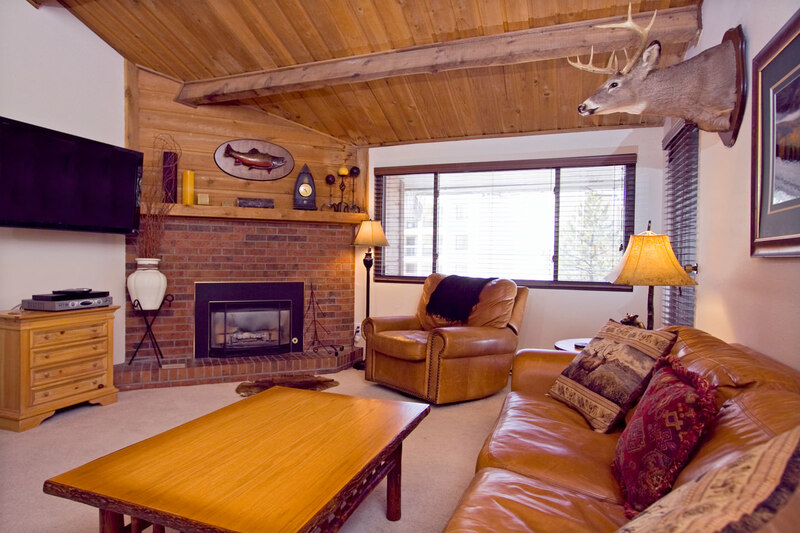 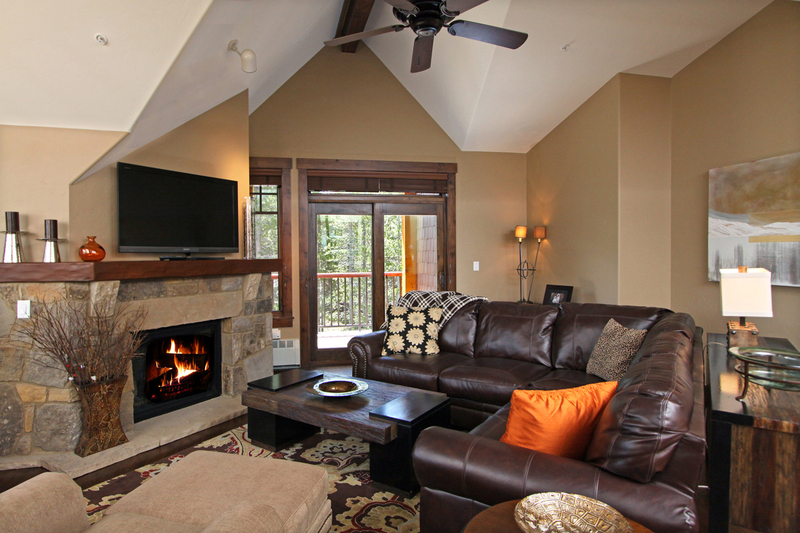 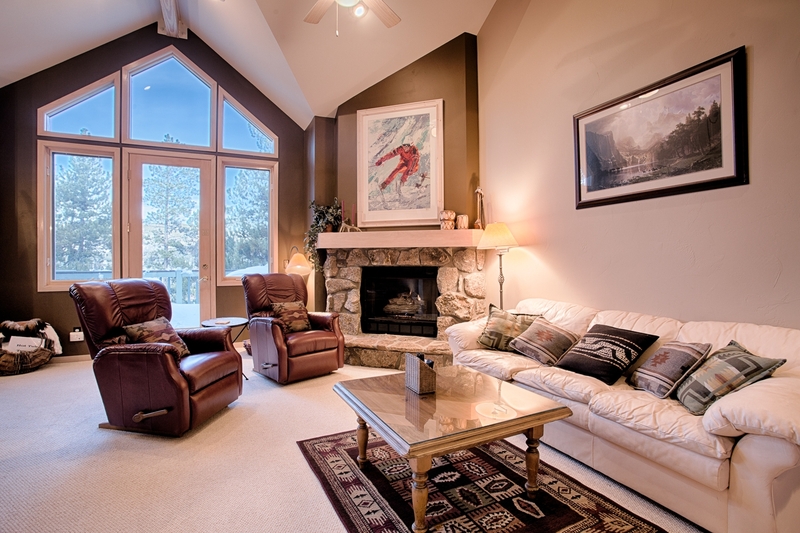 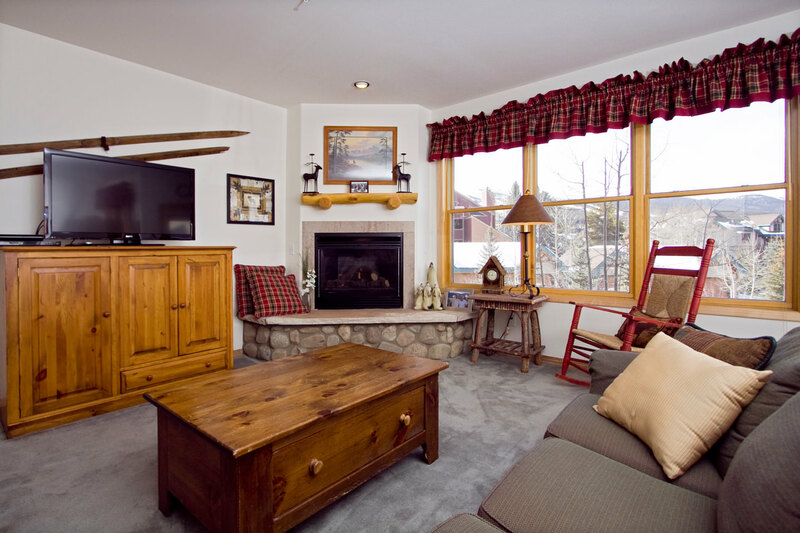 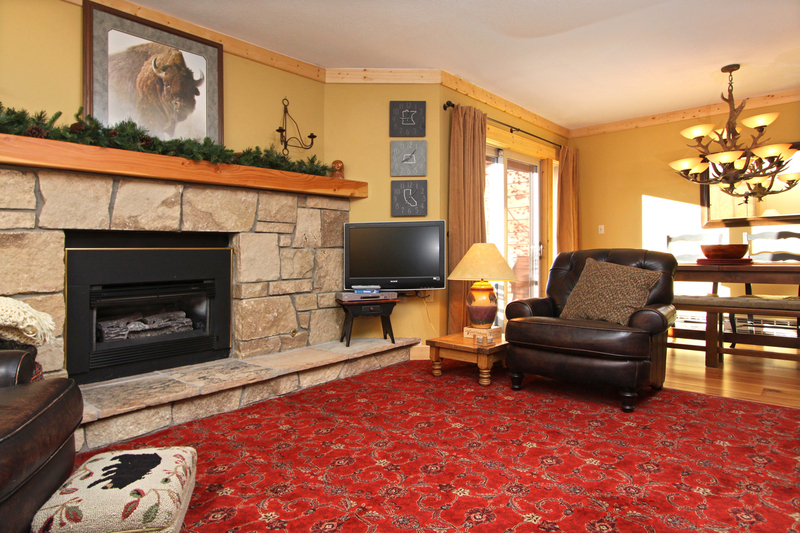 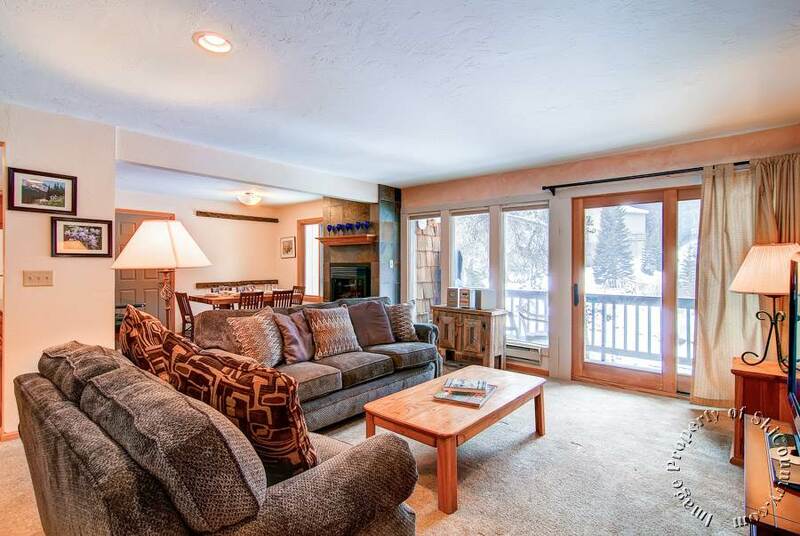 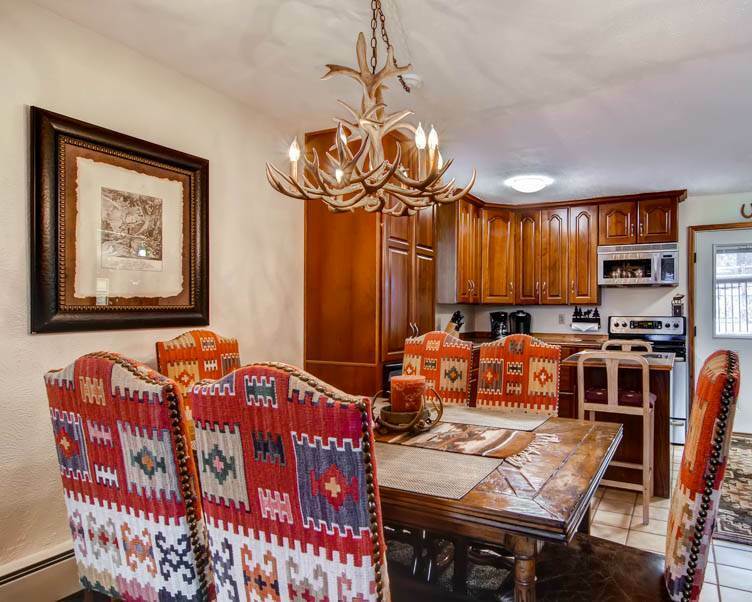 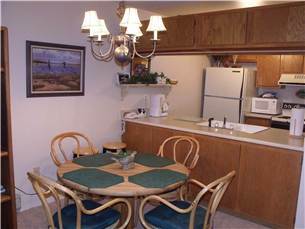 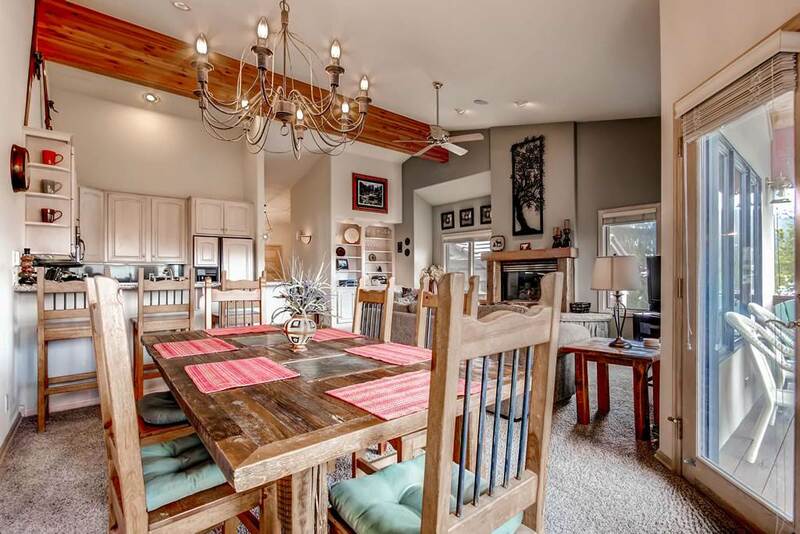 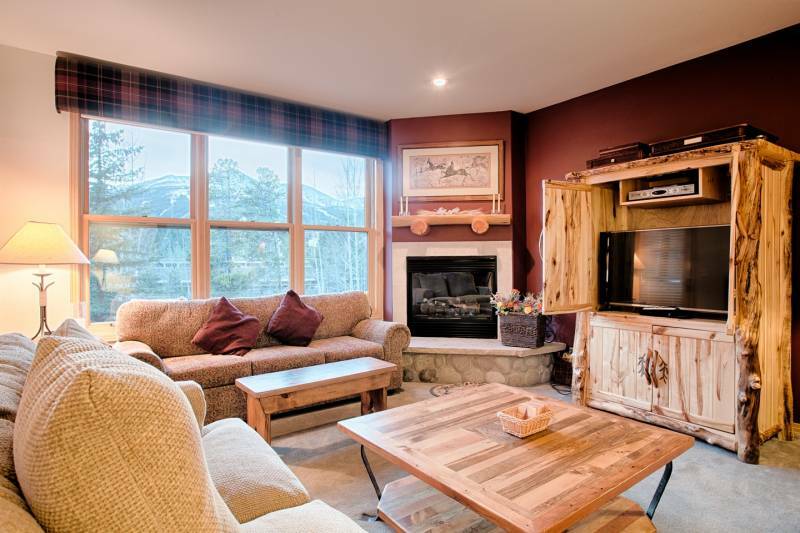 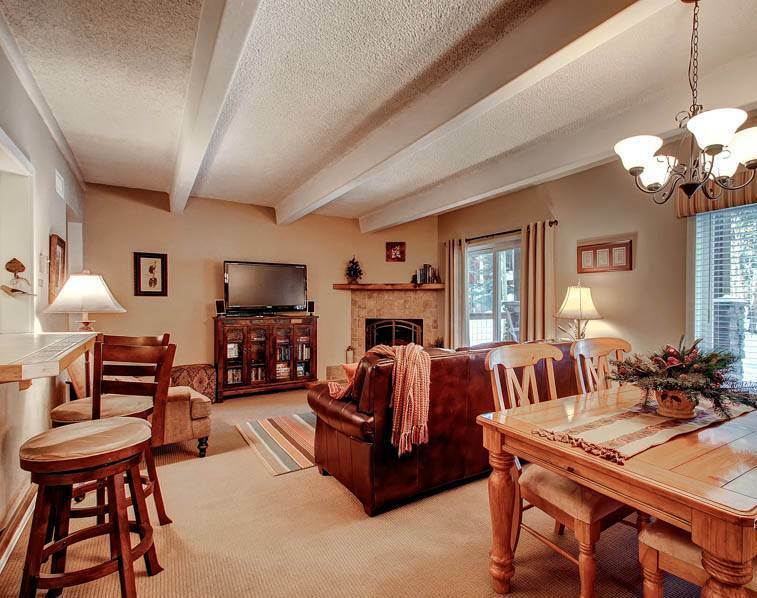 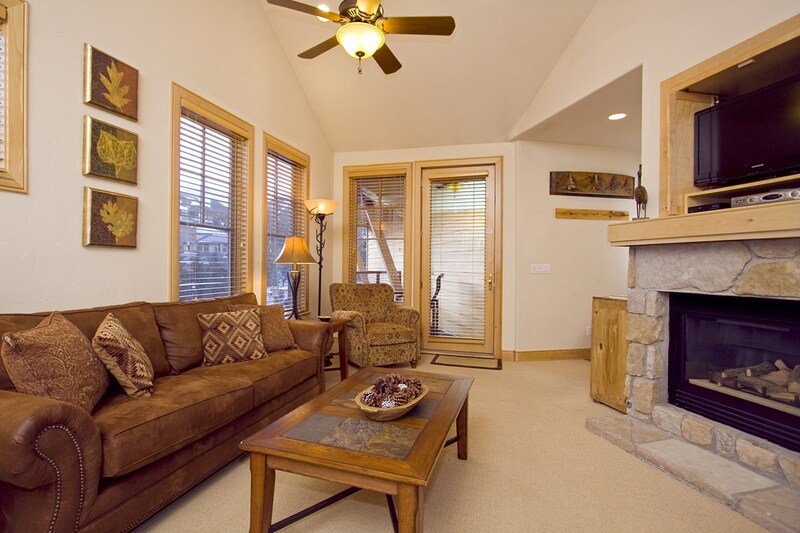 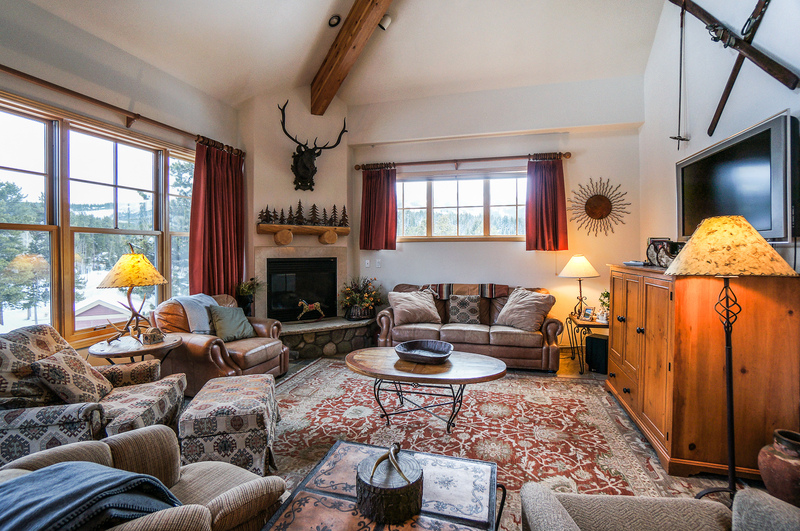 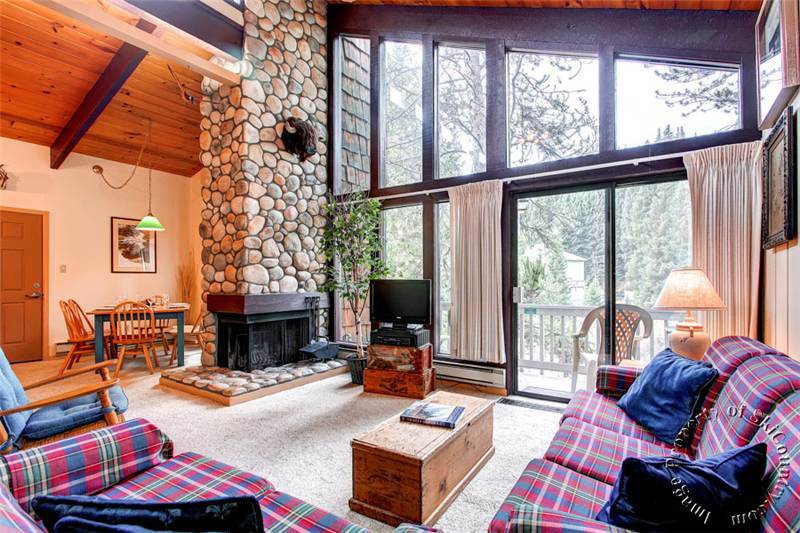 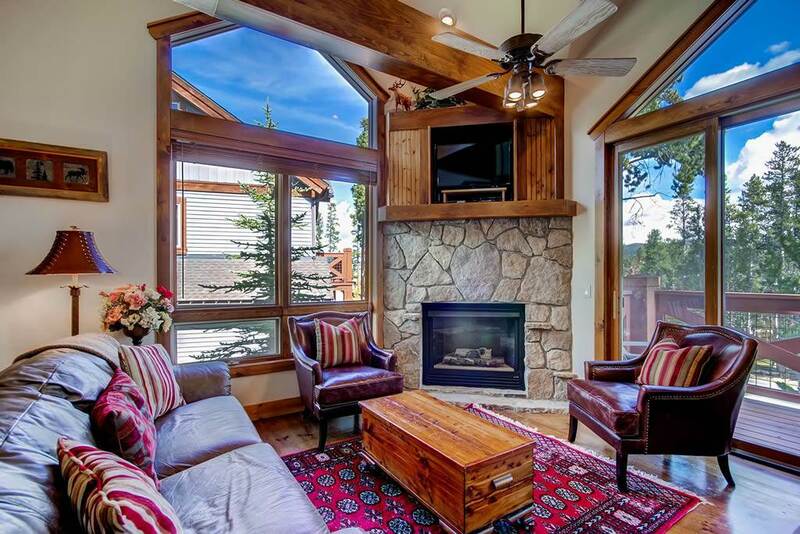 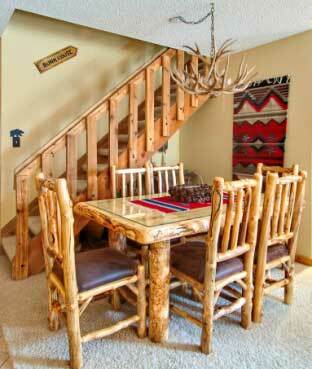 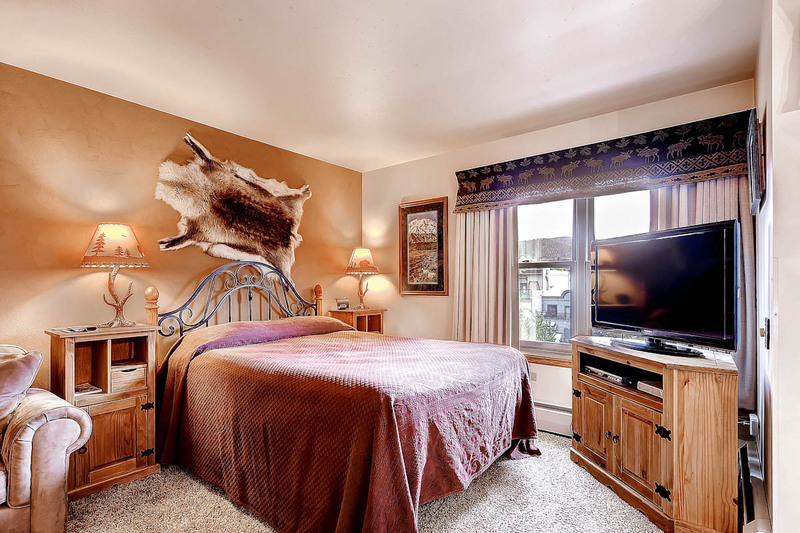 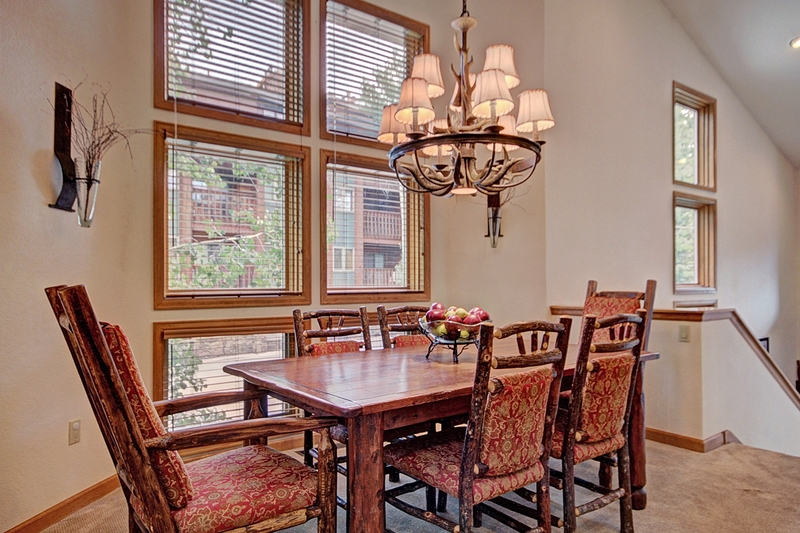 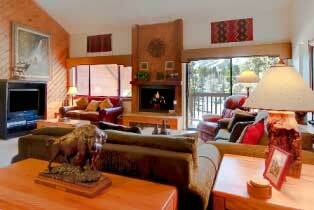 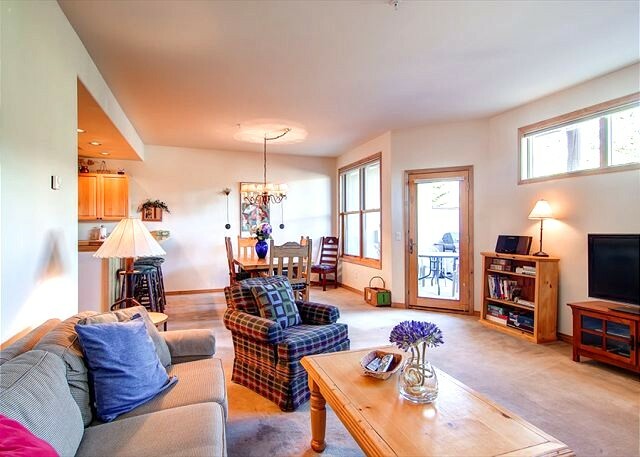 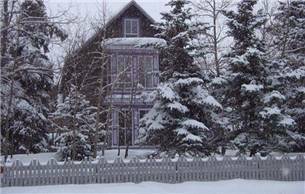 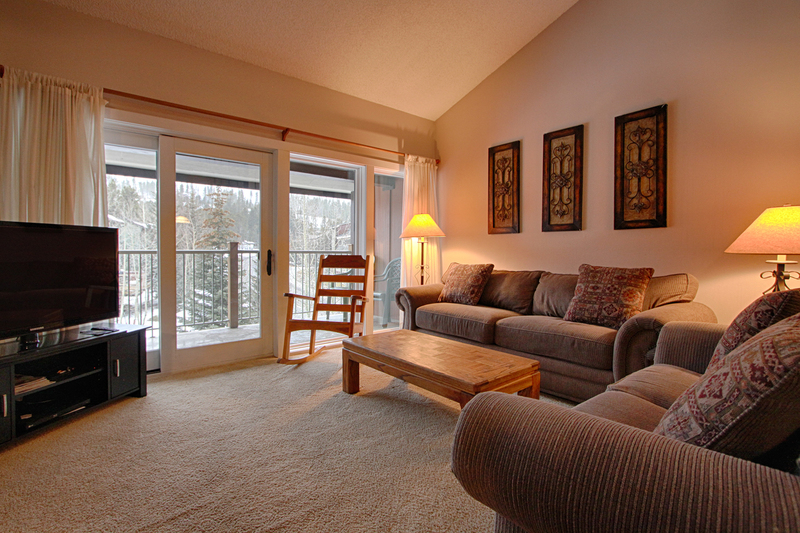 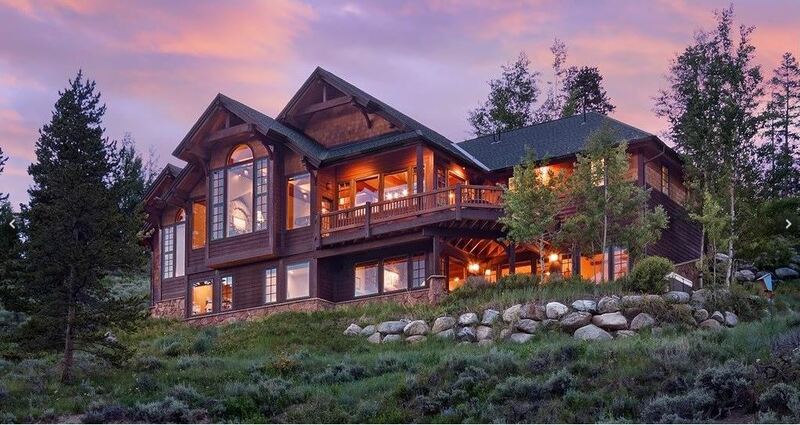 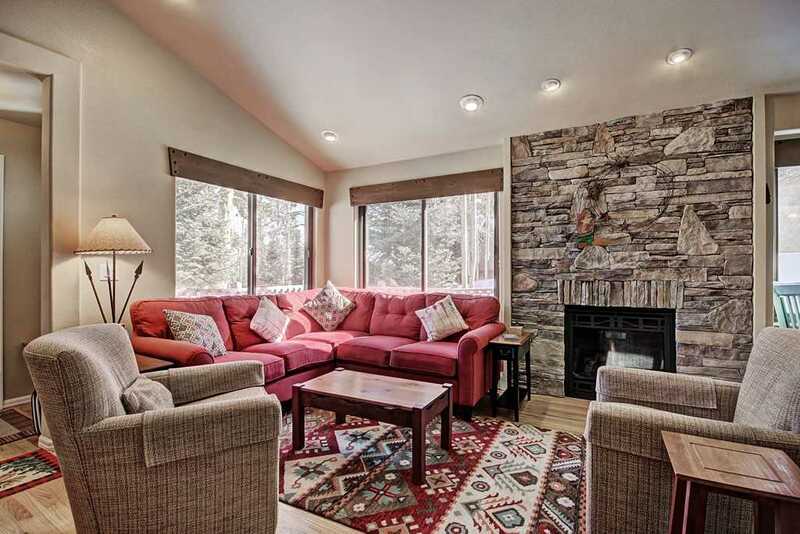 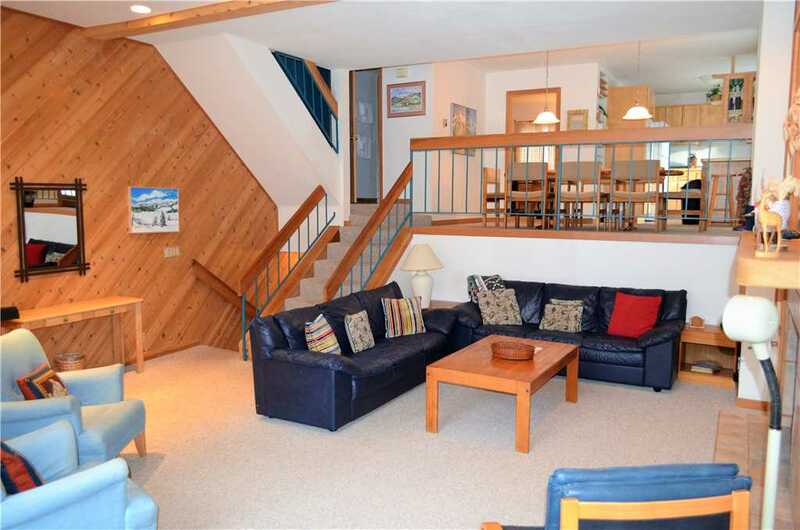 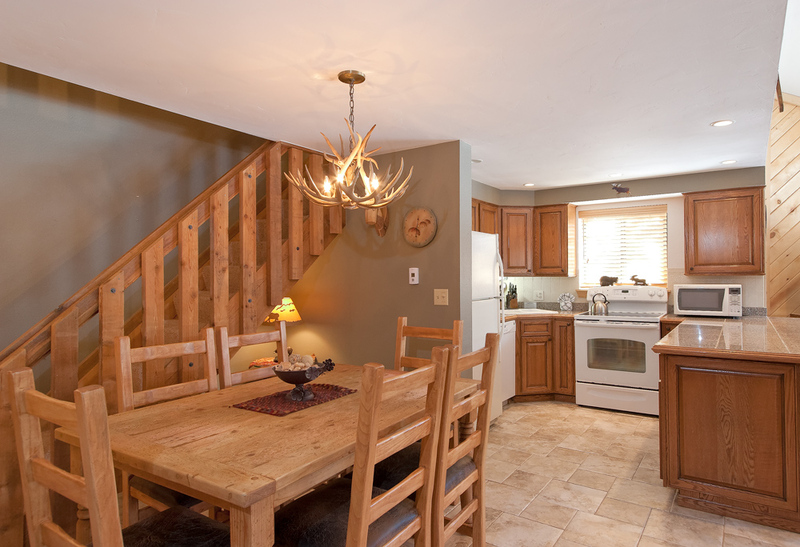 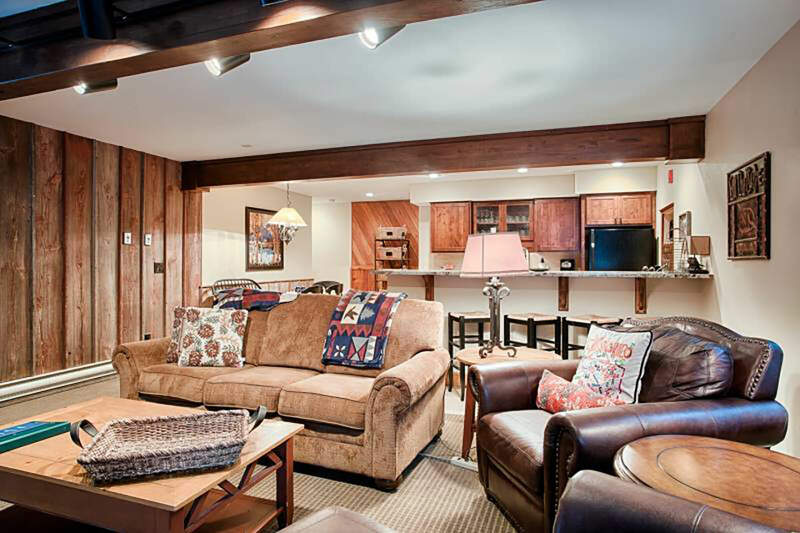 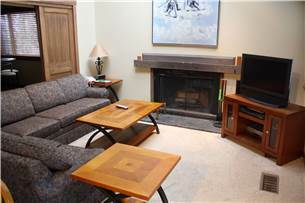 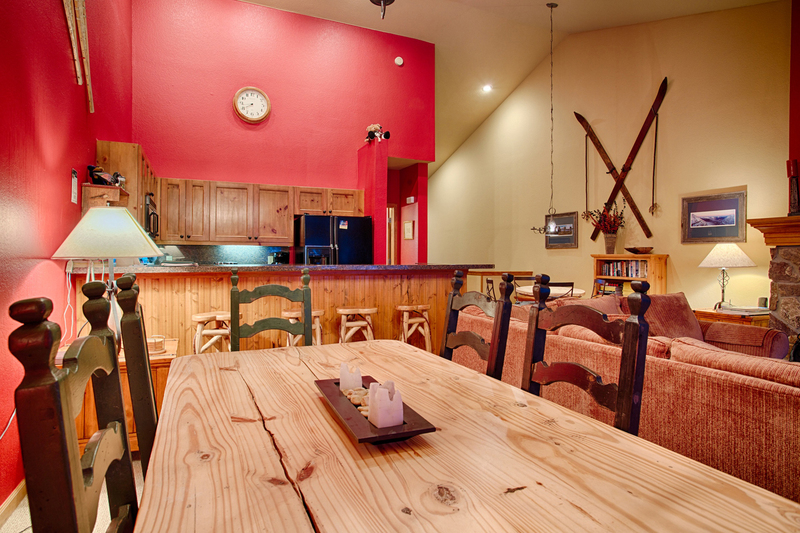 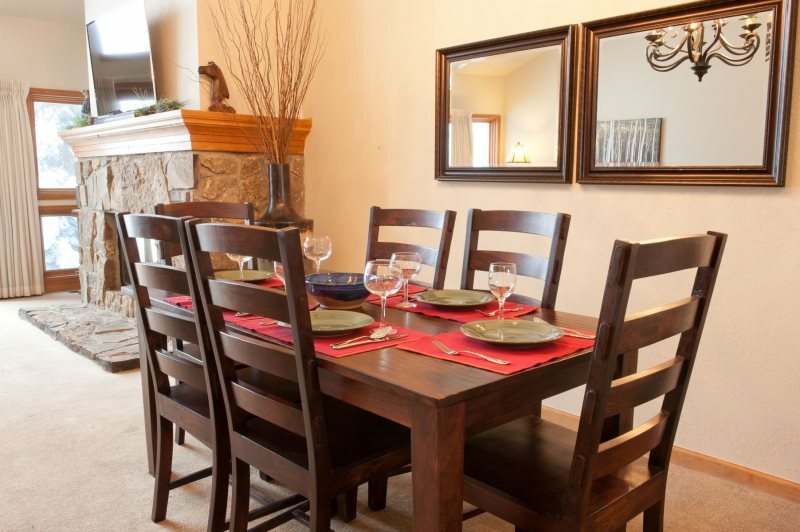 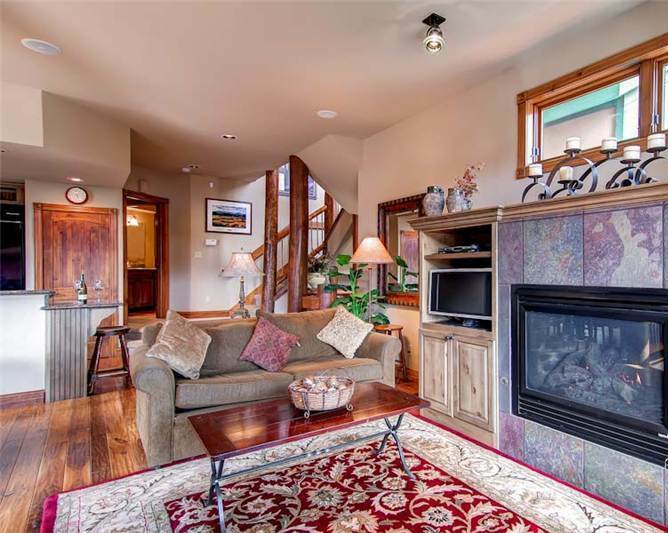 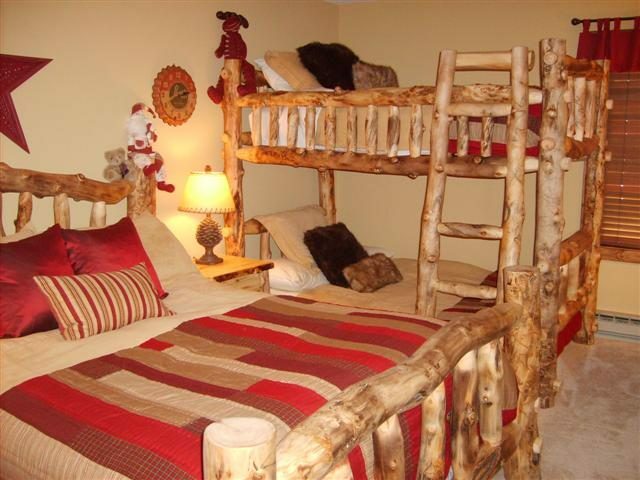 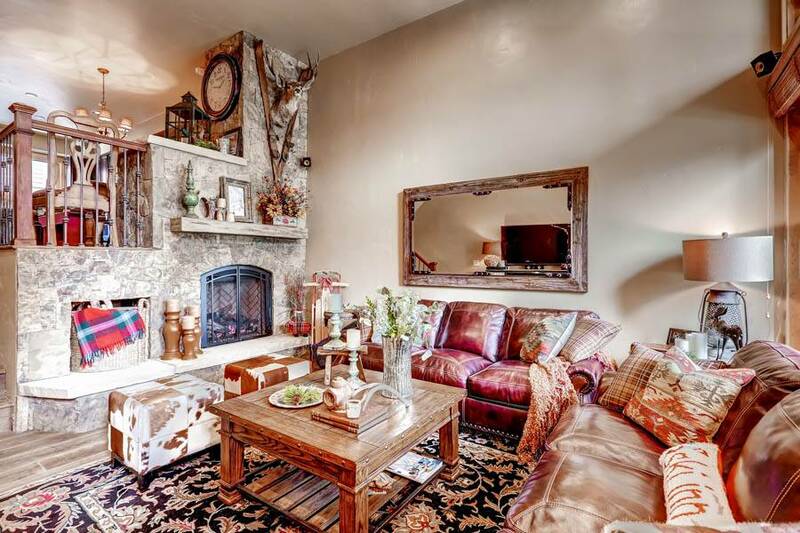 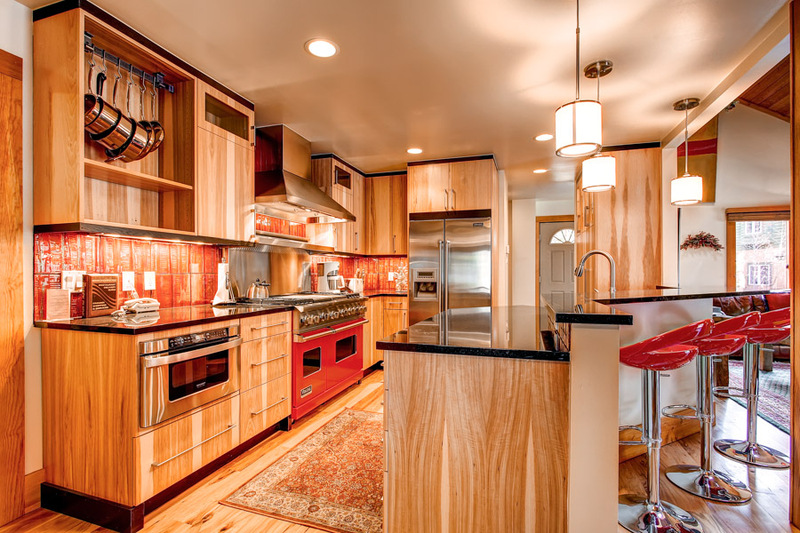 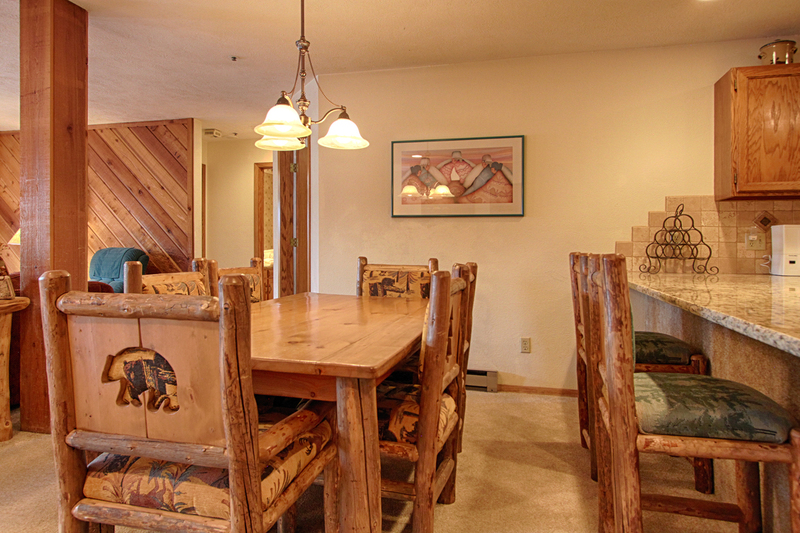 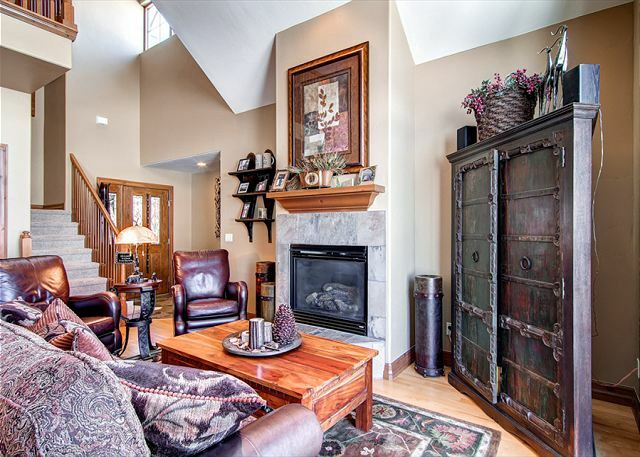 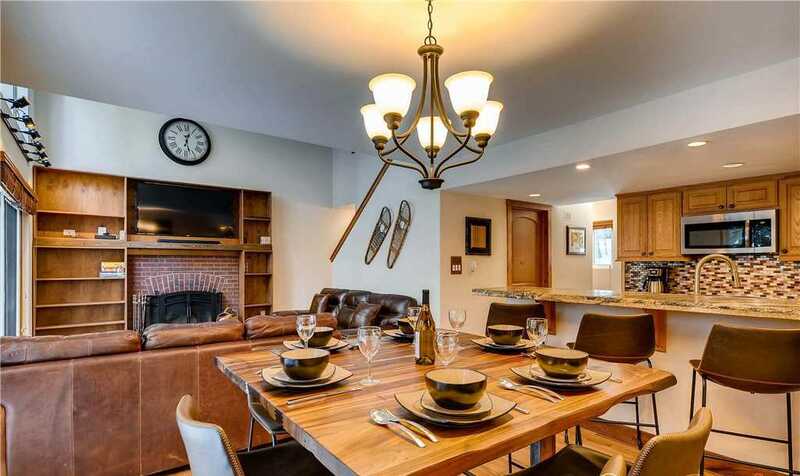 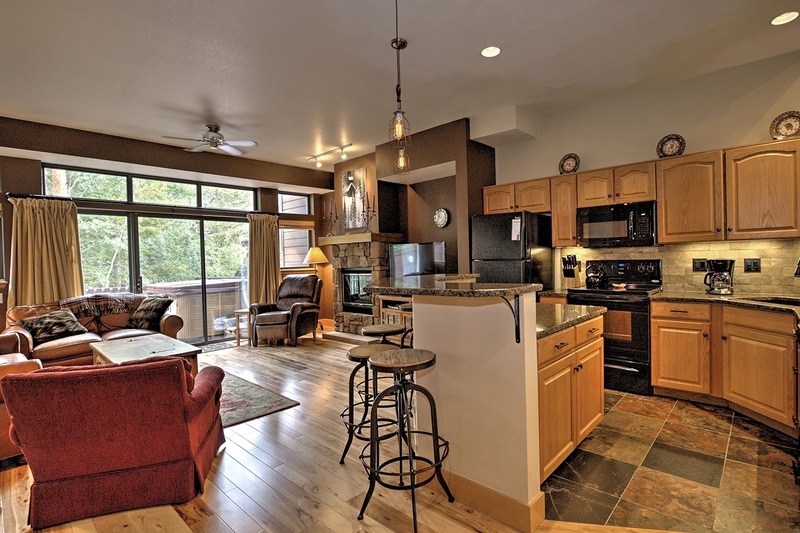 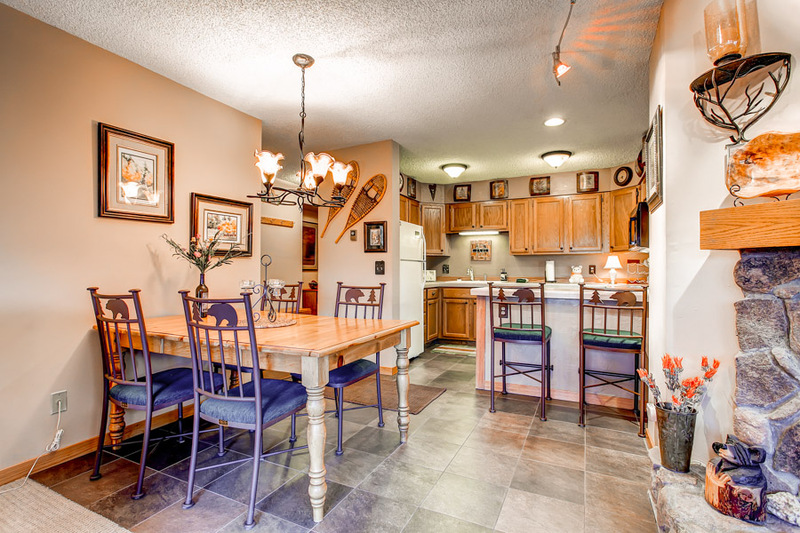 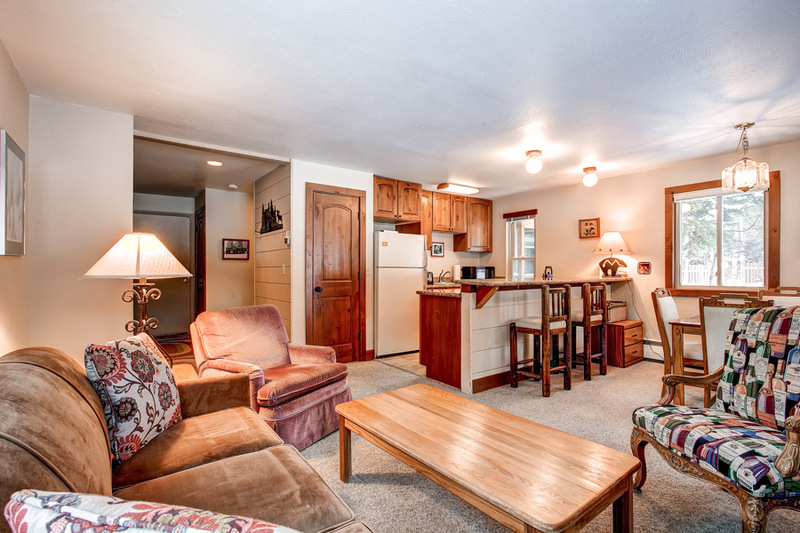 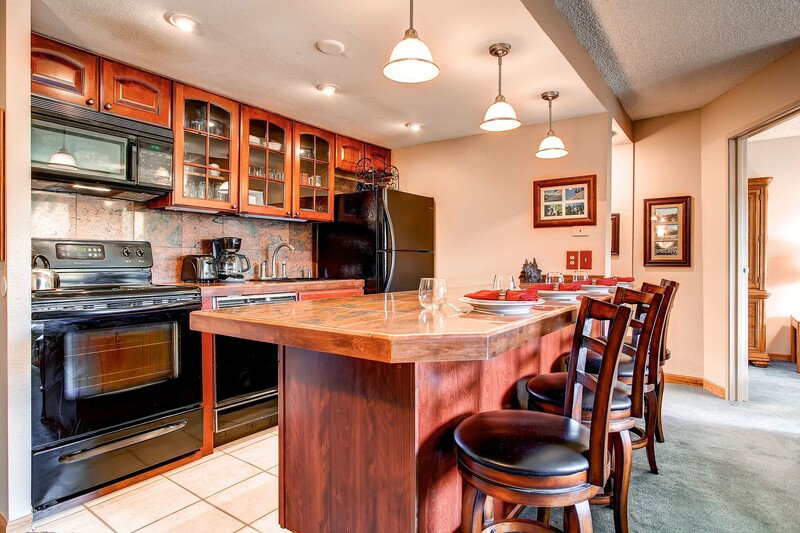 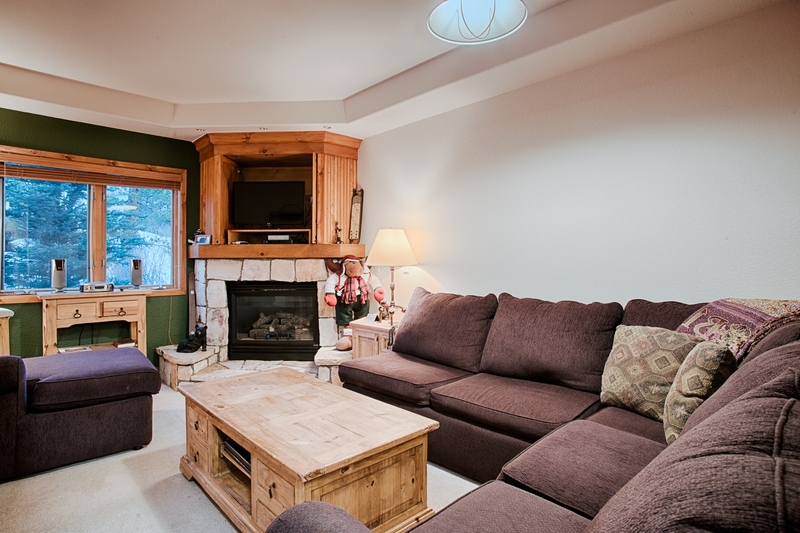 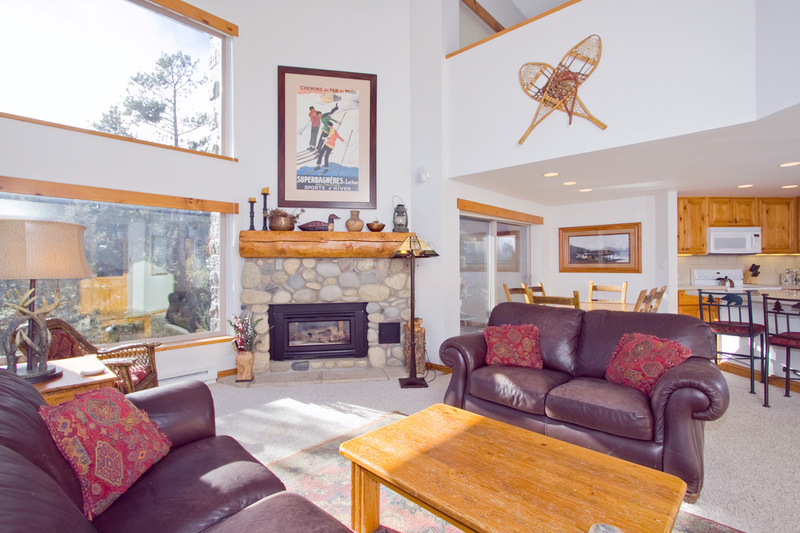 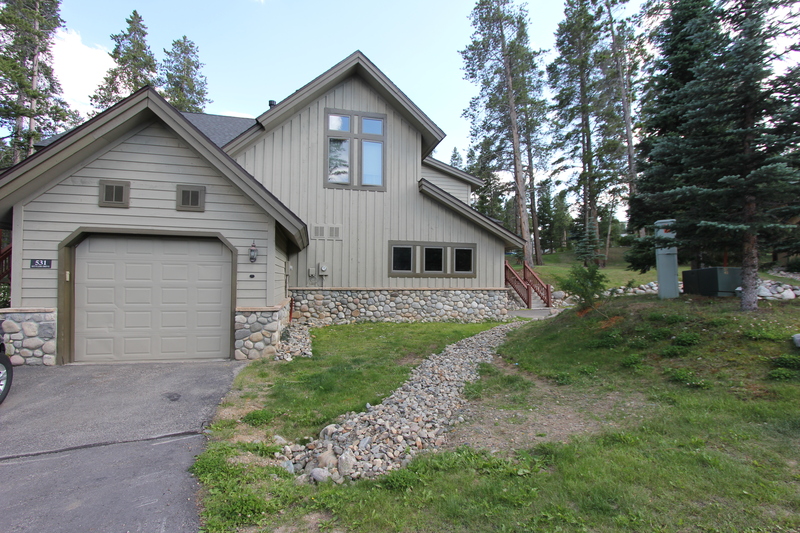 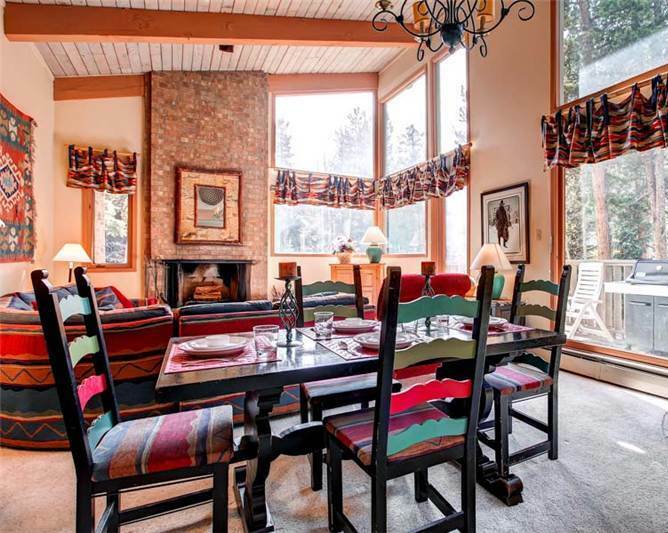 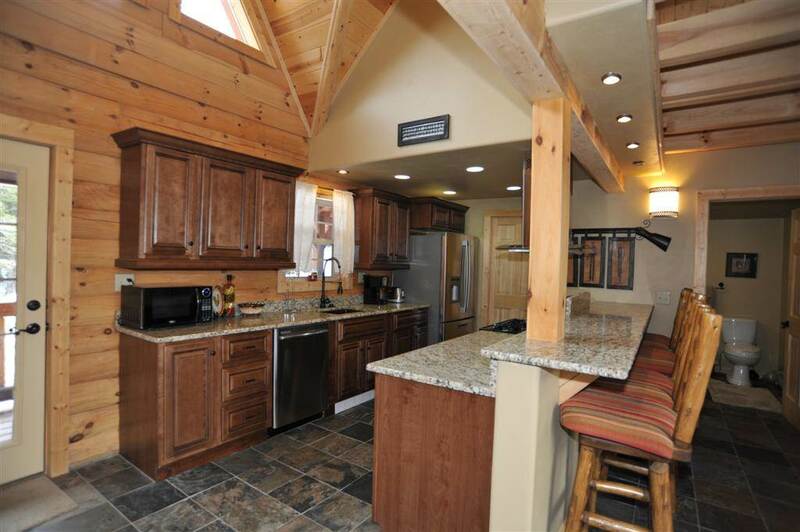 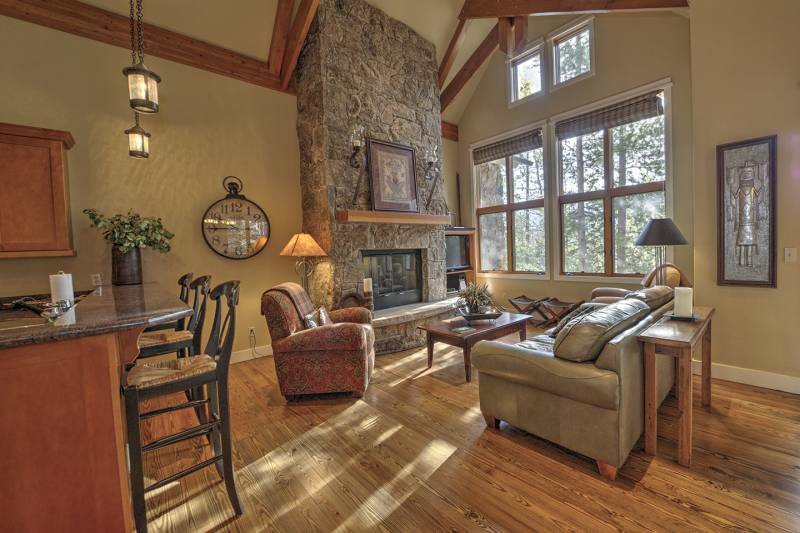 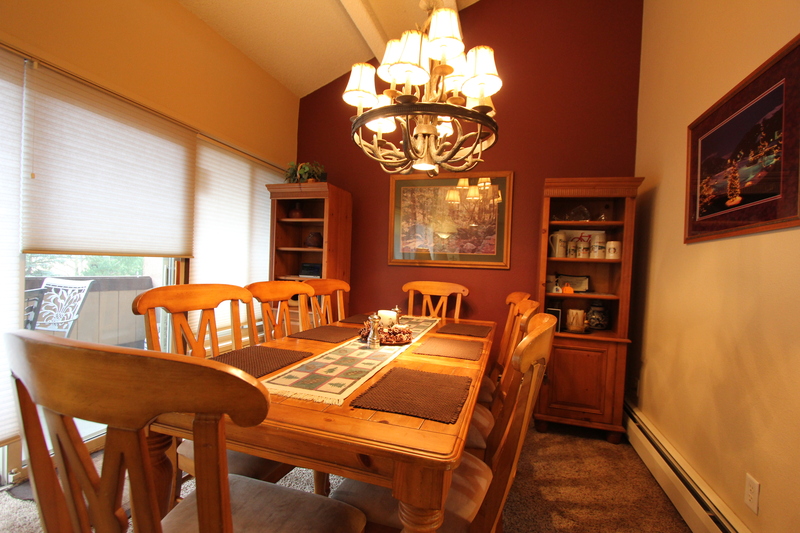 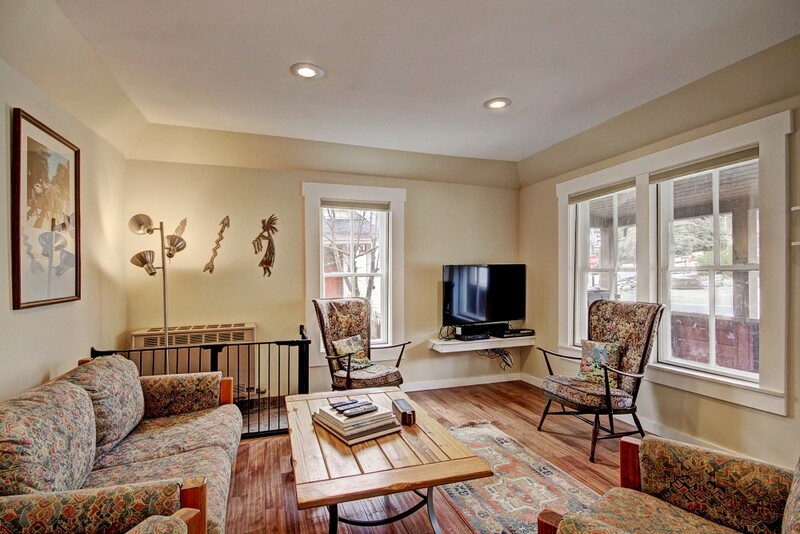 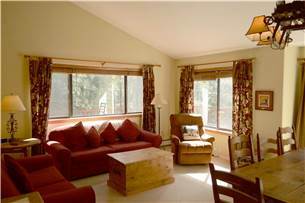 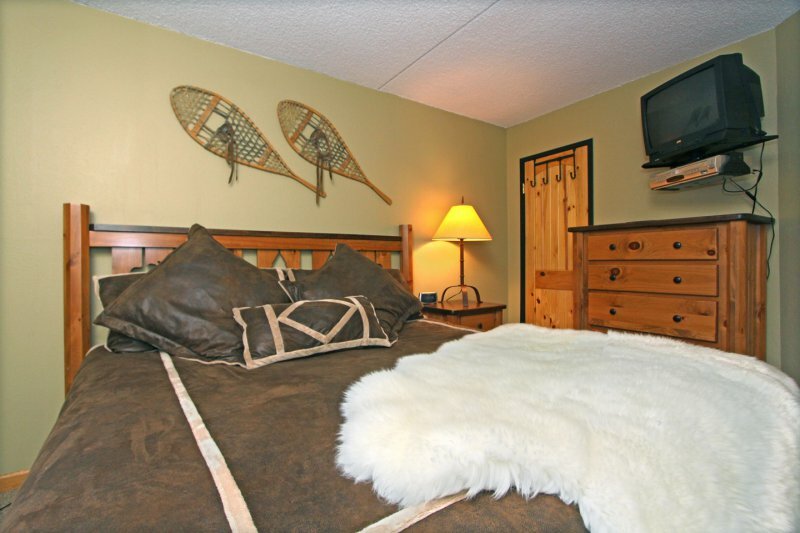 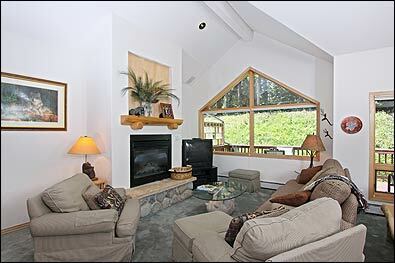 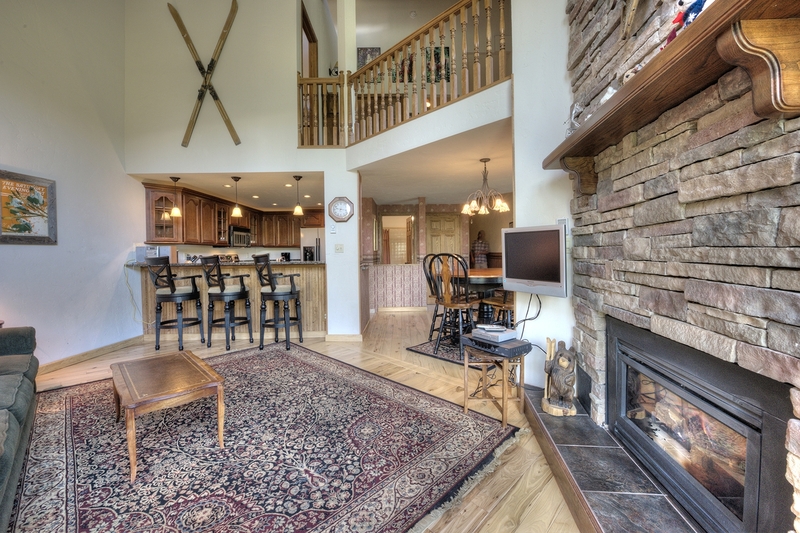 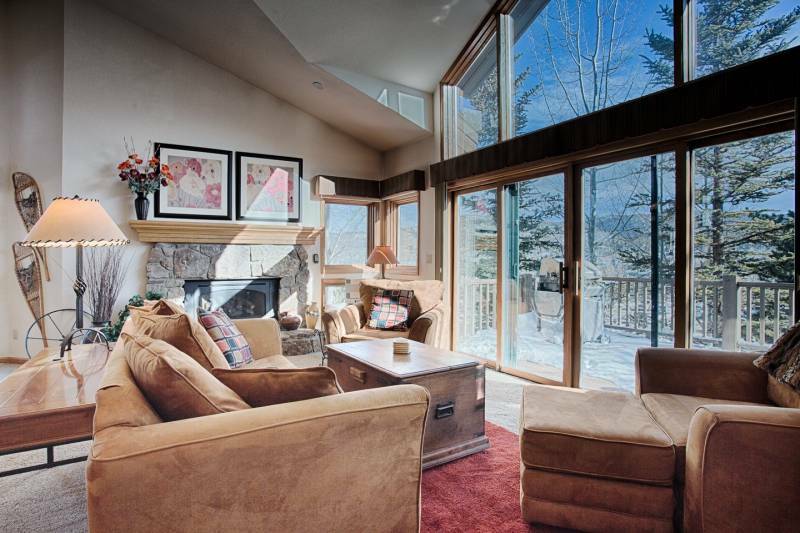 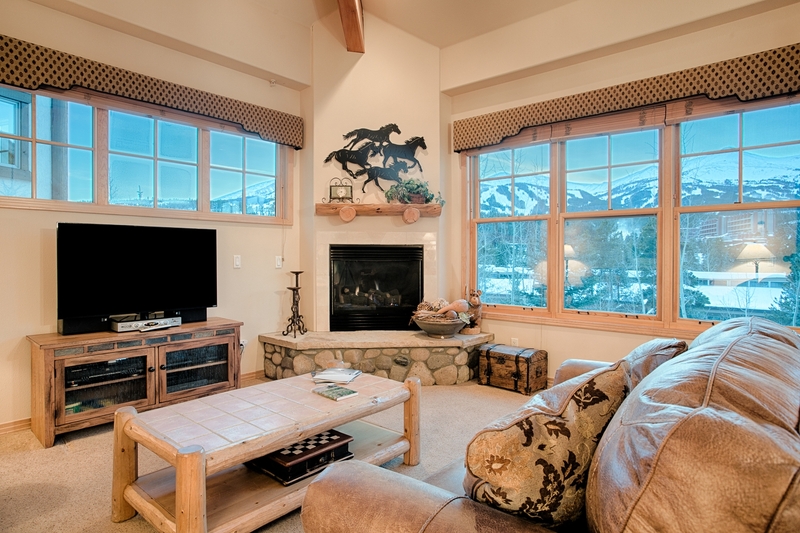 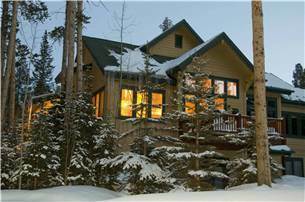 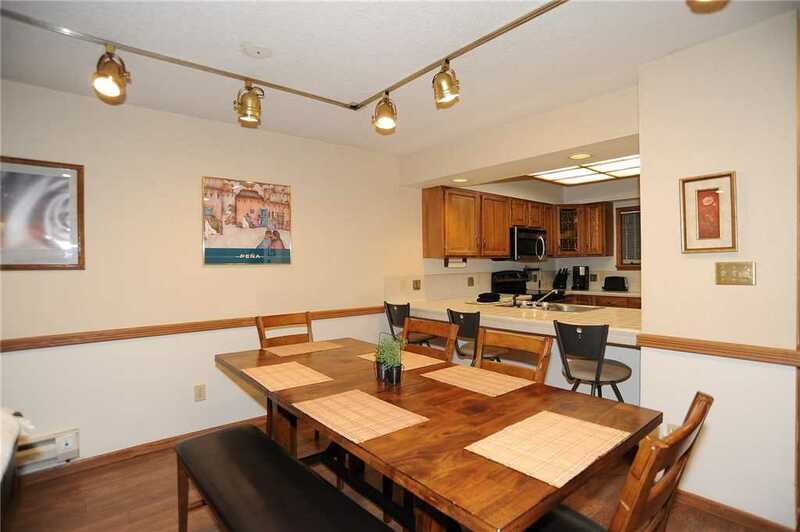 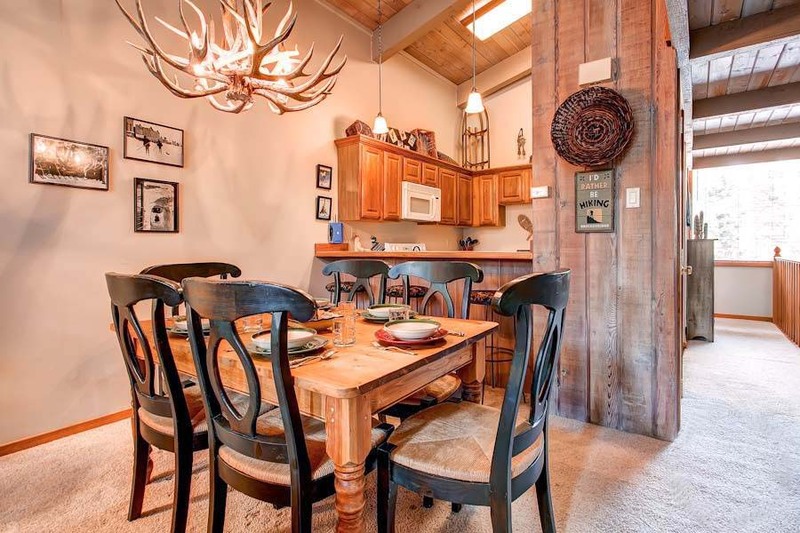 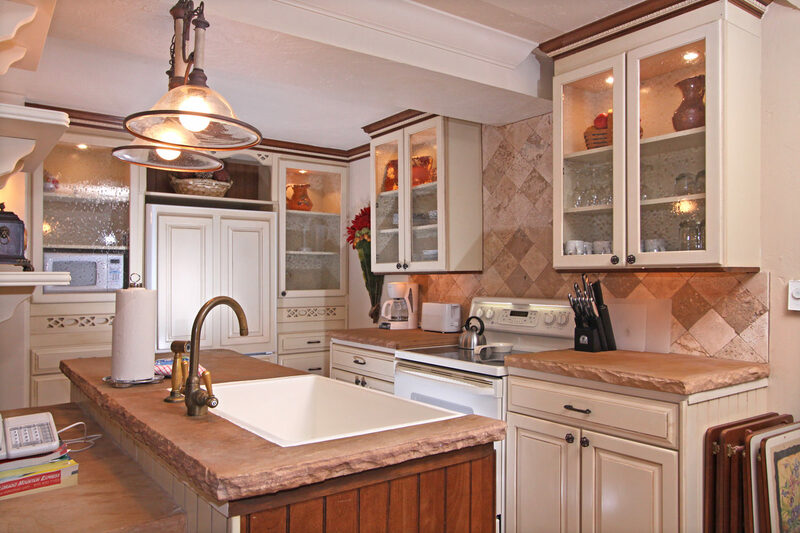 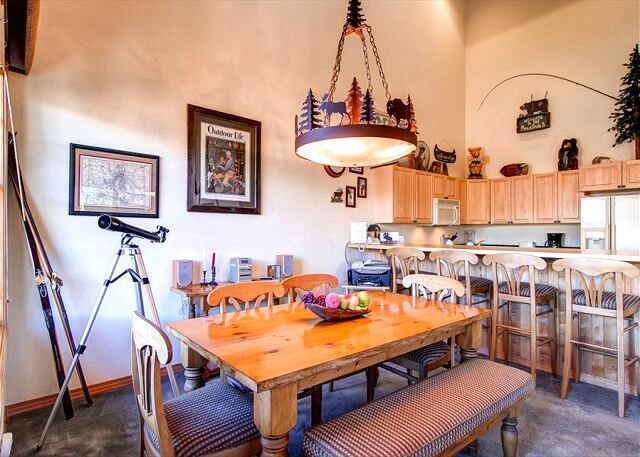 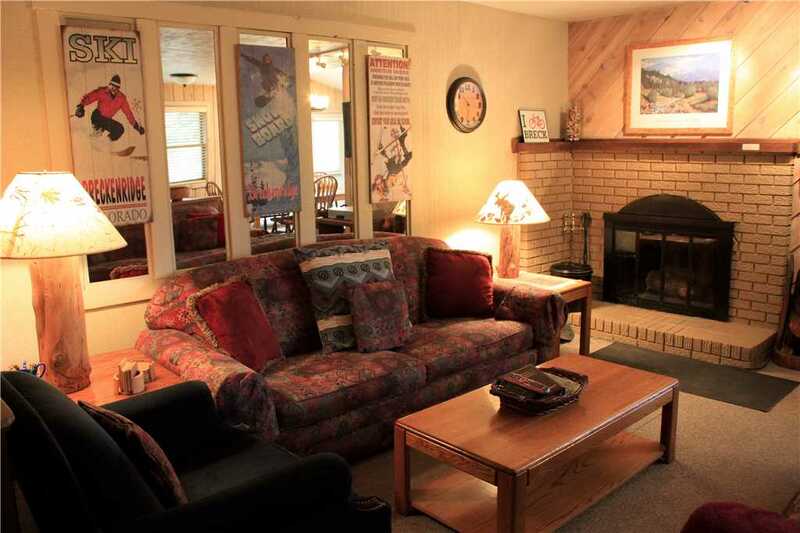 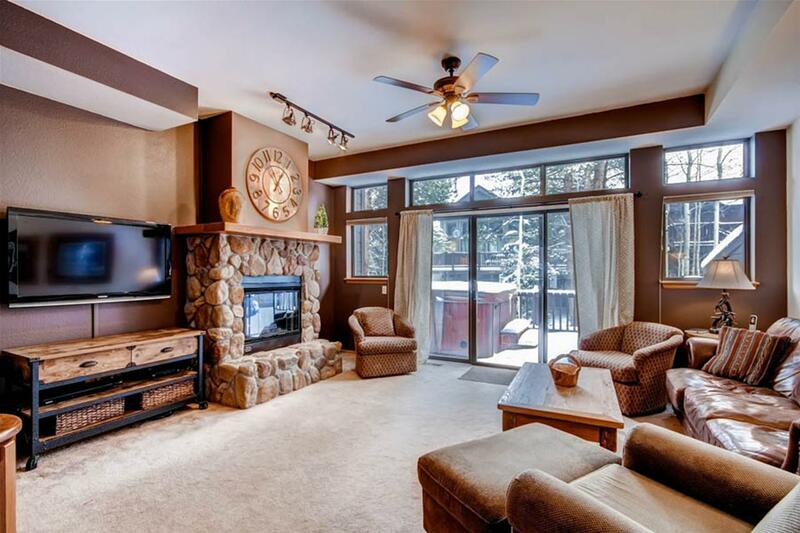 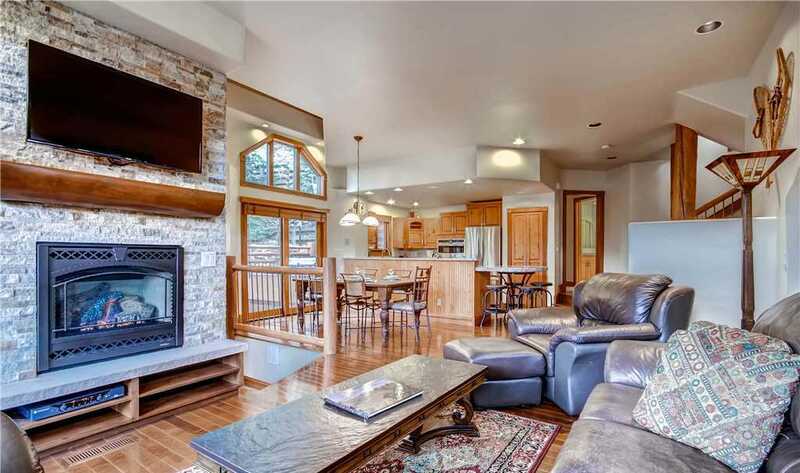 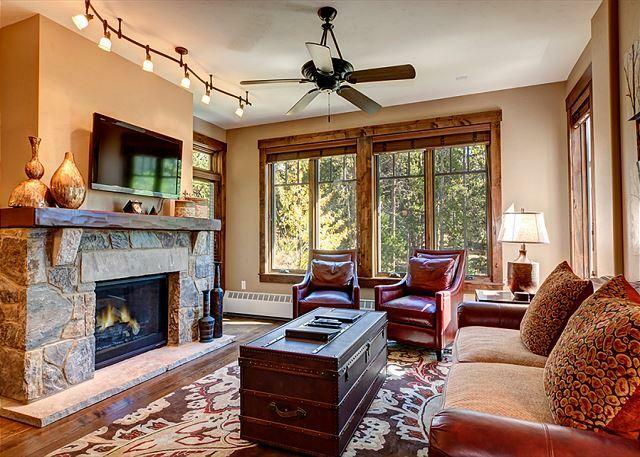 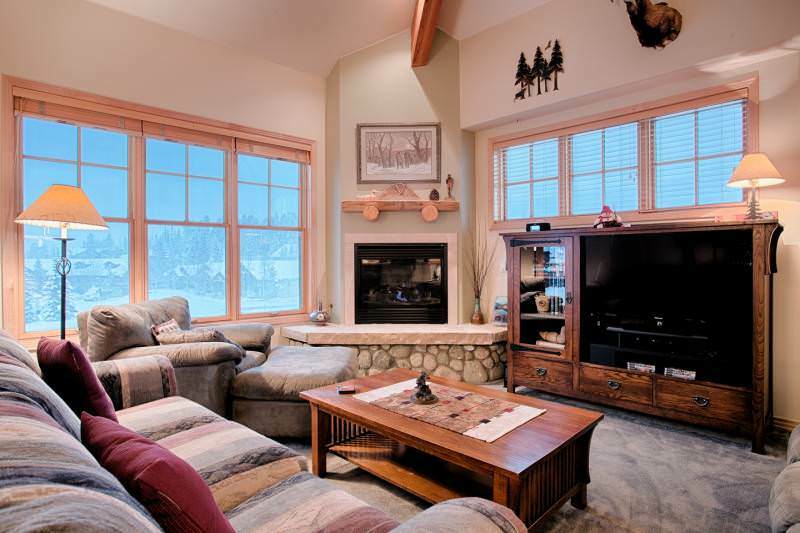 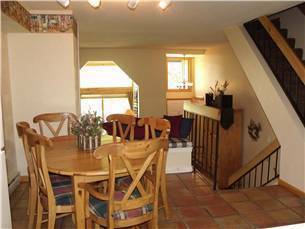 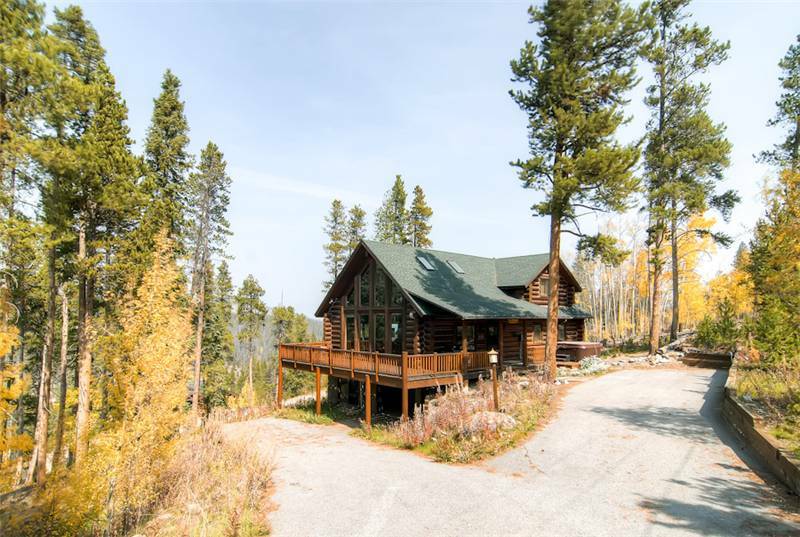 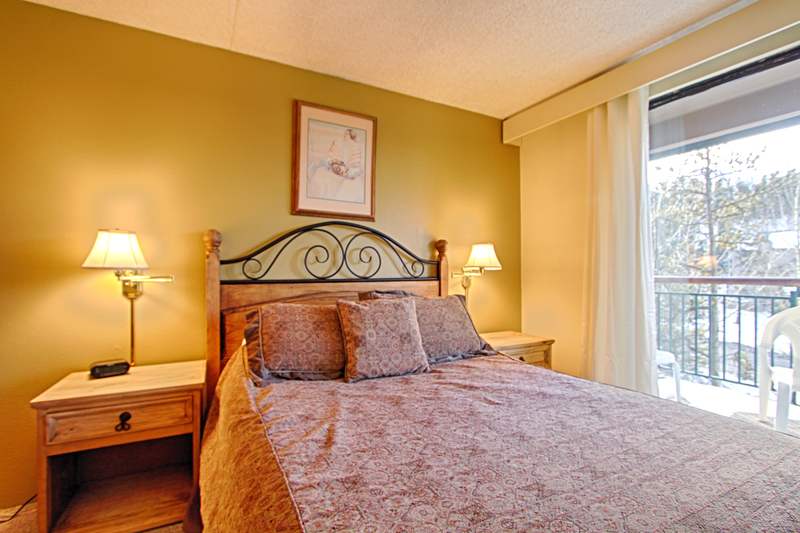 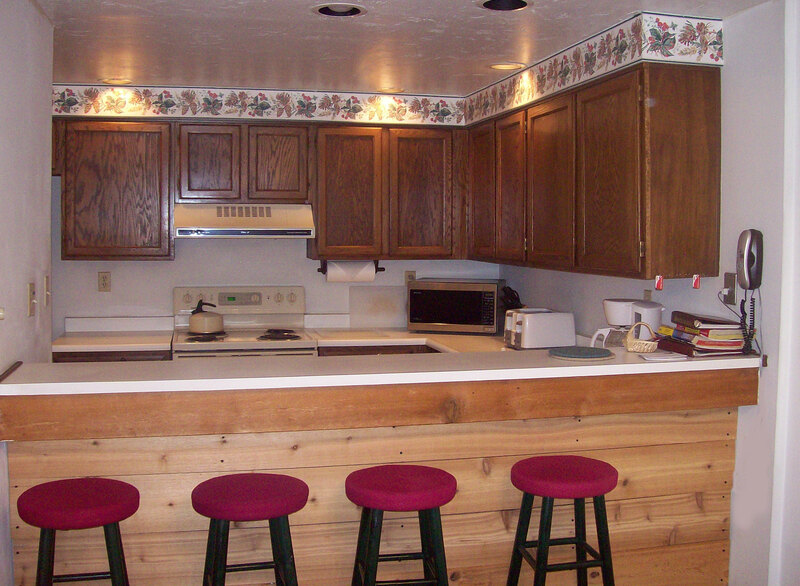 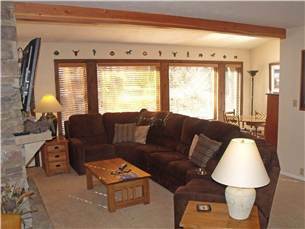 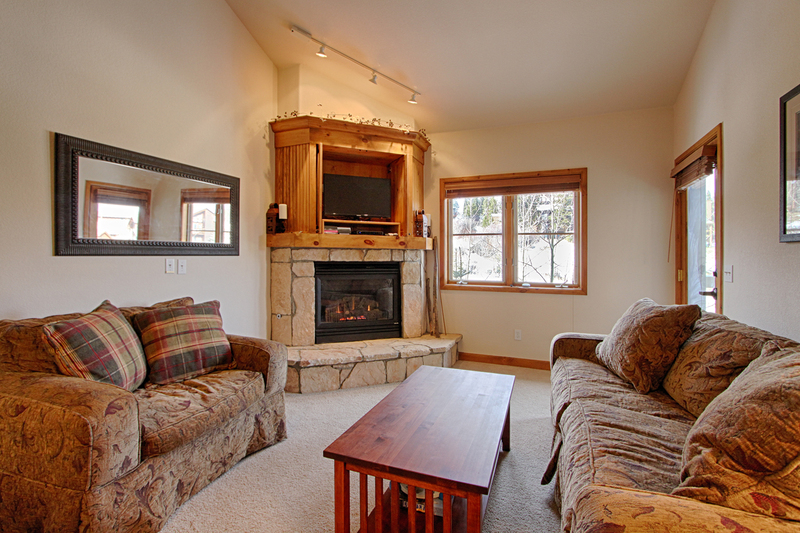 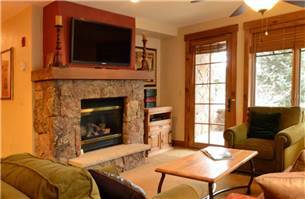 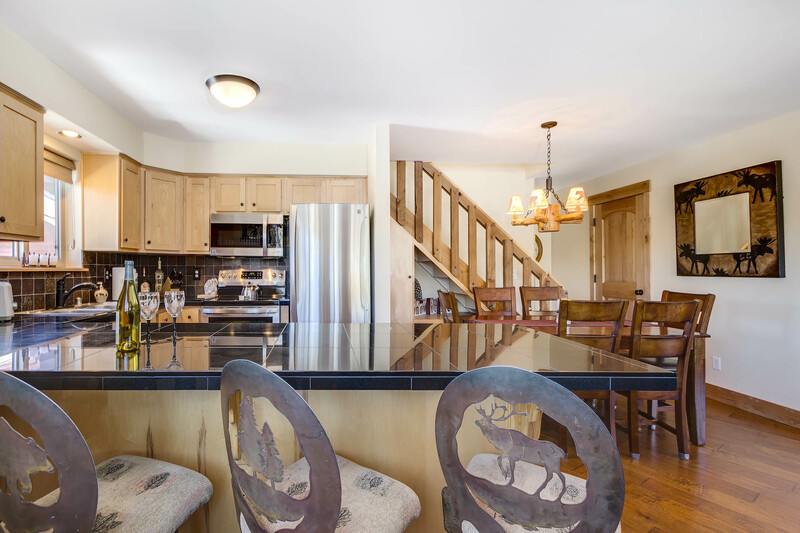 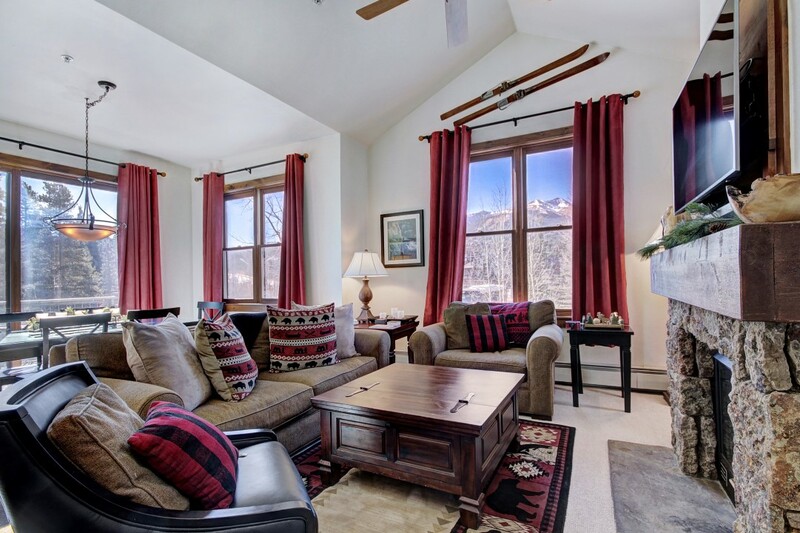 You’re also a one block walk from Main Street with it’s apres ski, fine dining and shopping opportunities. 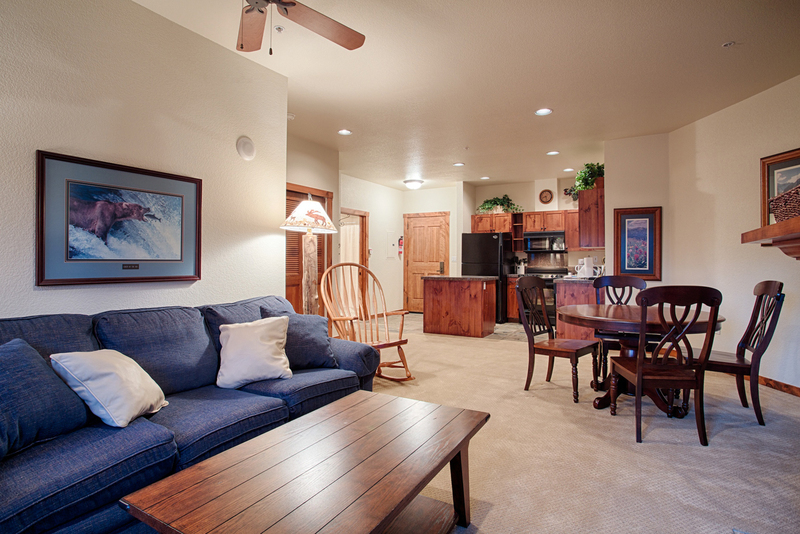 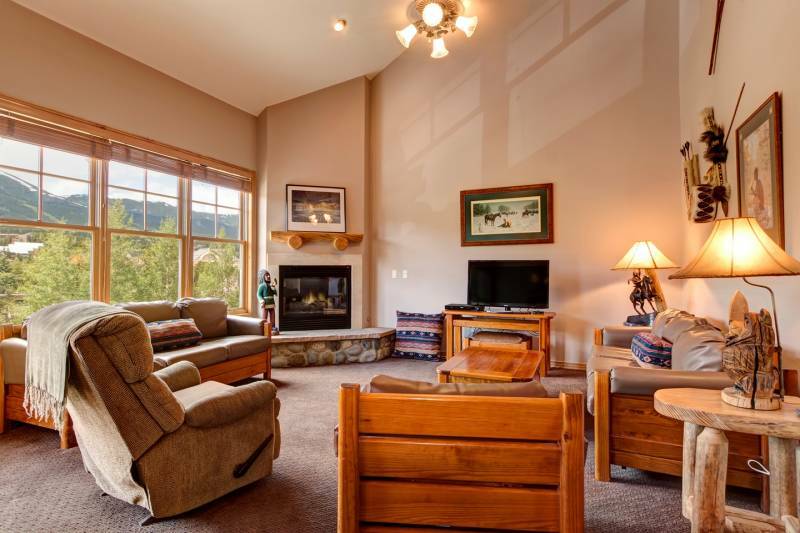 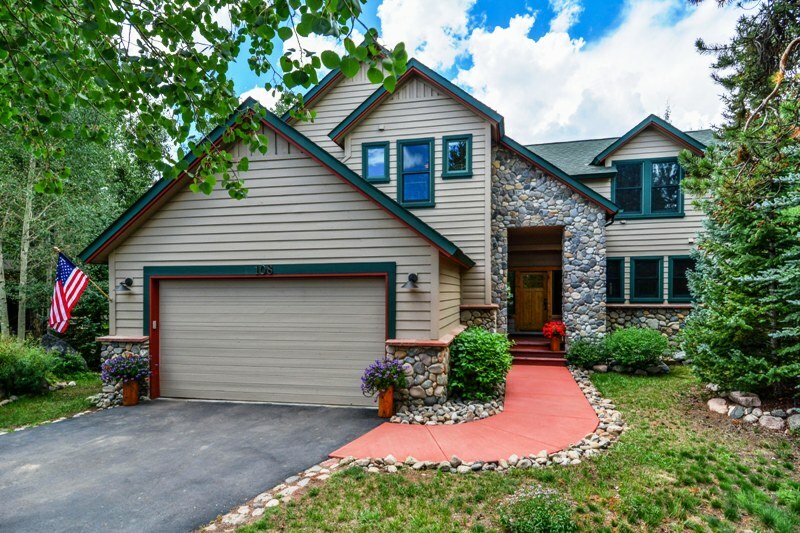 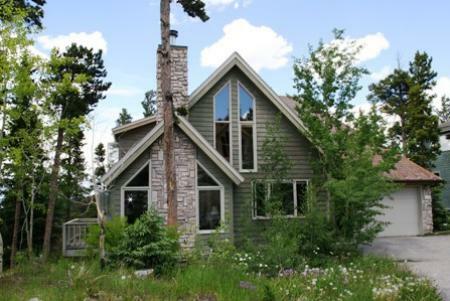 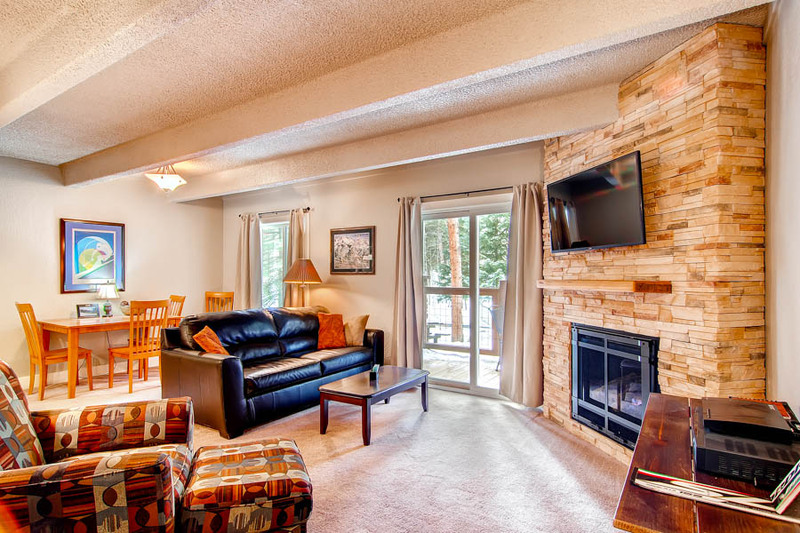 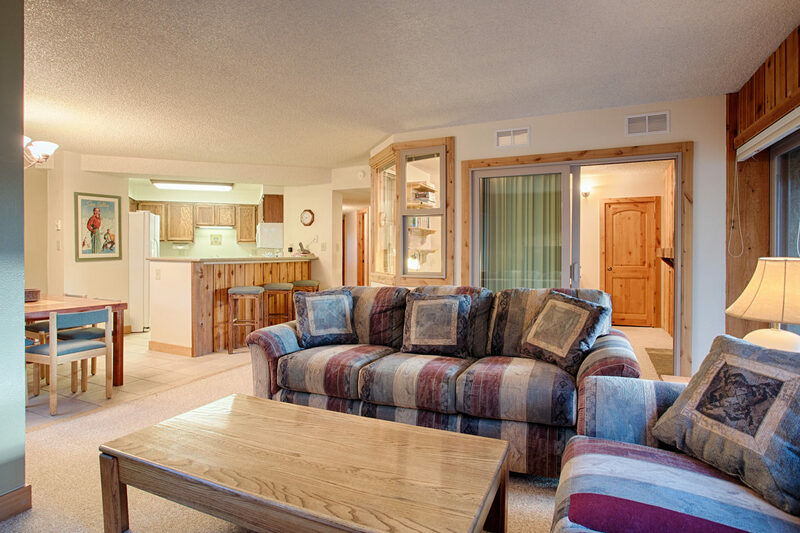 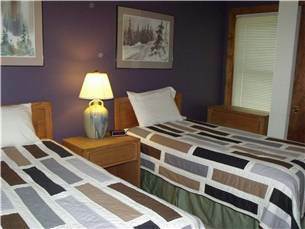 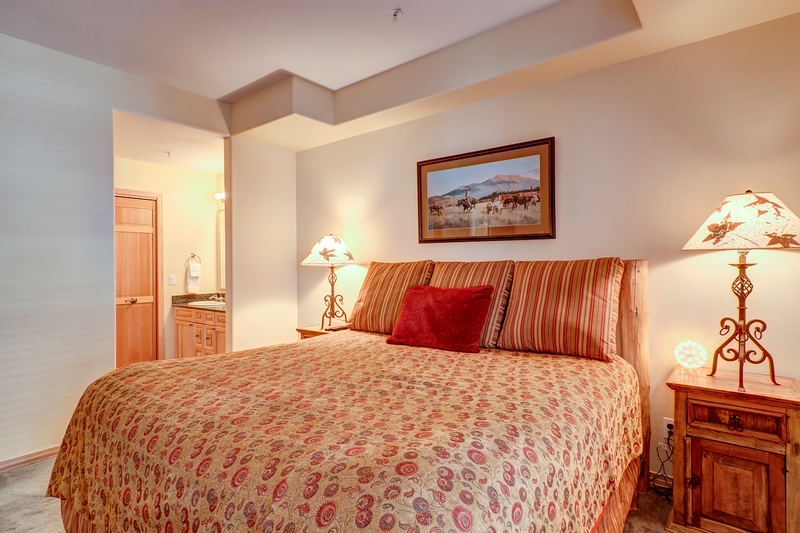 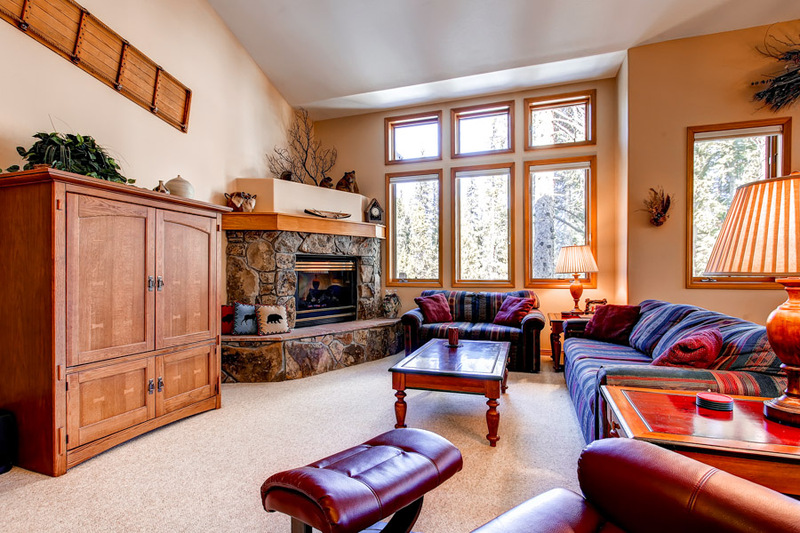 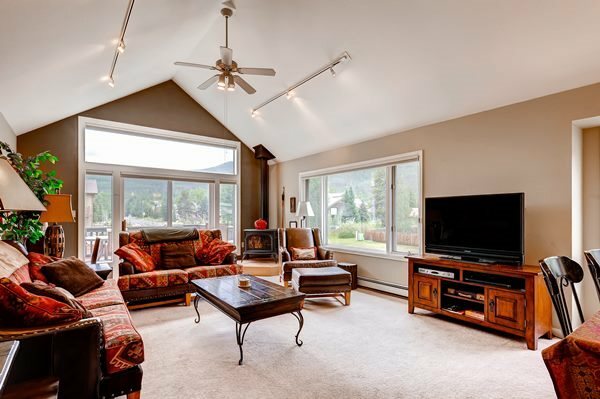 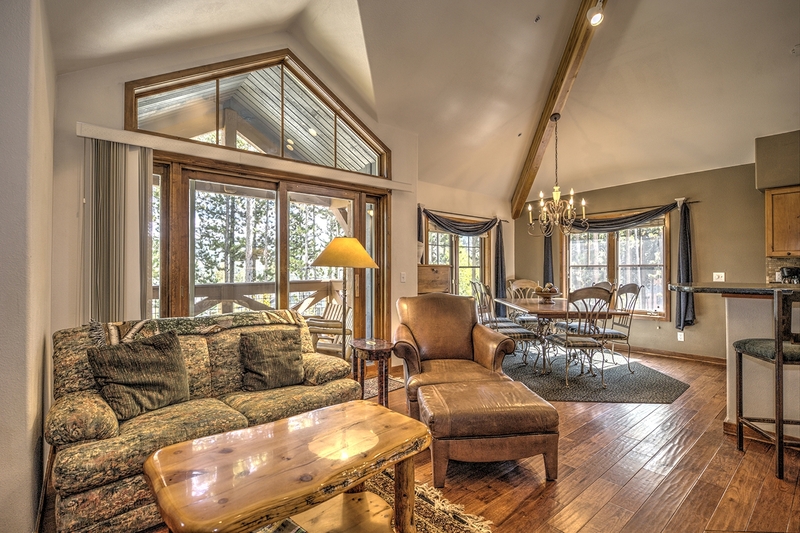 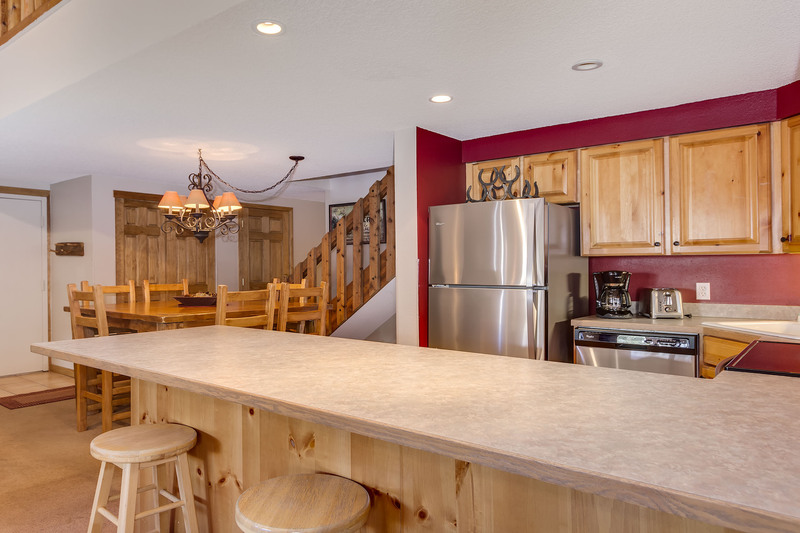 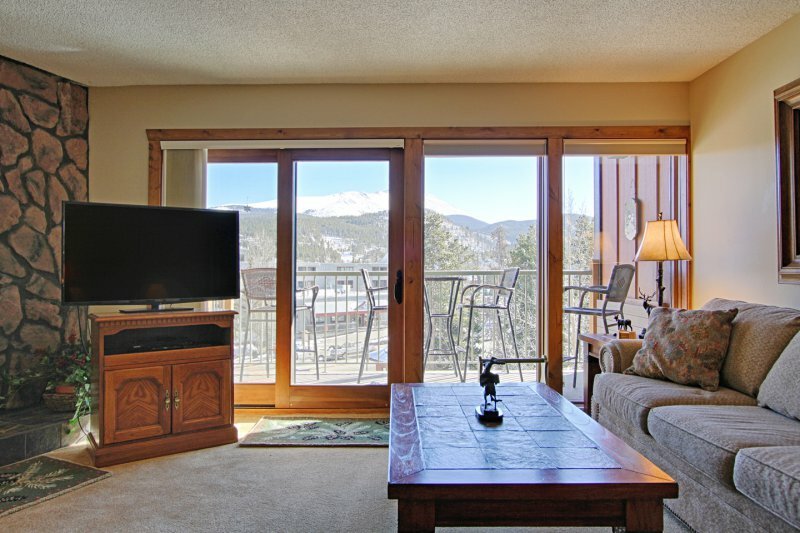 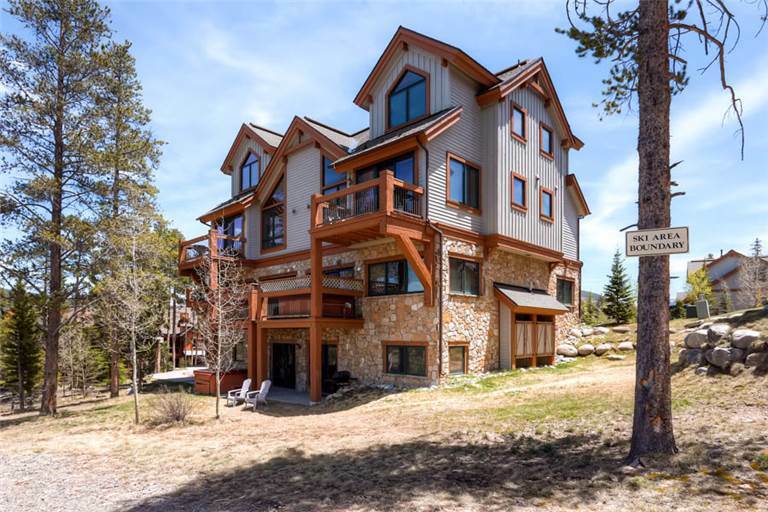 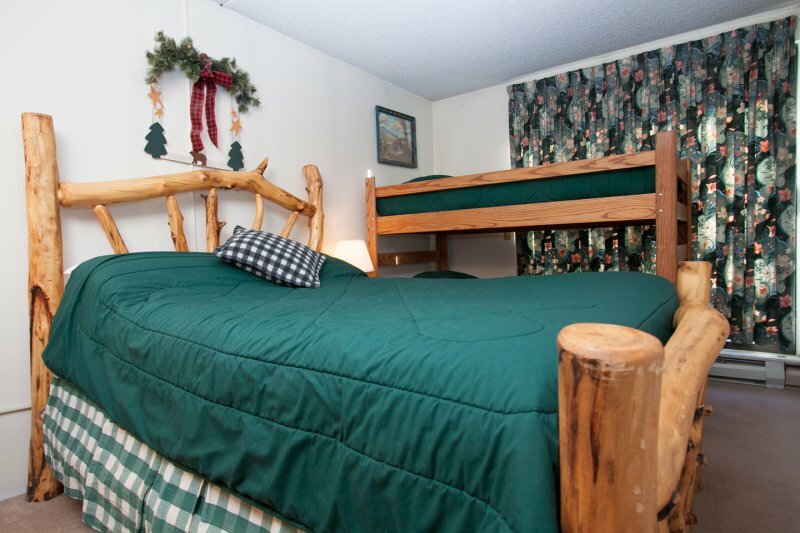 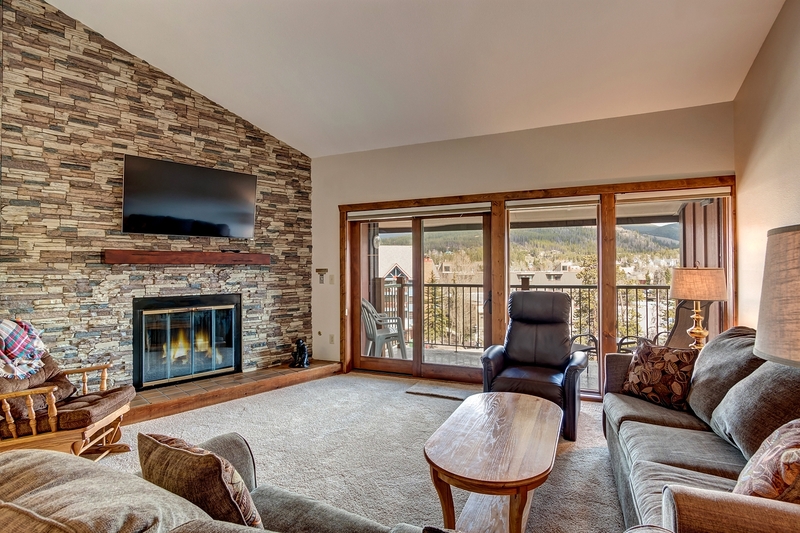 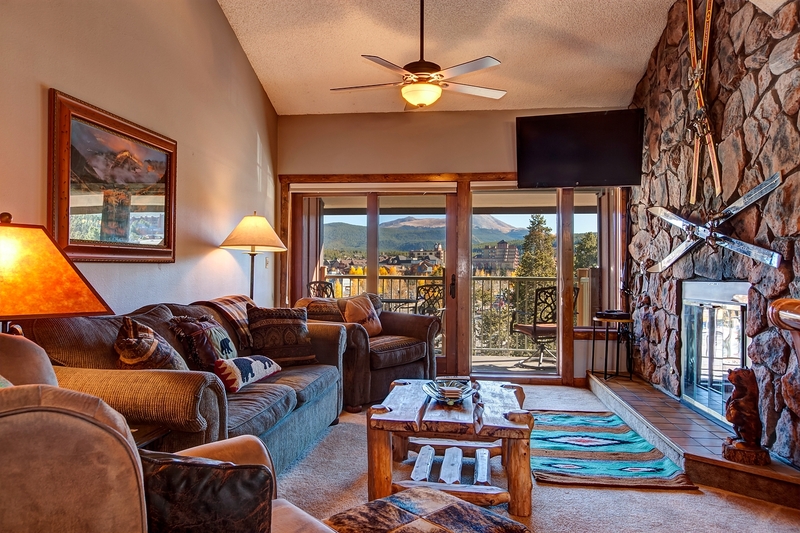 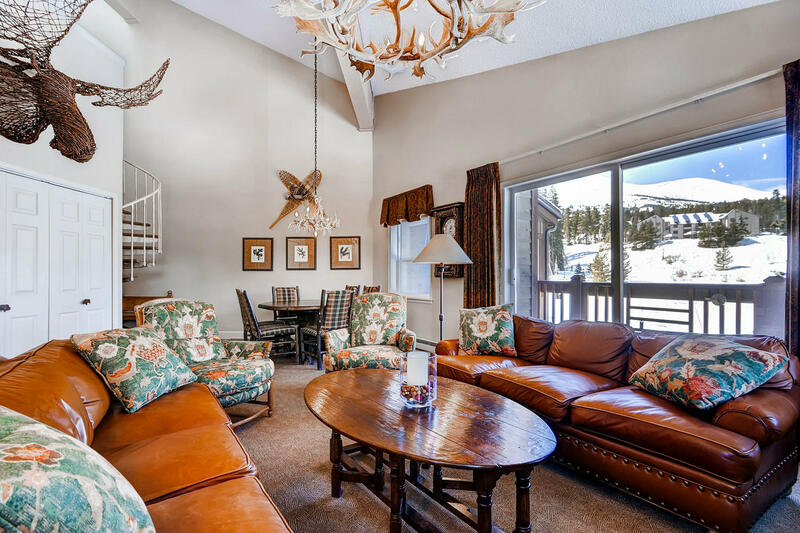 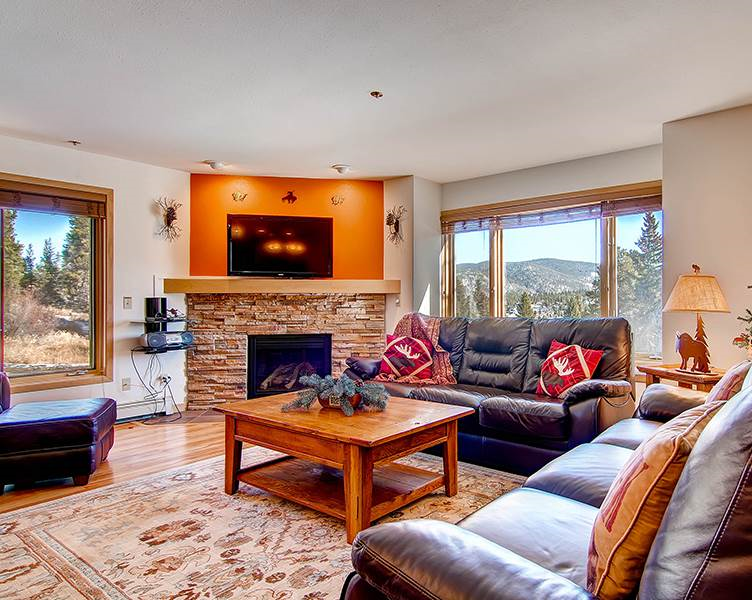 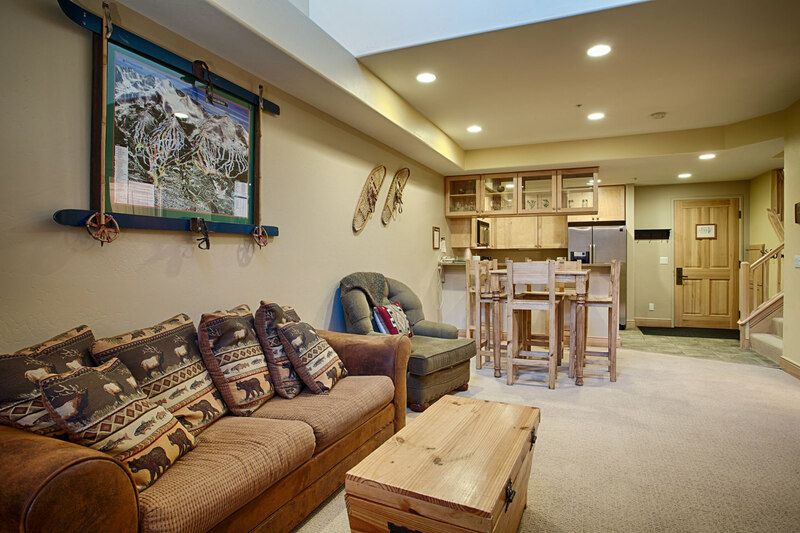 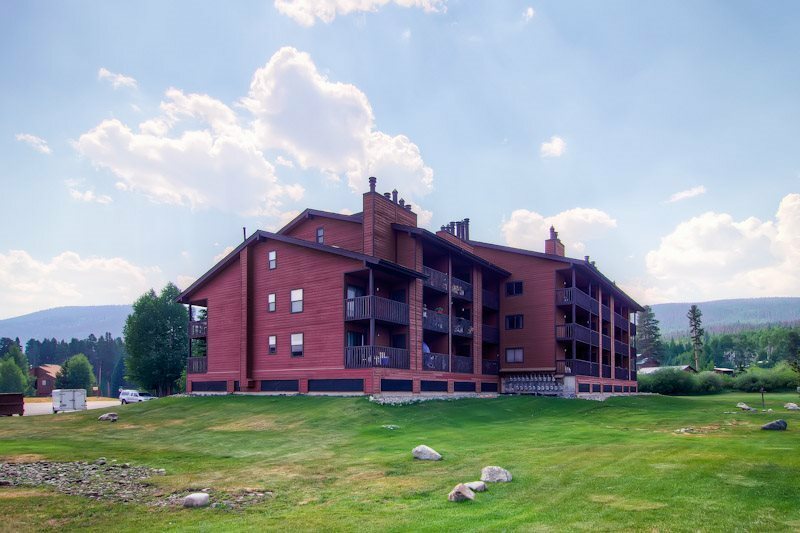 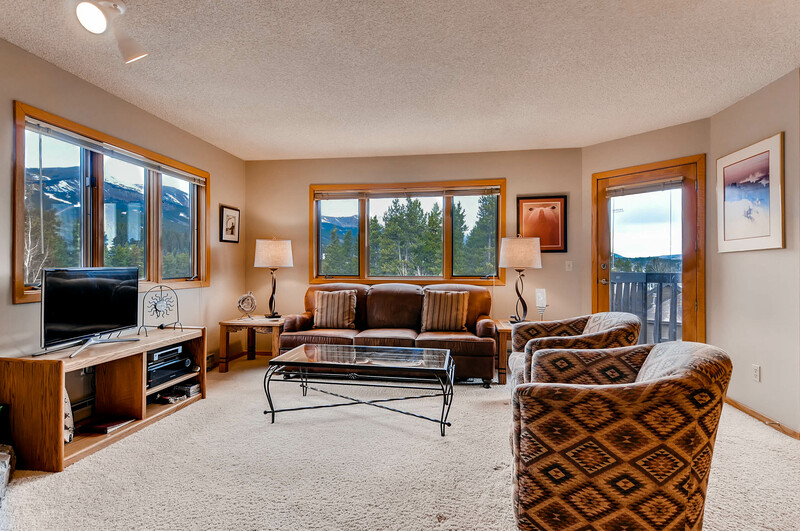 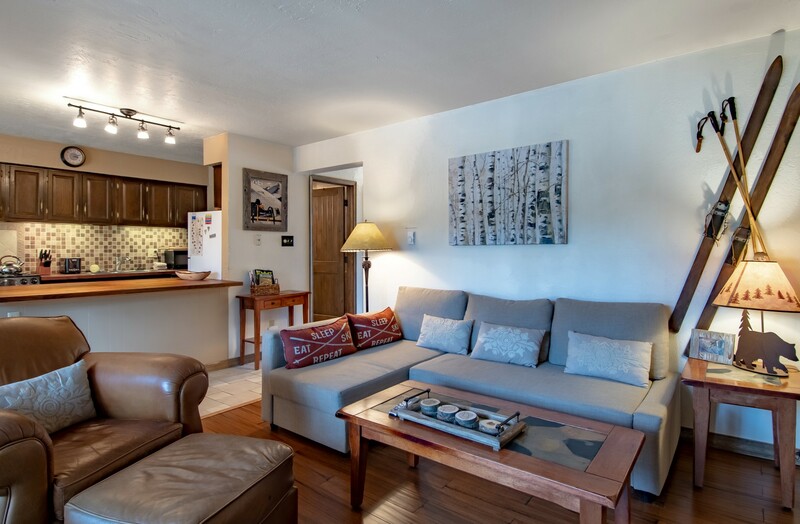 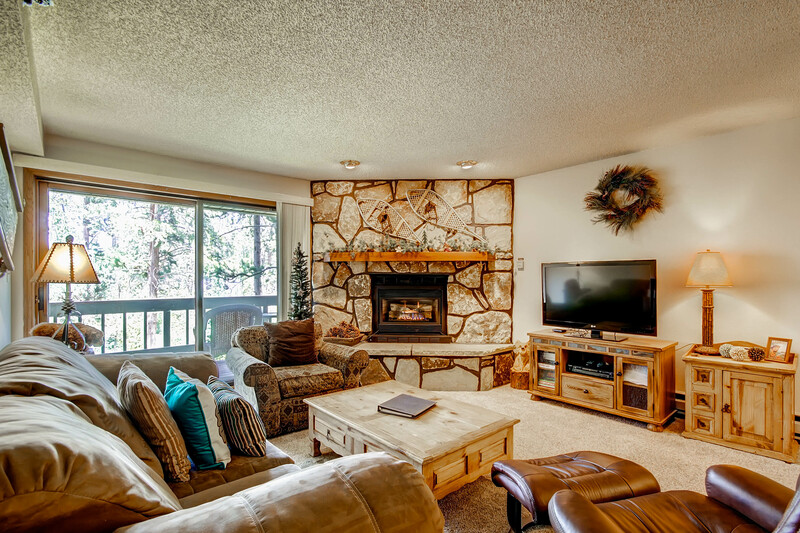 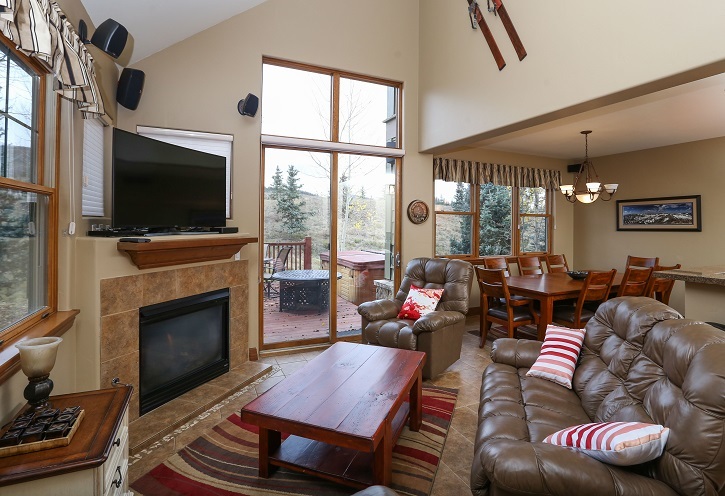 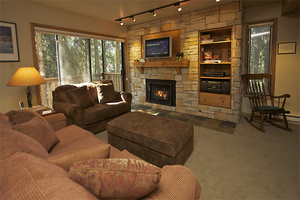 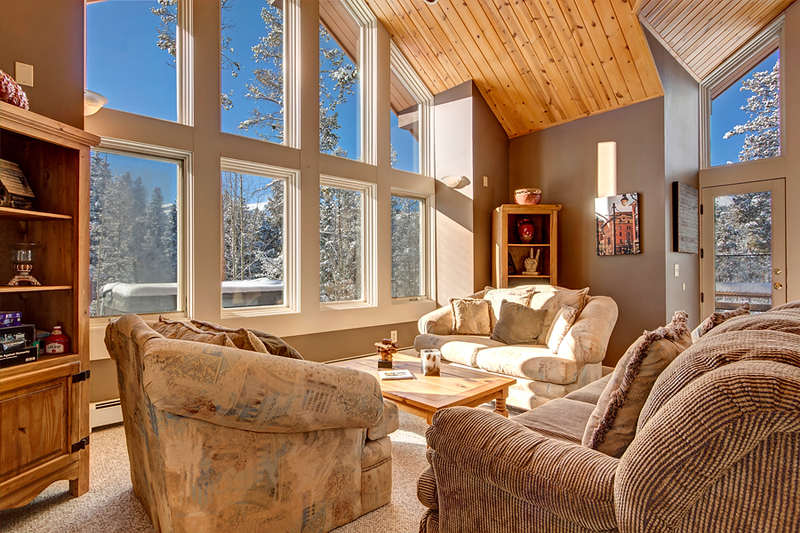 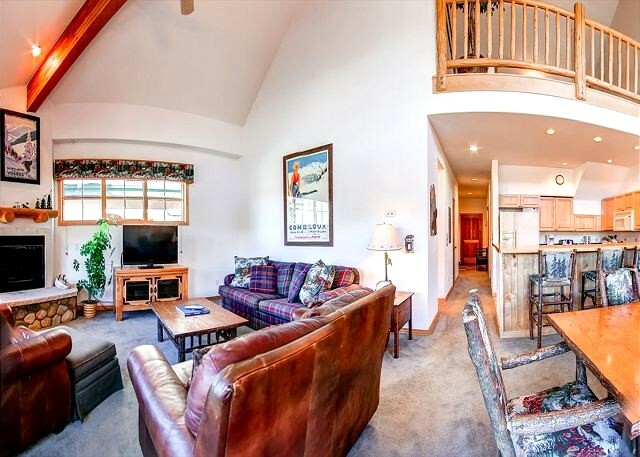 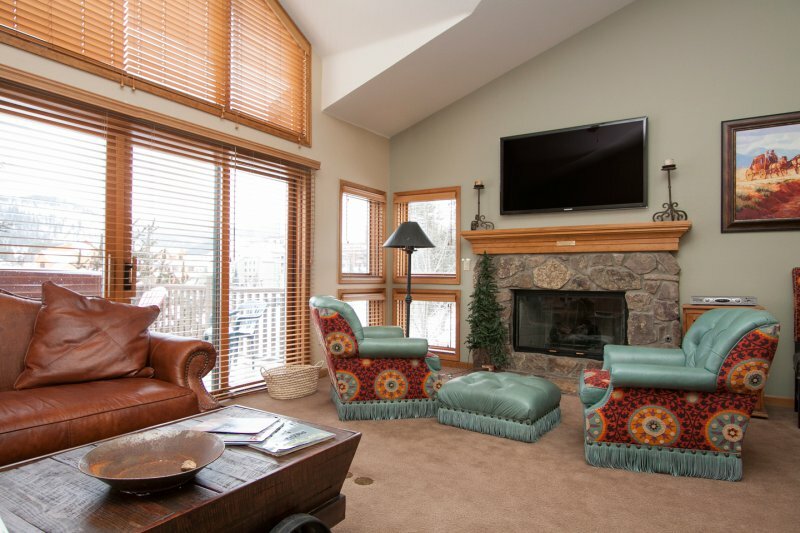 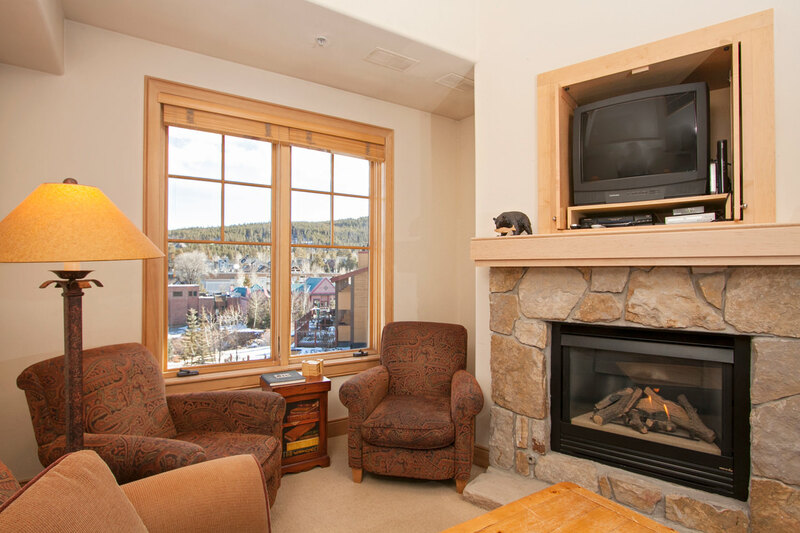 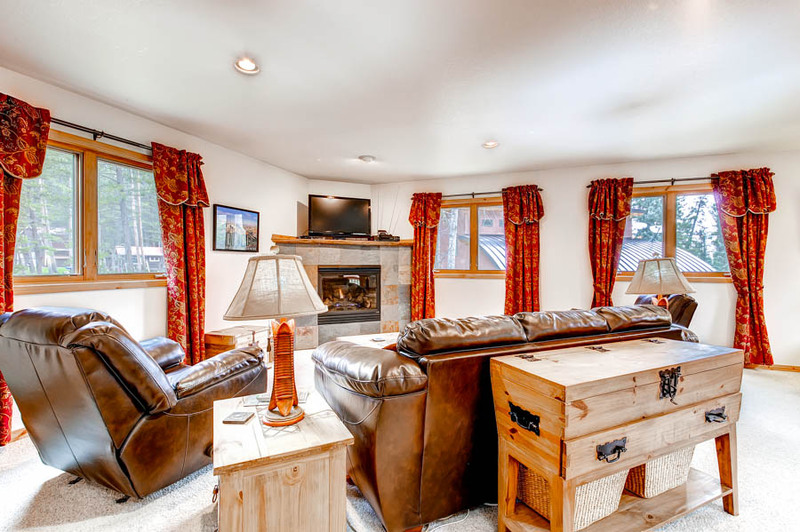 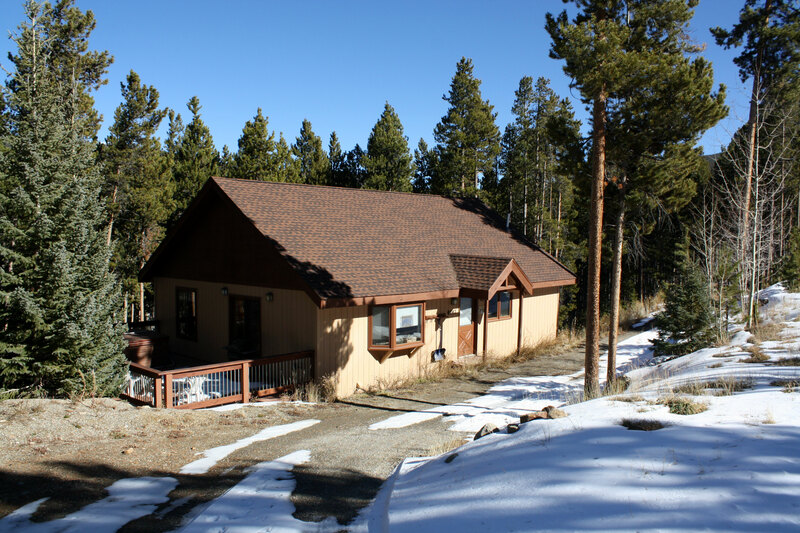 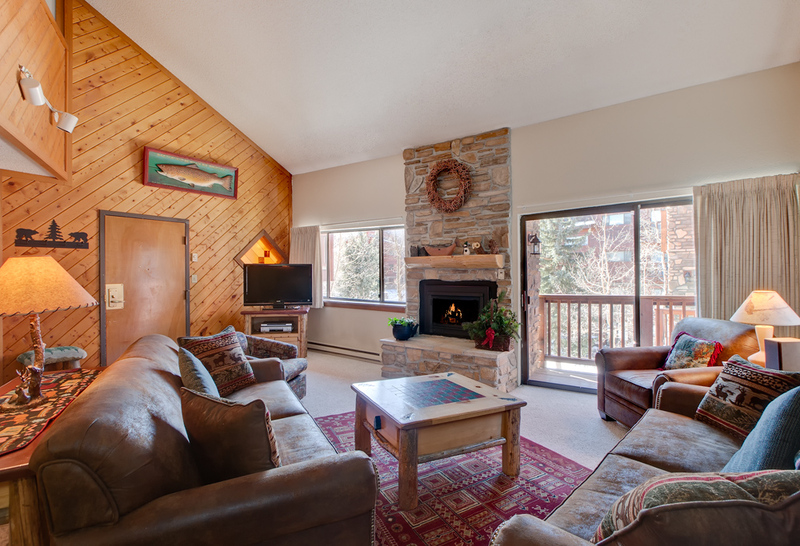 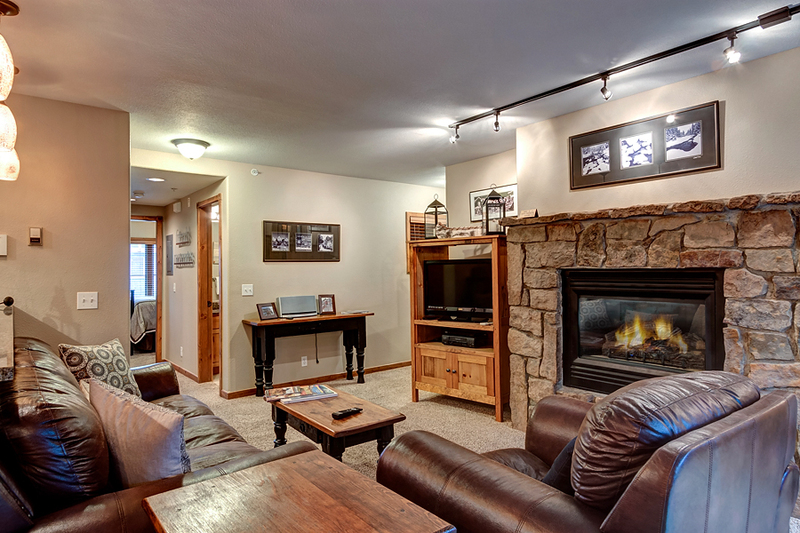 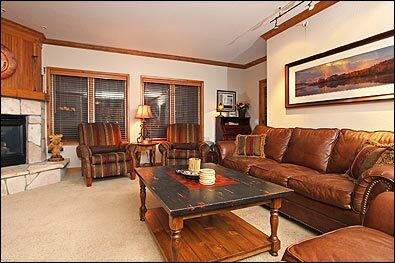 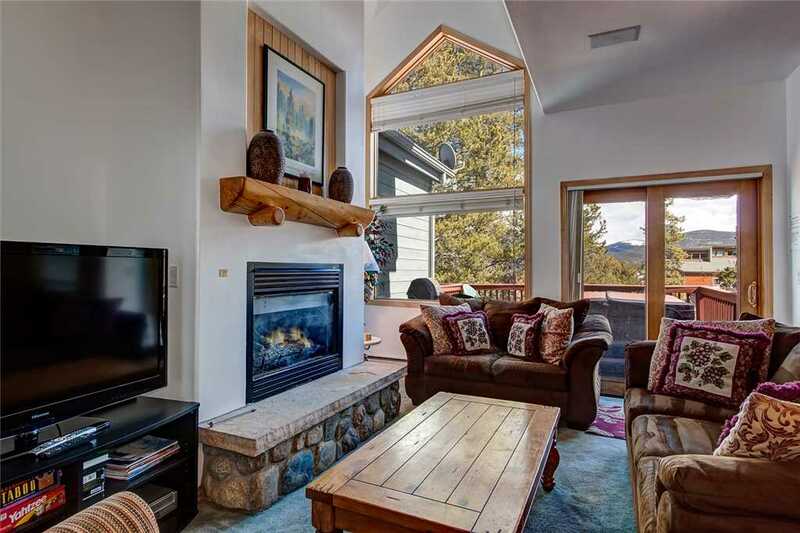 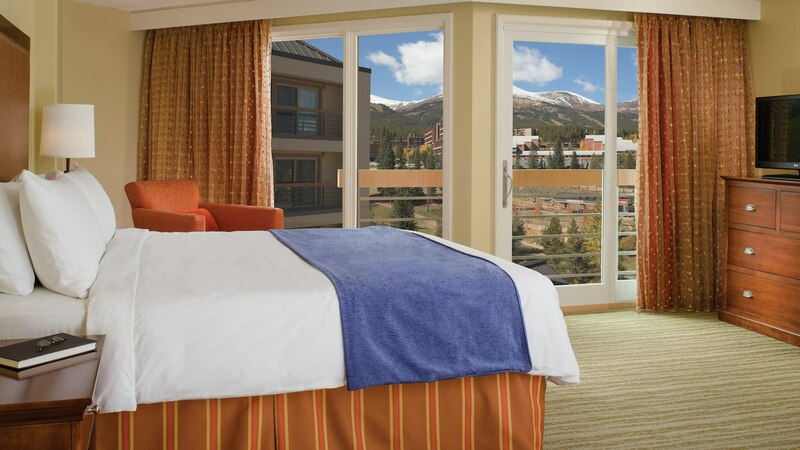 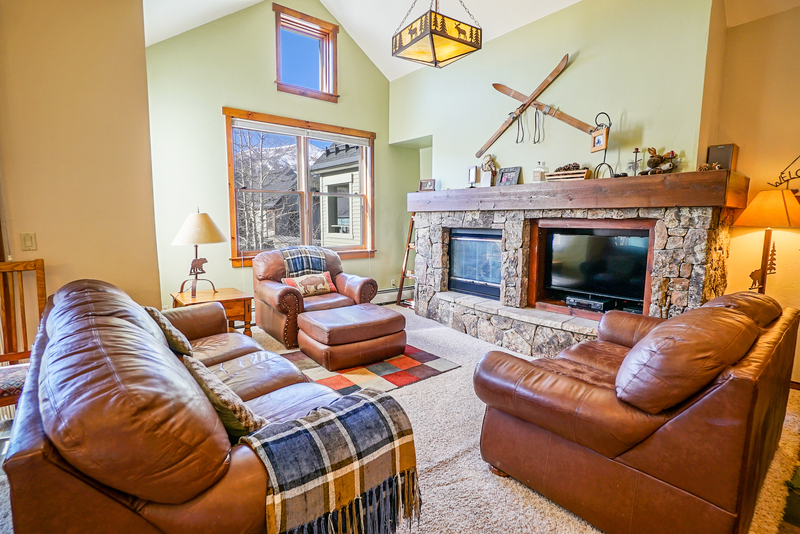 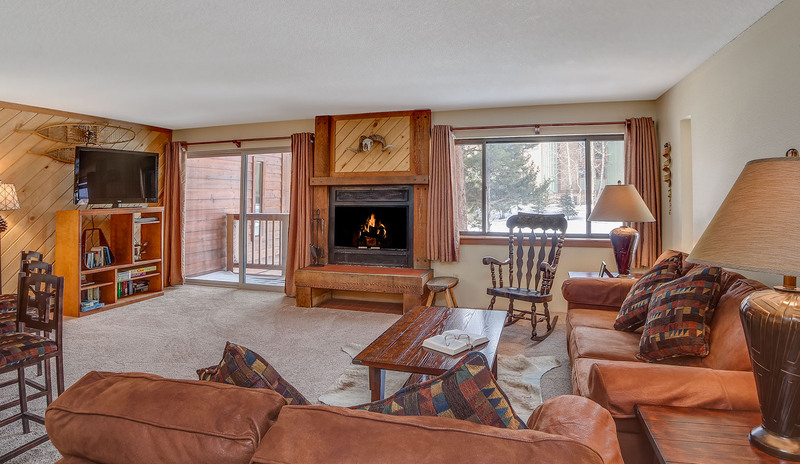 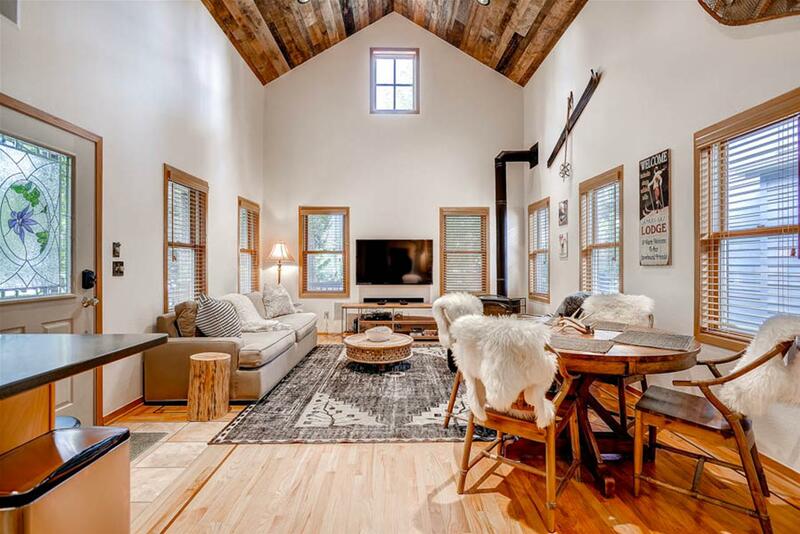 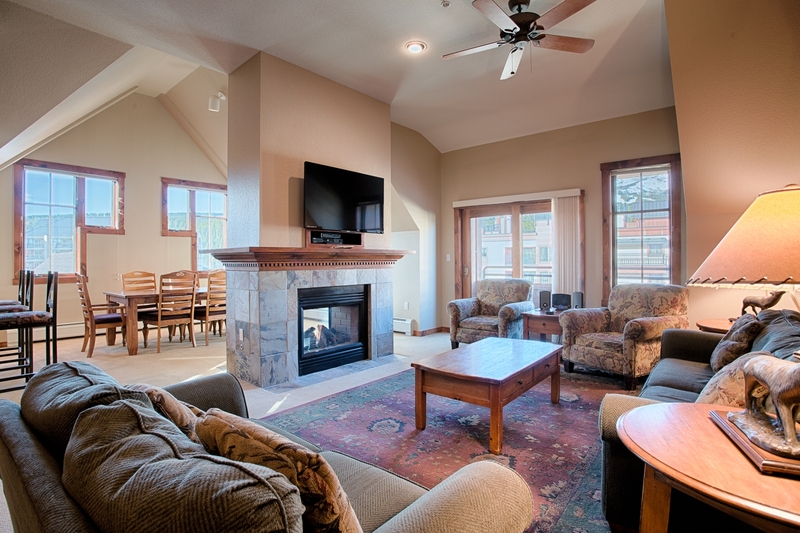 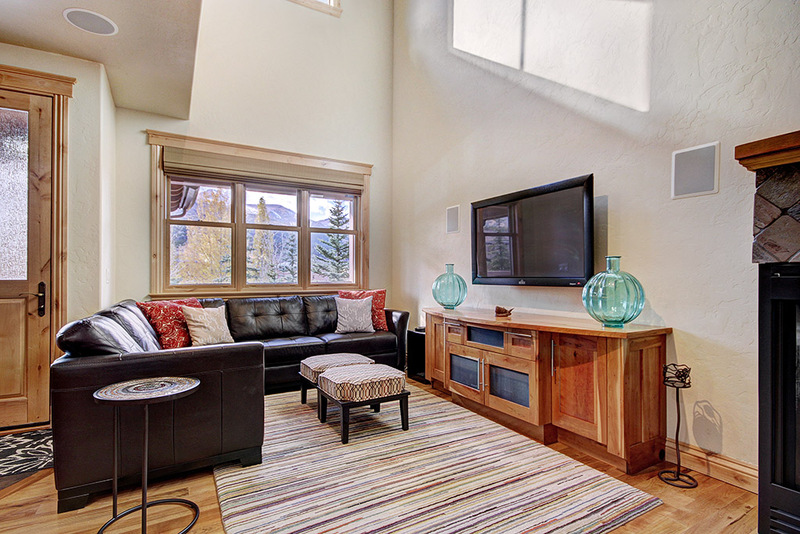 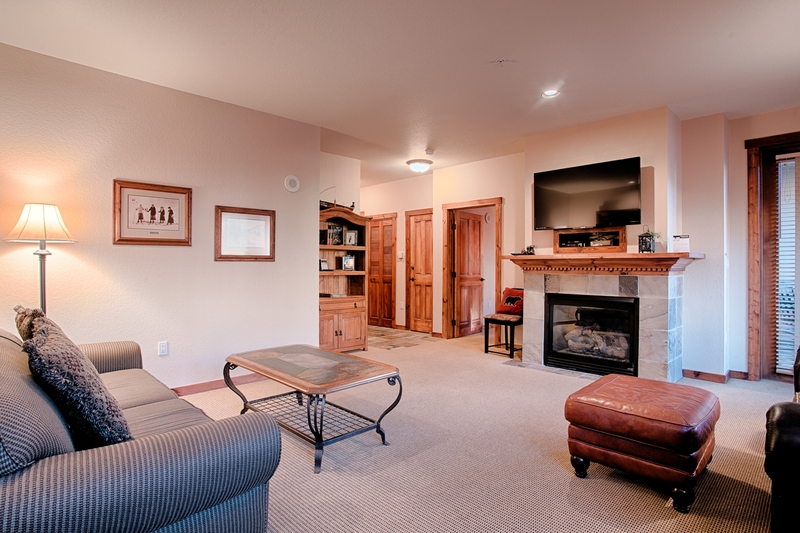 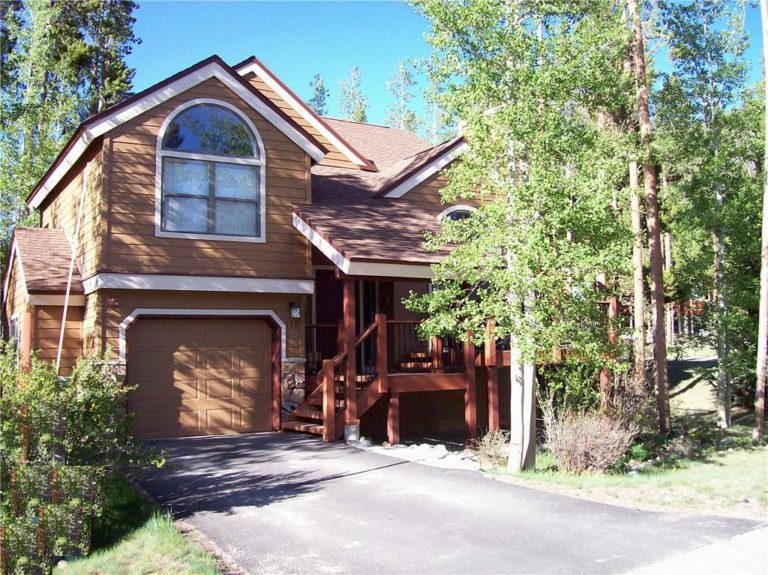 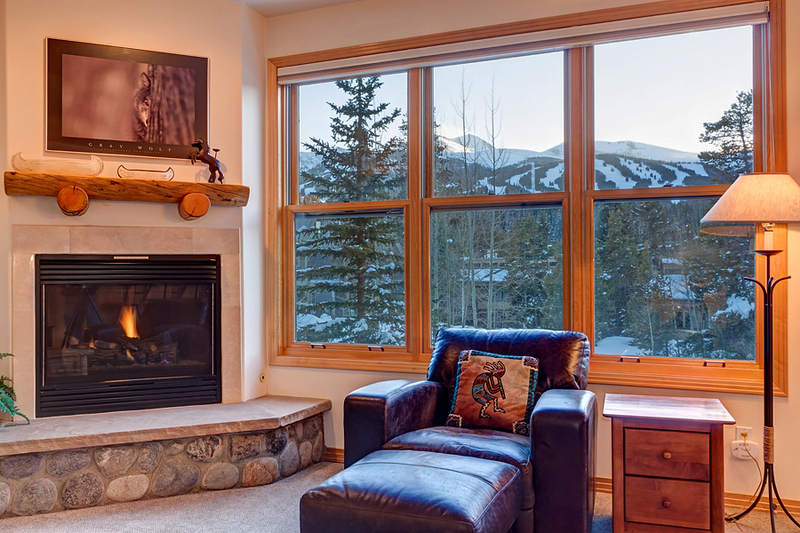 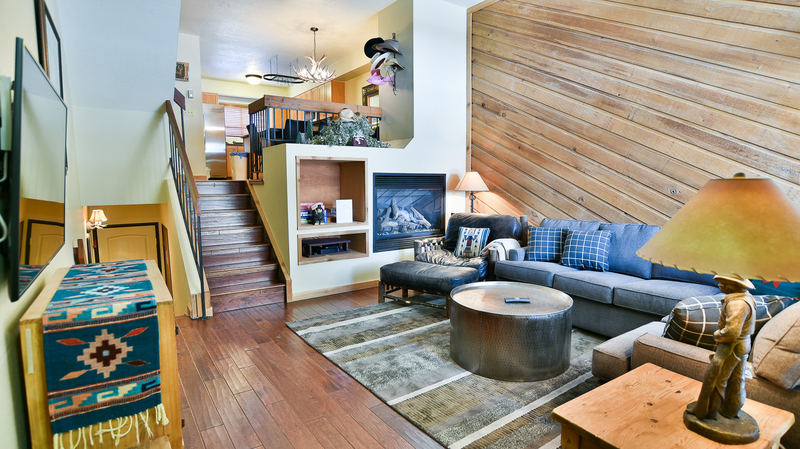 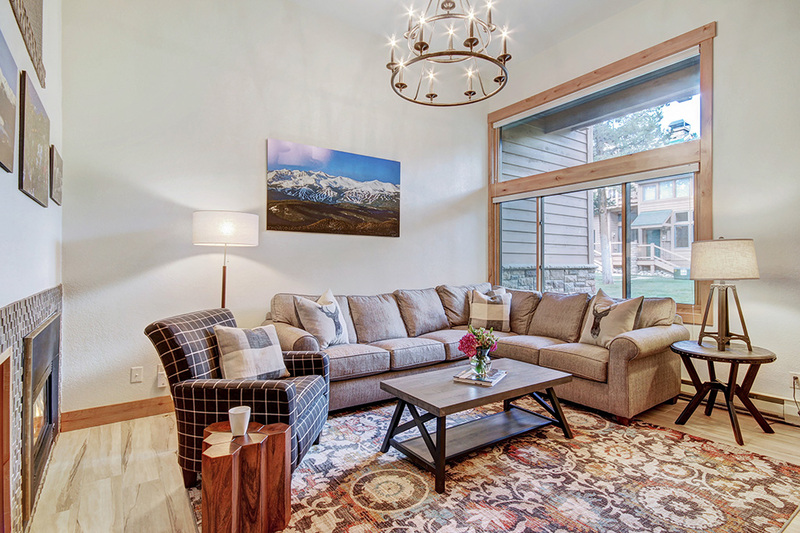 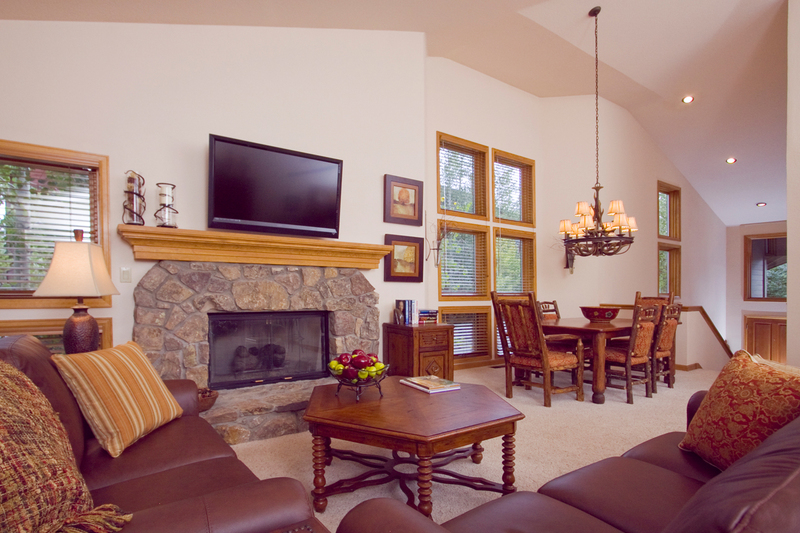 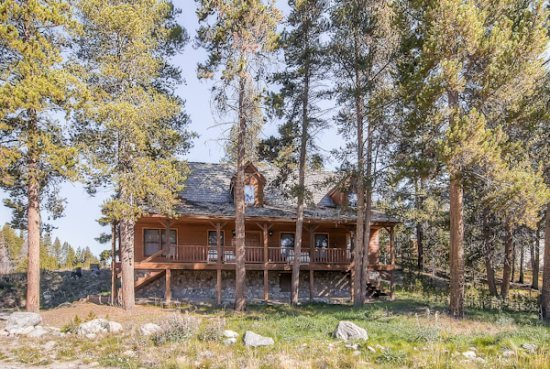 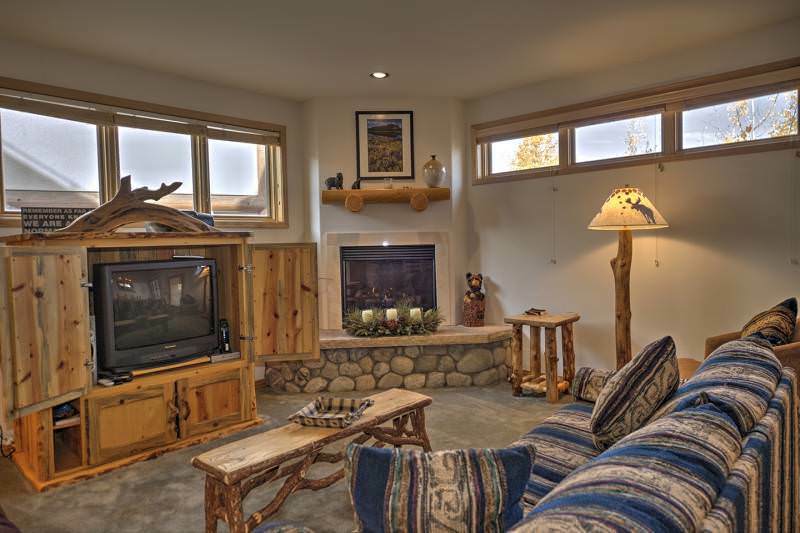 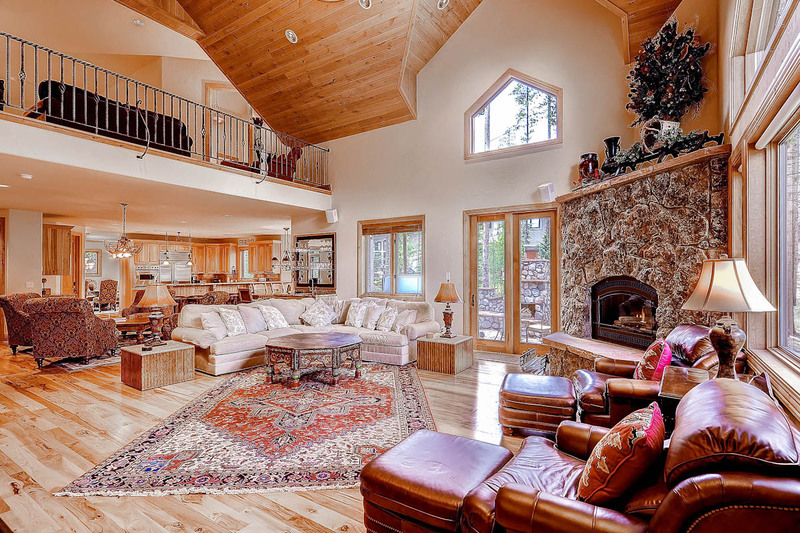 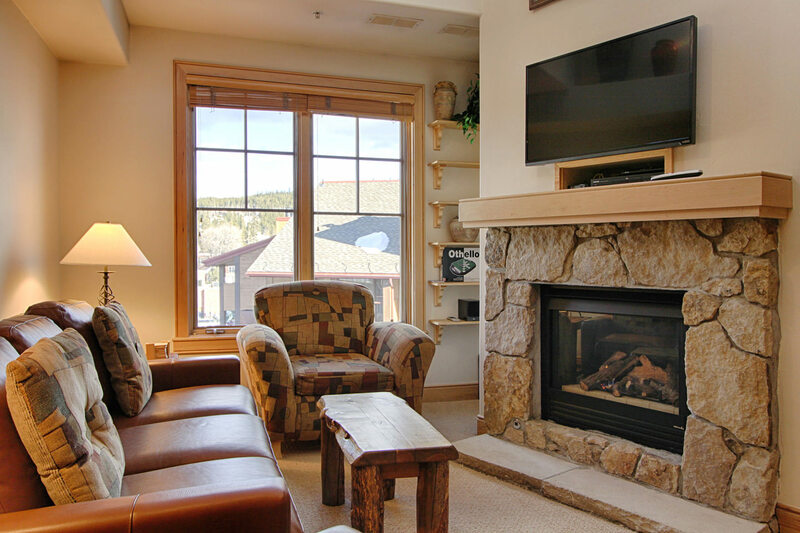 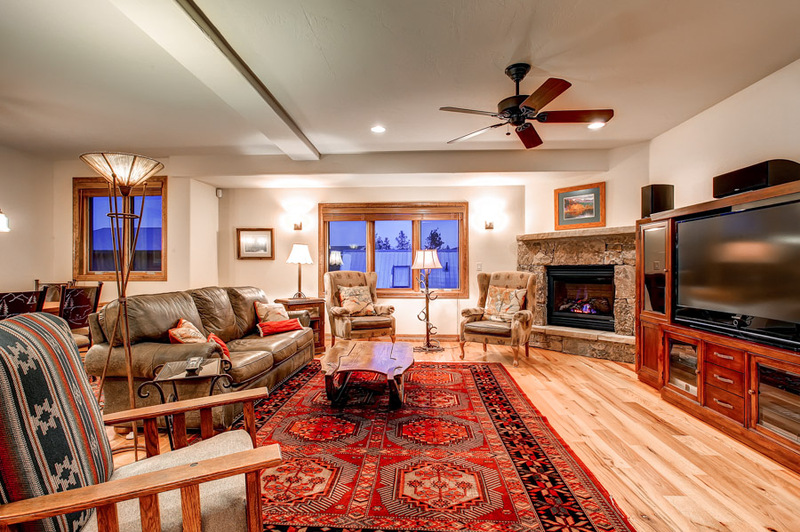 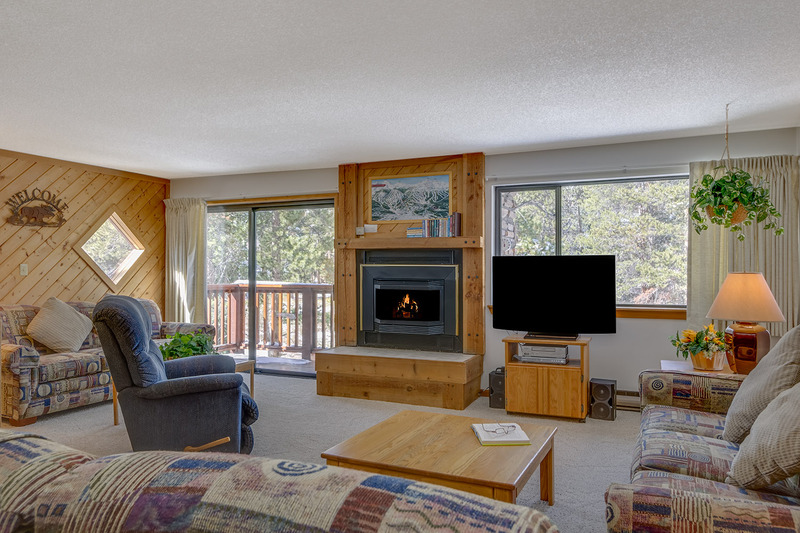 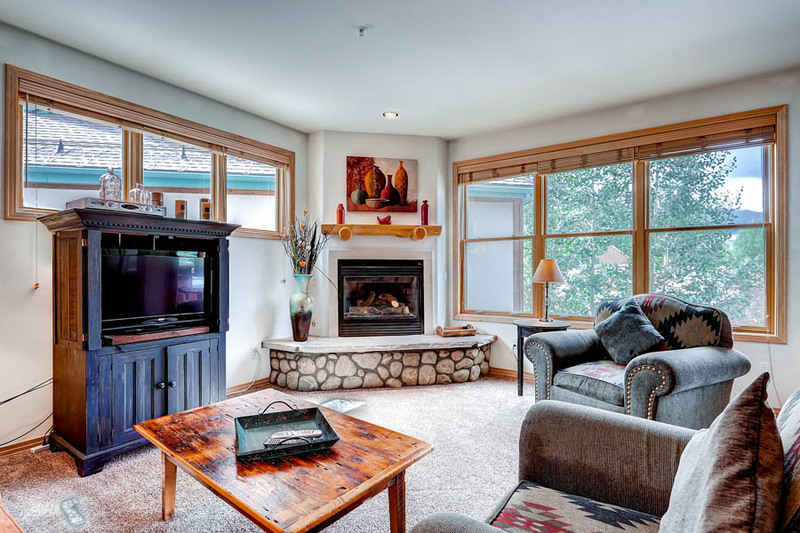 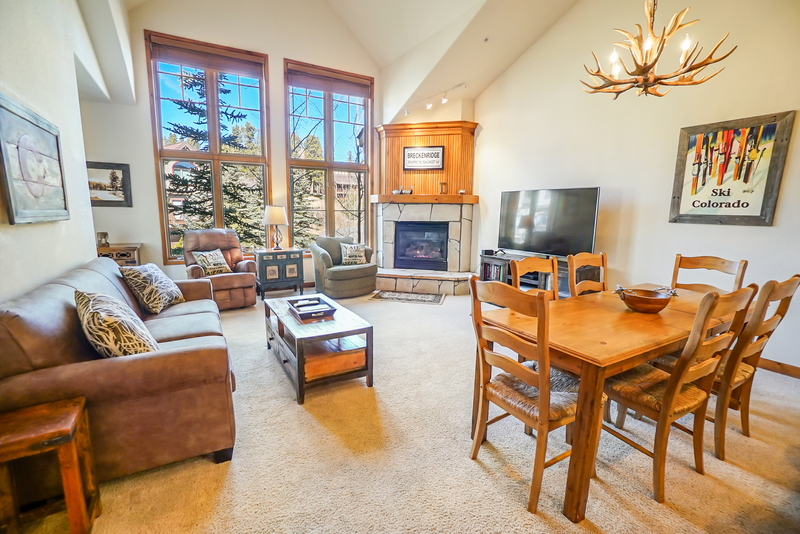 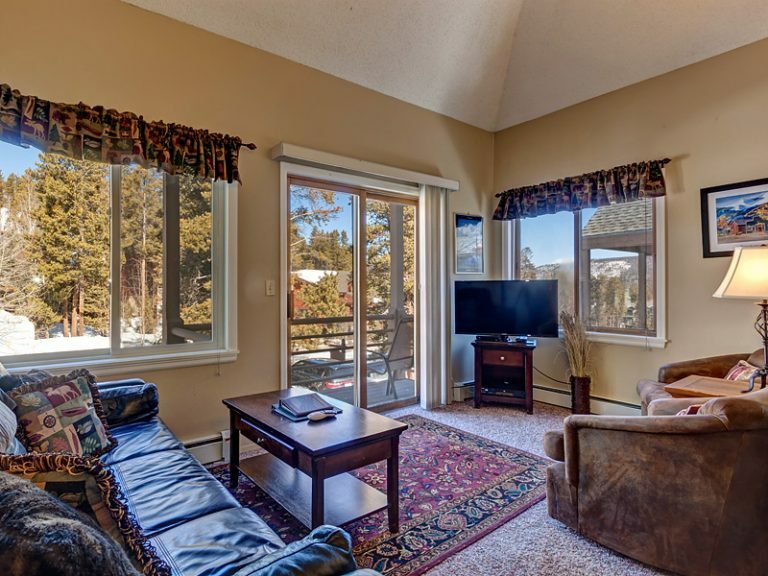 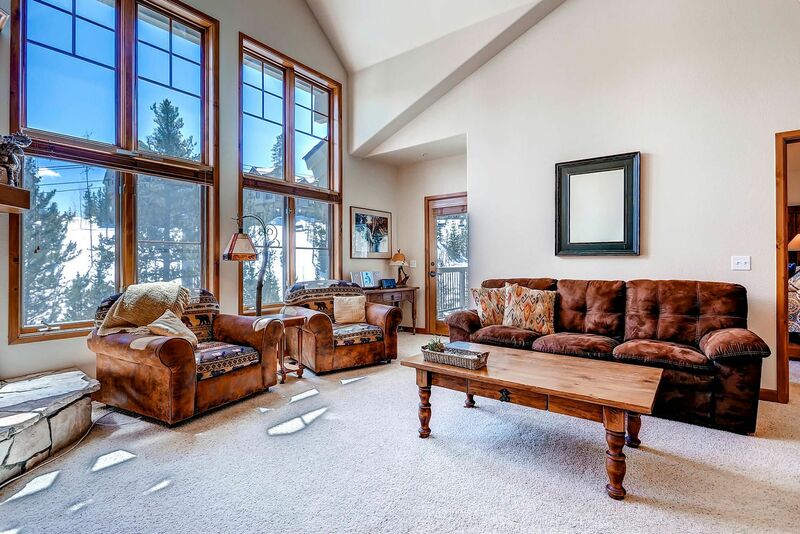 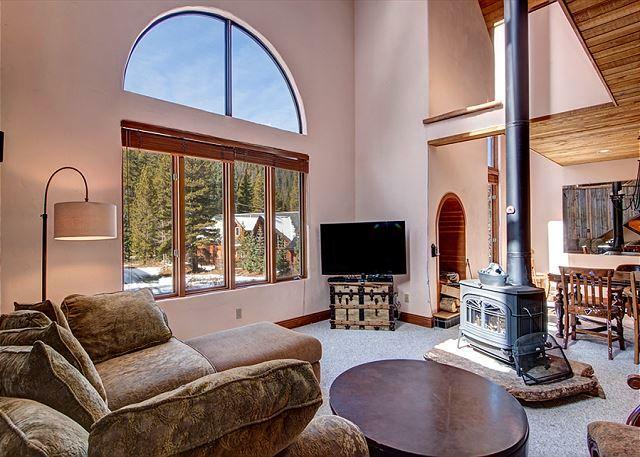 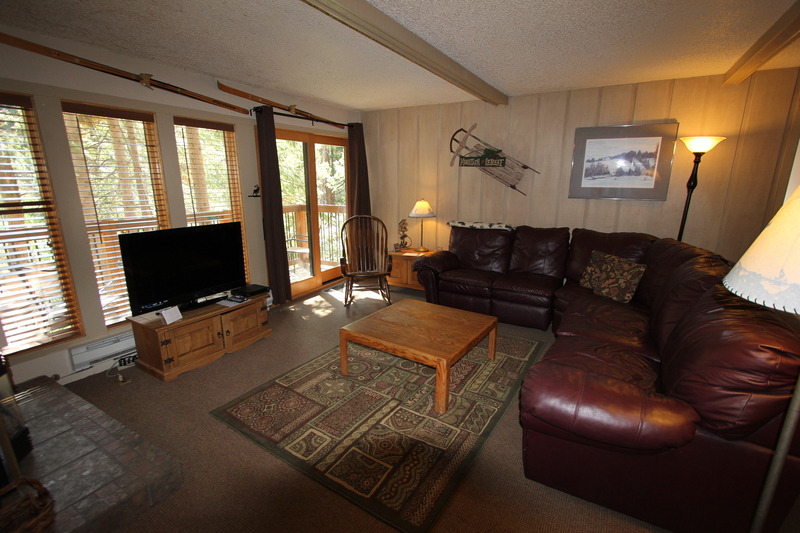 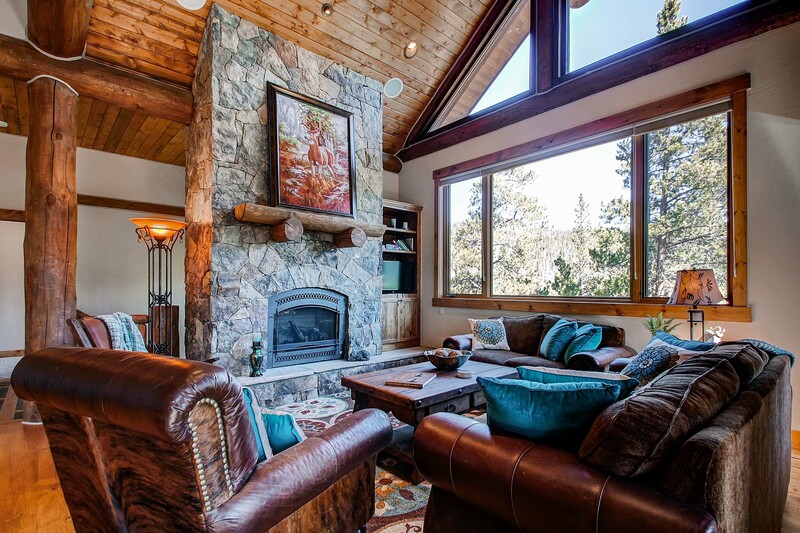 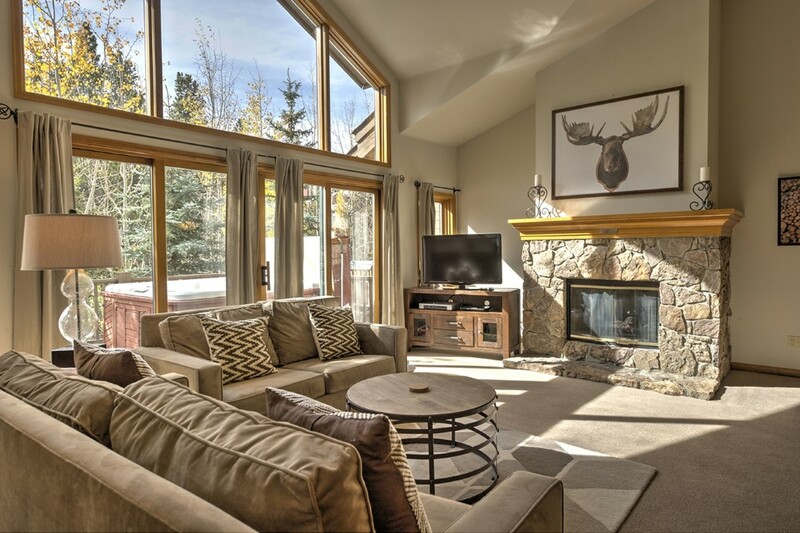 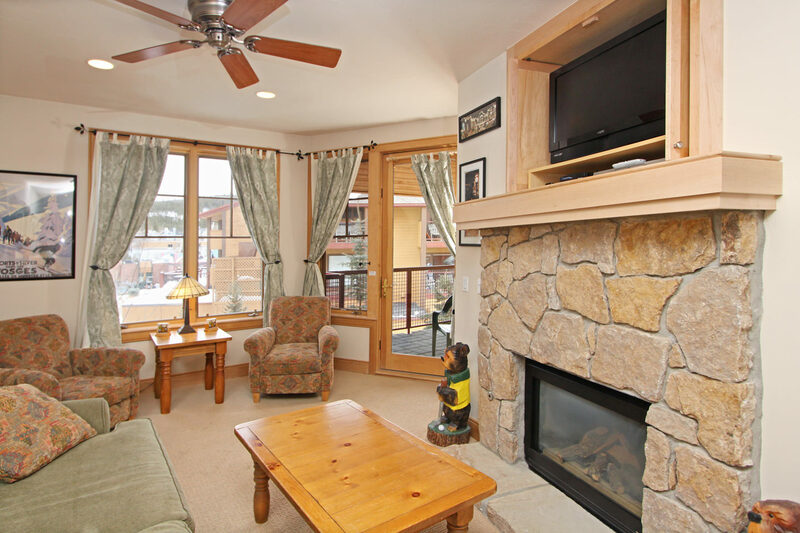 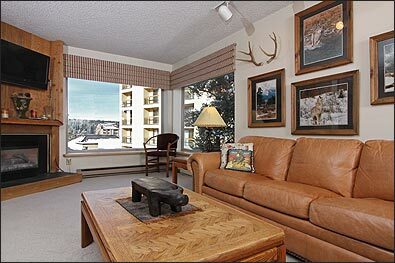 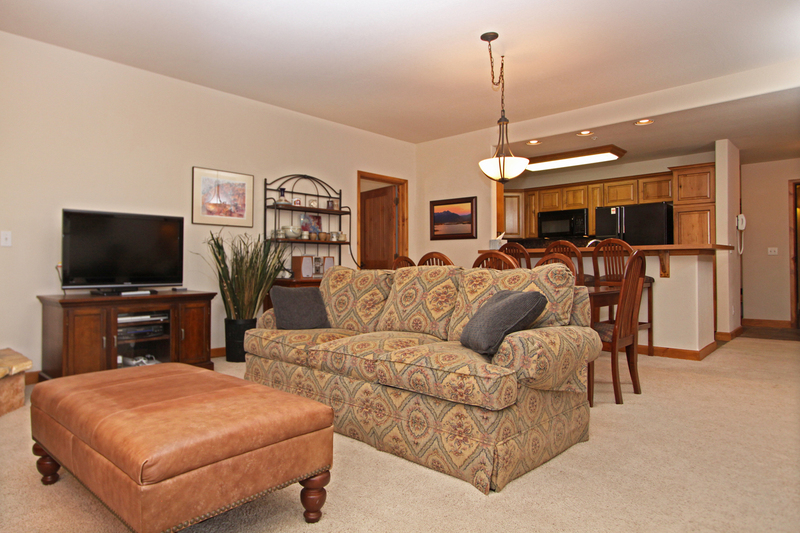 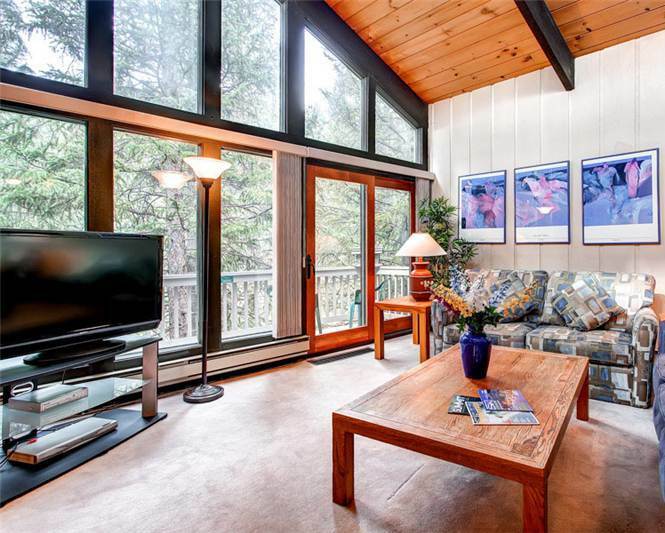 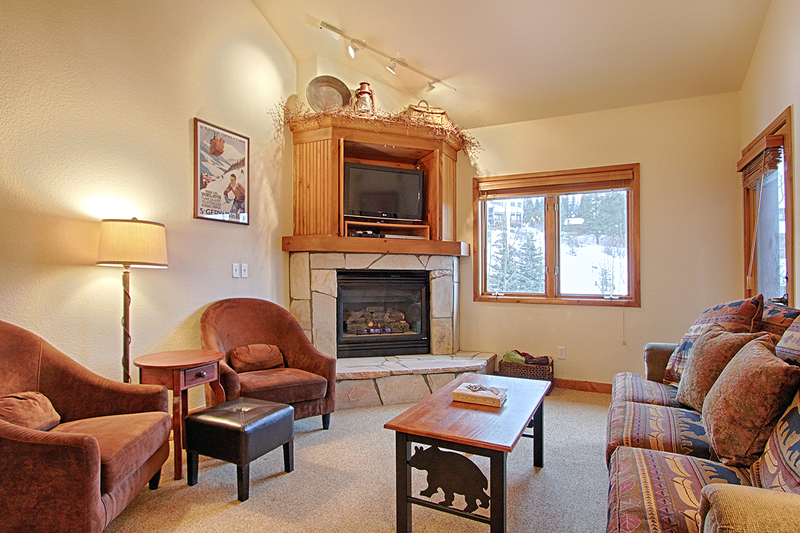 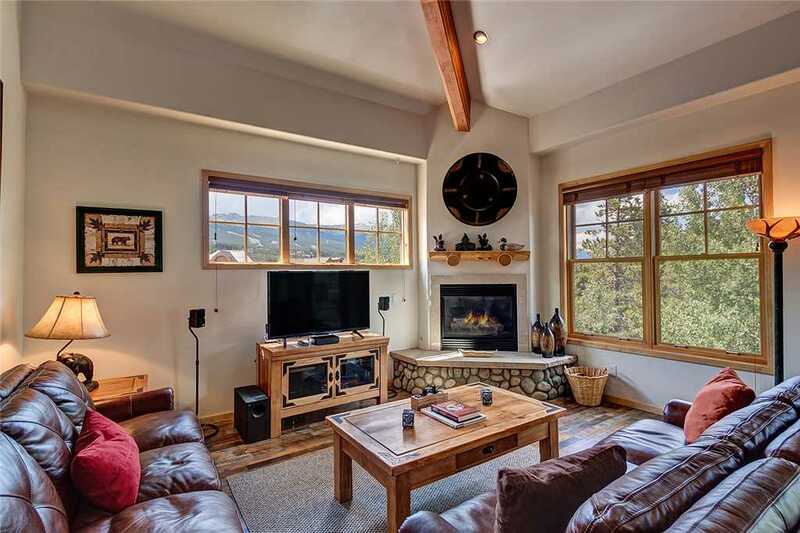 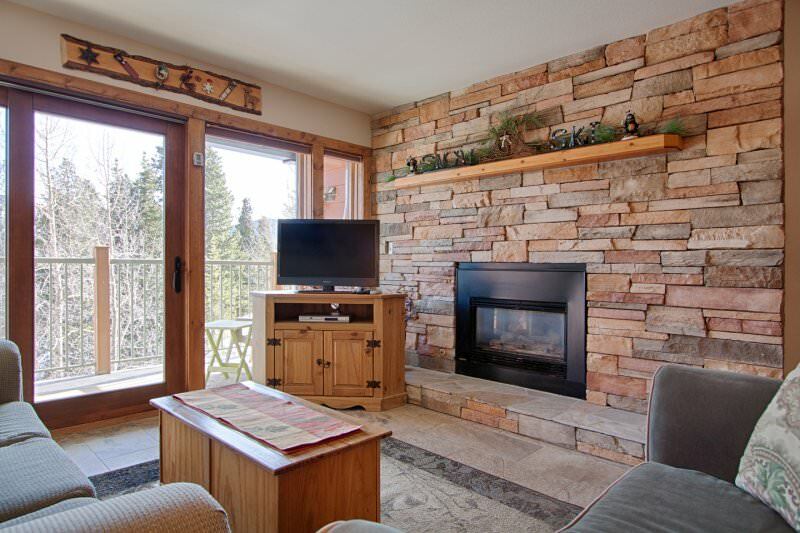 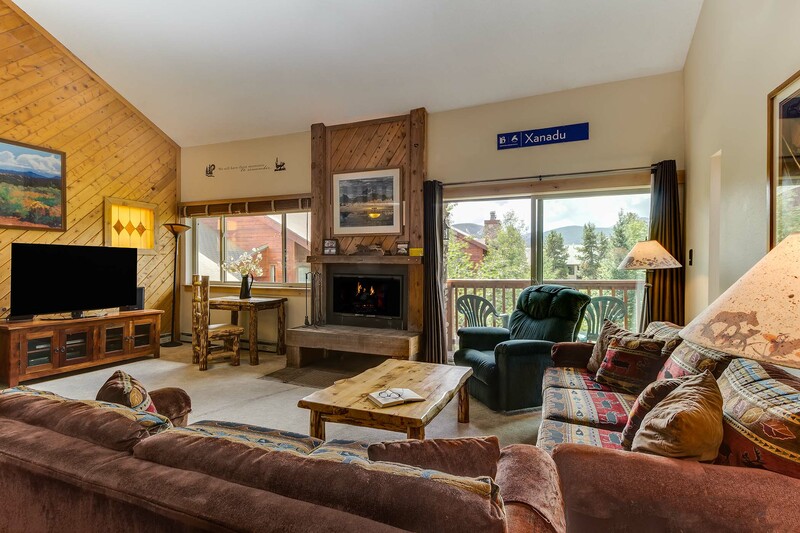 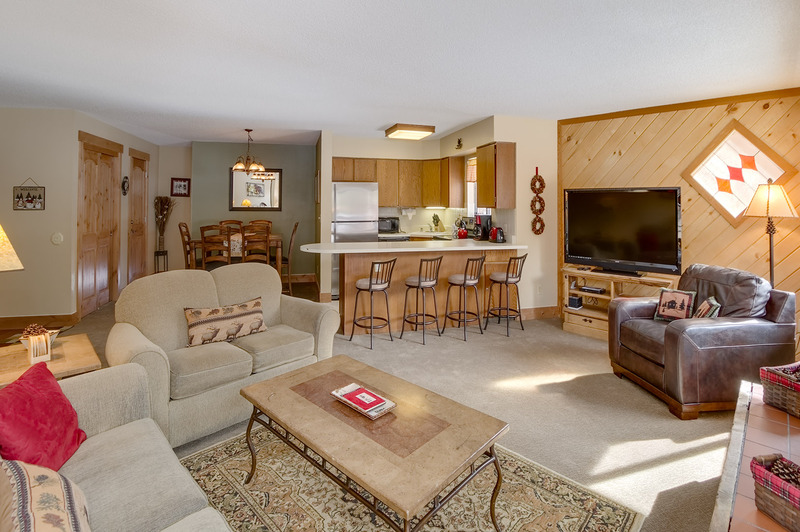 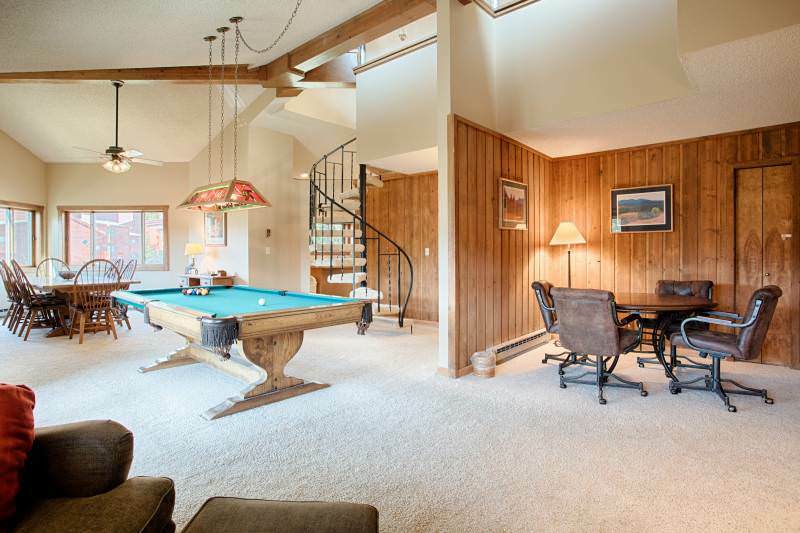 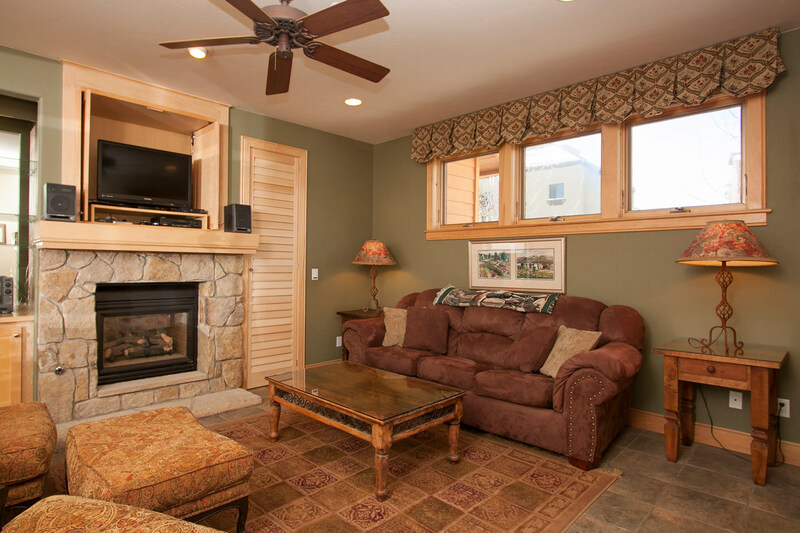 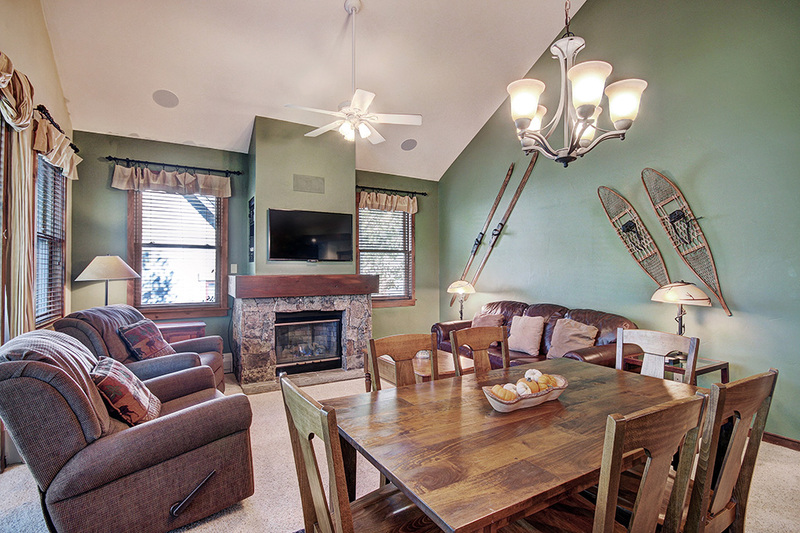 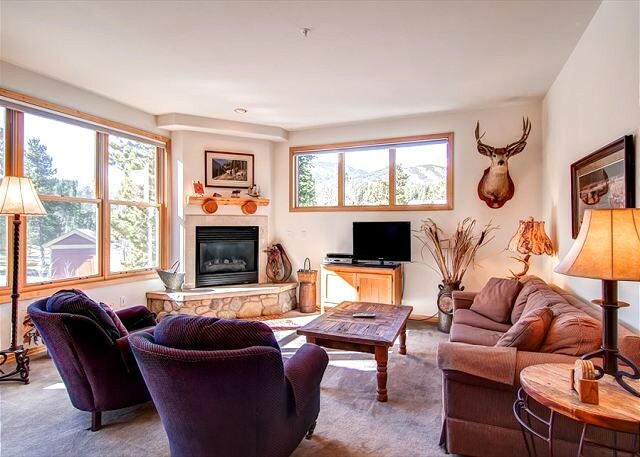 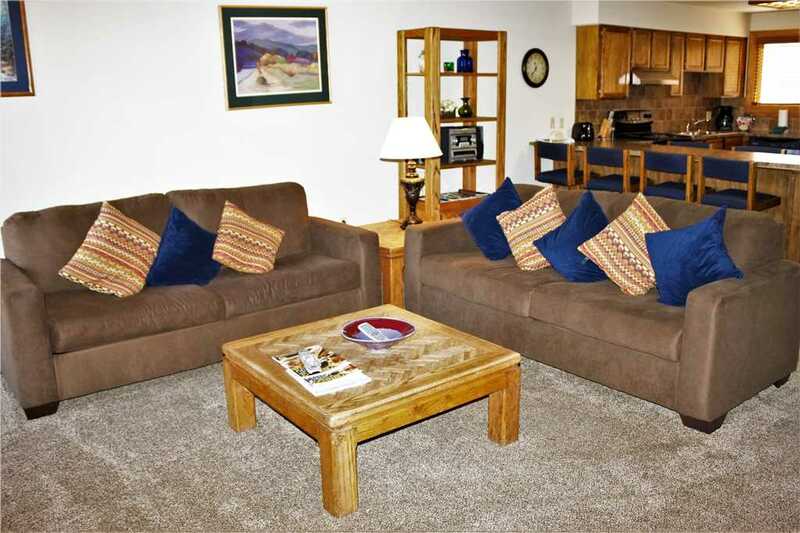 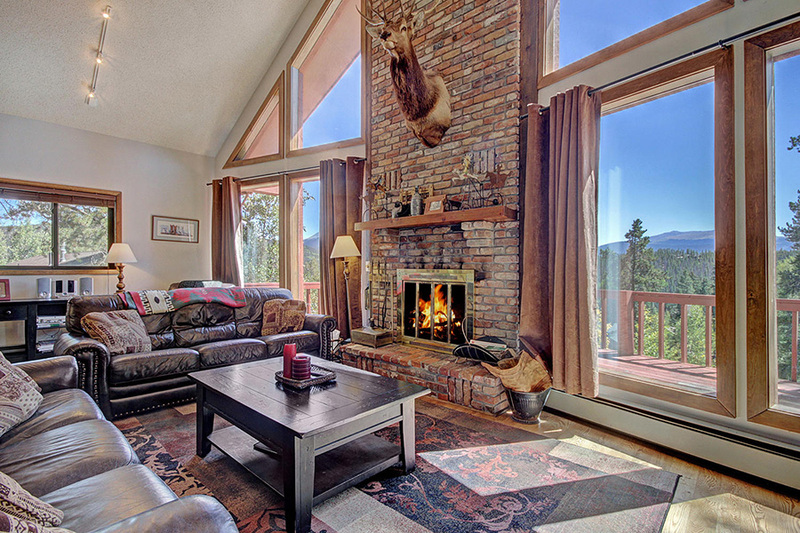 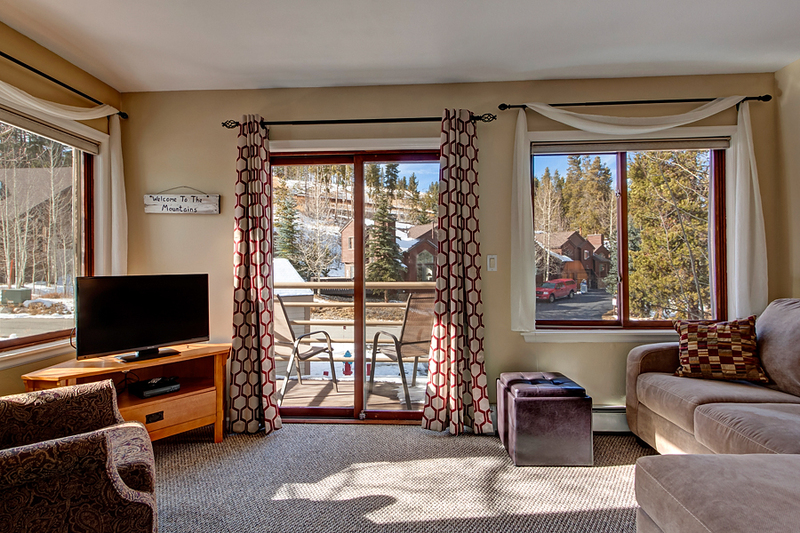 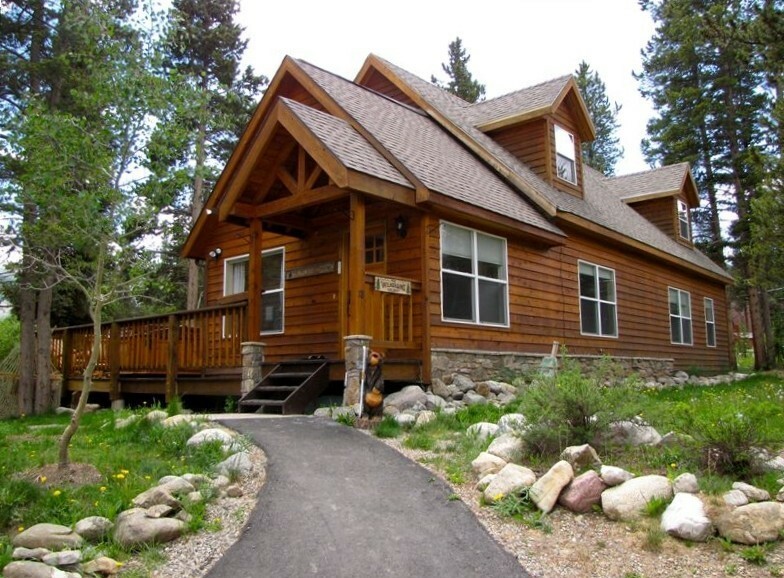 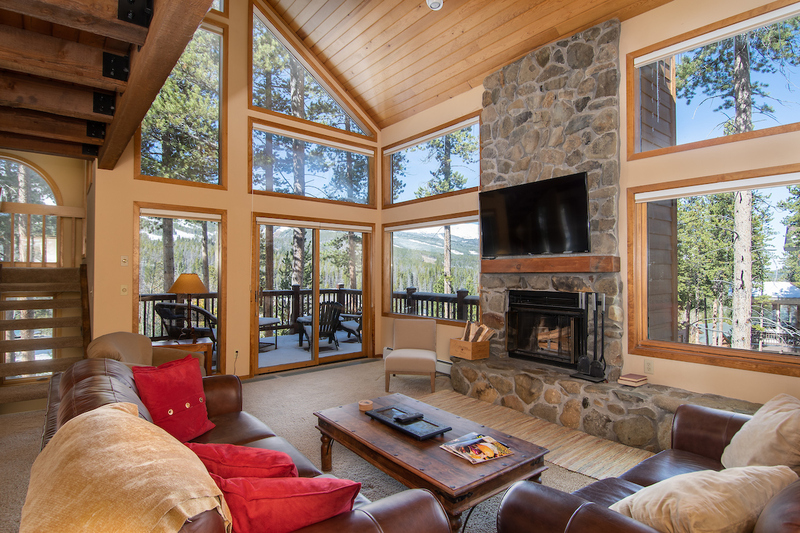 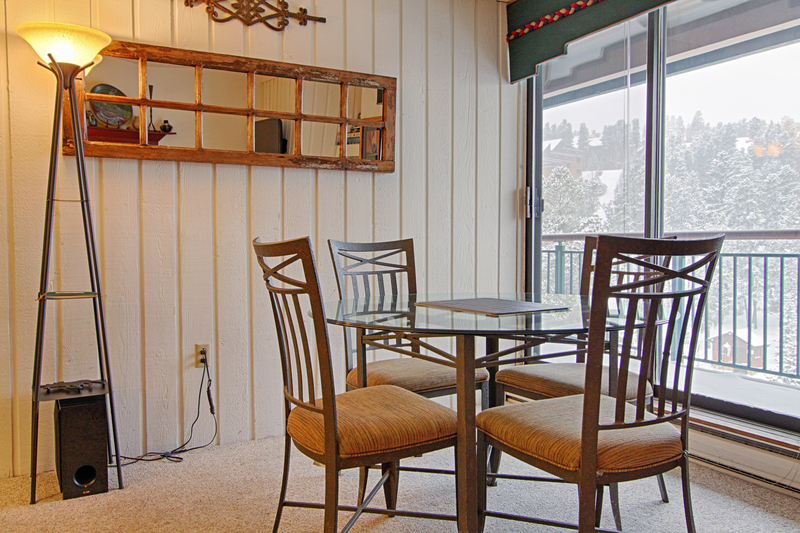 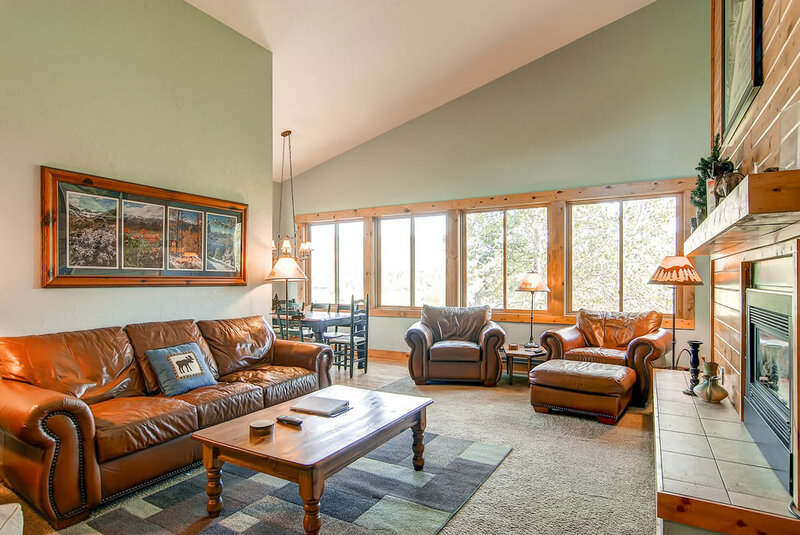 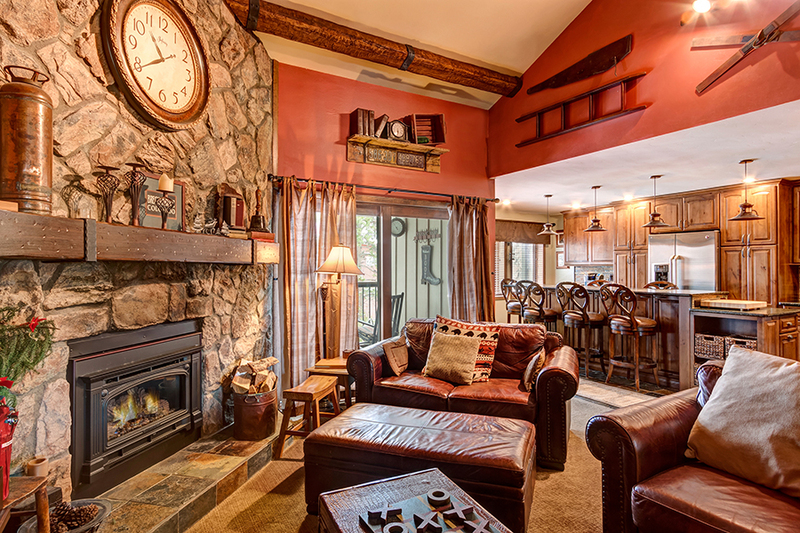 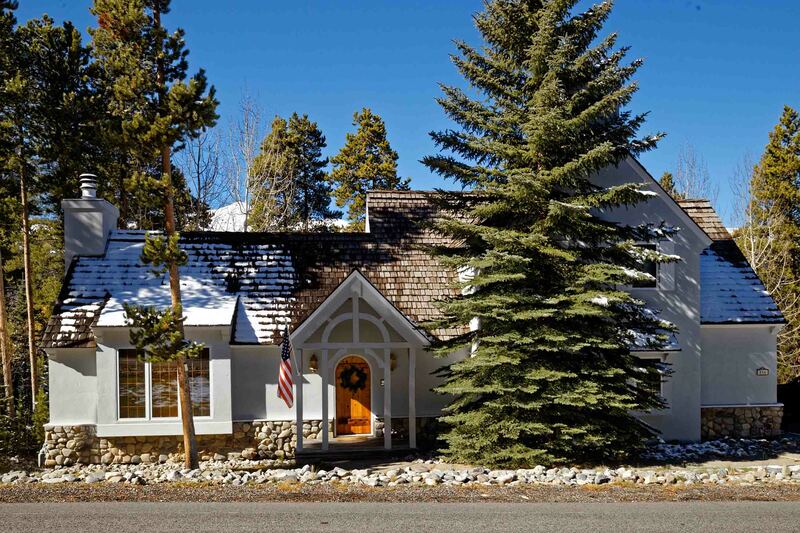 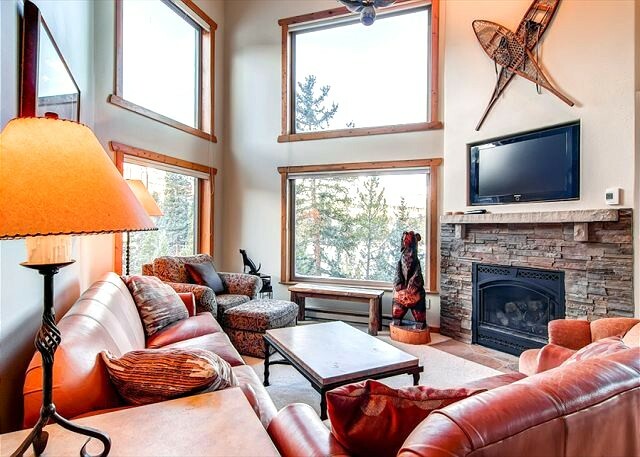 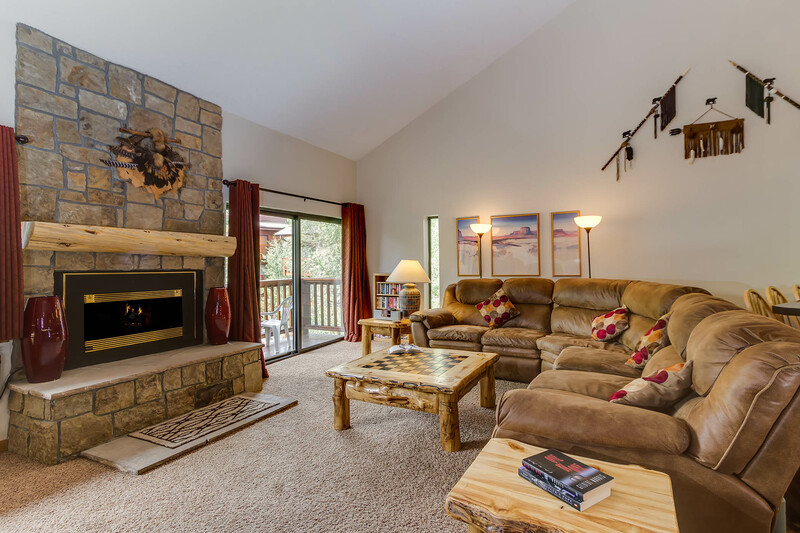 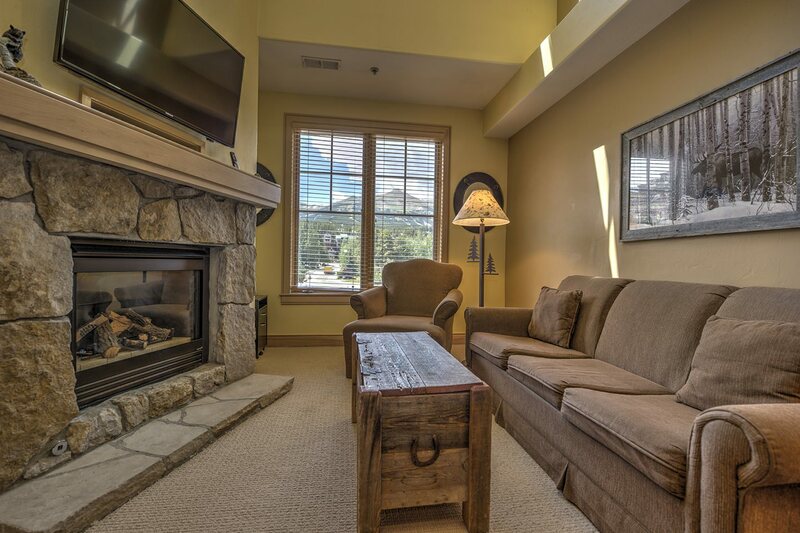 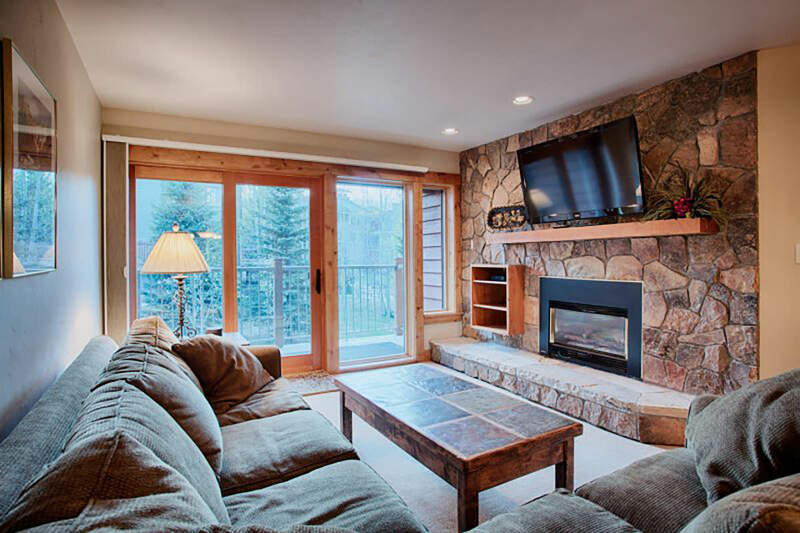 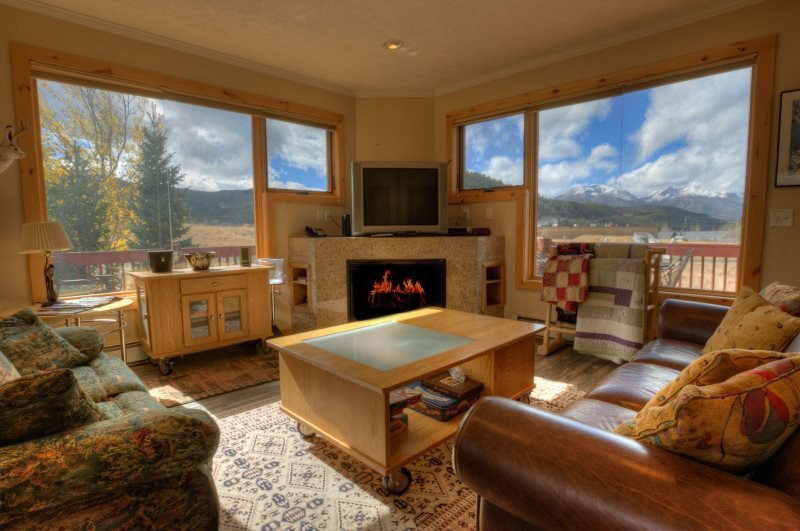 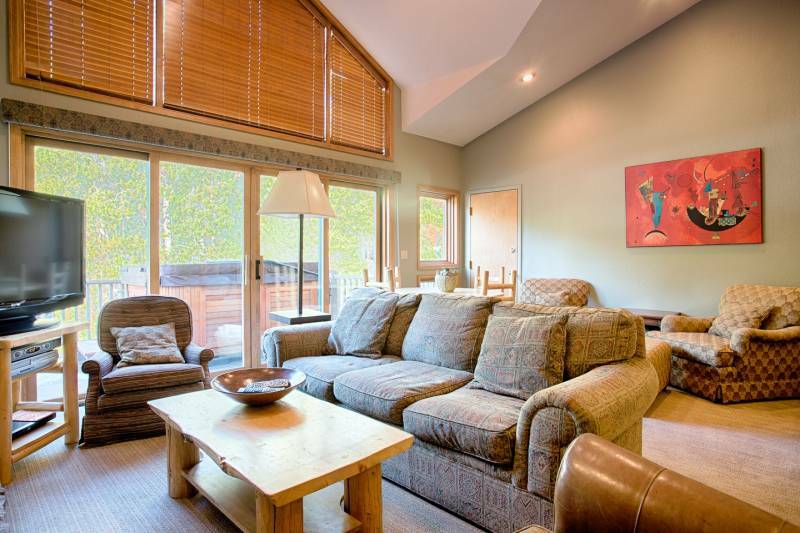 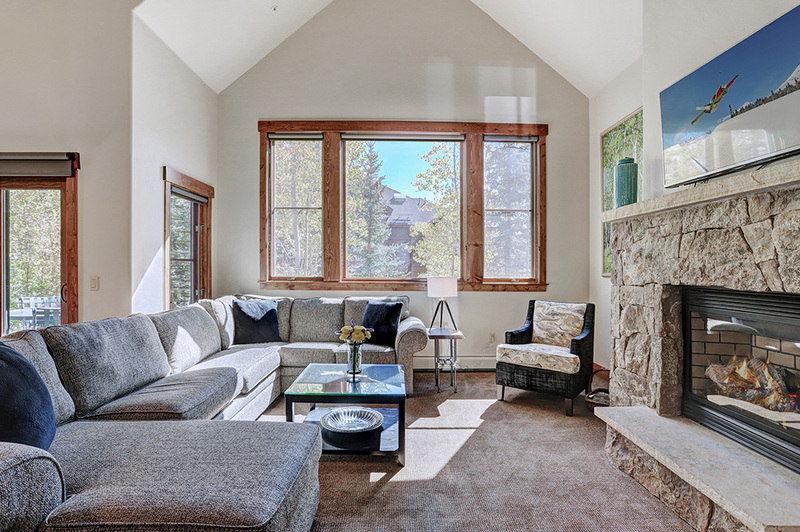 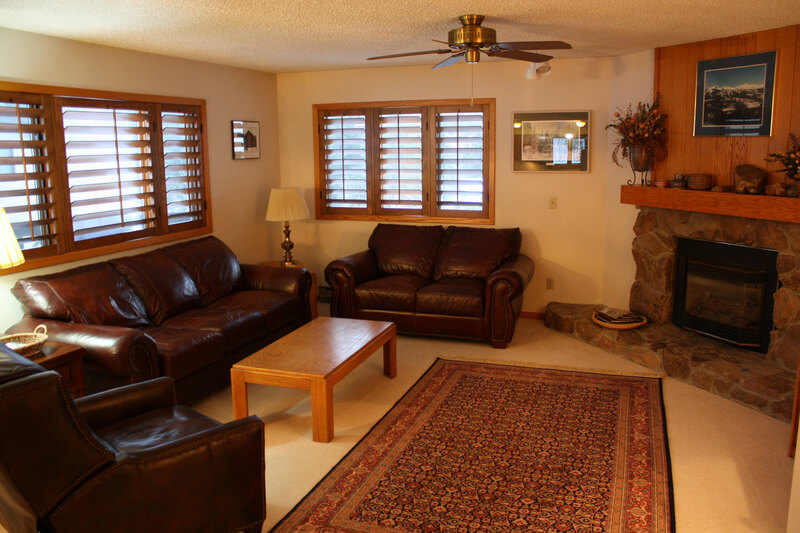 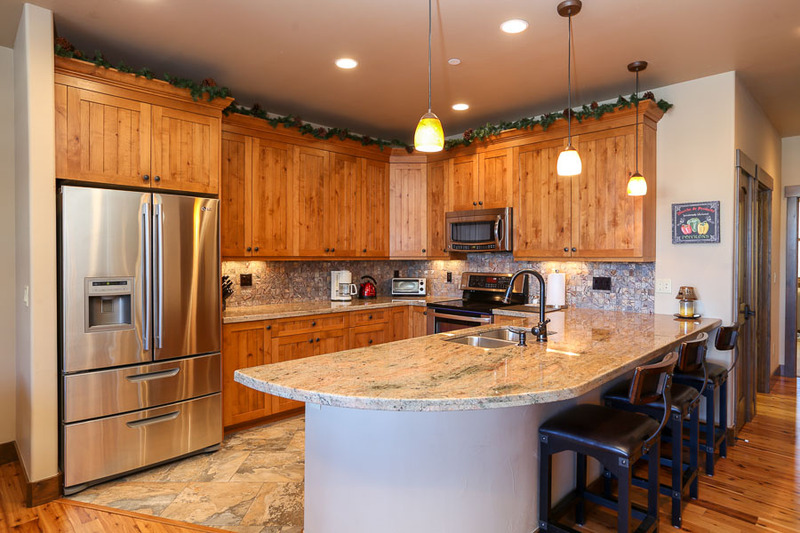 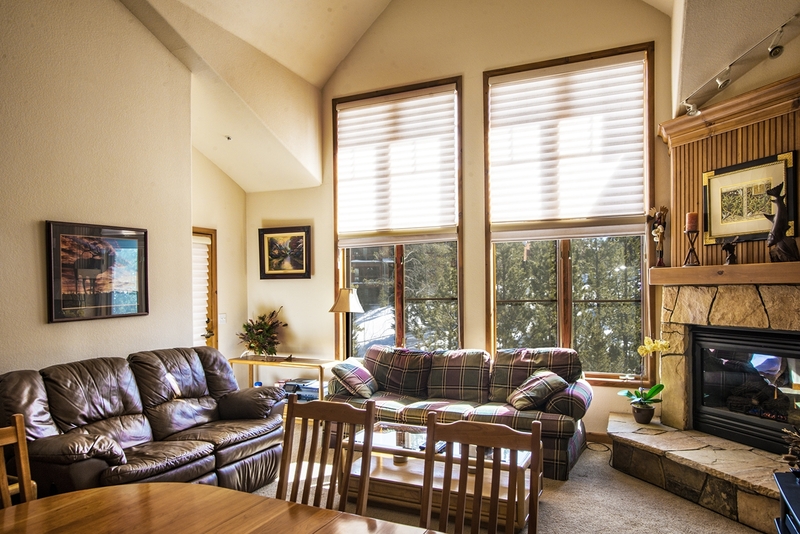 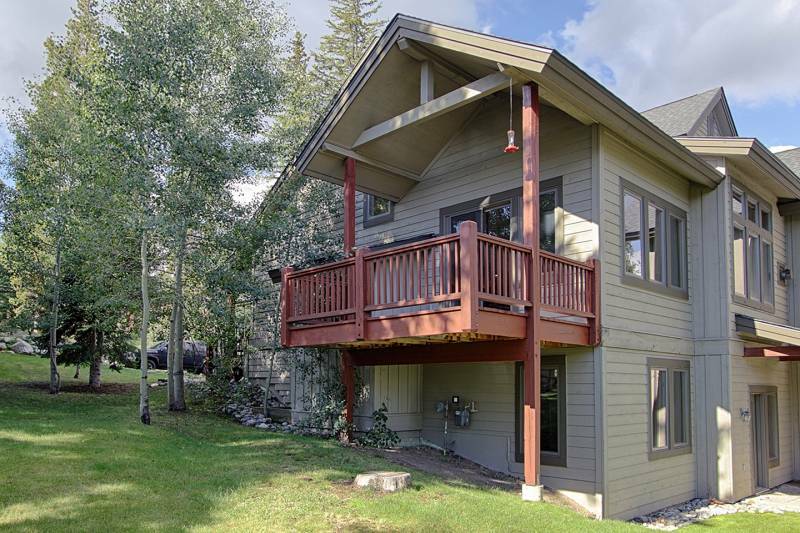 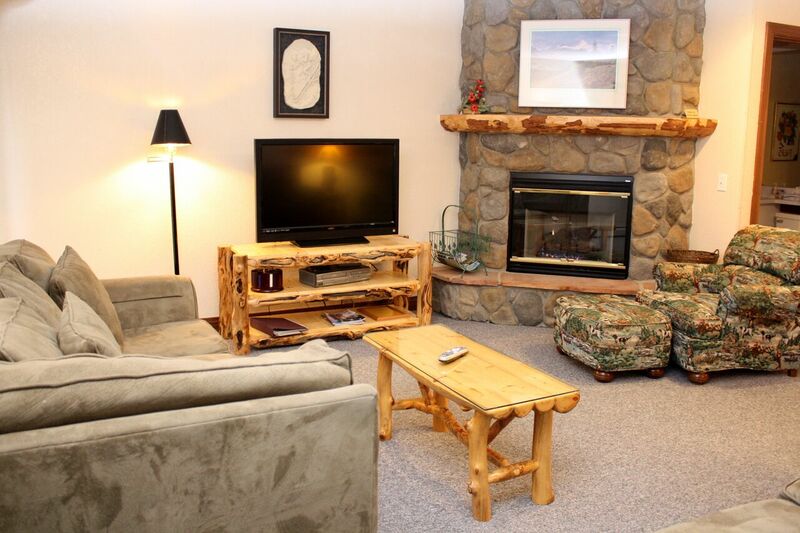 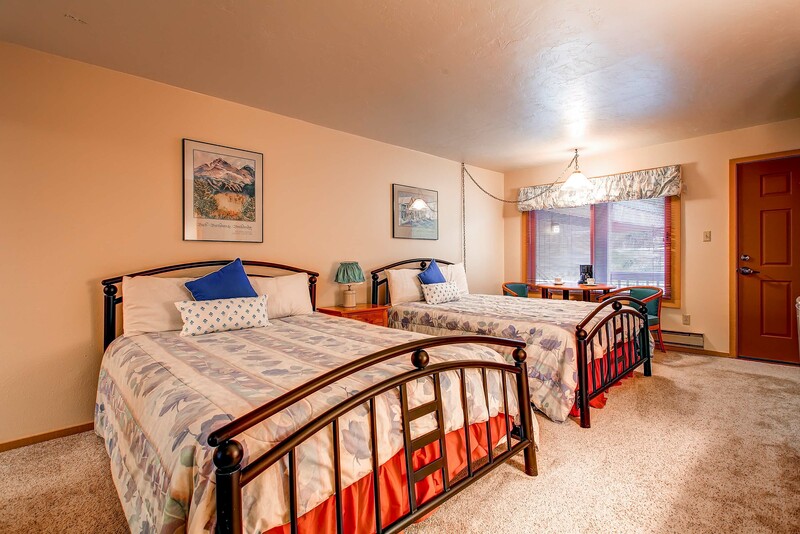 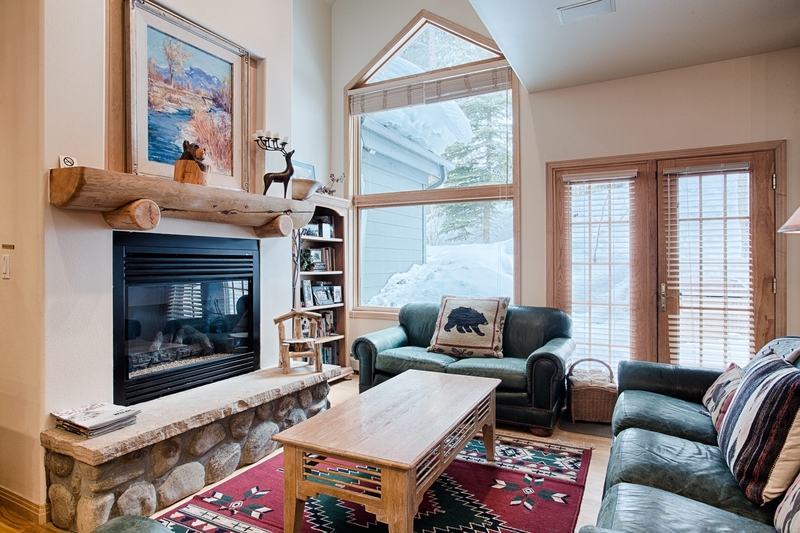 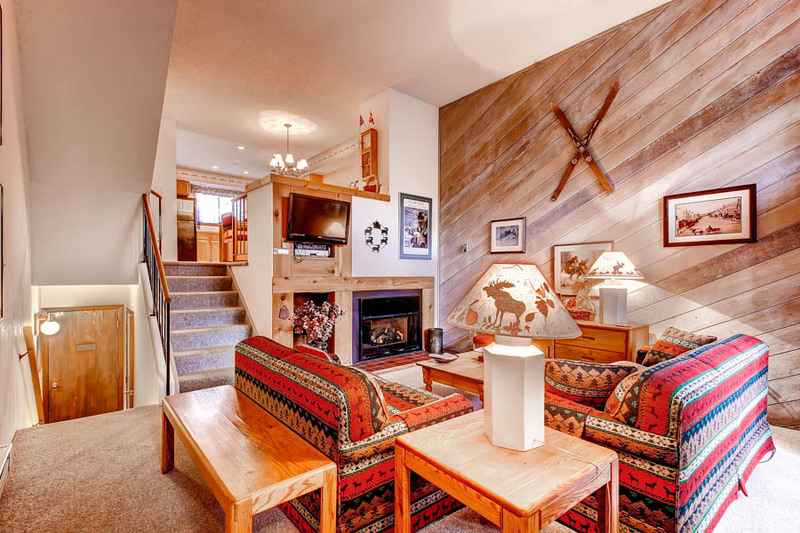 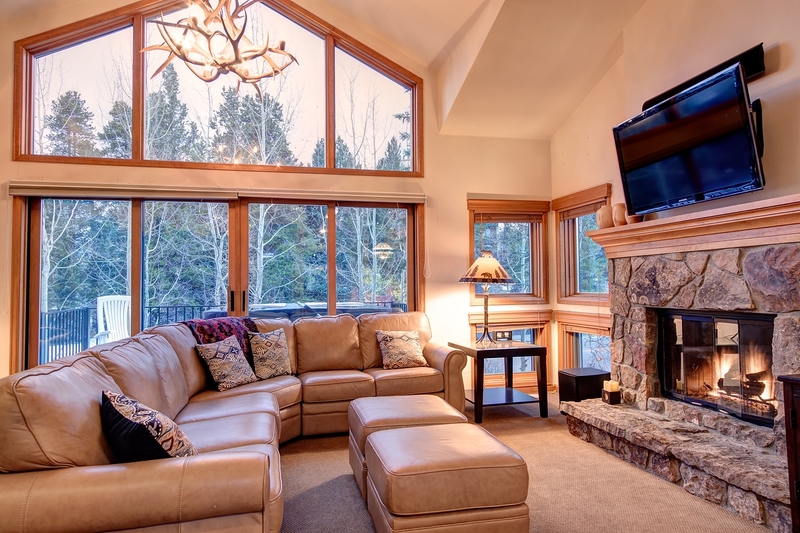 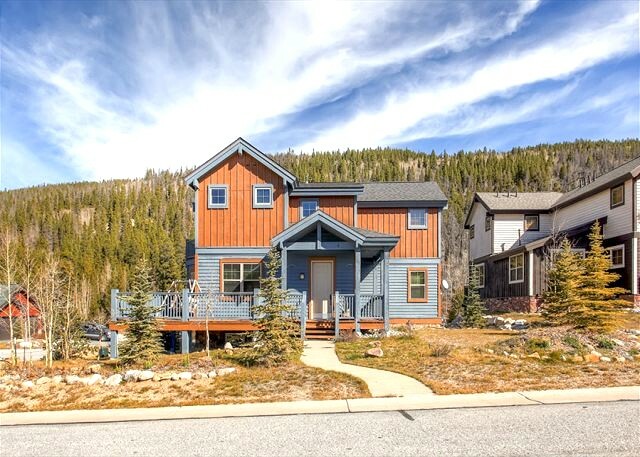 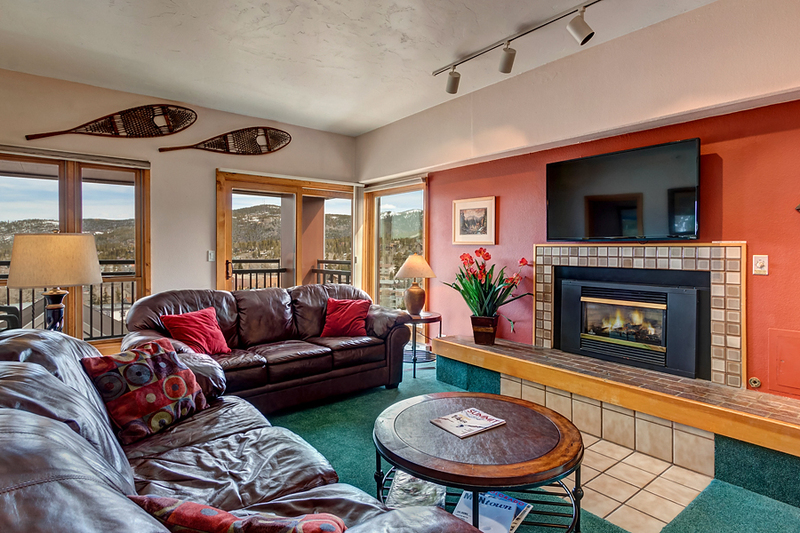 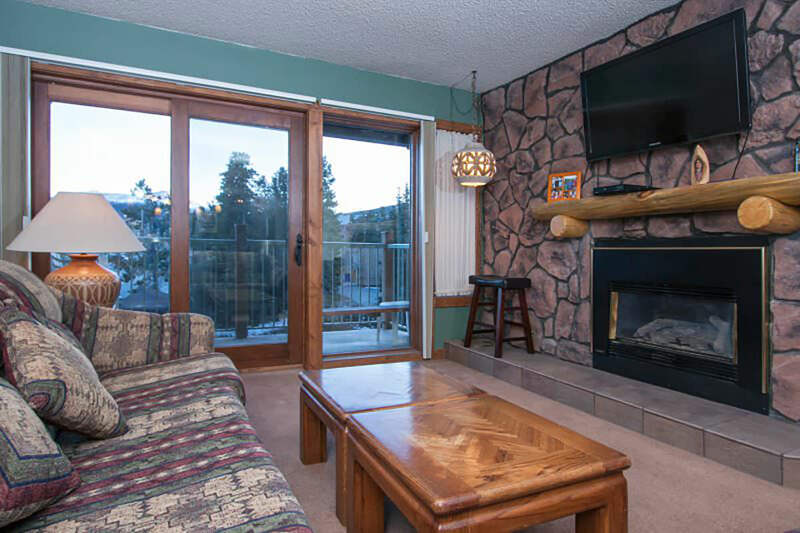 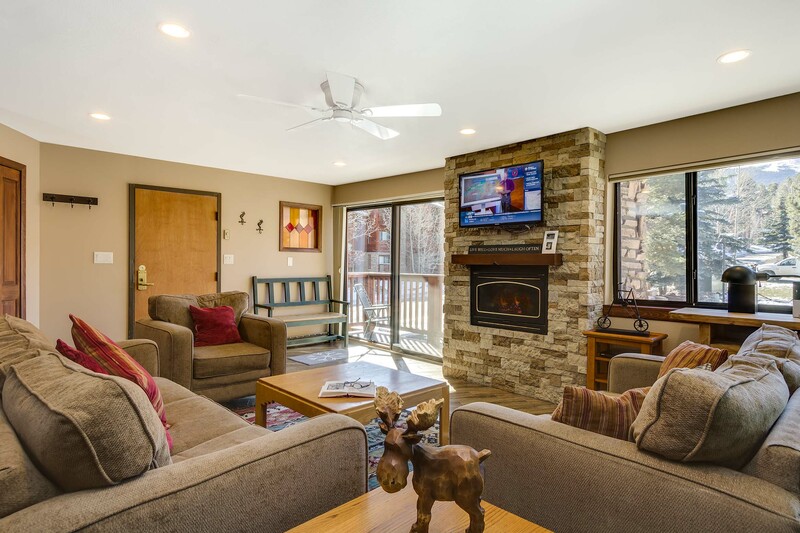 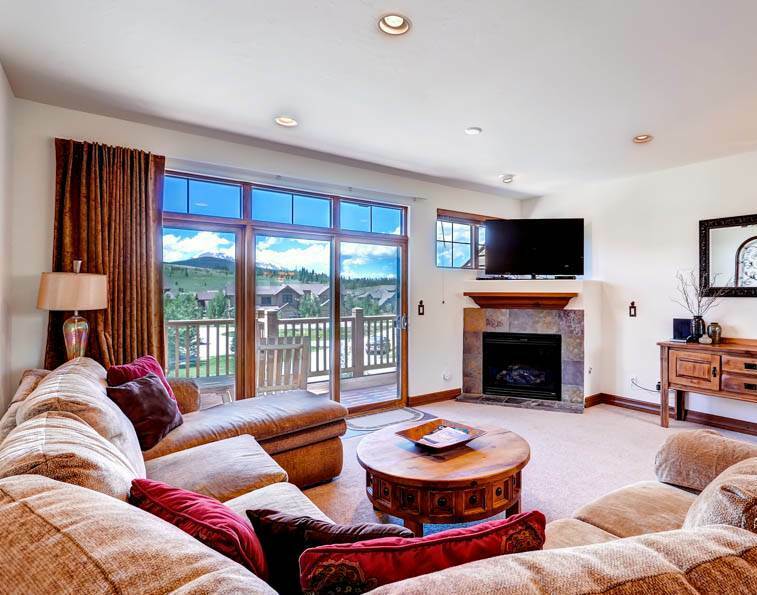 The shuttle stop is right across the street and you can take shuttles anywhere in Breckenridge including the indoor recreation center – where you’ll enjoy the swimming pool, water slide, rock climbing, tennis, racquetball, and fitness center. 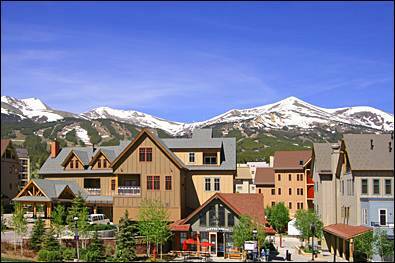 As is the case in winter, you can jump on the Summit Stage at the Breckenridge Transit Center for trips to Frisco, Dillon and Silverthorne.